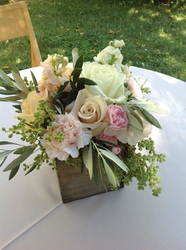 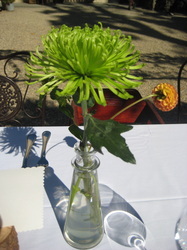 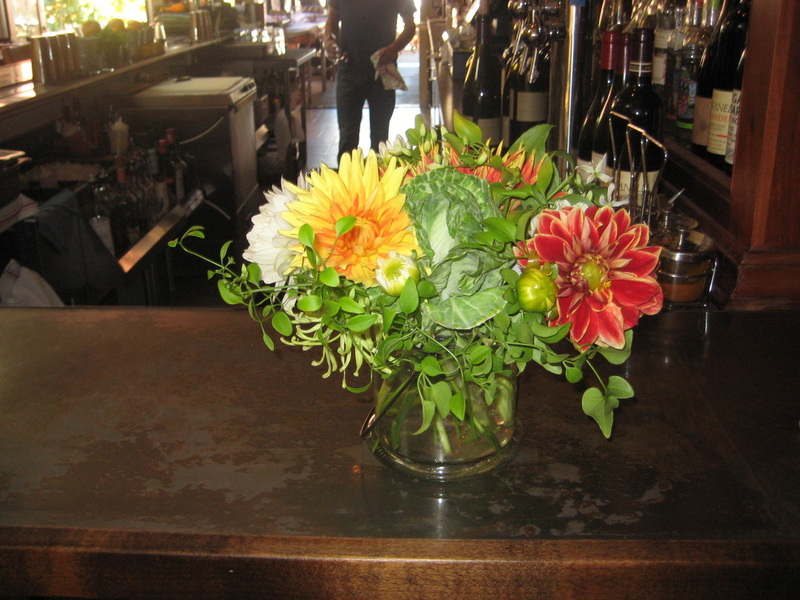 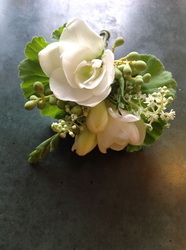 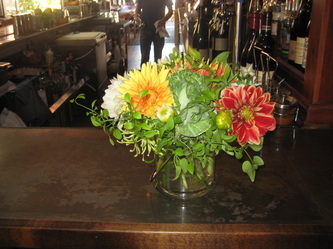 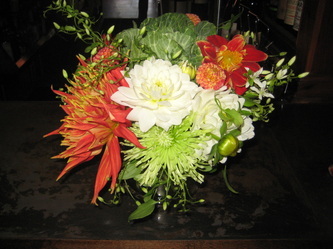 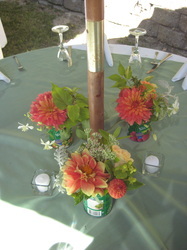 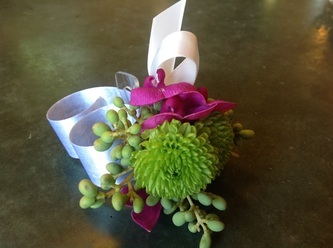 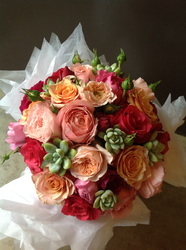 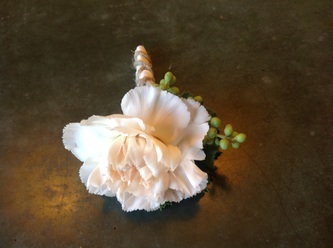 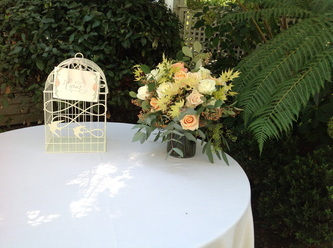 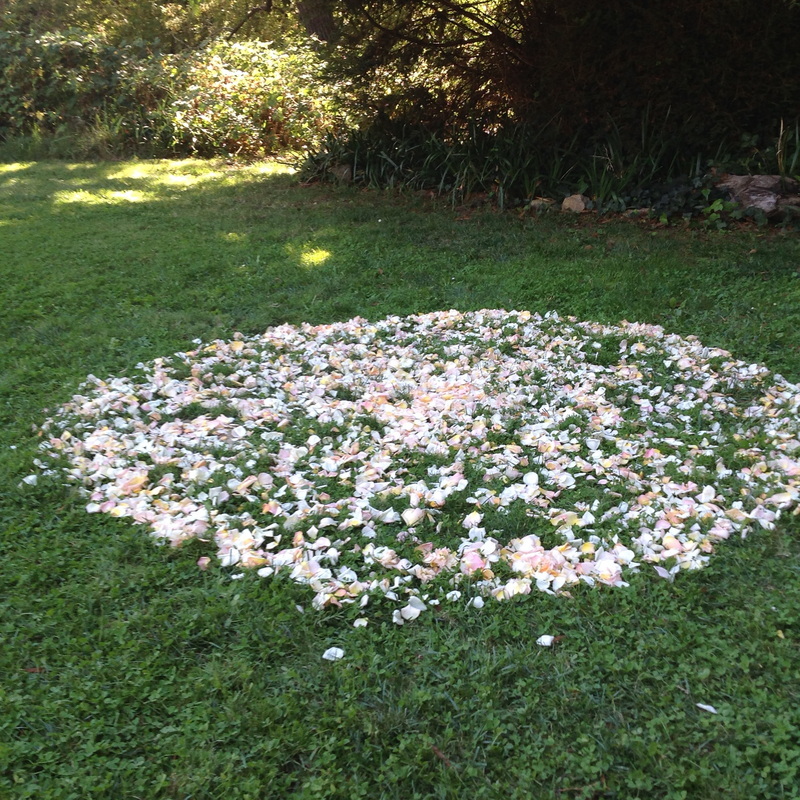 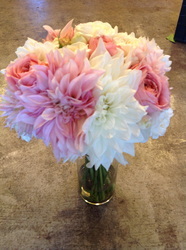 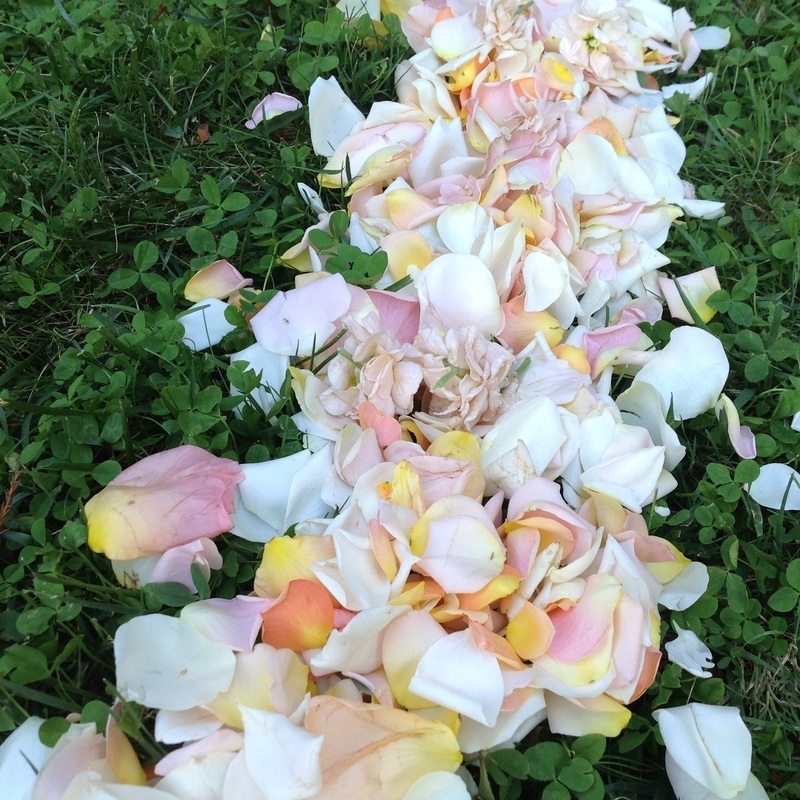 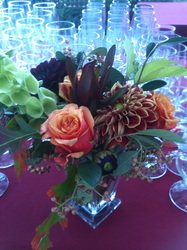 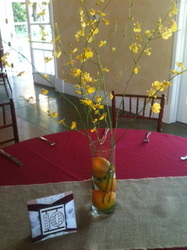 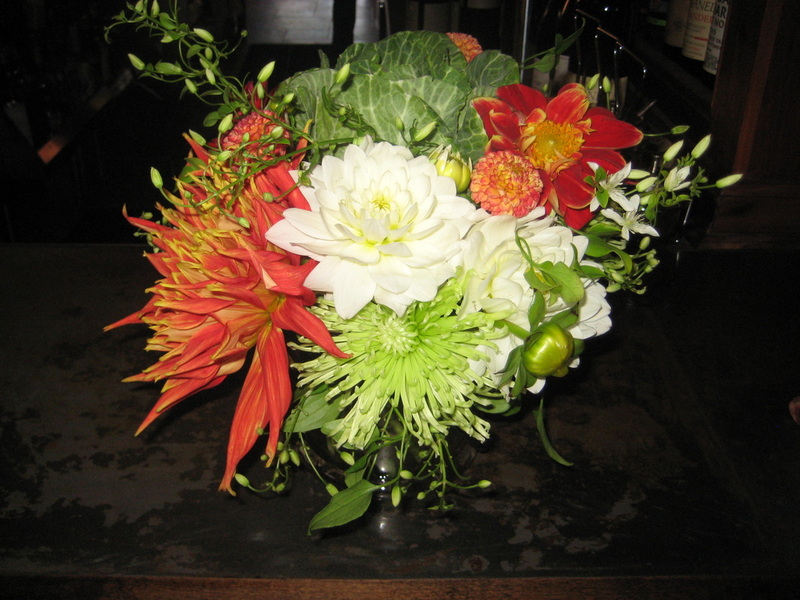 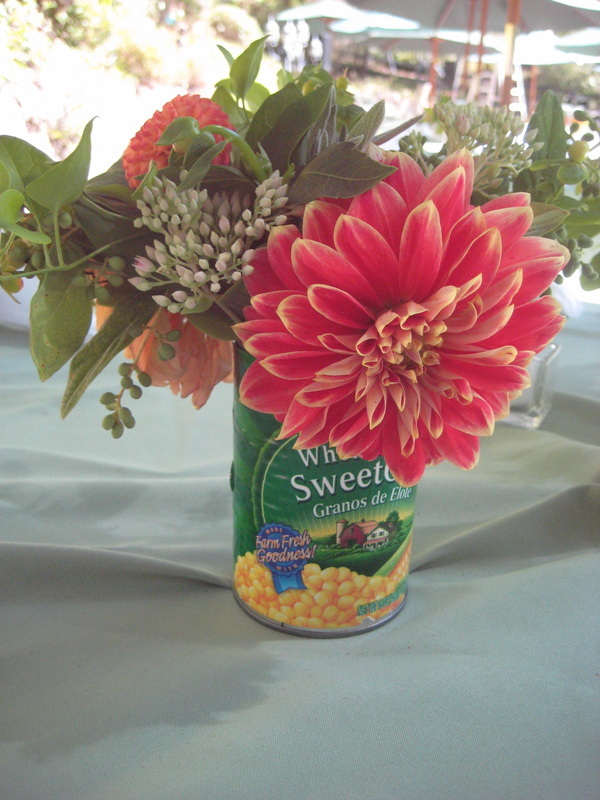 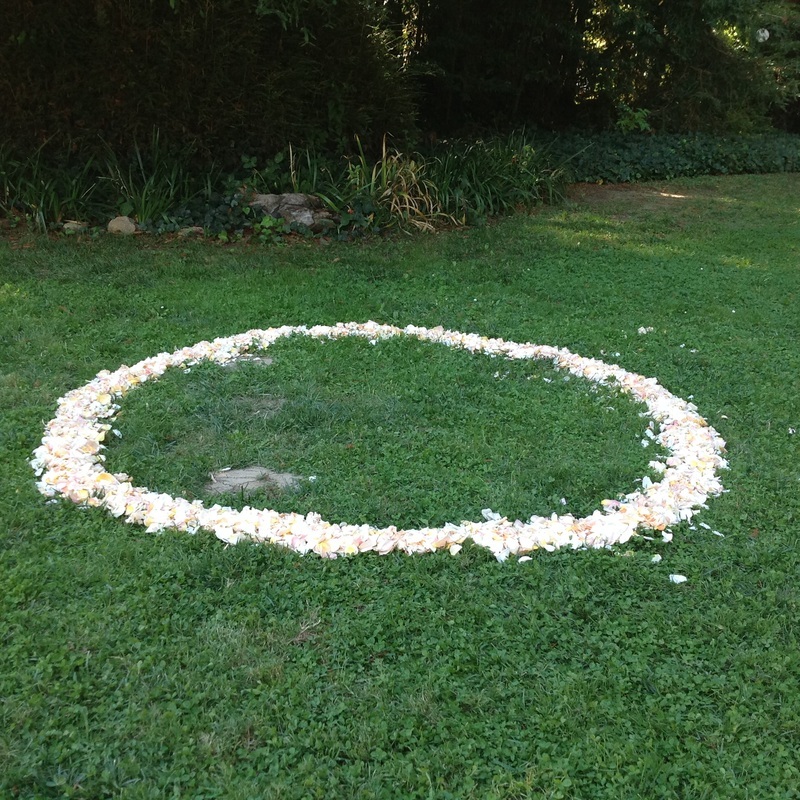 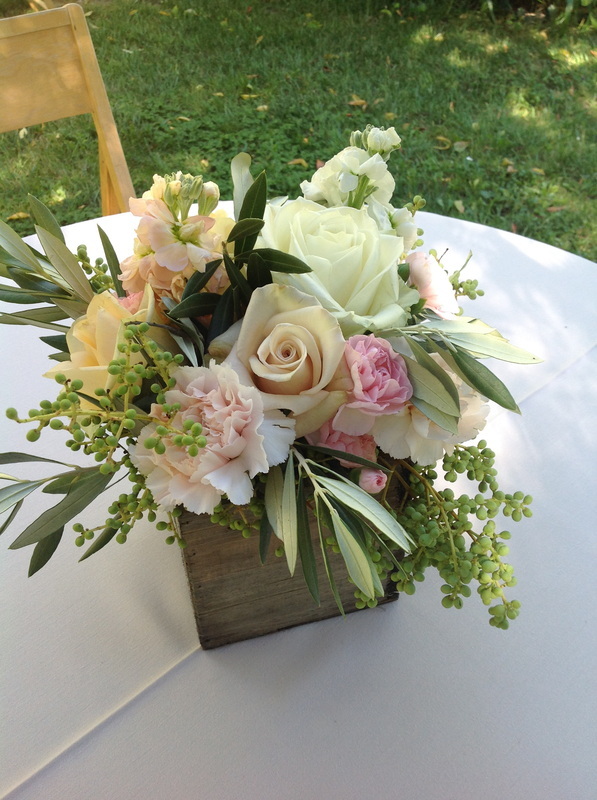 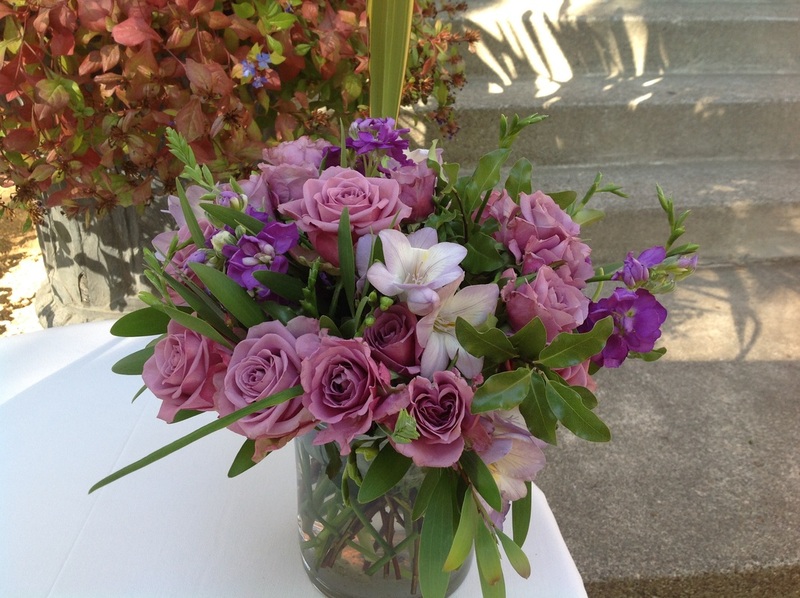 Flowers can be magical, romantic or whimsical and add the perfect grace note to your celebration. 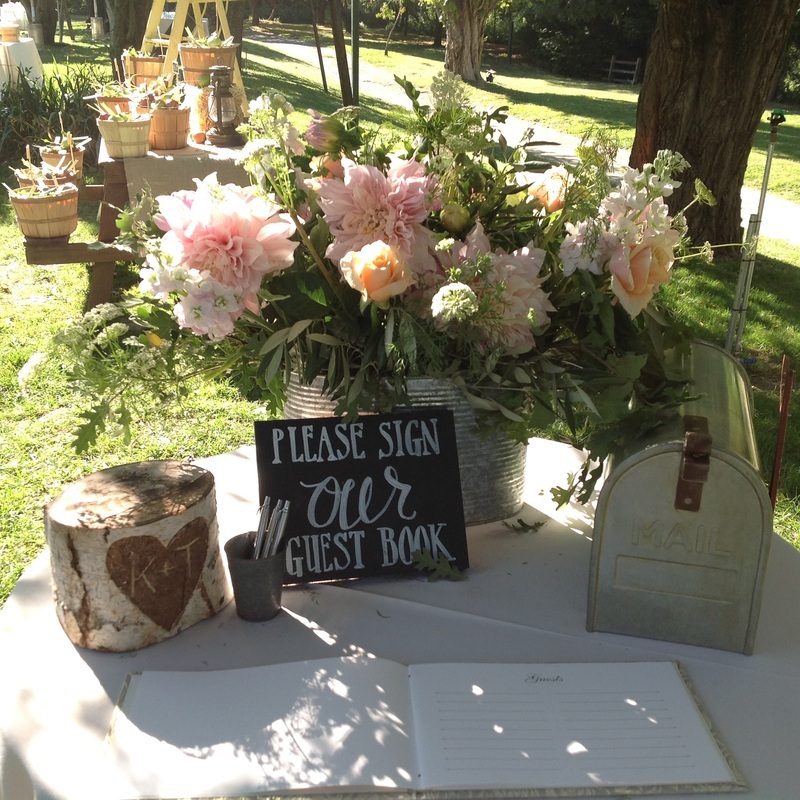 Let them tell your story! But how best to define your vision and then share it? 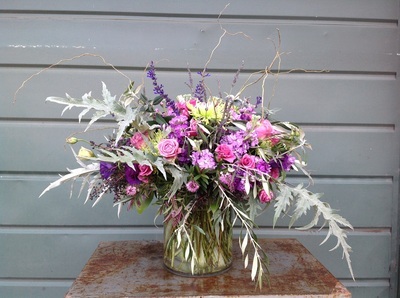 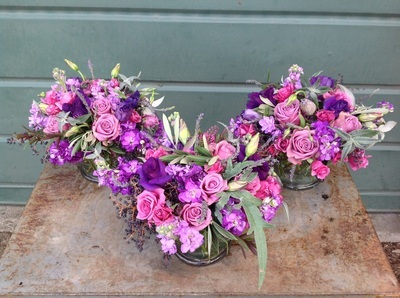 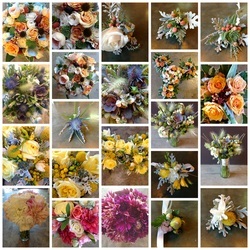 So how do you choose the best flowers for your wedding? 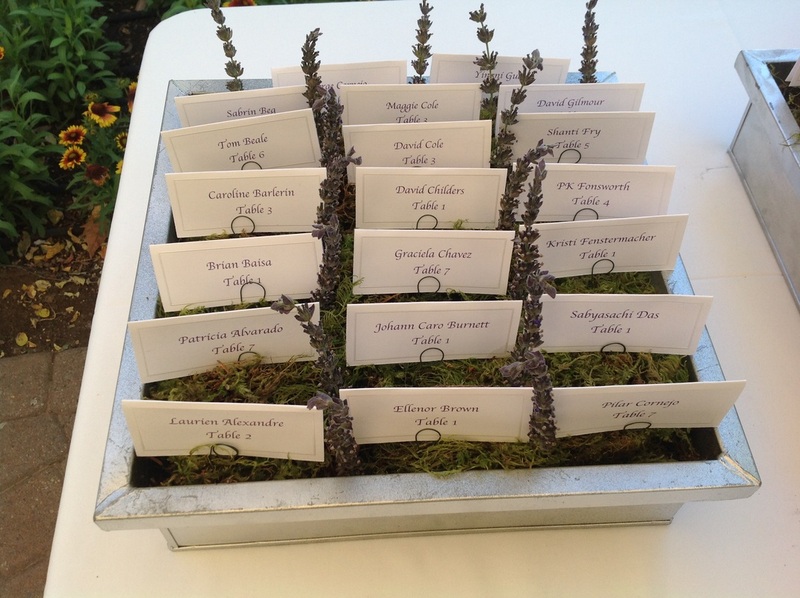 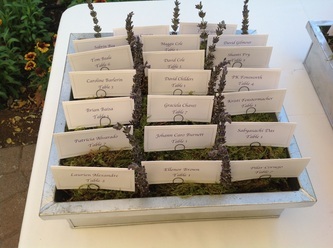 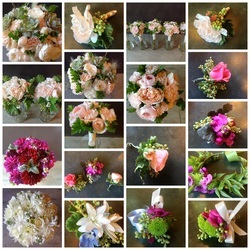 Of the myriad of options, how do you select a handful to help you make your Big Day gorgeous and full of personality? We have gathered some tips for you – read on and find out more. 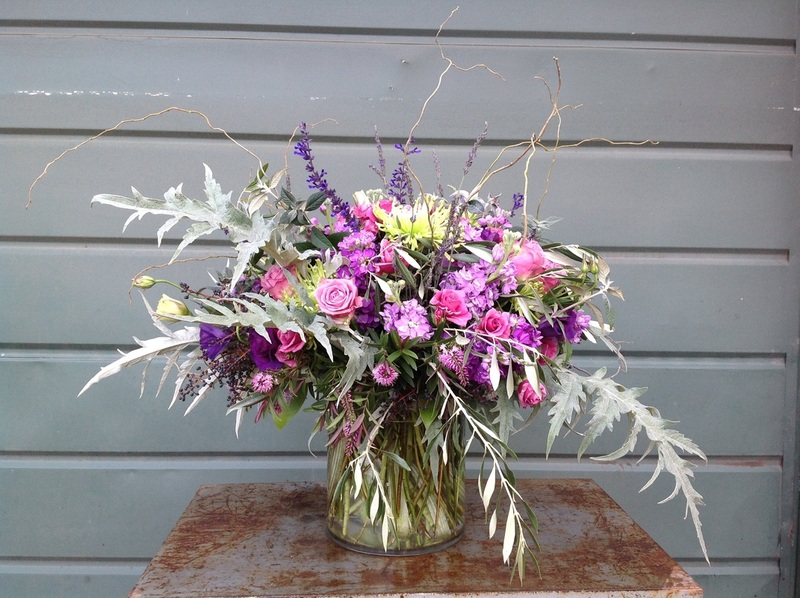 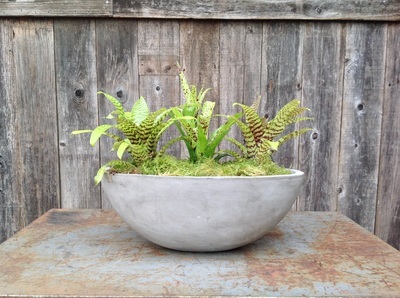 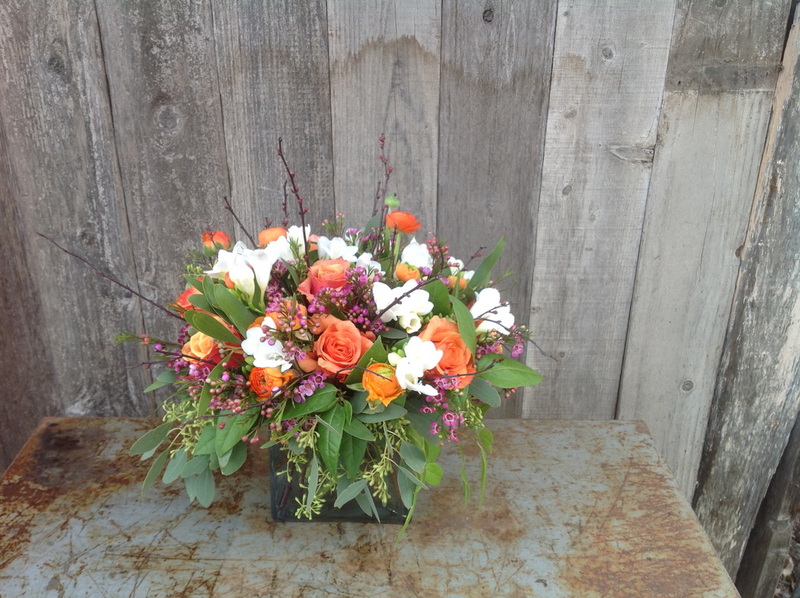 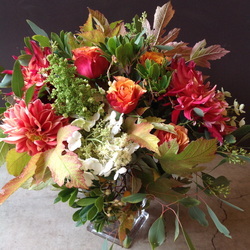 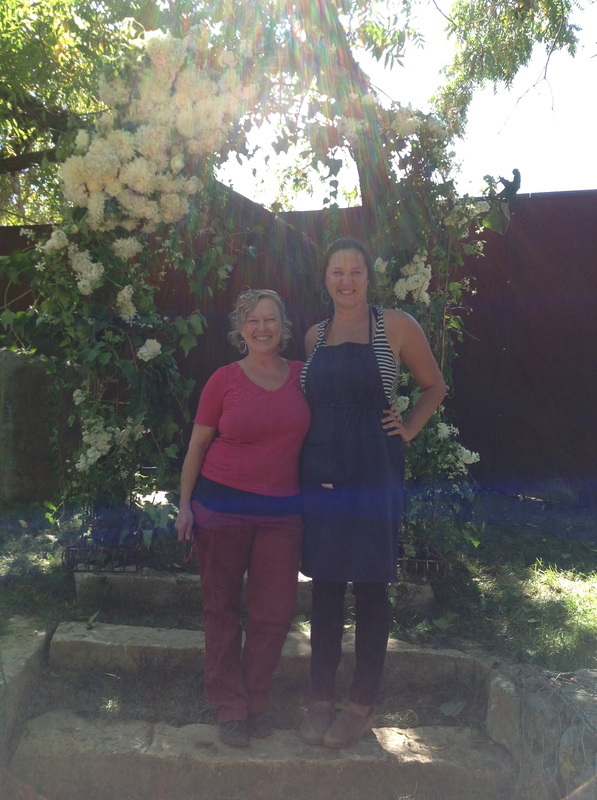 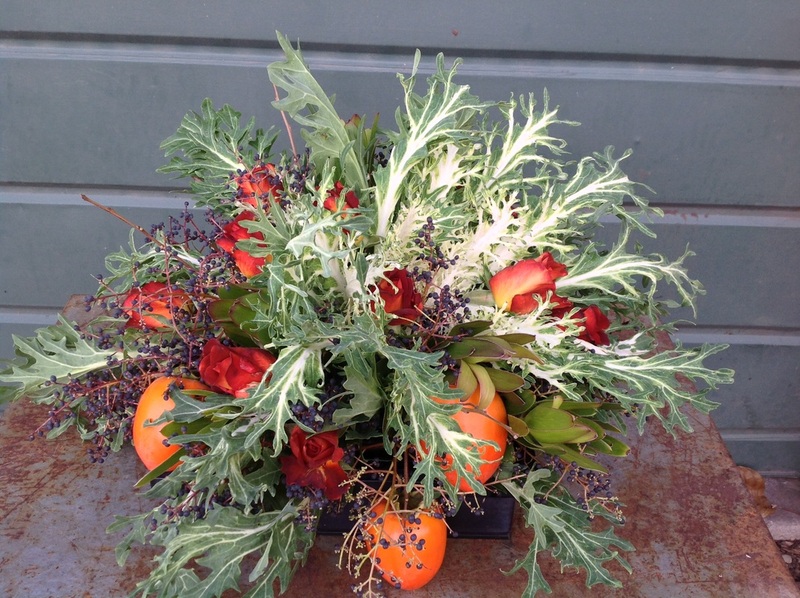 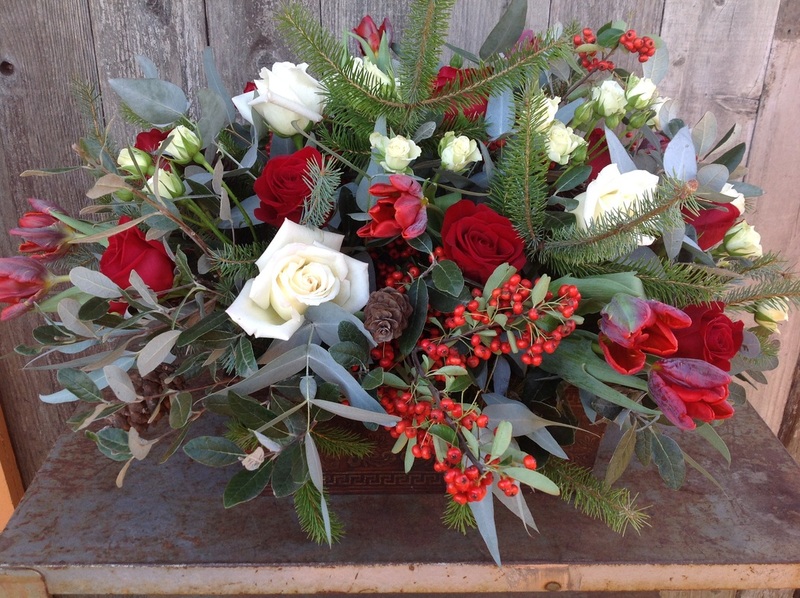 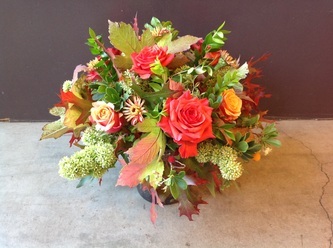 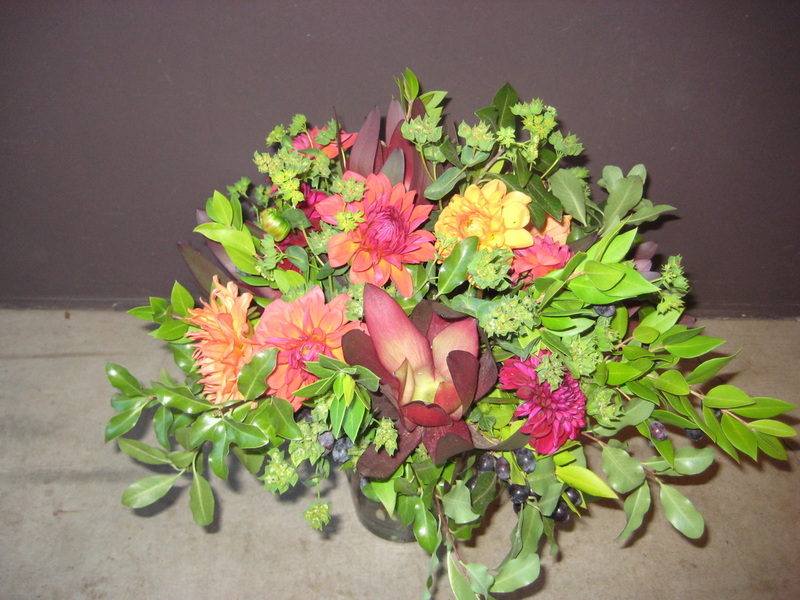 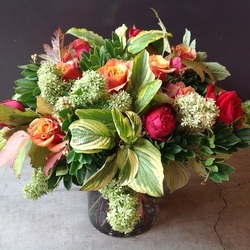 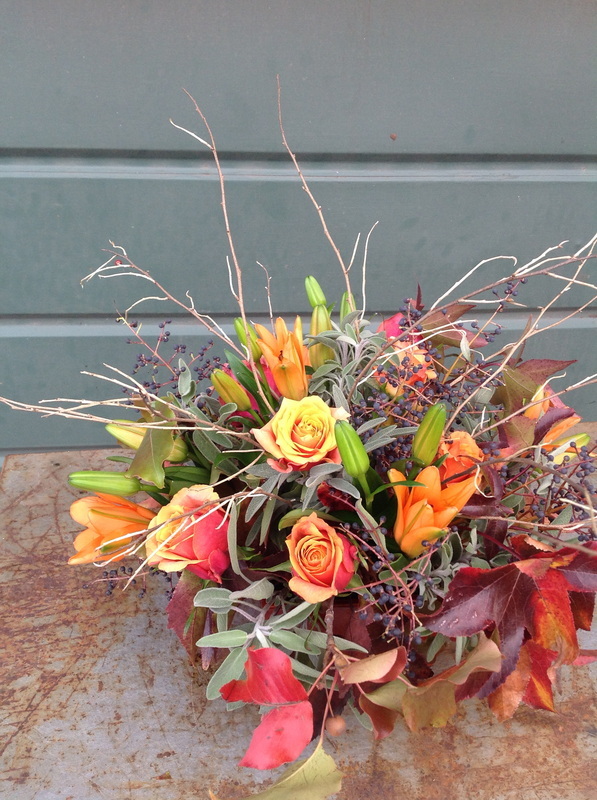 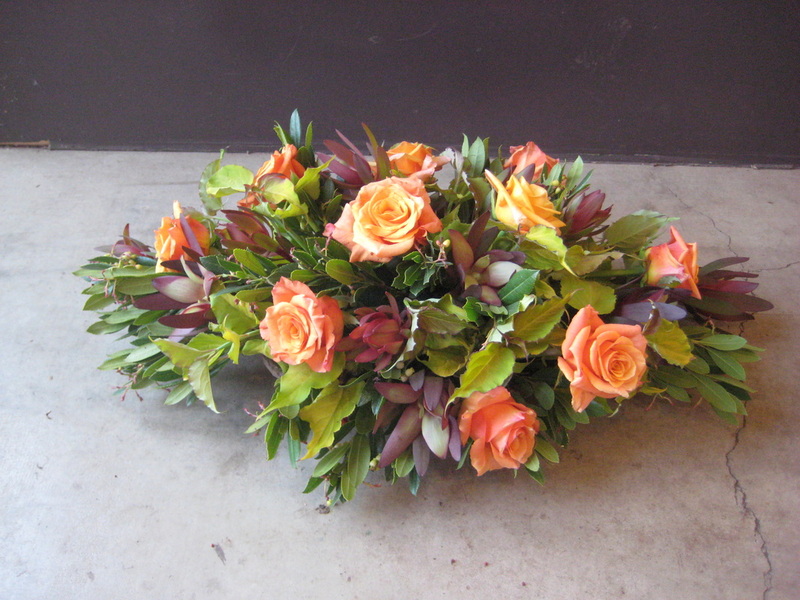 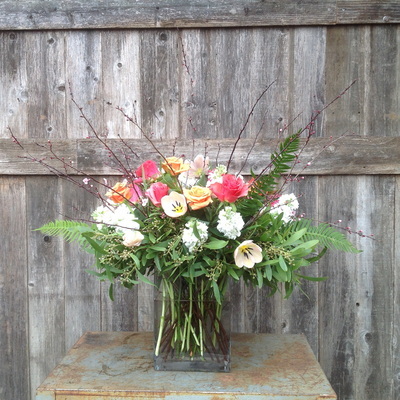 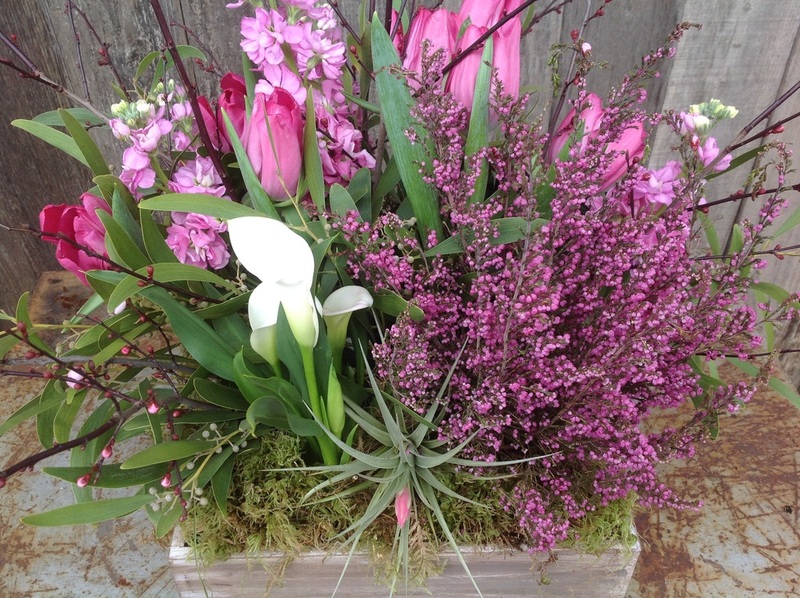 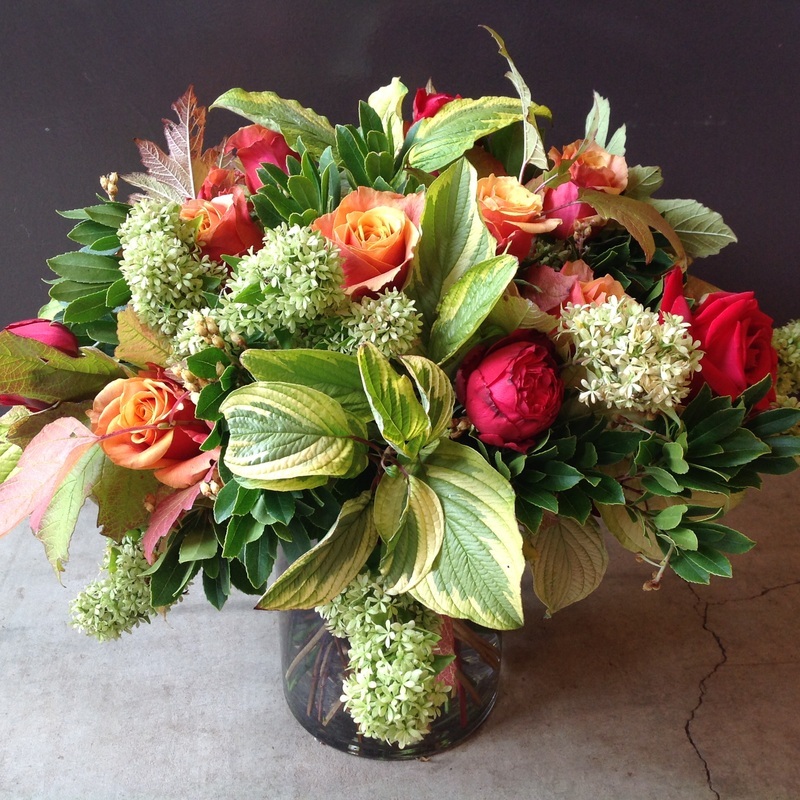 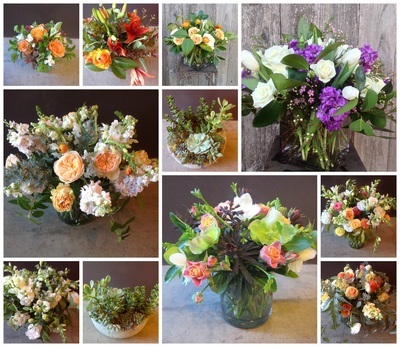 Find a florist you are comfortable with. 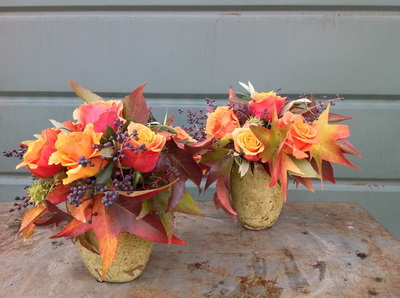 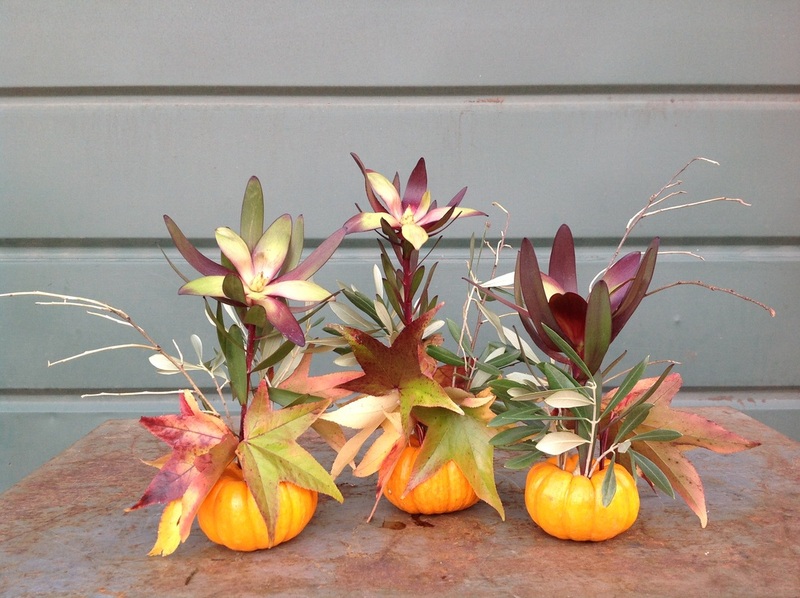 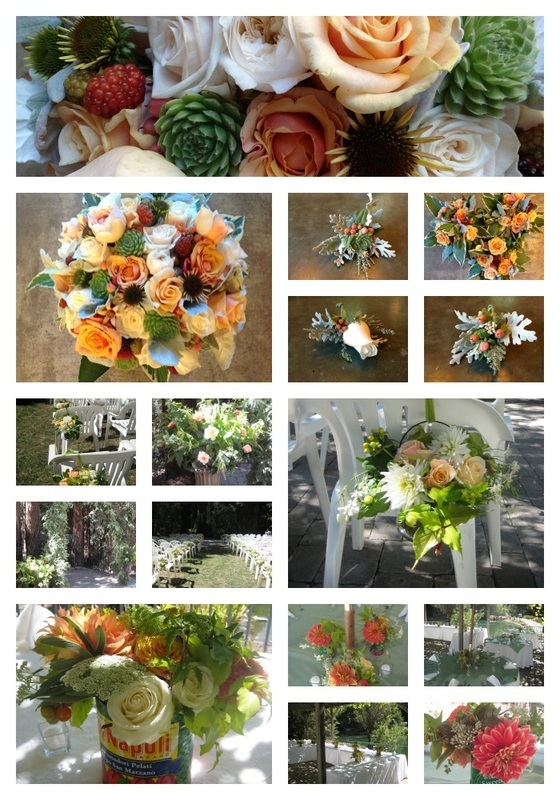 Take a look at the florists’ websites to see if their aesthetic is in sync with your own. 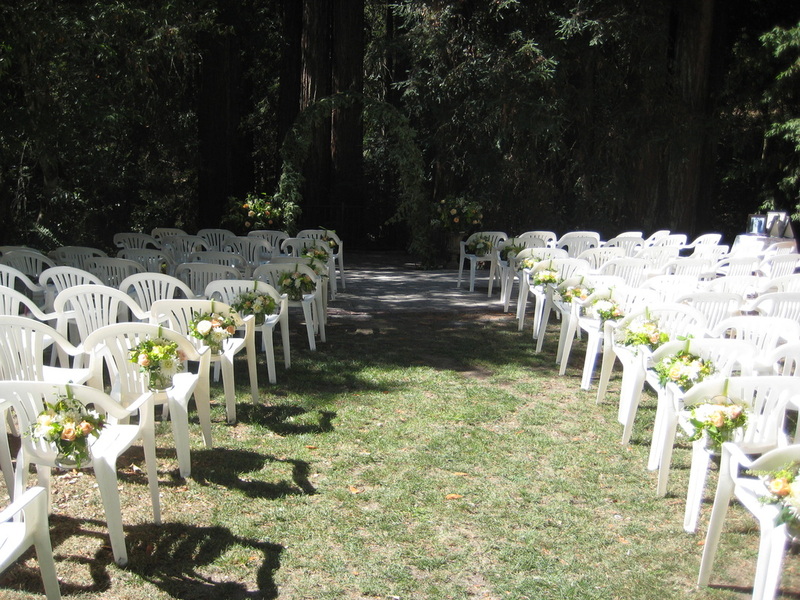 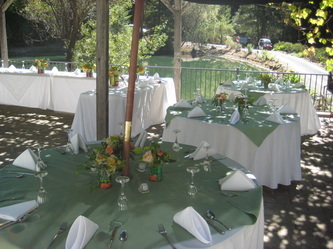 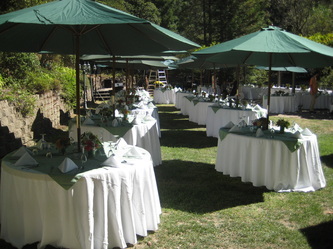 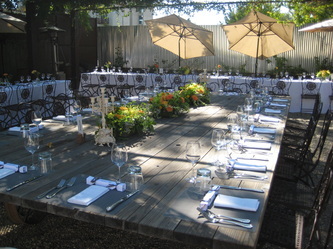 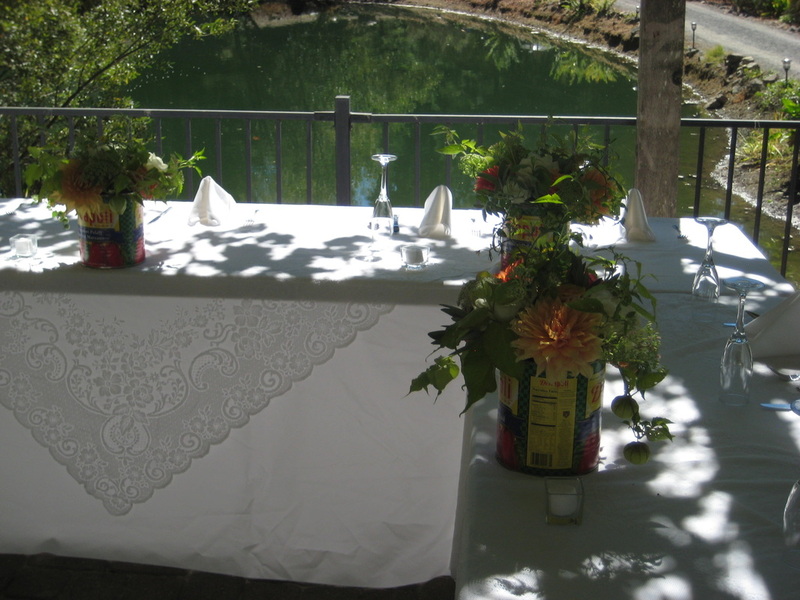 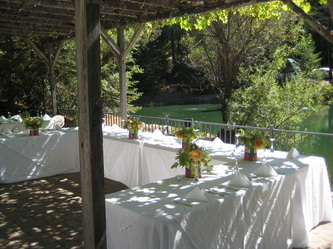 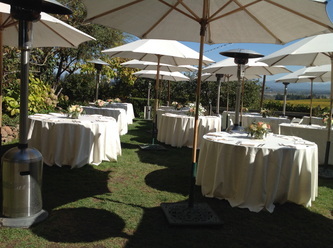 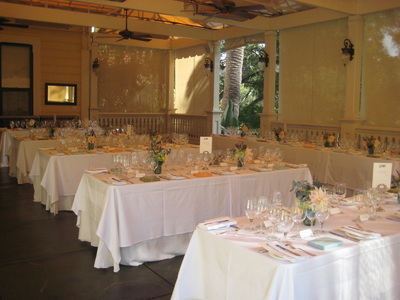 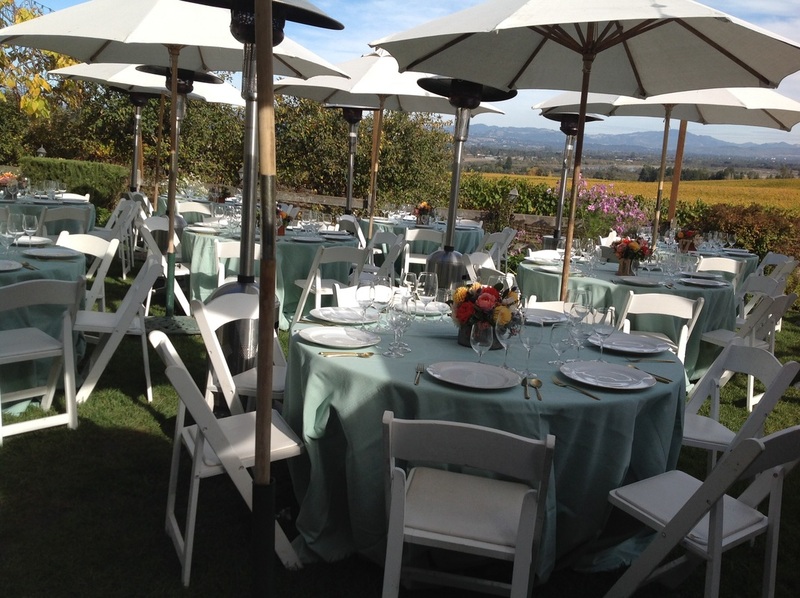 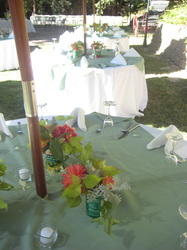 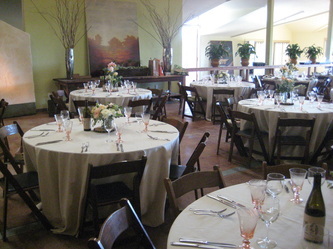 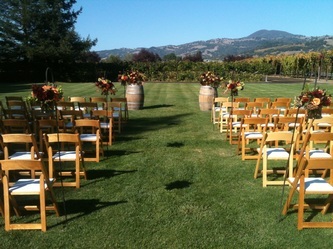 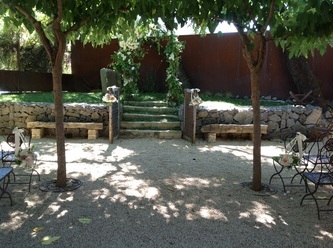 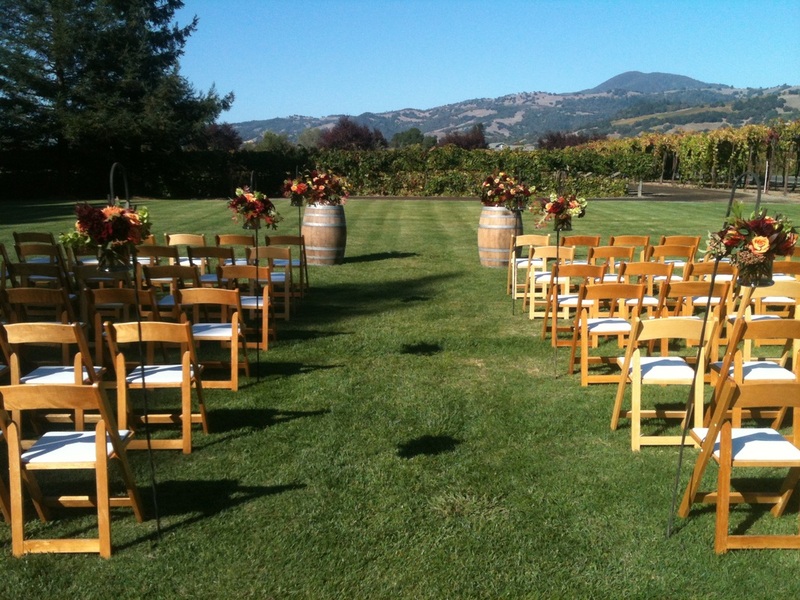 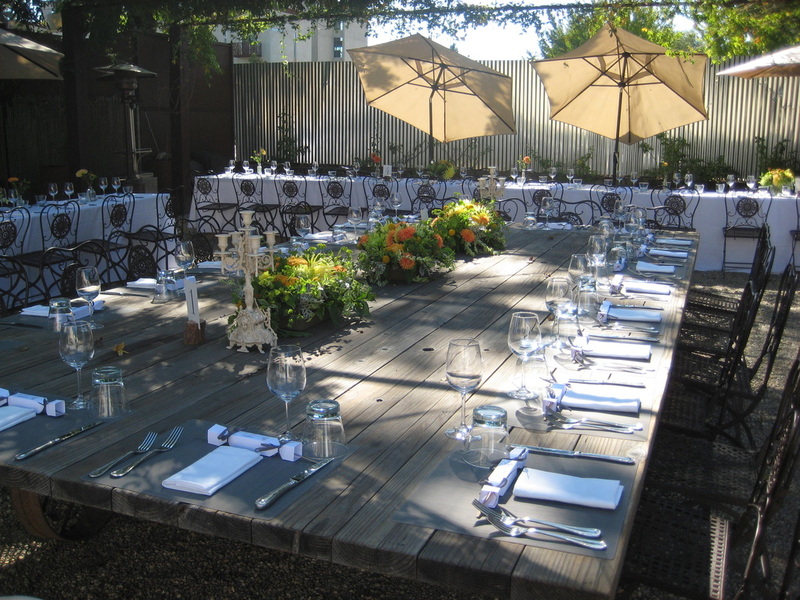 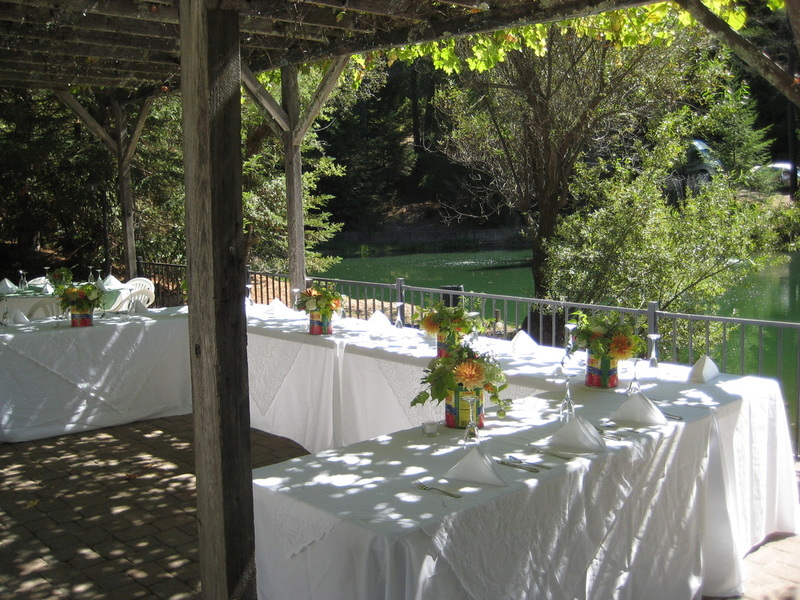 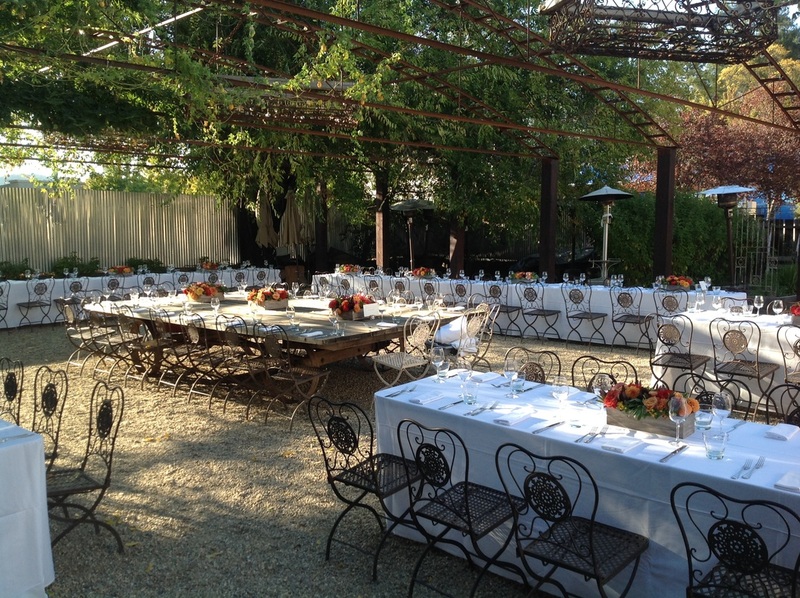 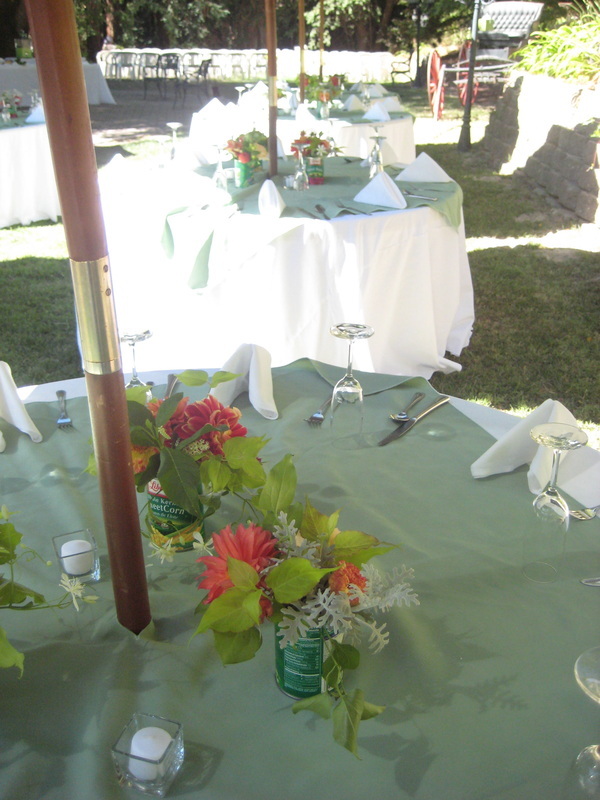 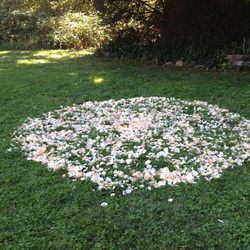 It is good to focus on ones that are located within a reasonable distance to your venue. 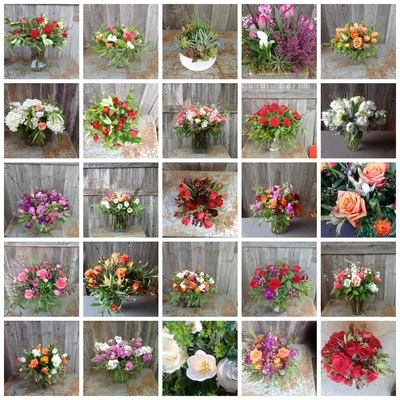 Also, check out some reviews to see what past clients have to say about their services – this is extremely helpful if you want to know more about how they work. 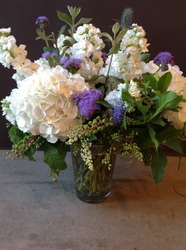 Do your homework. 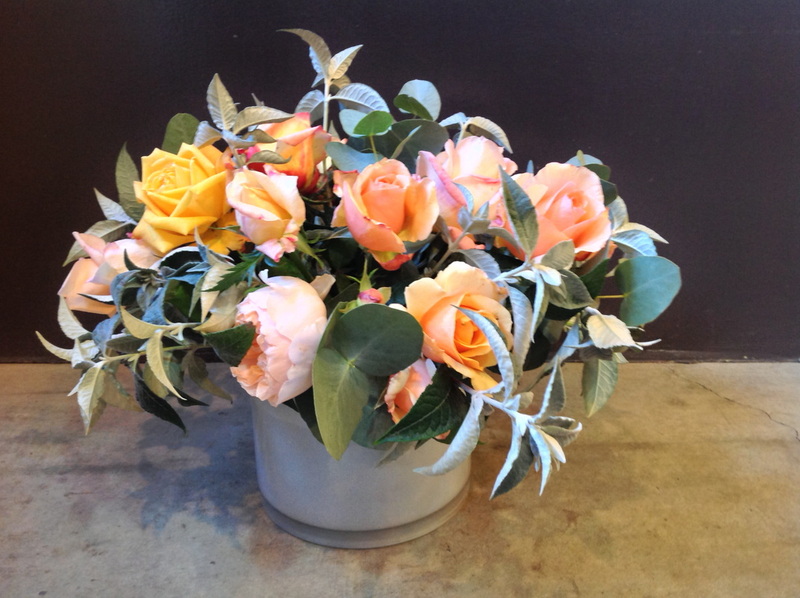 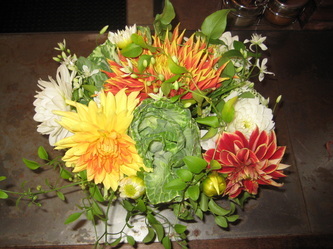 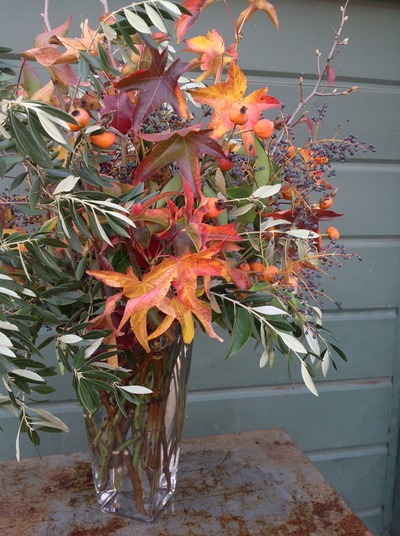 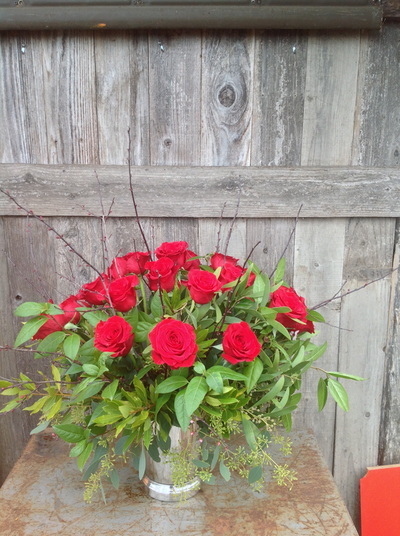 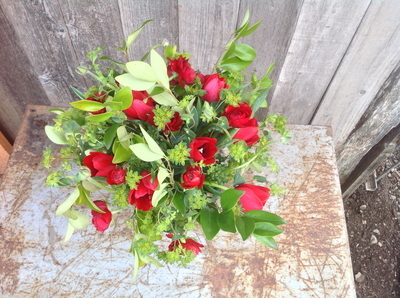 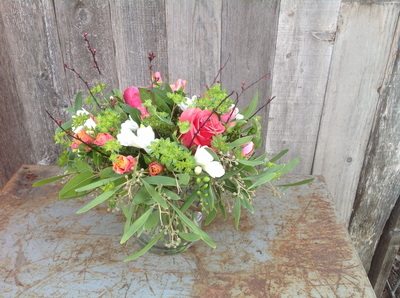 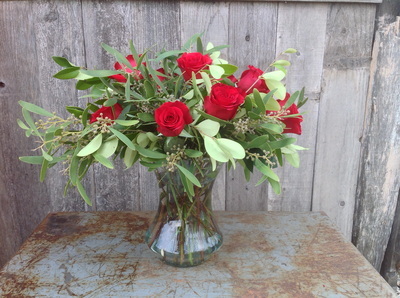 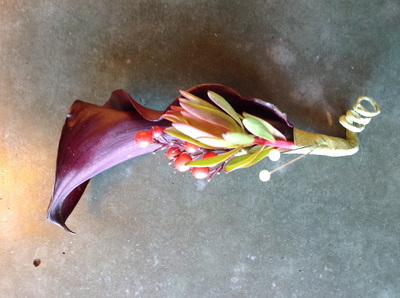 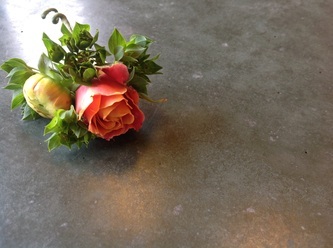 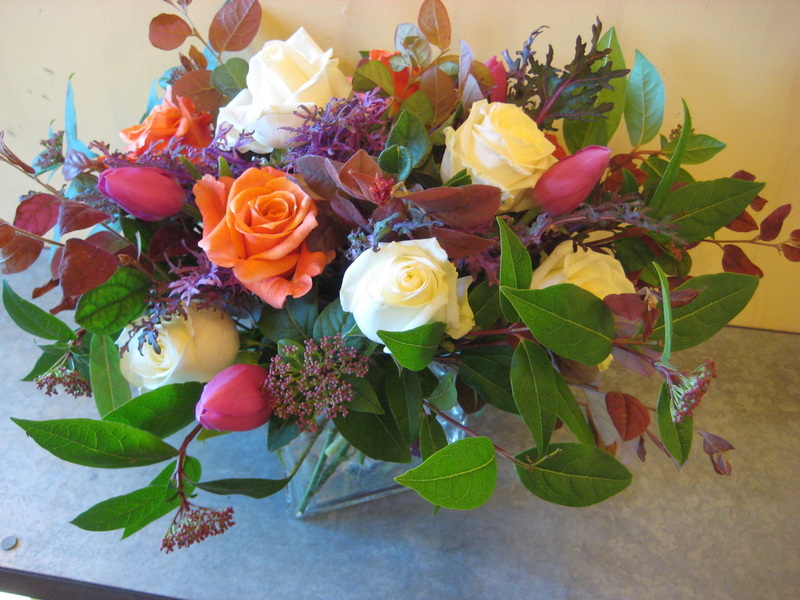 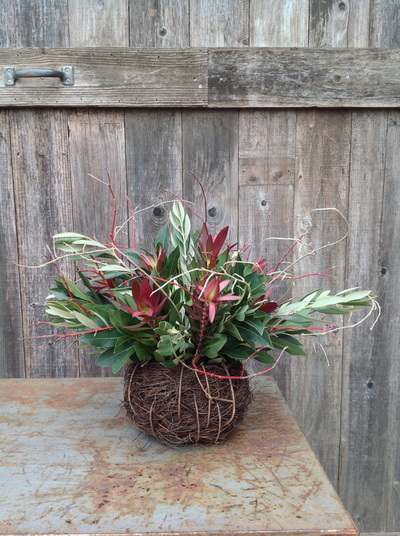 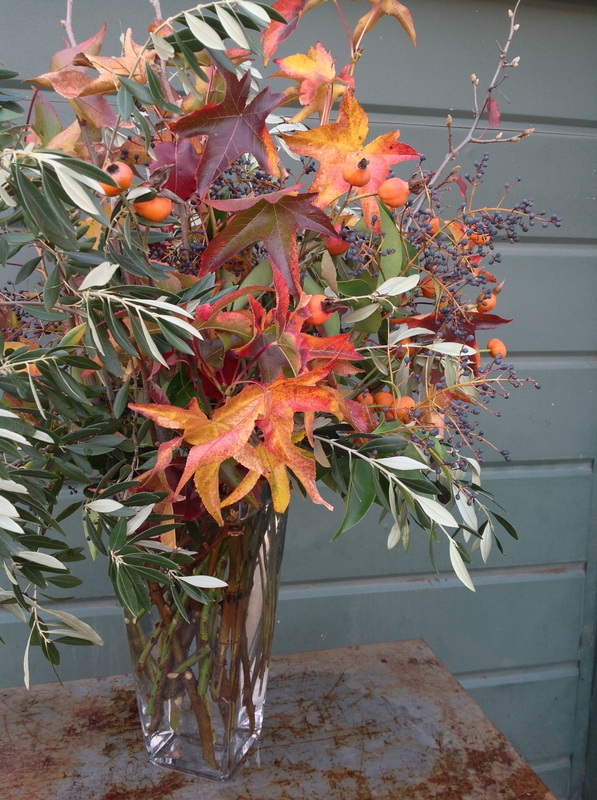 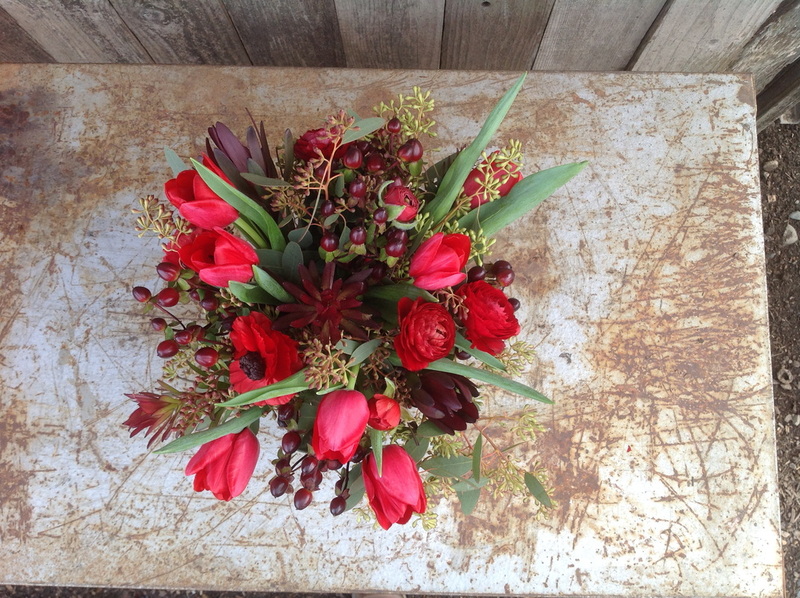 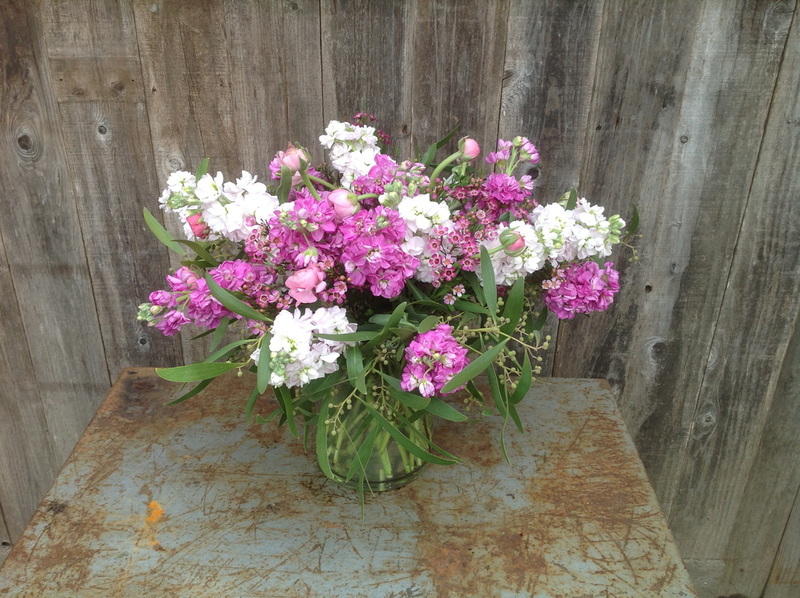 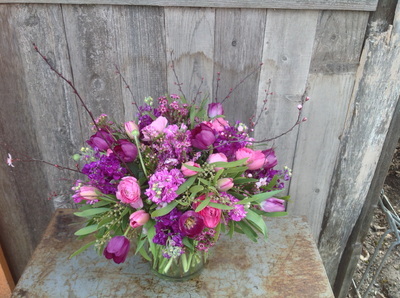 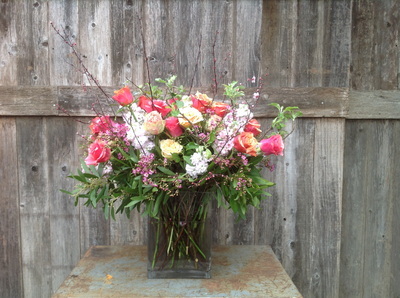 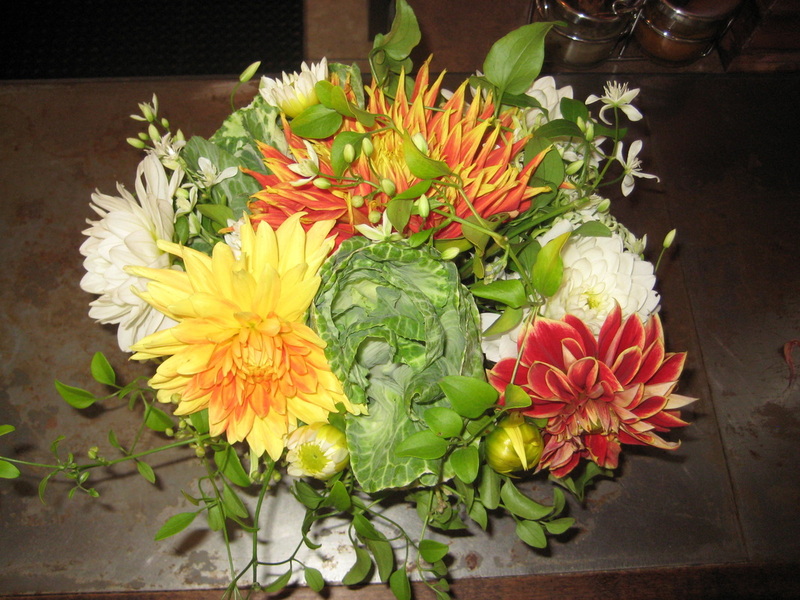 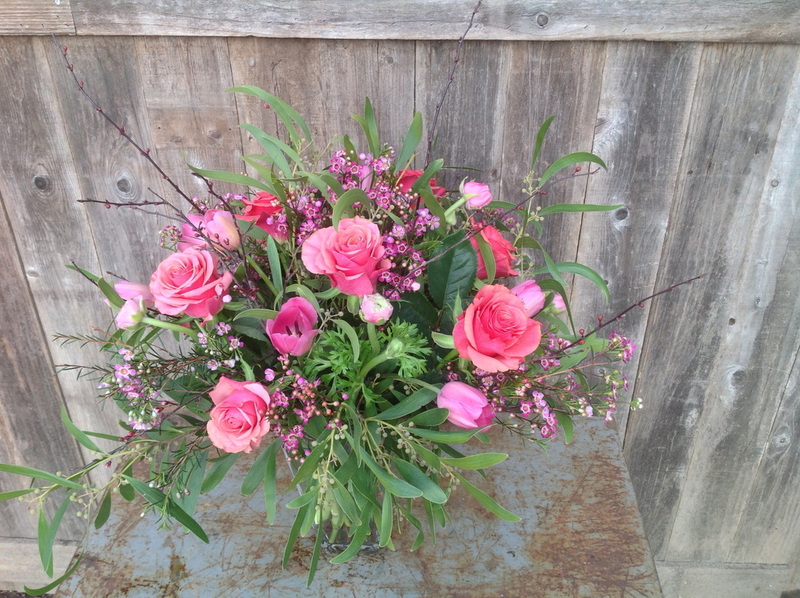 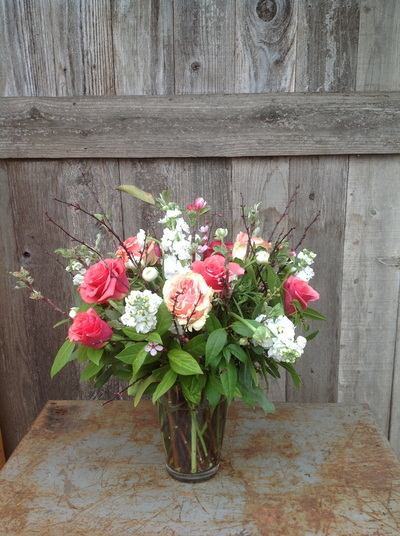 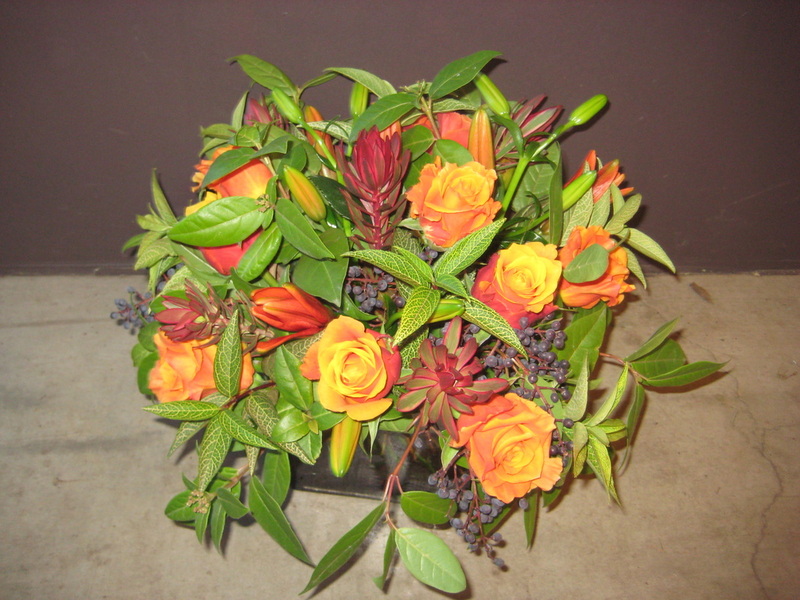 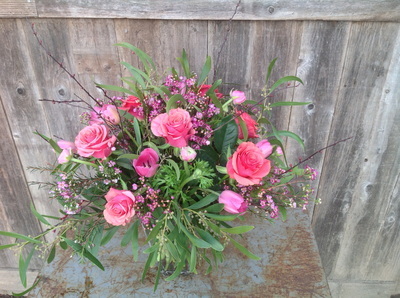 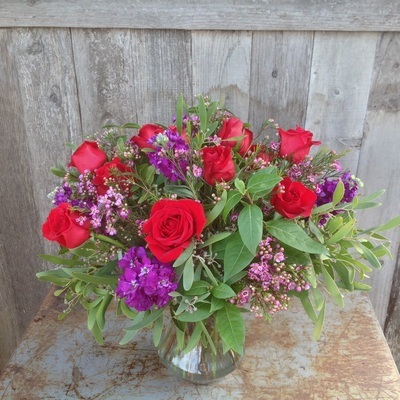 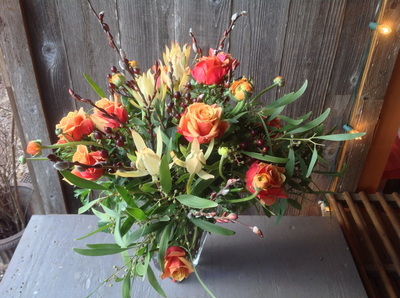 Before you meet with a florist, research some of the flowers you like. 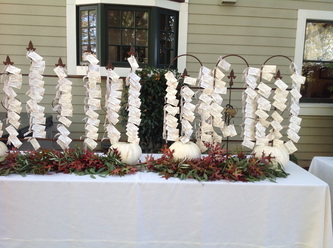 Remember their names and jot down potential style-related keywords as well. This will help you have a clearer discussion with your florist, so that you know you are both on the same page. 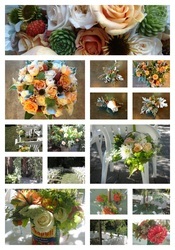 Start a Pinterest Board. 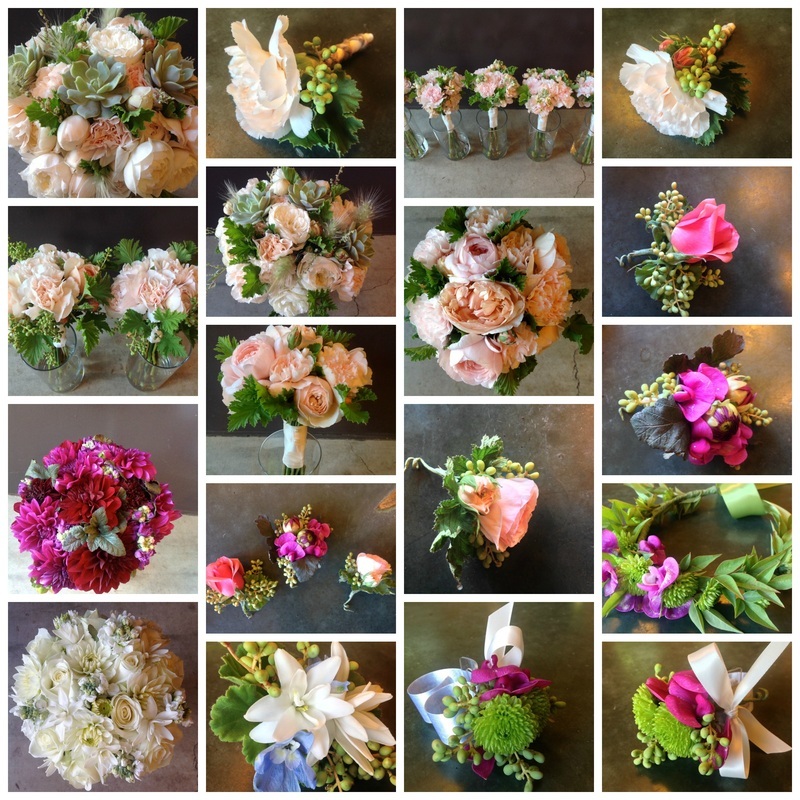 It’s fine to describe what you want, but having some good images can really help in determining what you like and this will help your florist get a better idea of how to create the perfect bouquet and arrangements so that you are truly happy on your Big Day. 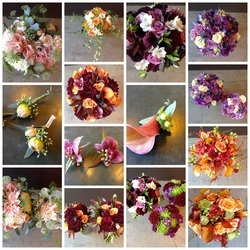 Pin like crazy everything you like then go back and get rid of everything that isn’t part of your vision for the flowers. 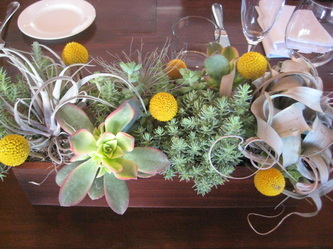 By curating your board you will see trends emerge-certain colors, shapes and styles will keep recurring. This is what you should share with your florist. 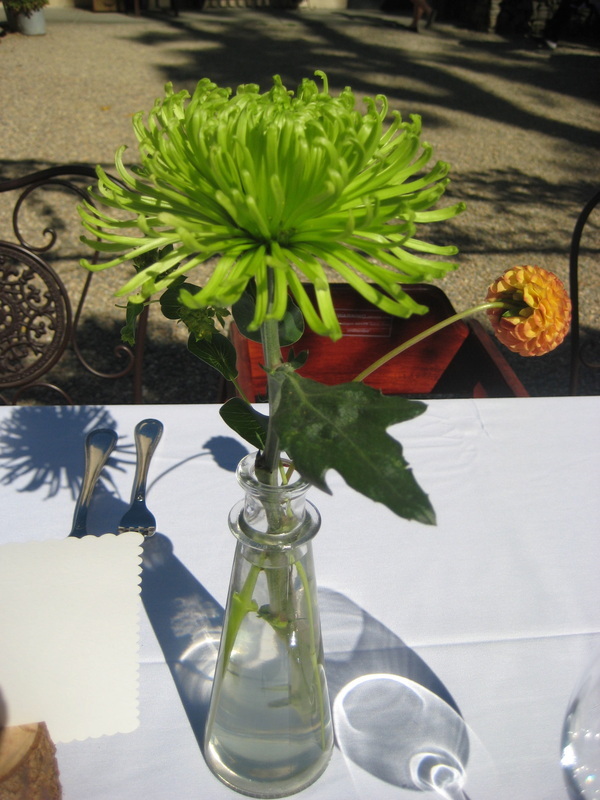 Also, make sure to leave your own comments about what it is you like about each image. 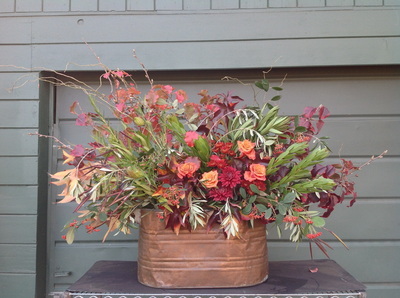 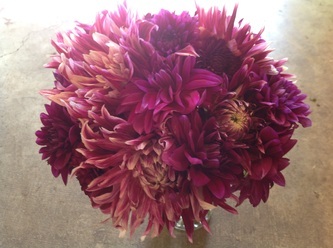 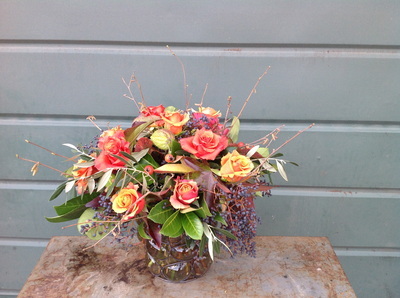 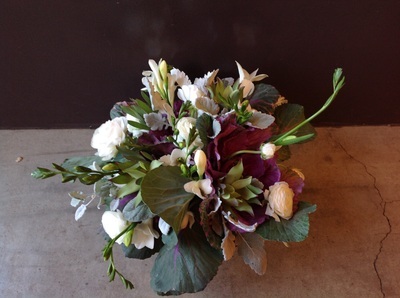 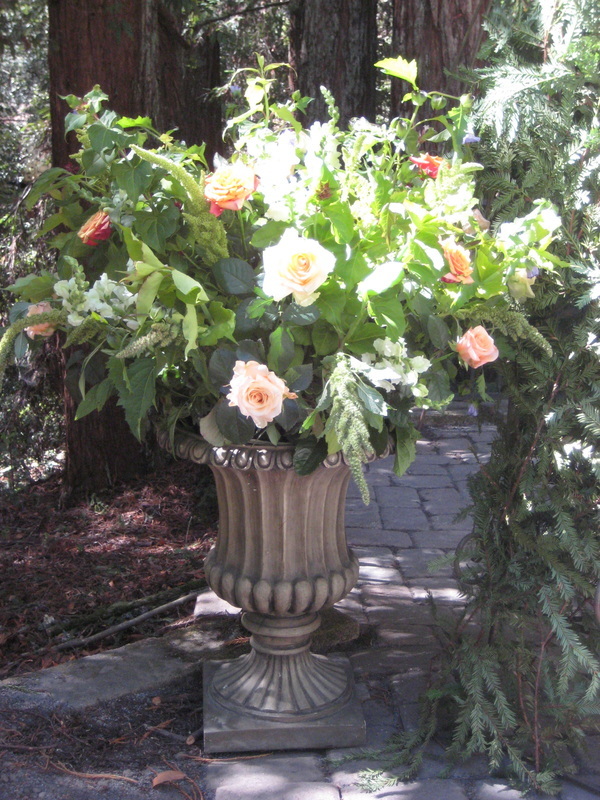 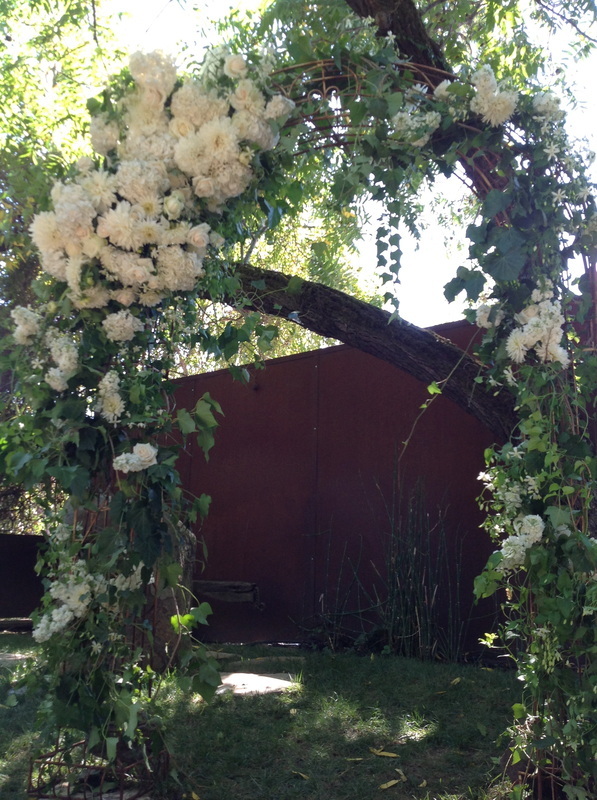 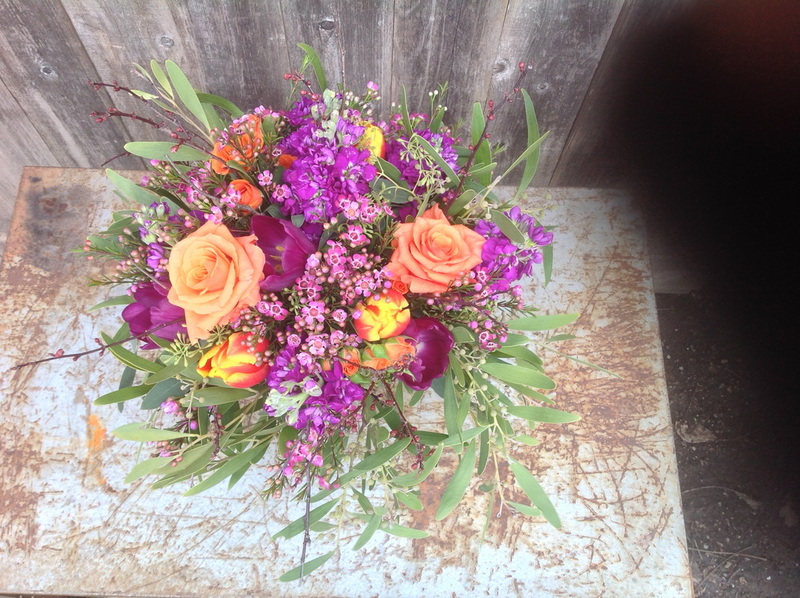 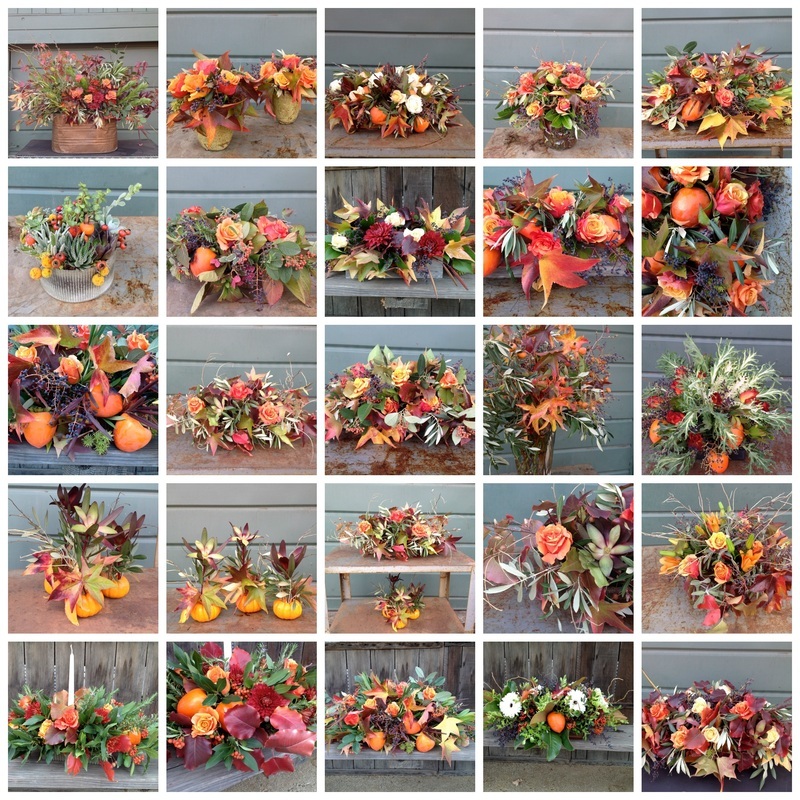 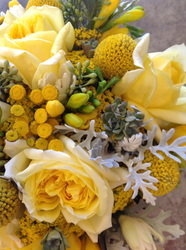 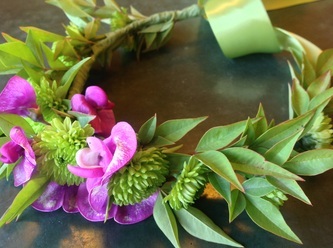 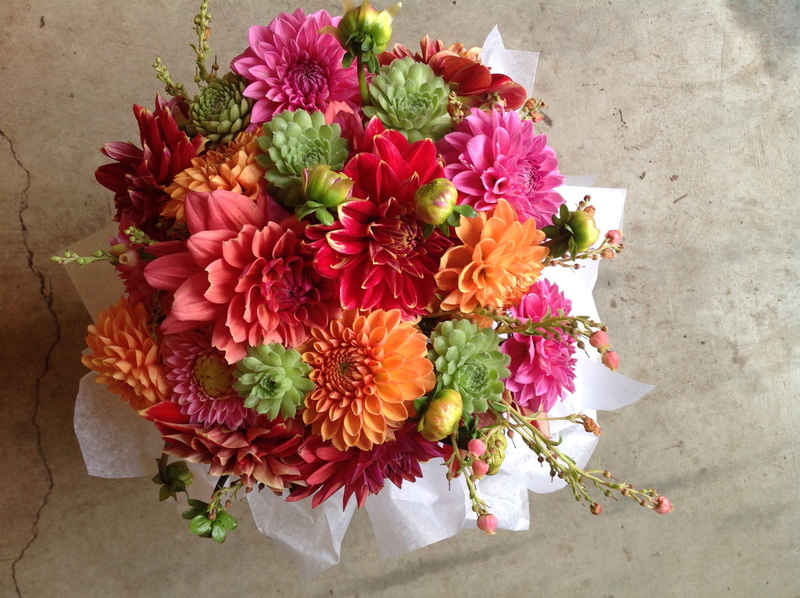 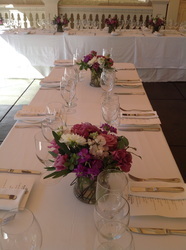 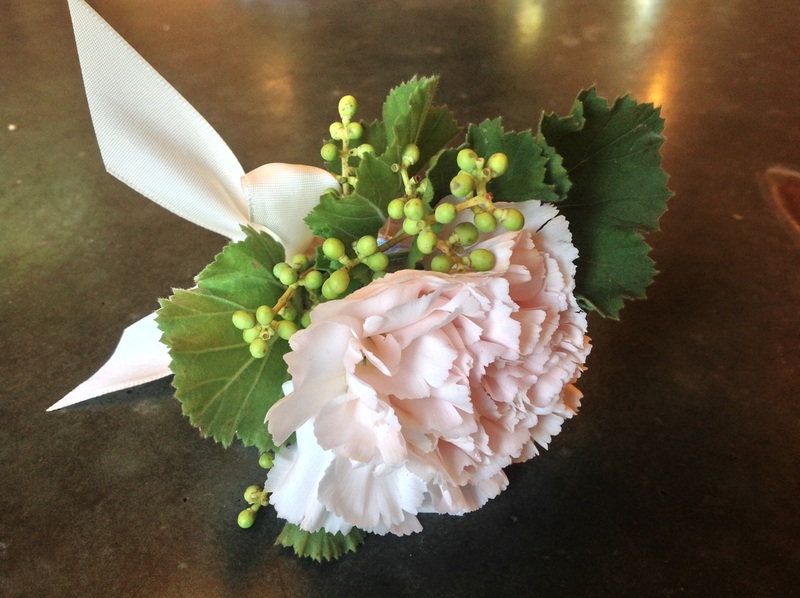 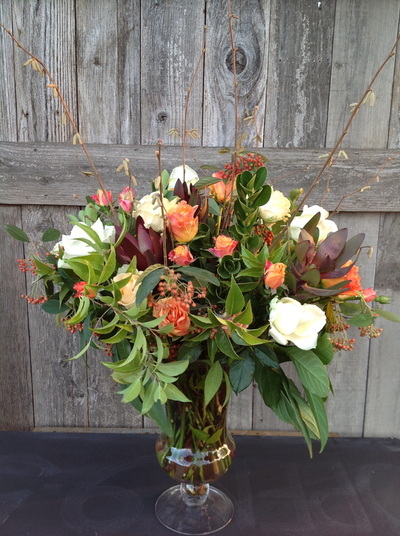 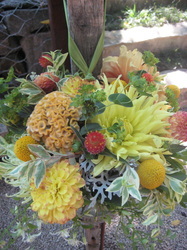 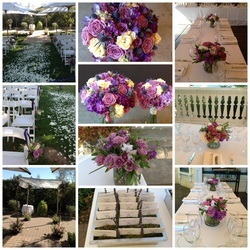 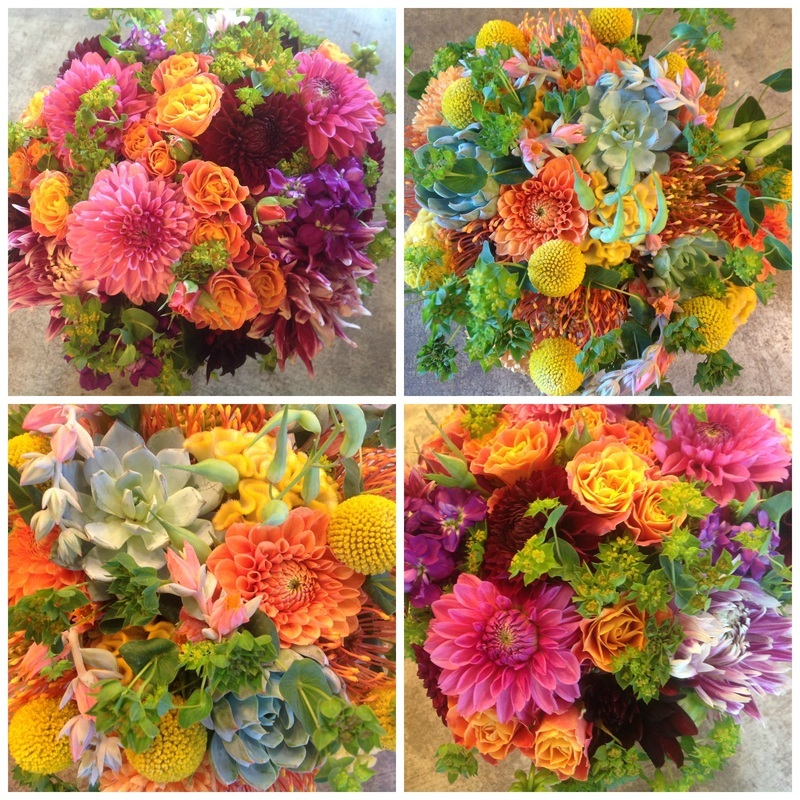 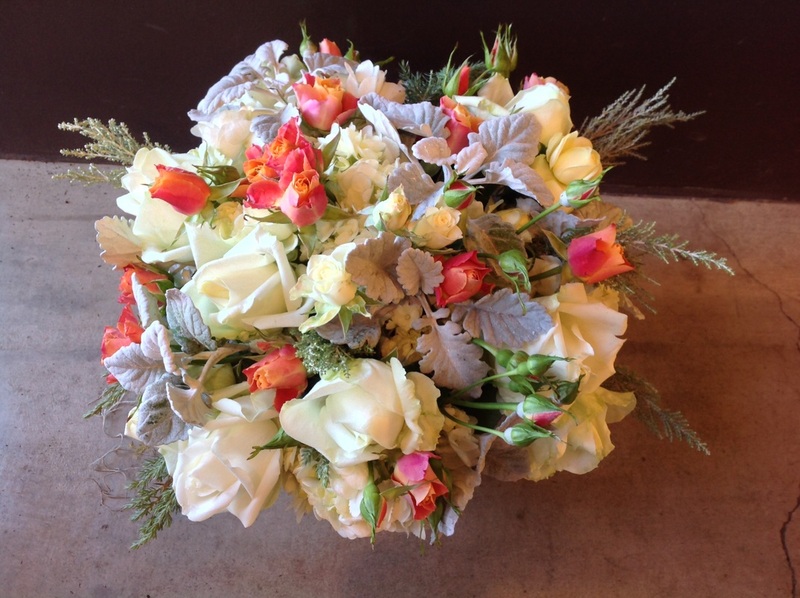 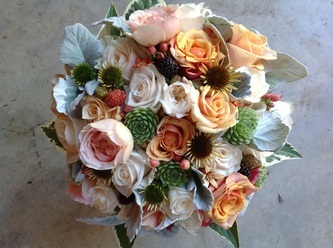 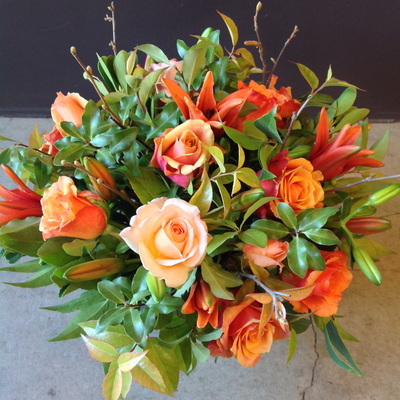 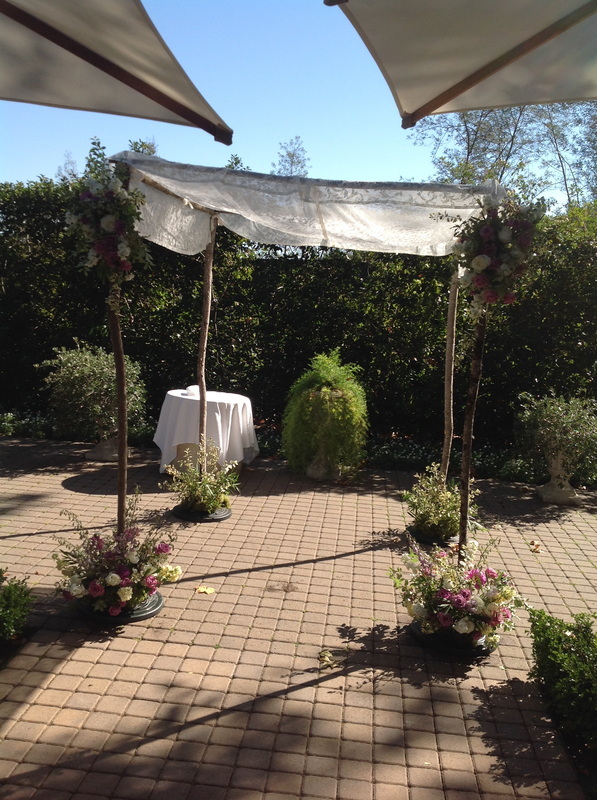 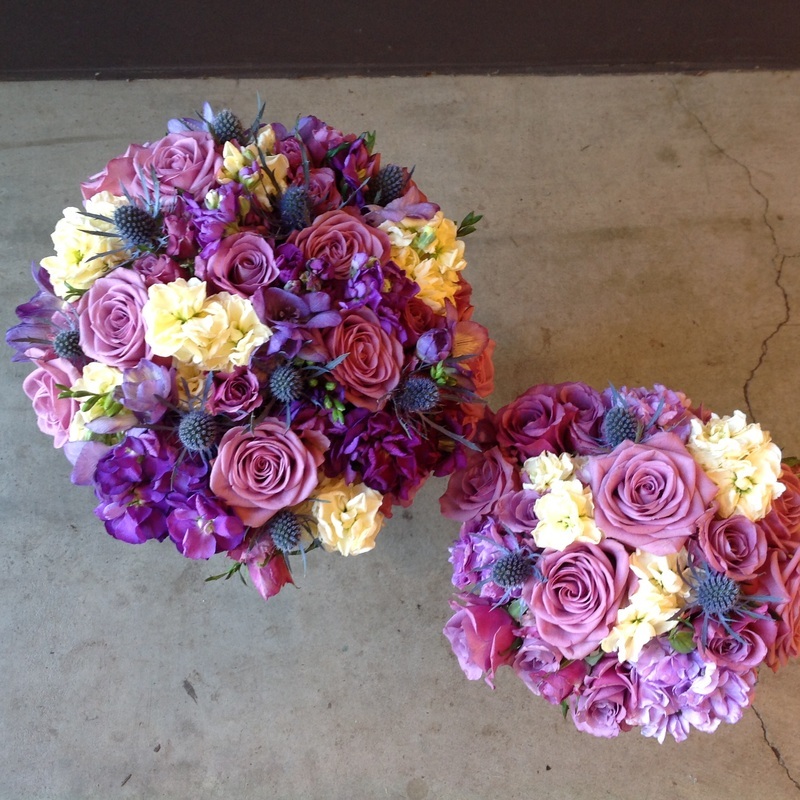 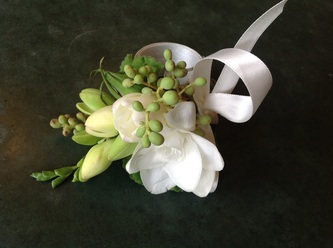 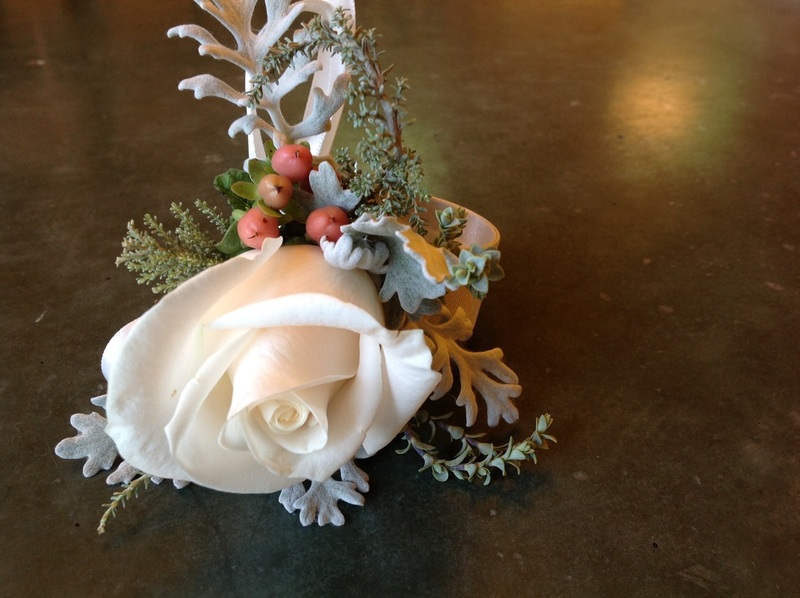 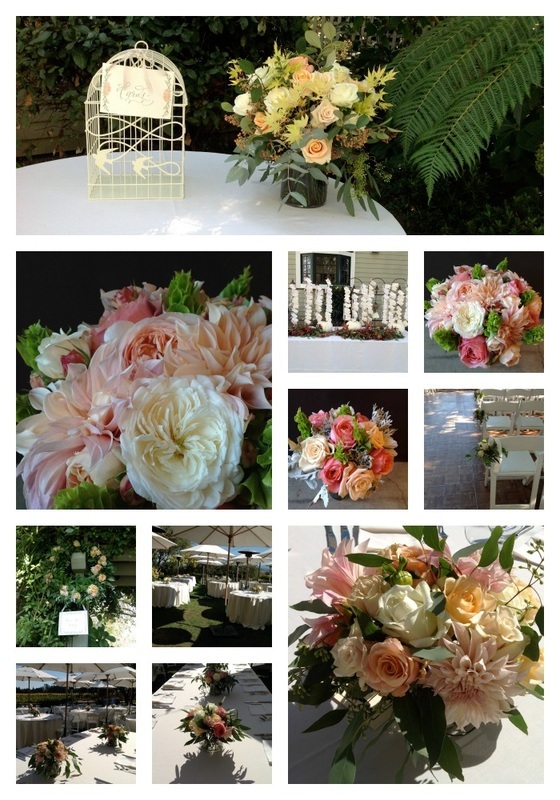 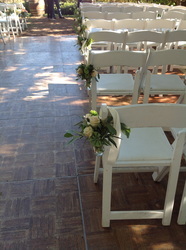 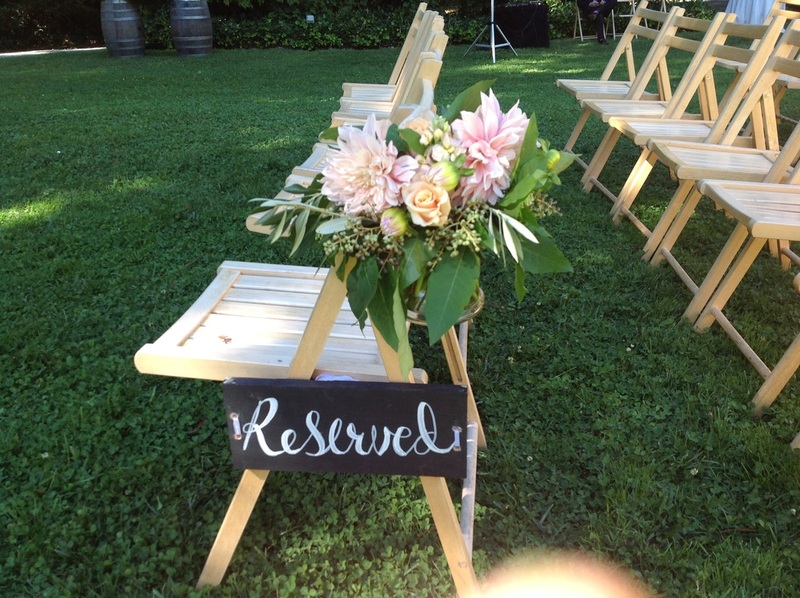 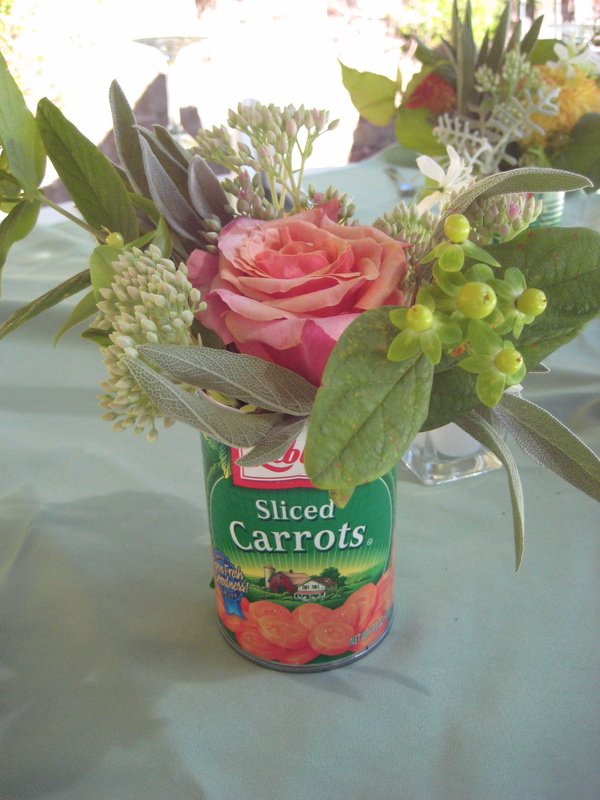 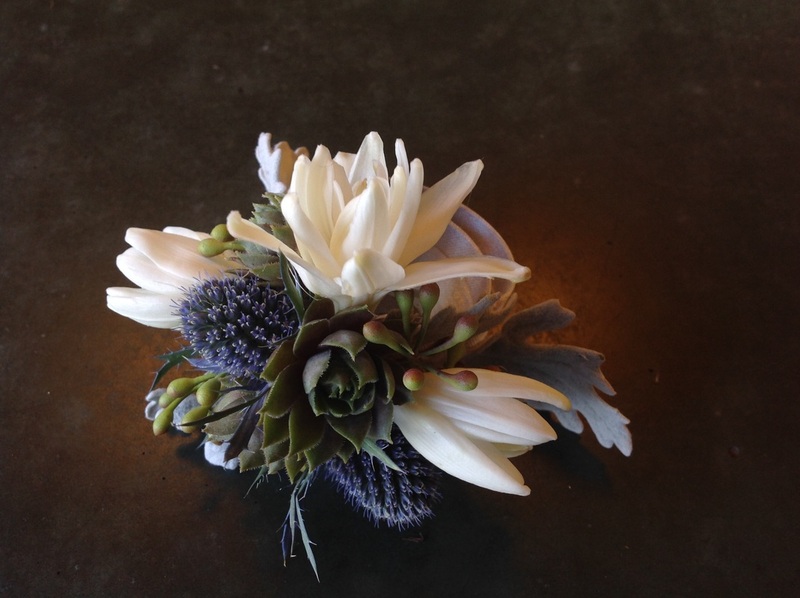 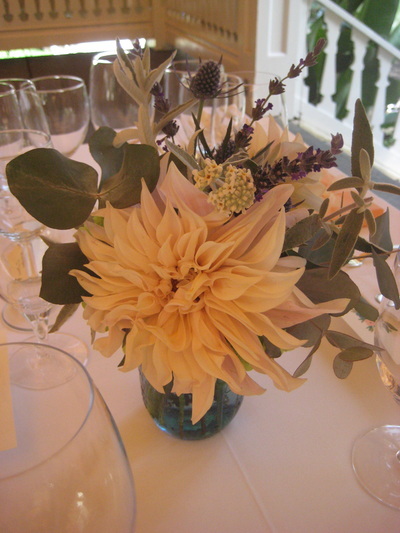 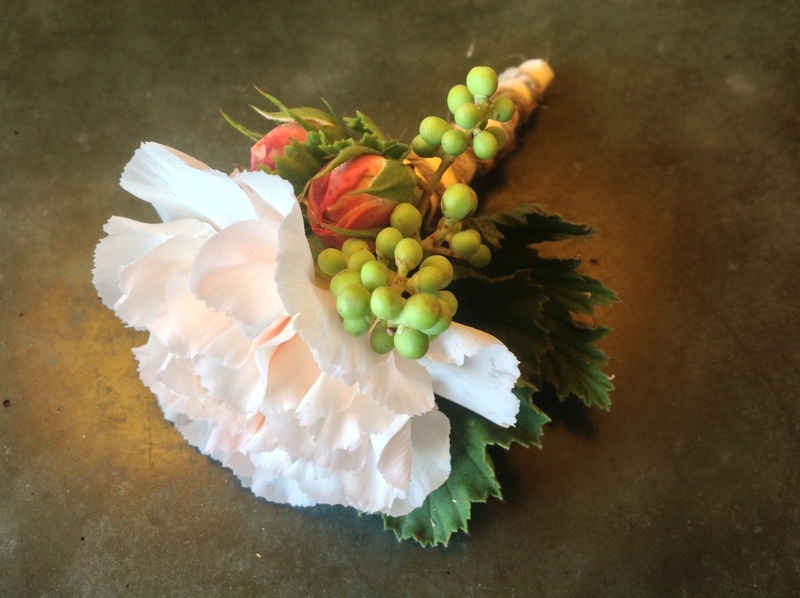 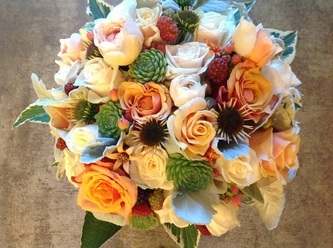 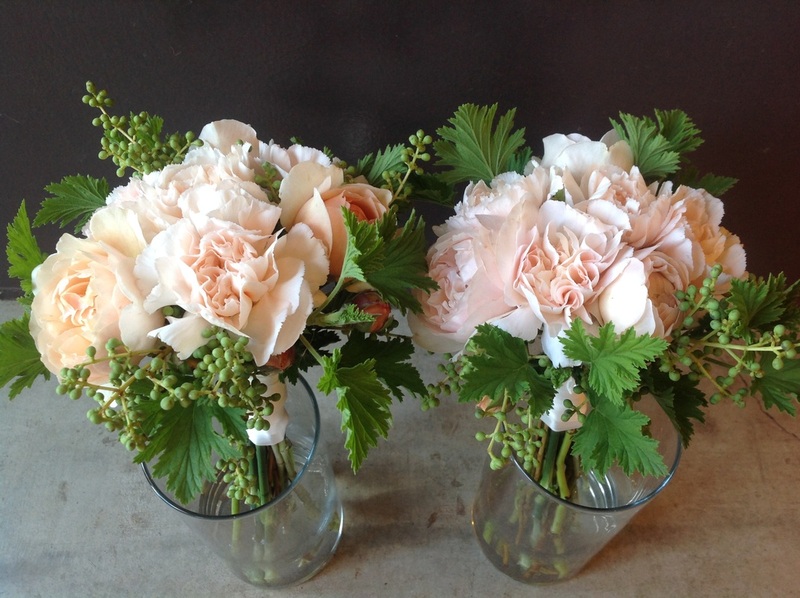 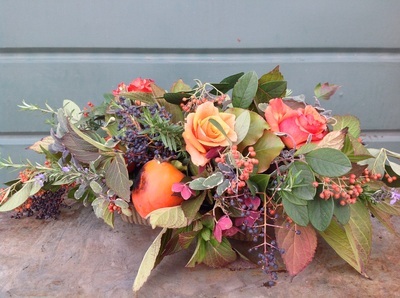 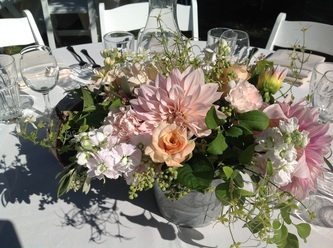 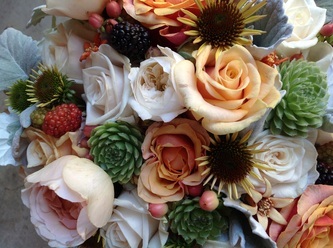 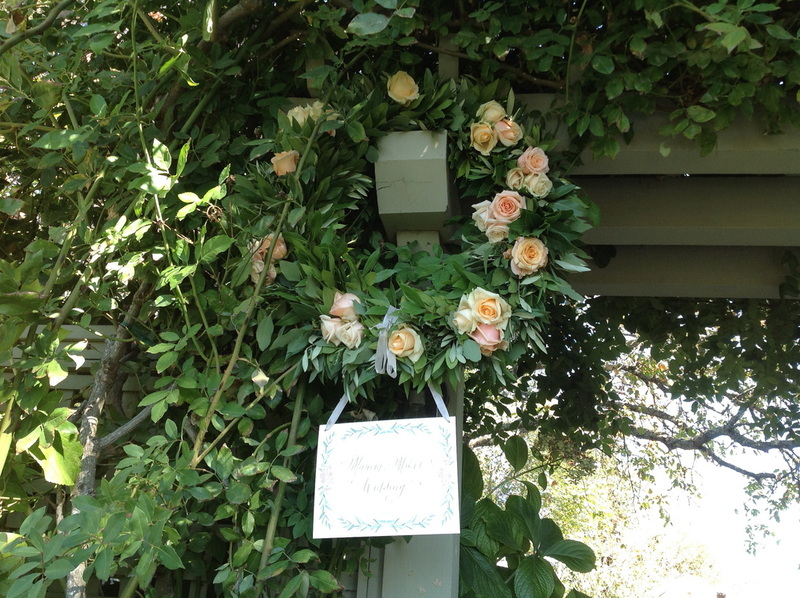 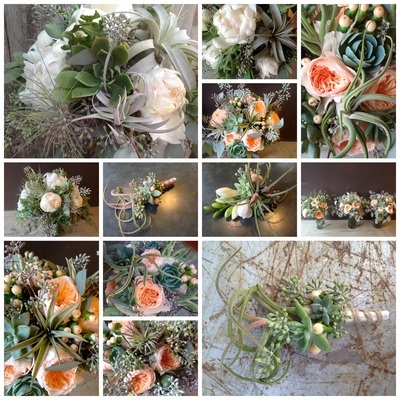 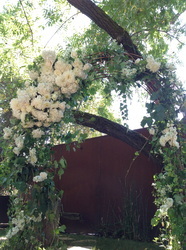 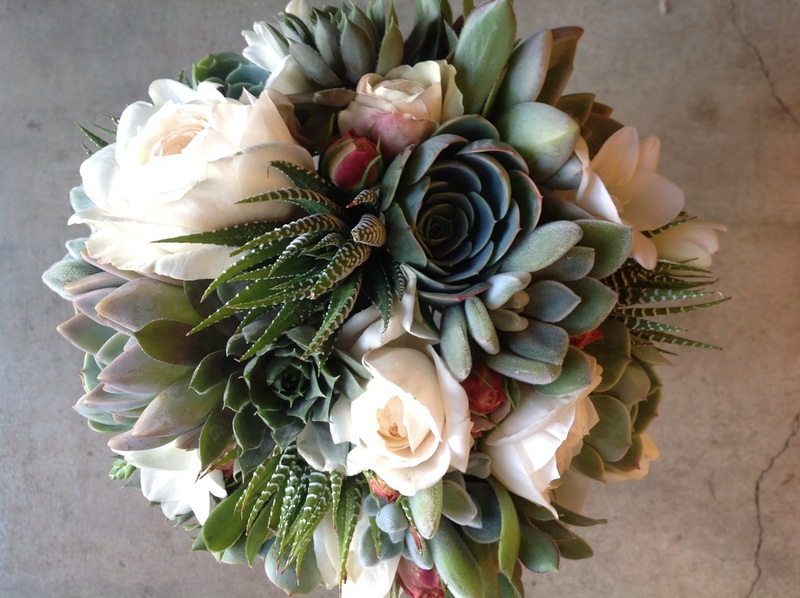 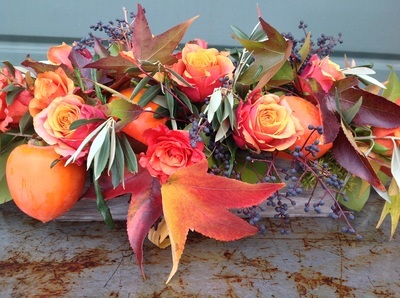 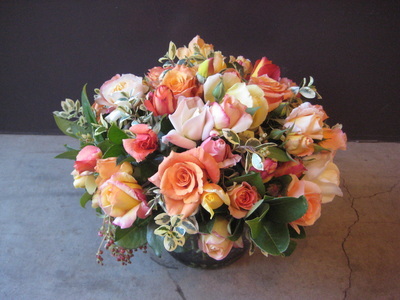 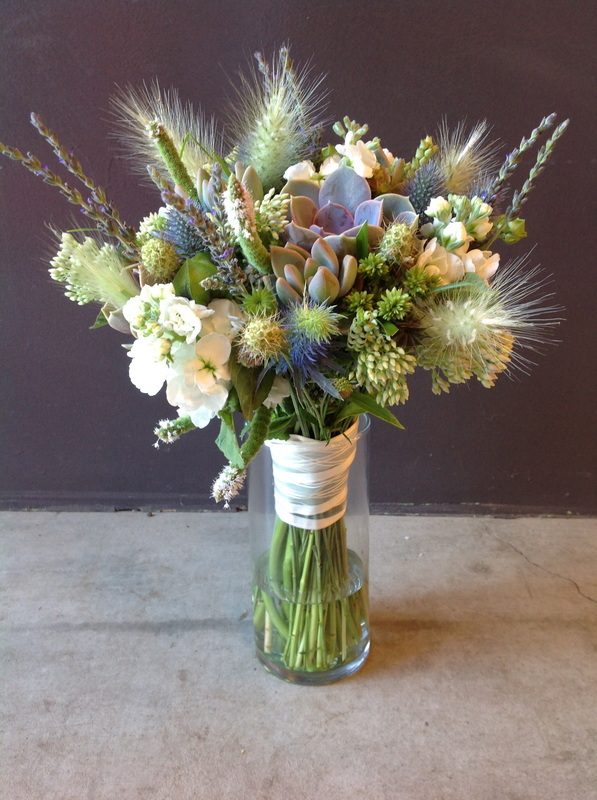 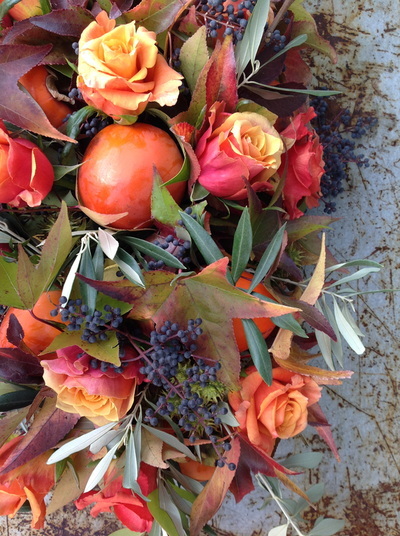 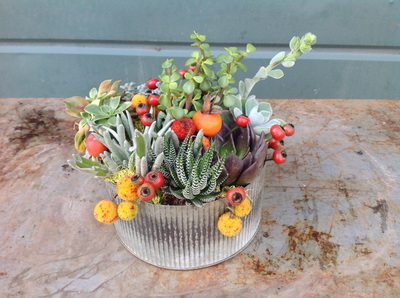 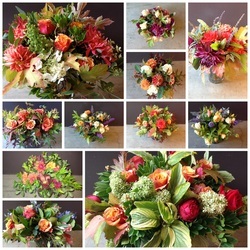 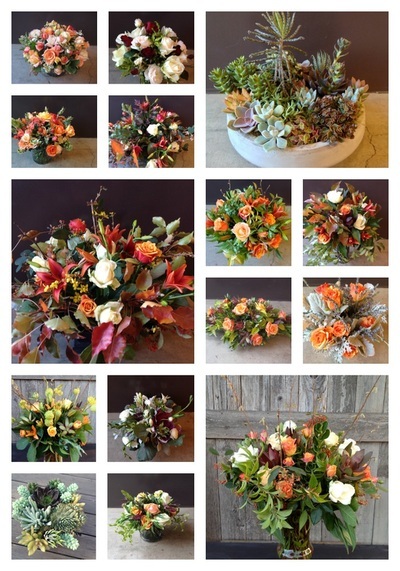 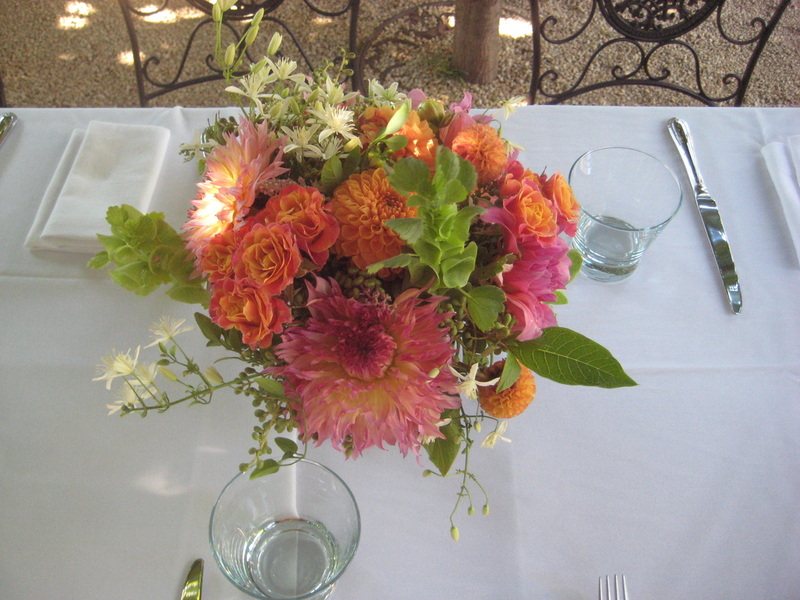 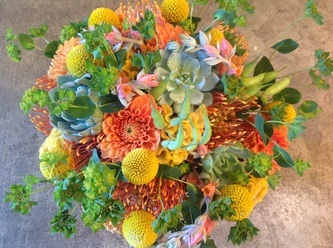 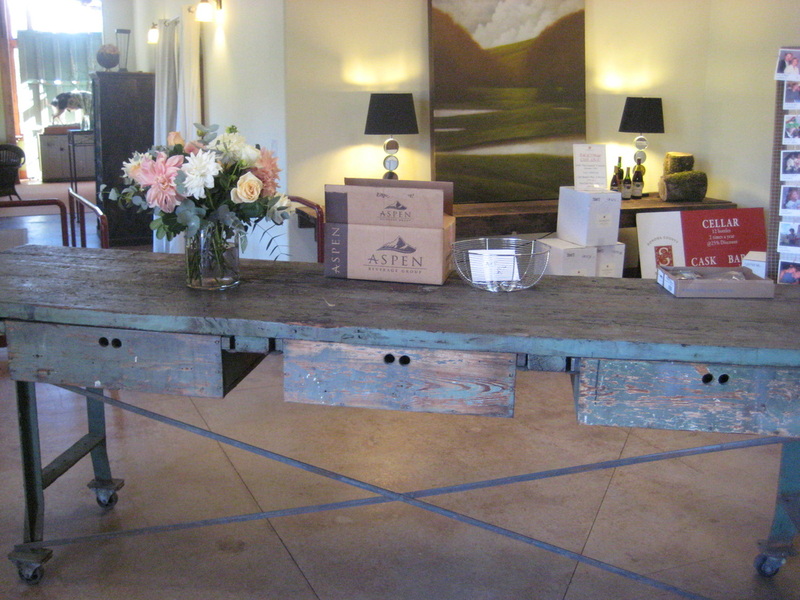 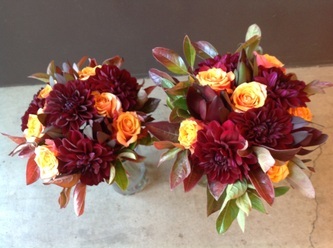 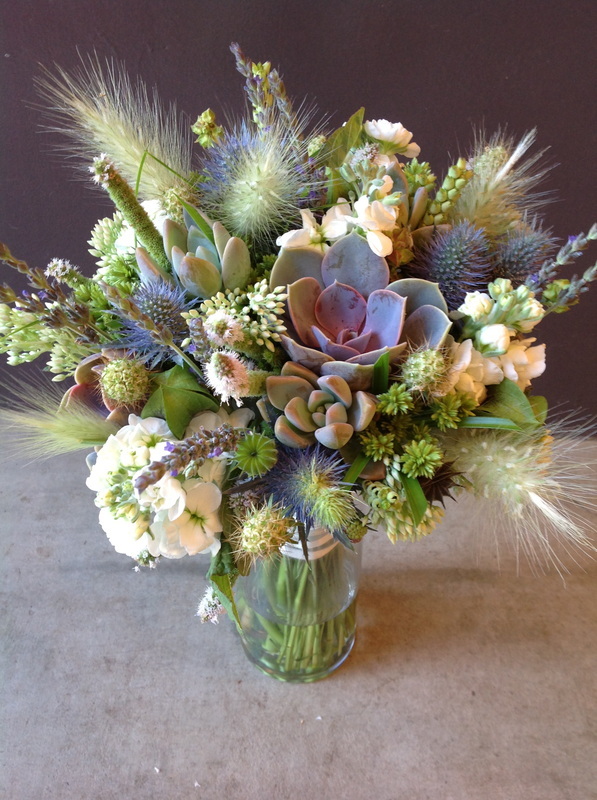 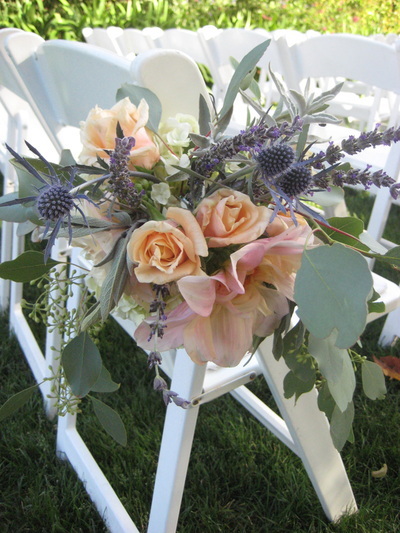 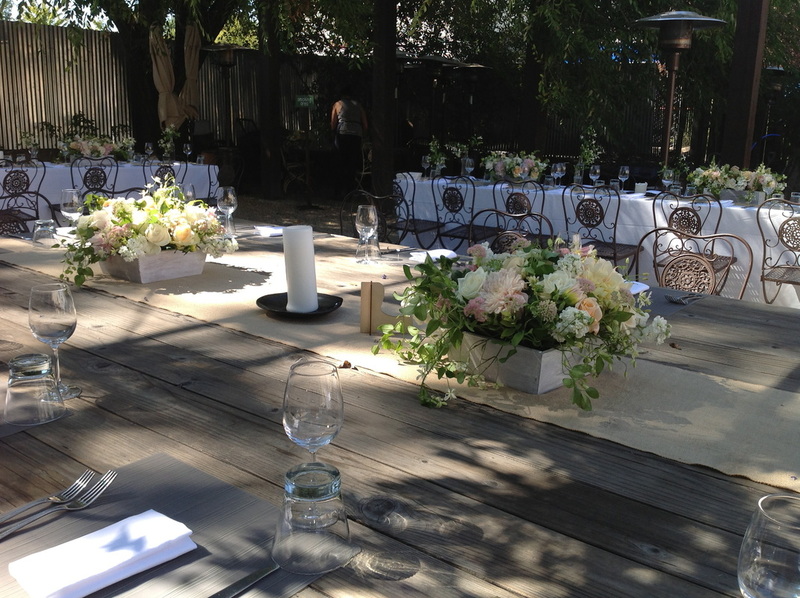 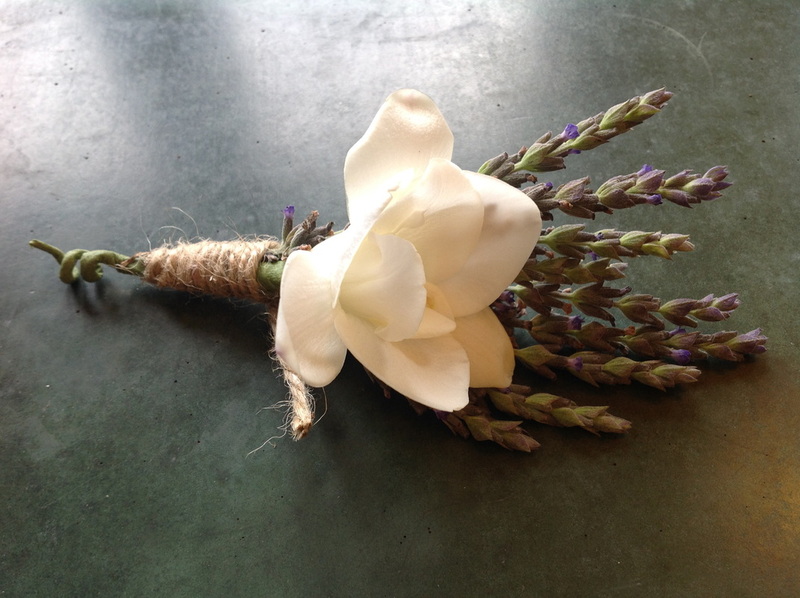 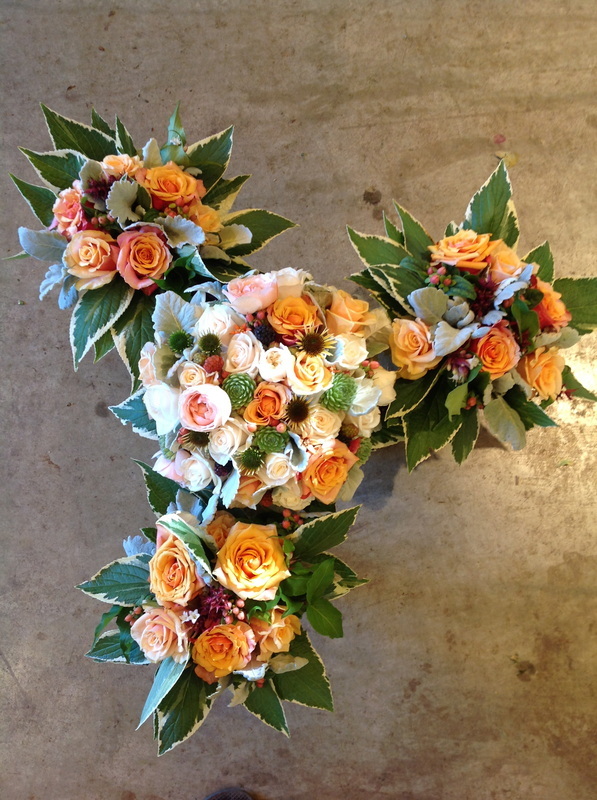 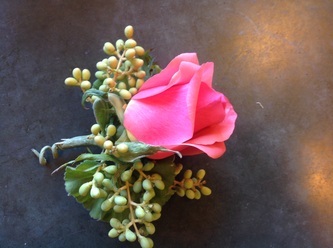 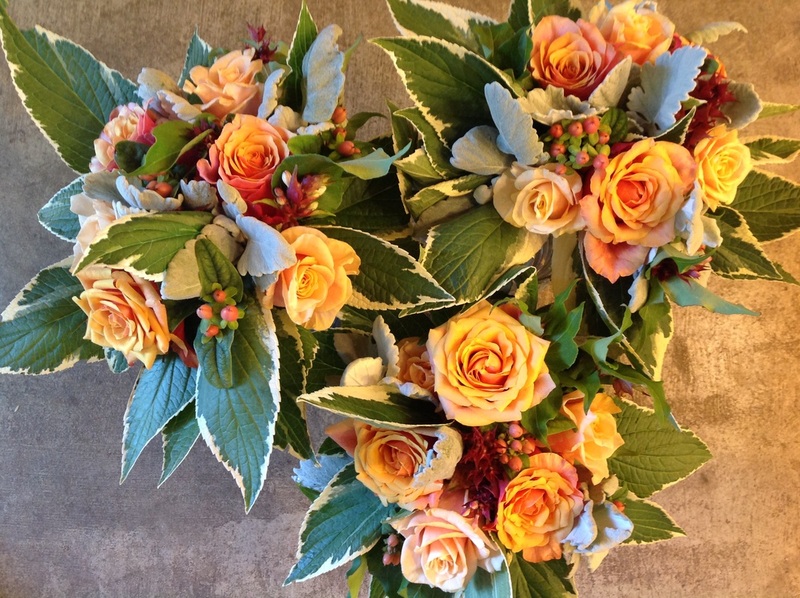 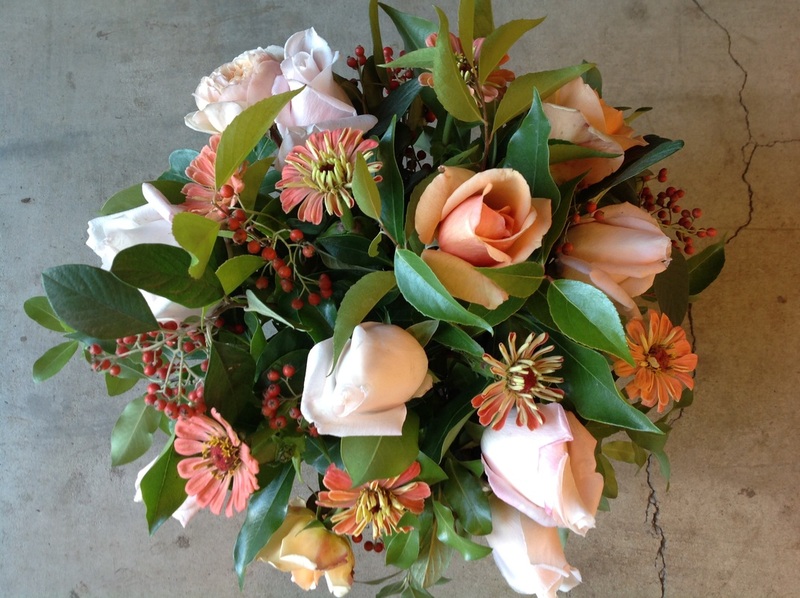 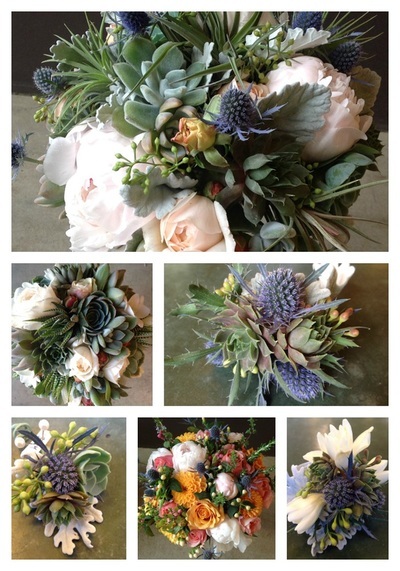 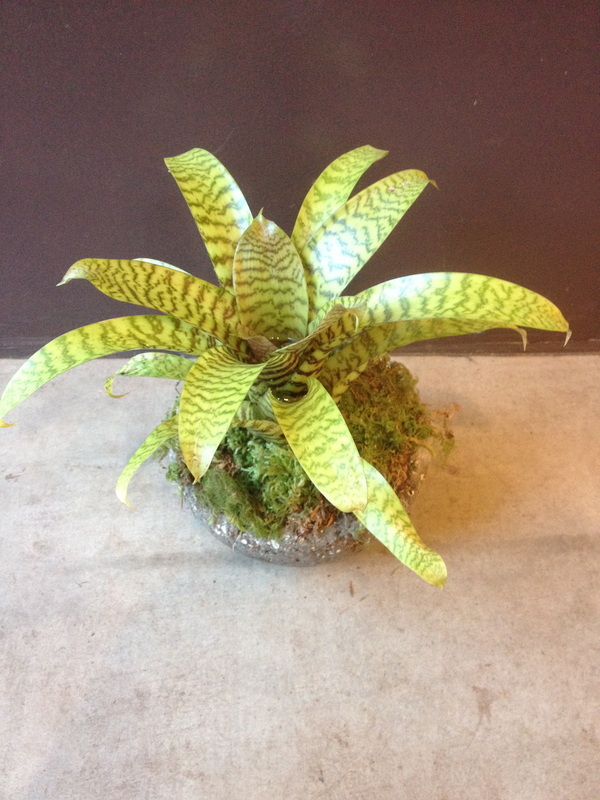 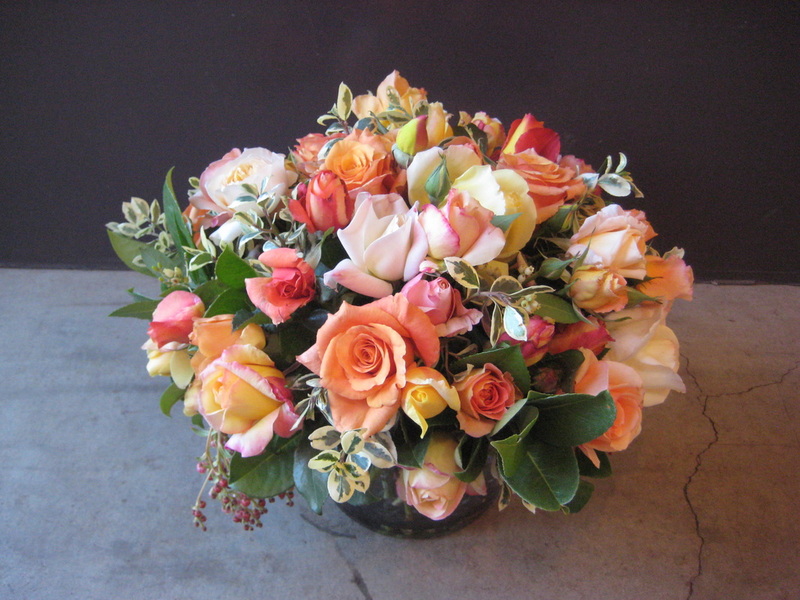 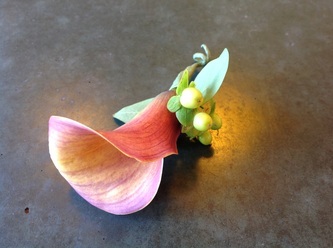 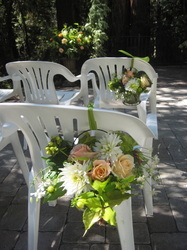 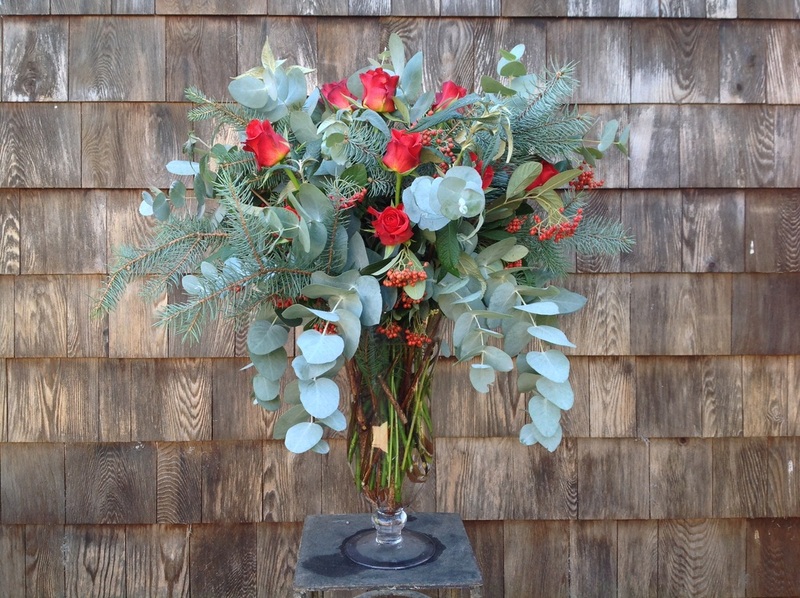 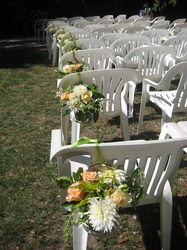 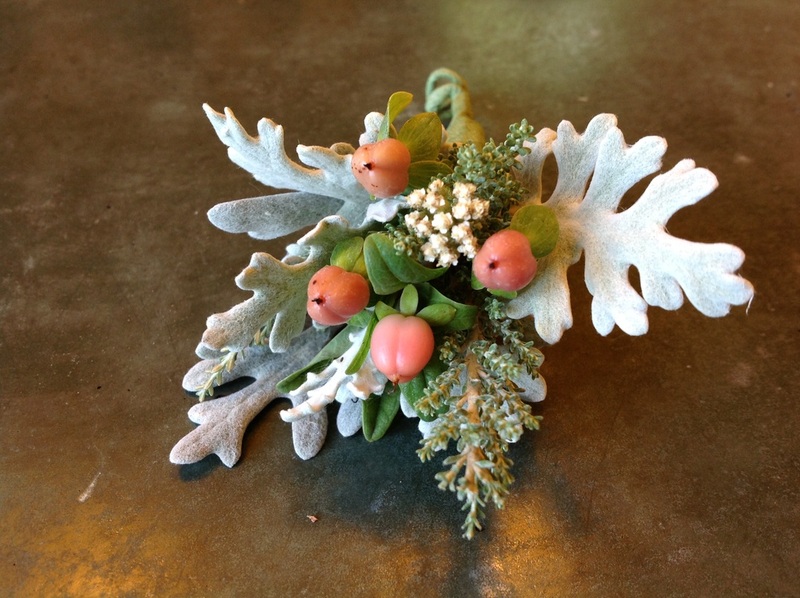 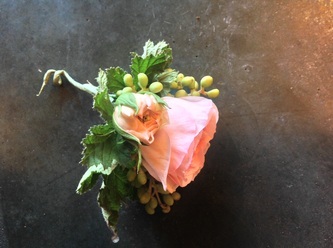 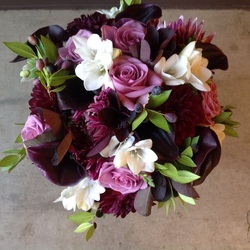 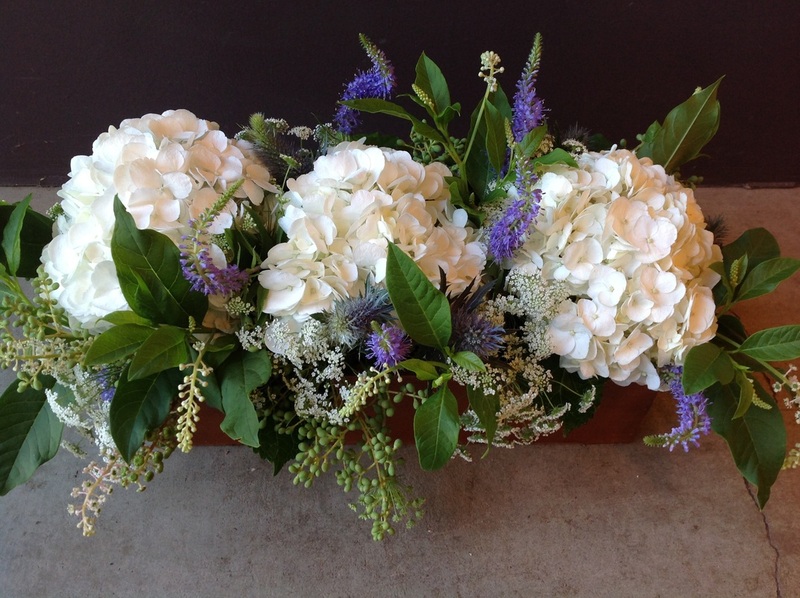 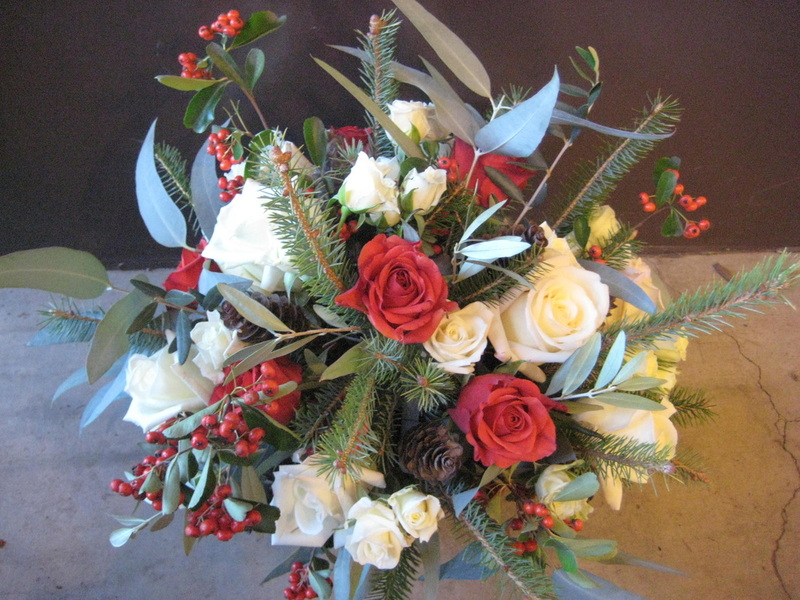 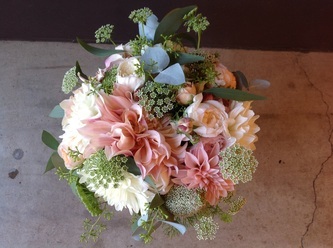 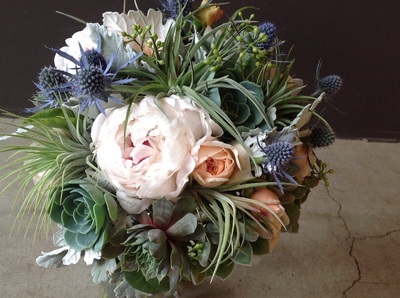 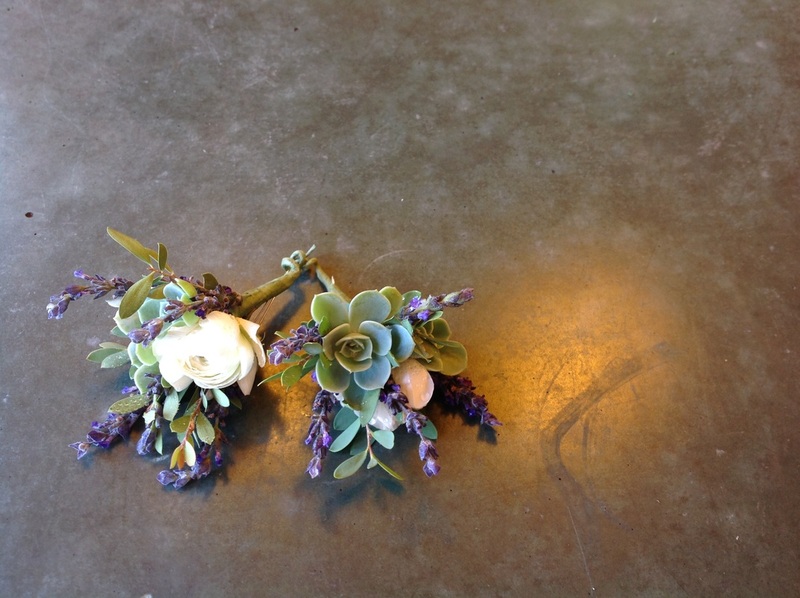 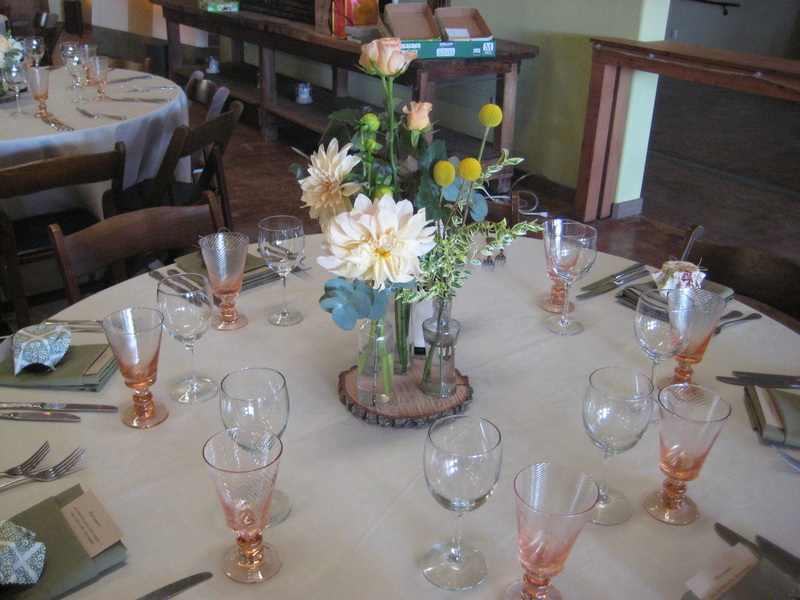 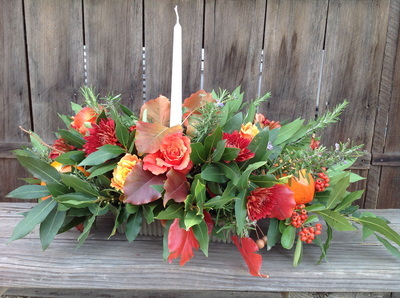 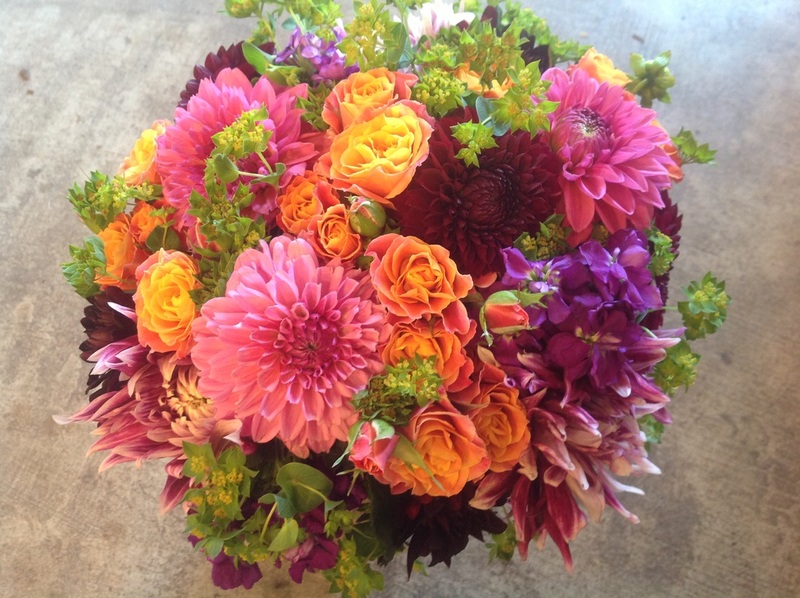 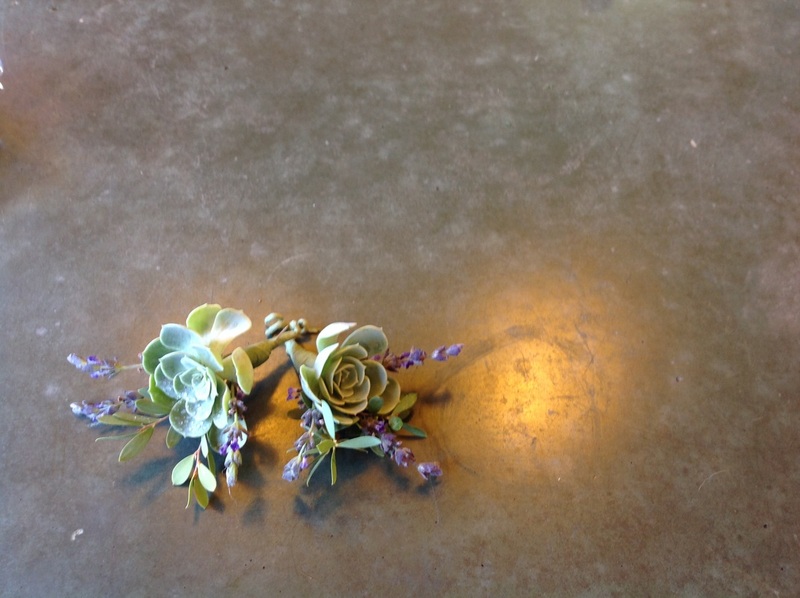 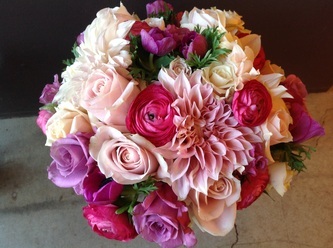 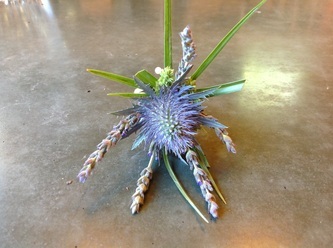 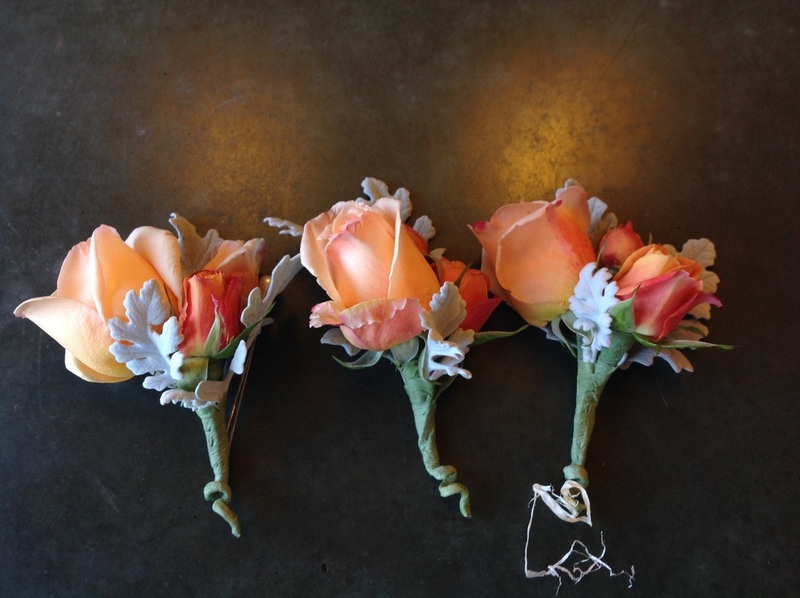 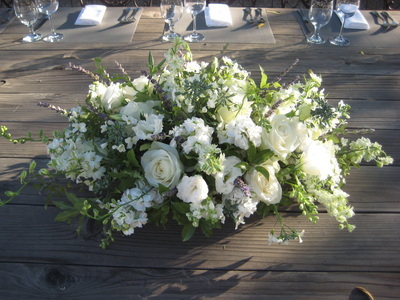 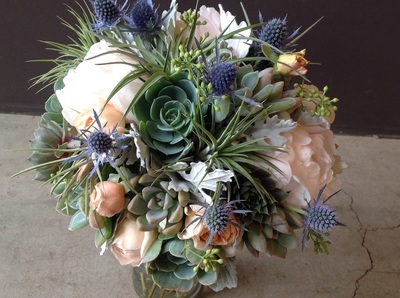 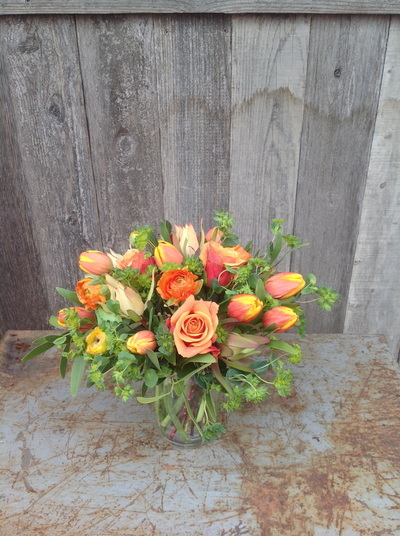 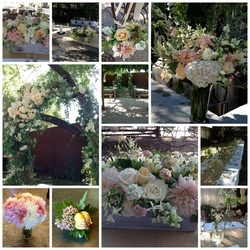 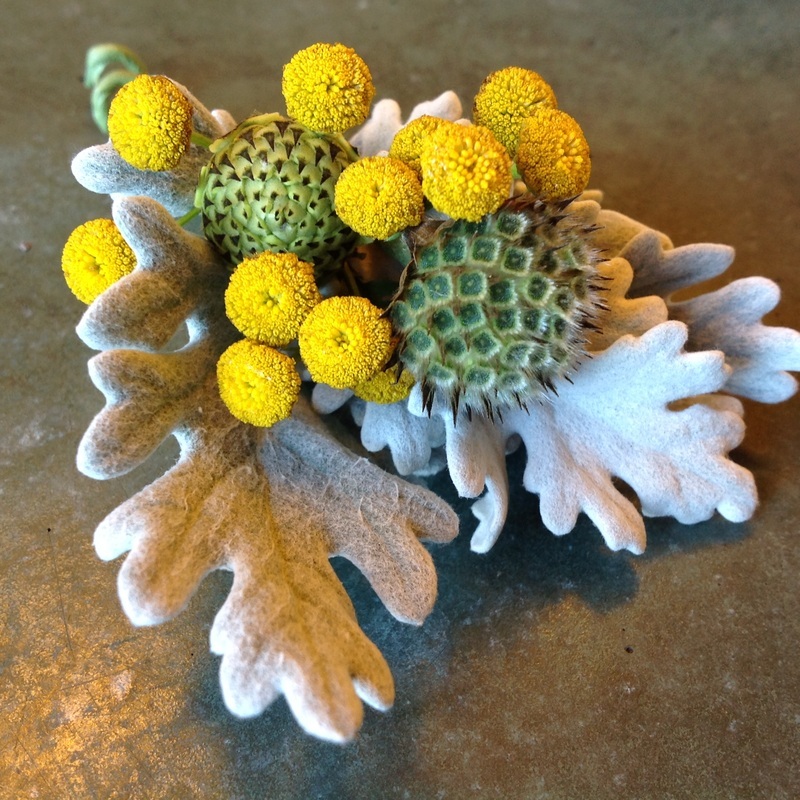 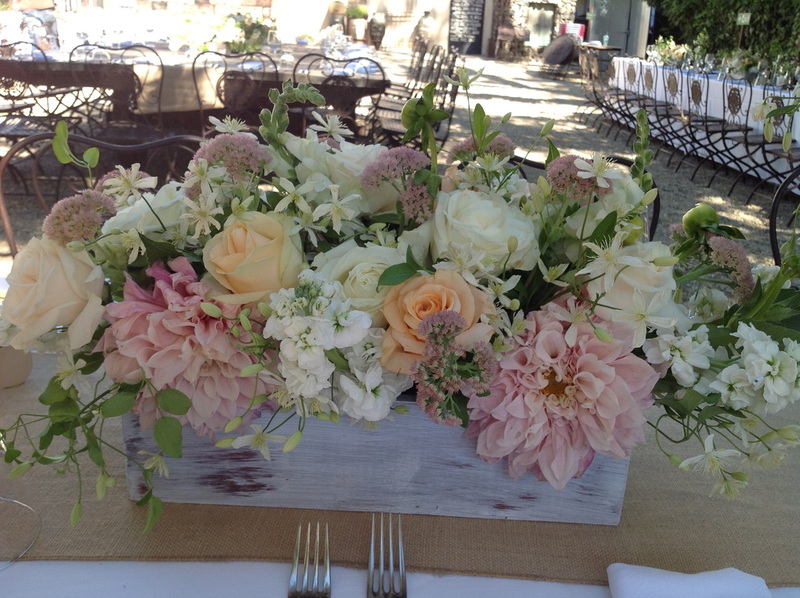 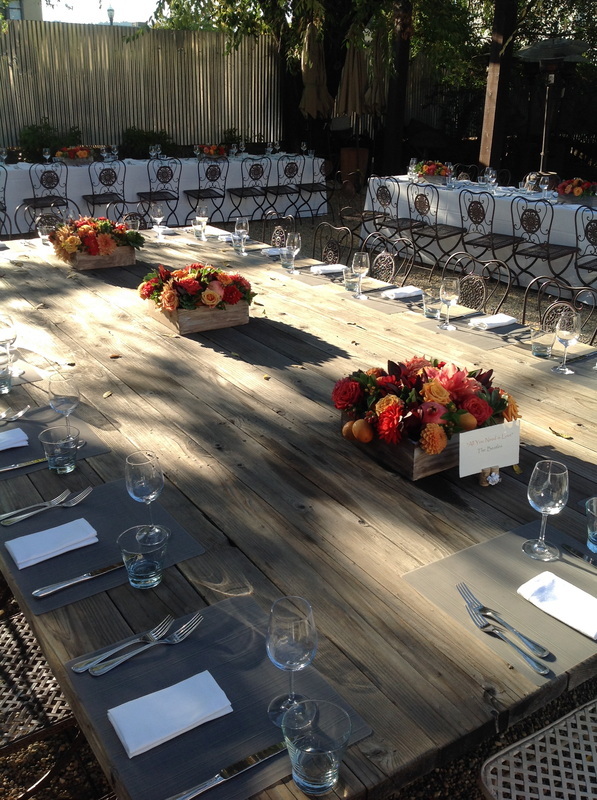 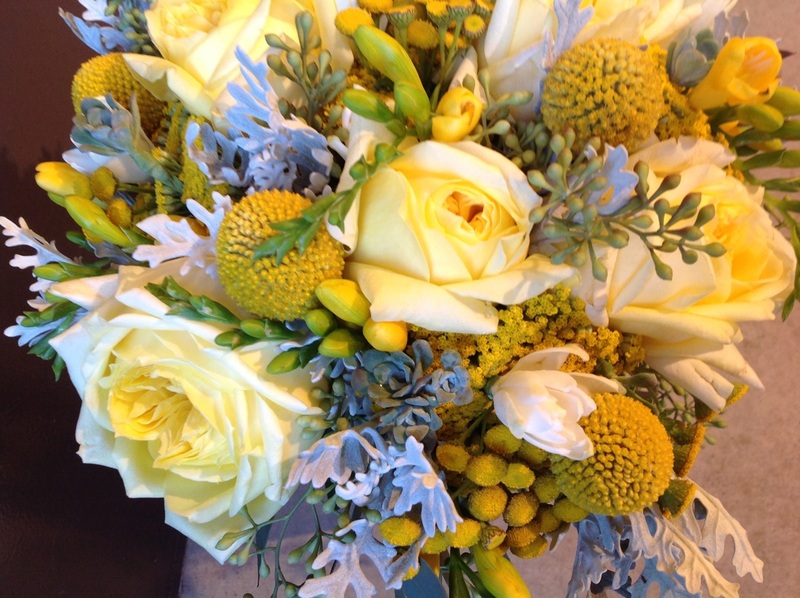 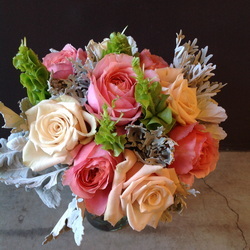 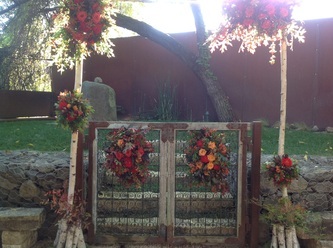 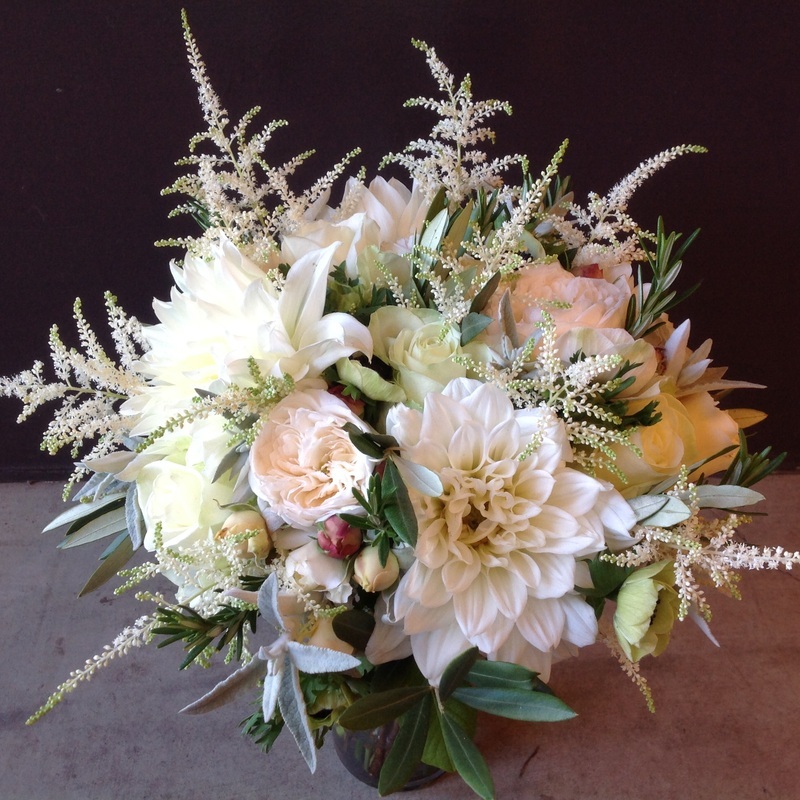 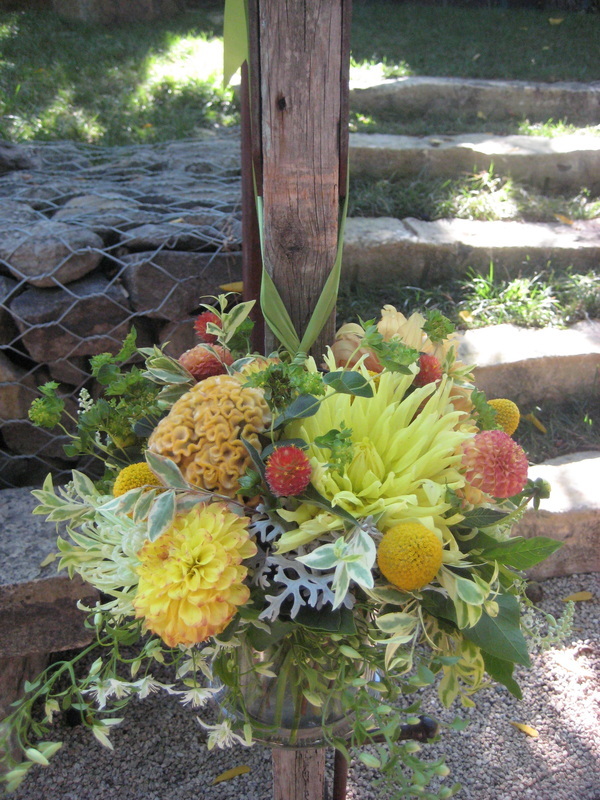 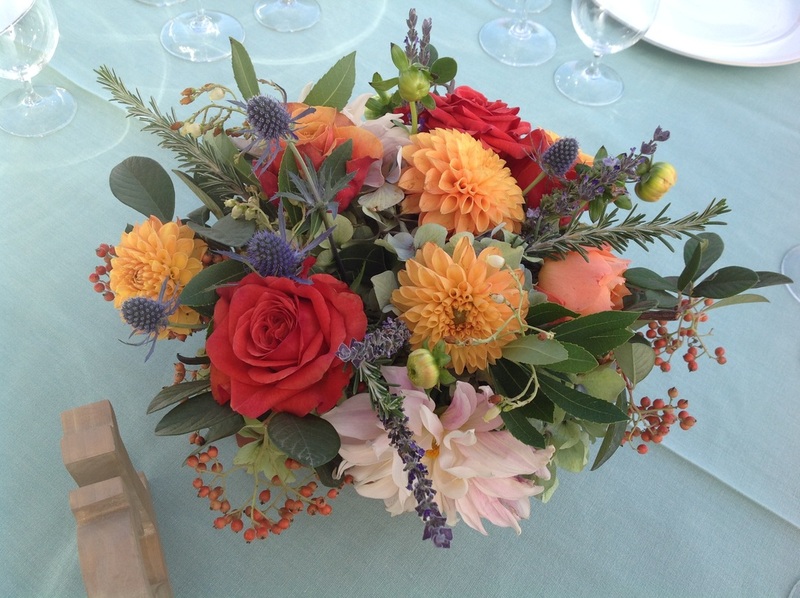 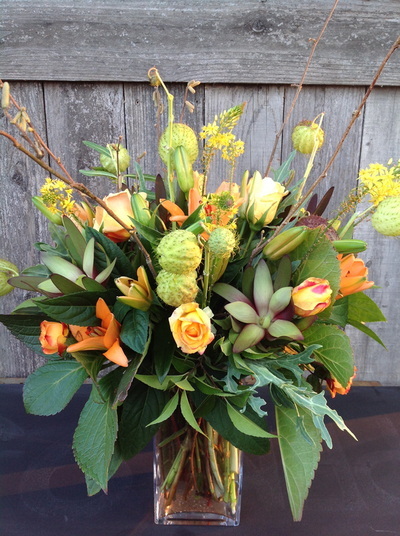 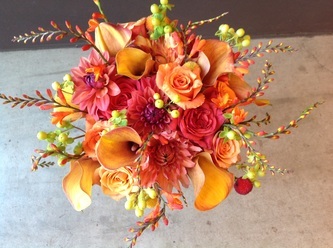 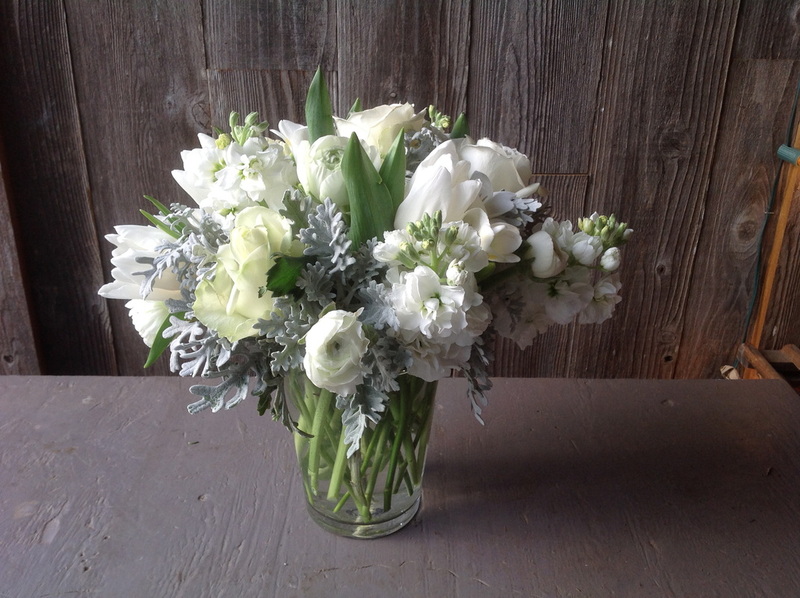 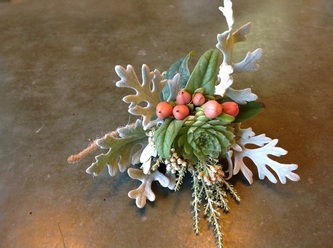 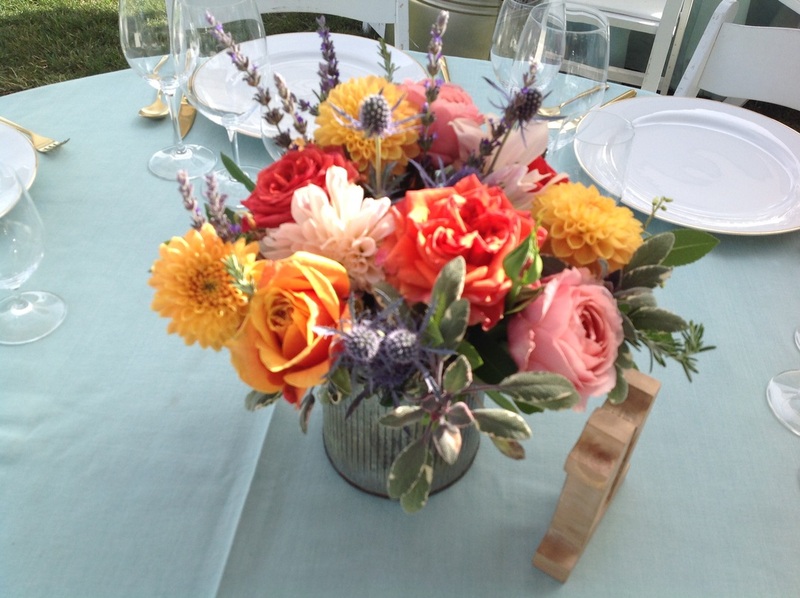 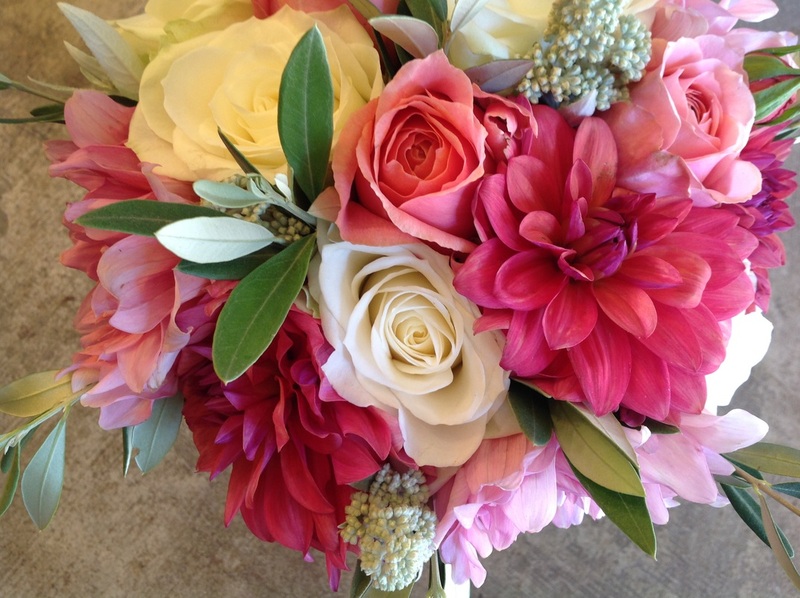 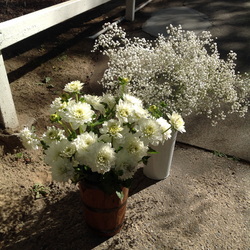 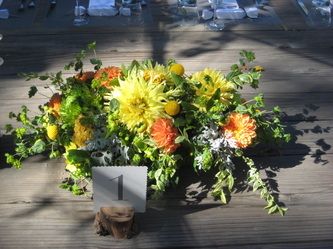 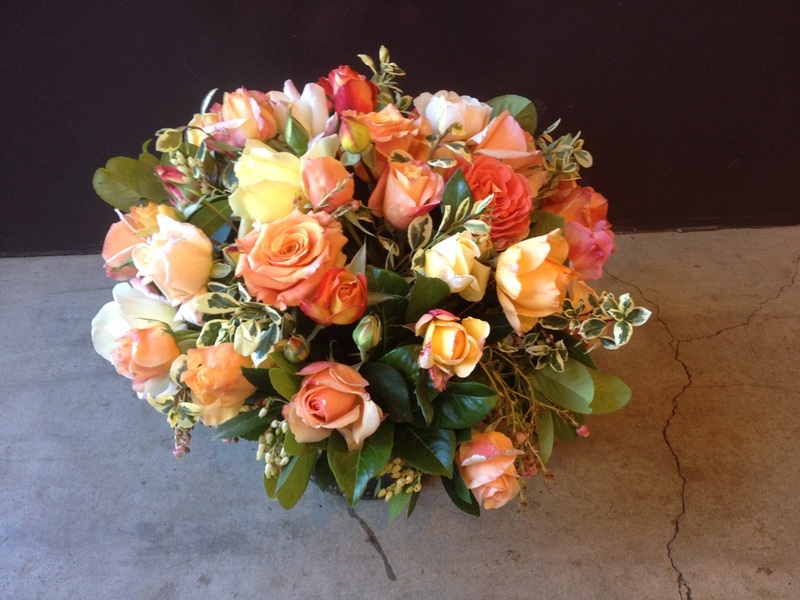 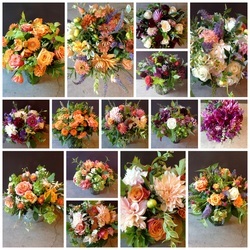 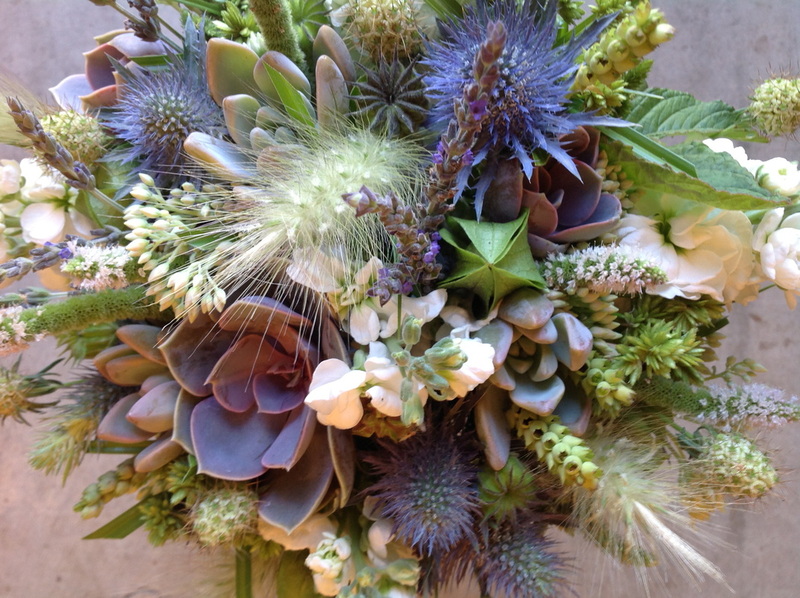 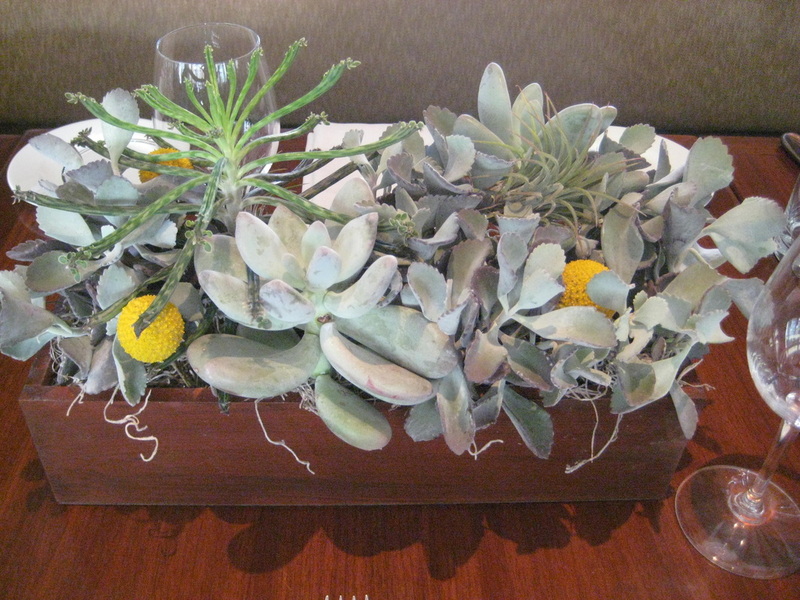 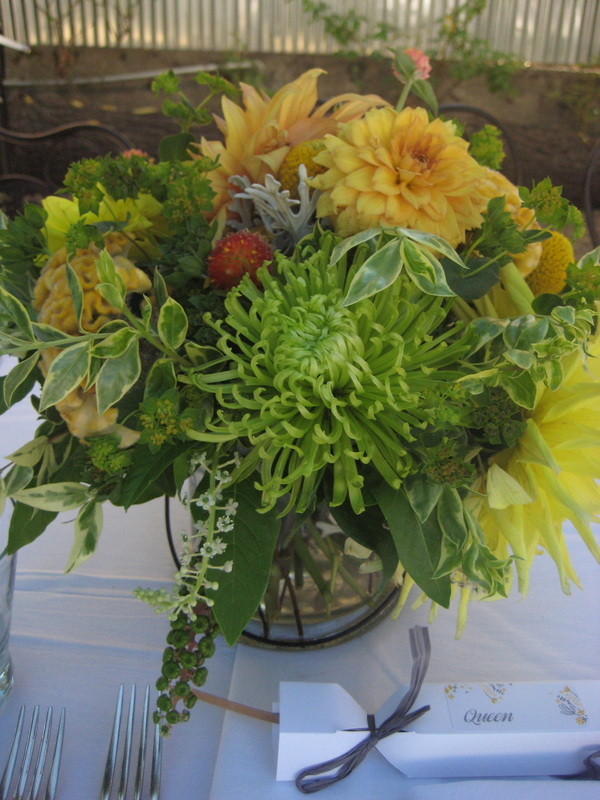 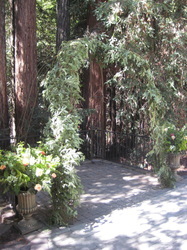 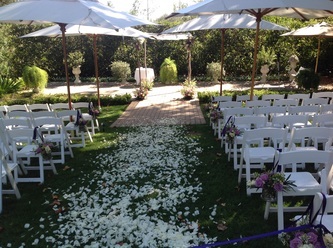 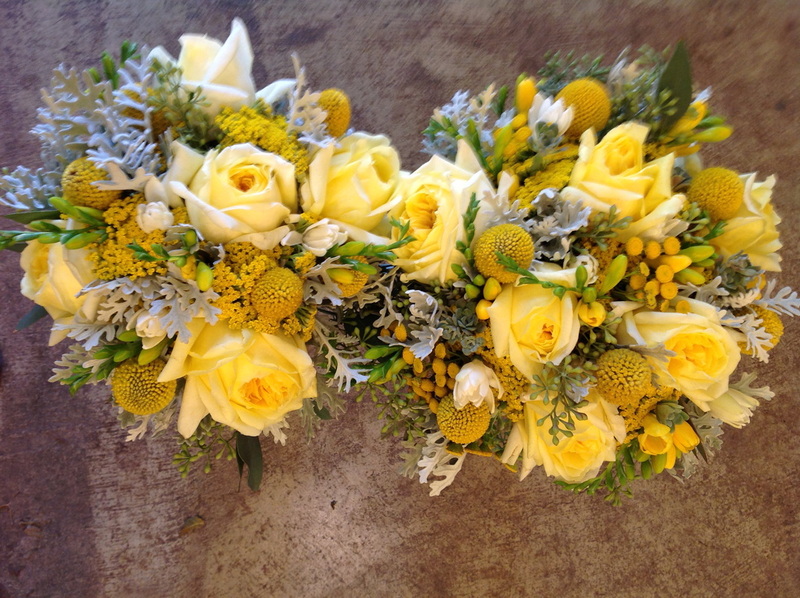 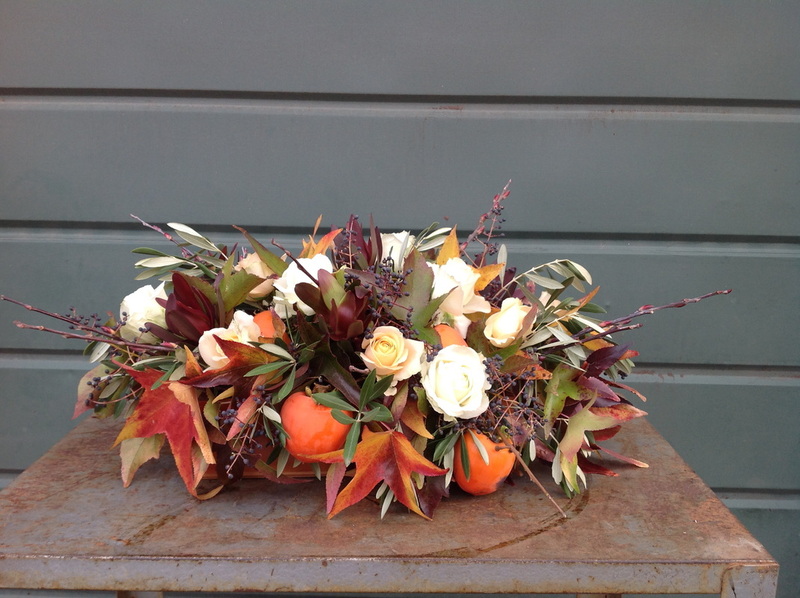 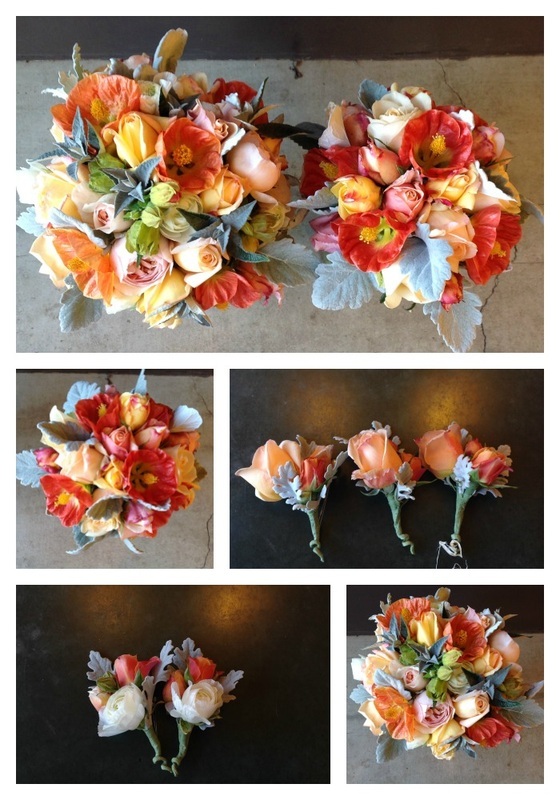 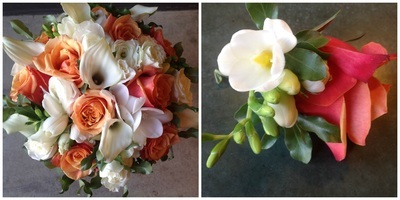 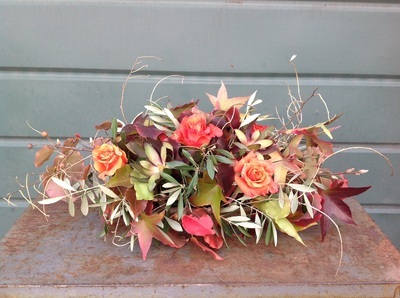 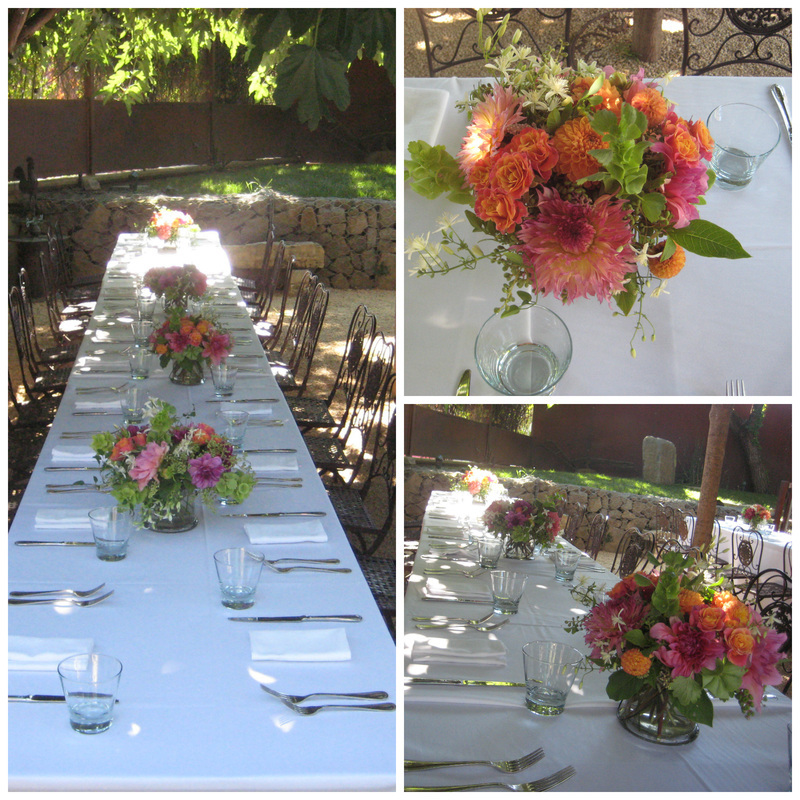 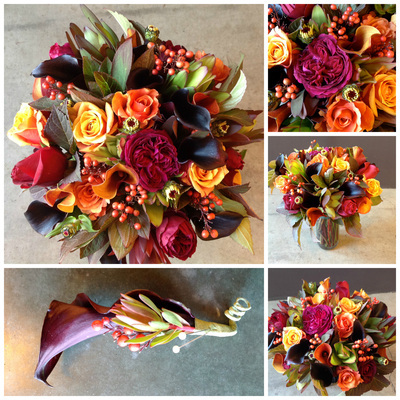 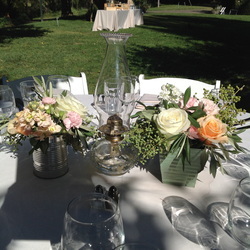 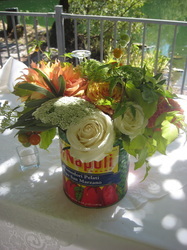 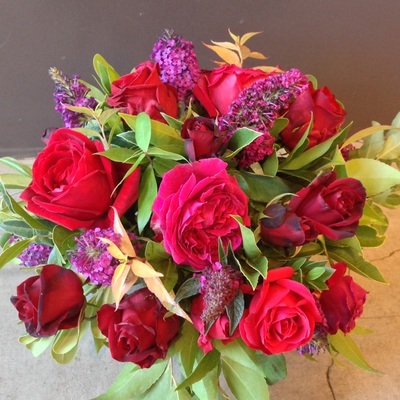 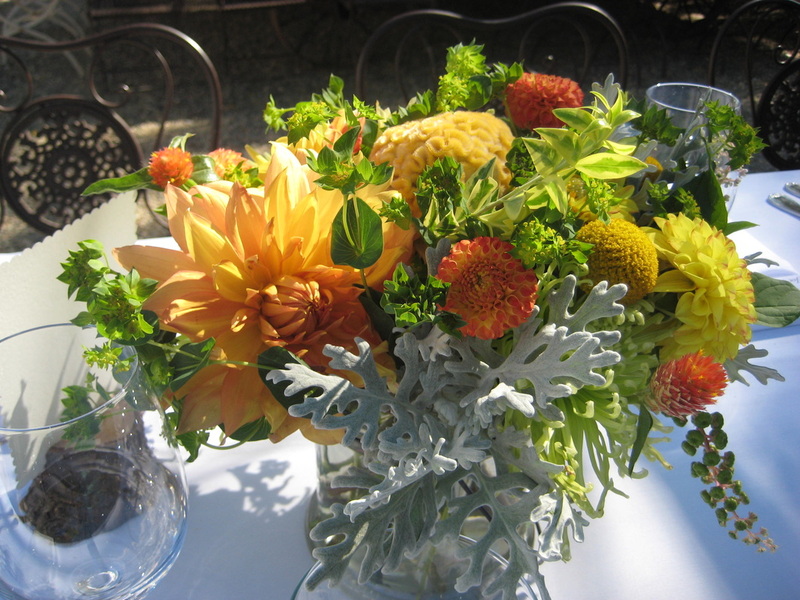 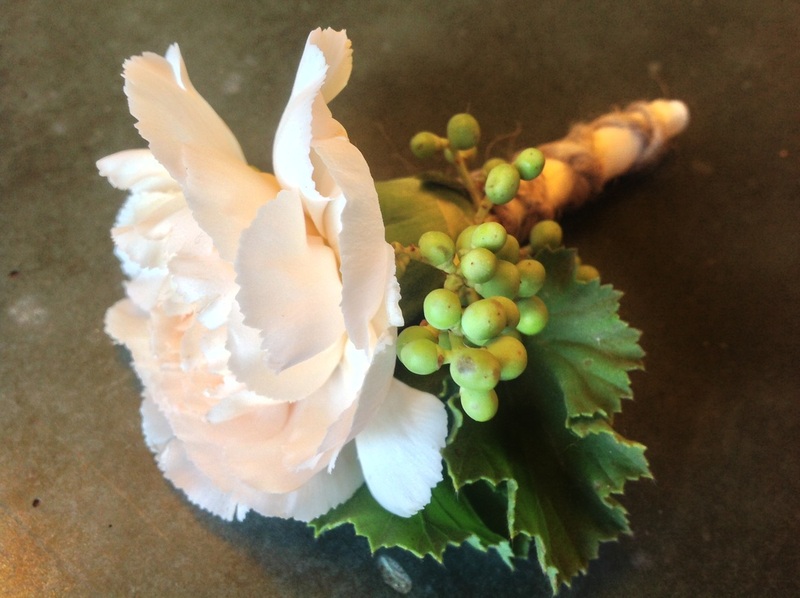 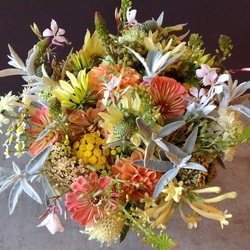 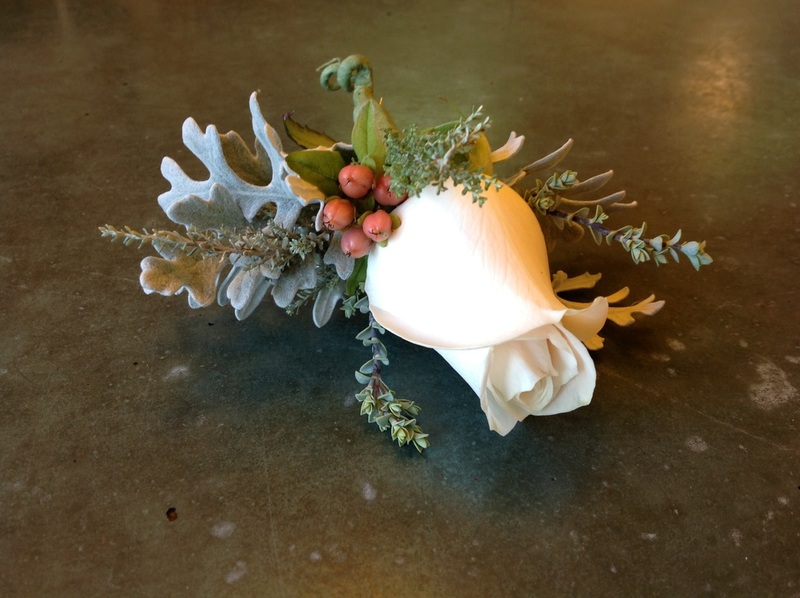 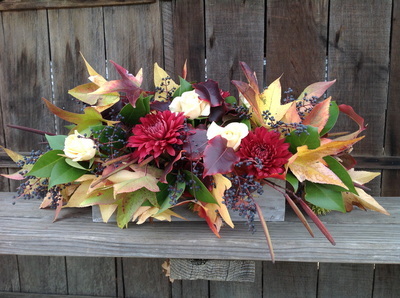 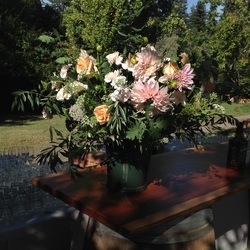 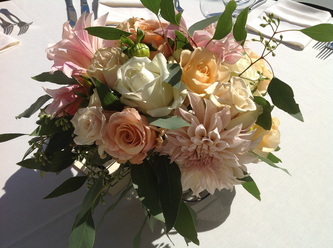 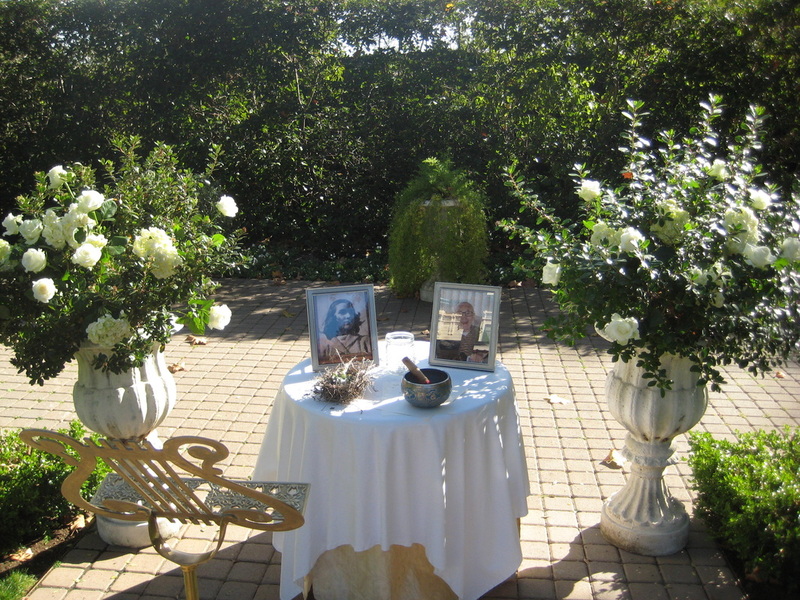 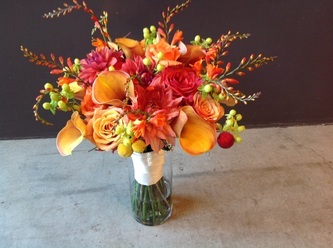 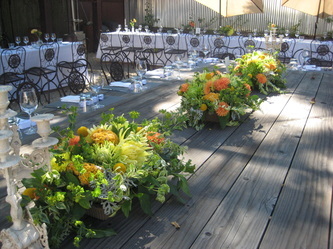 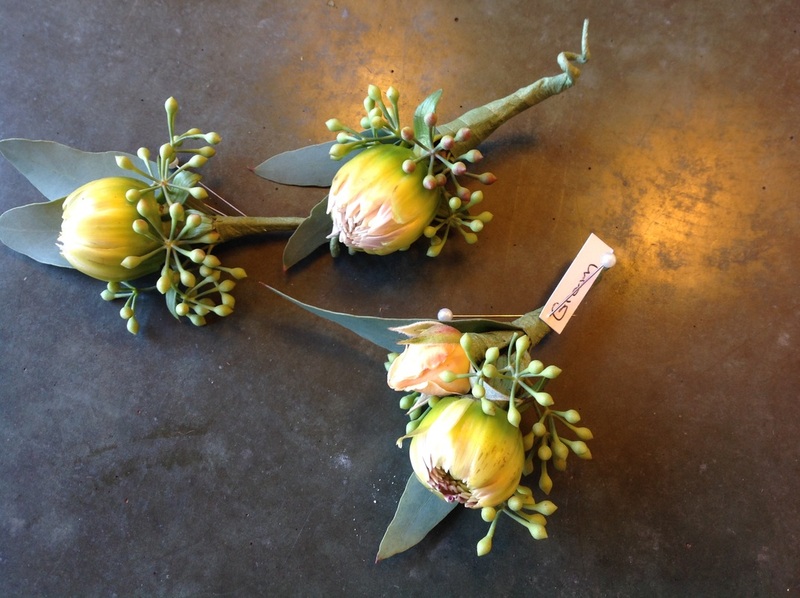 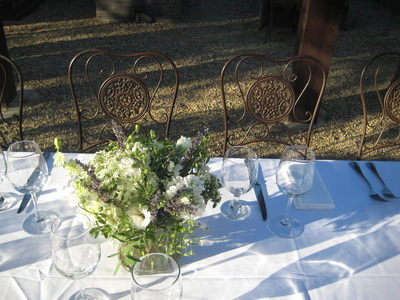 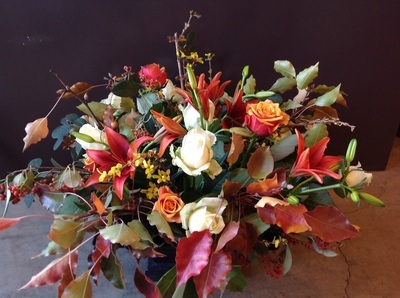 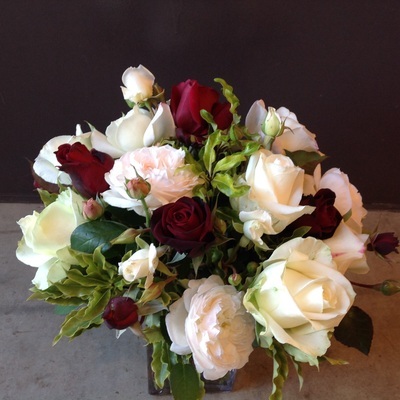 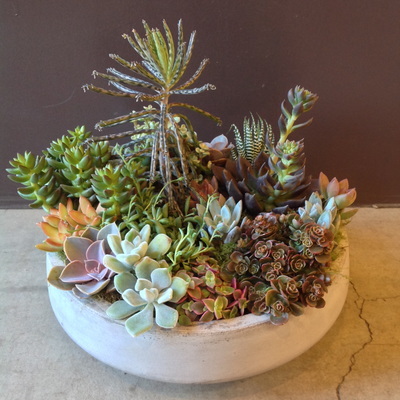 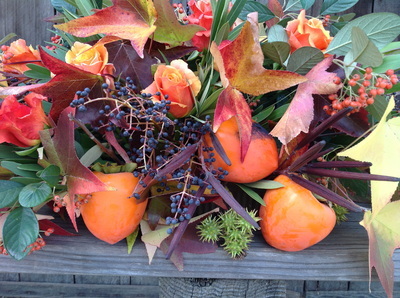 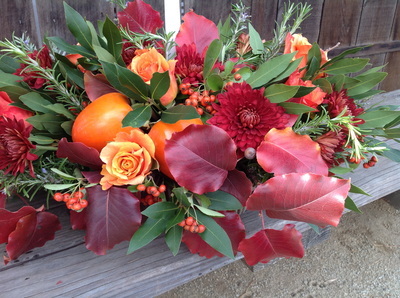 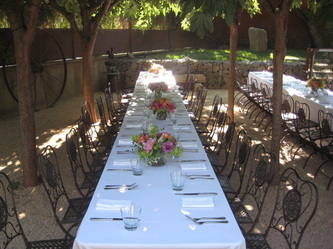 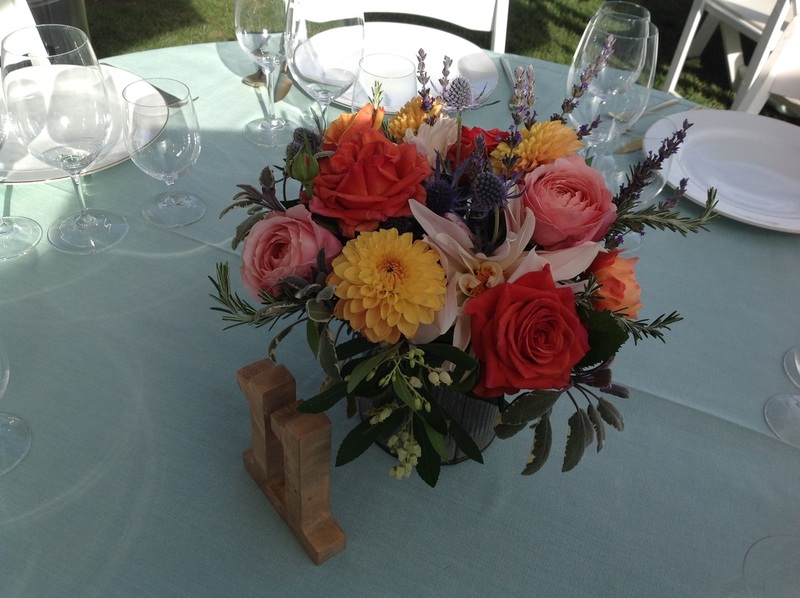 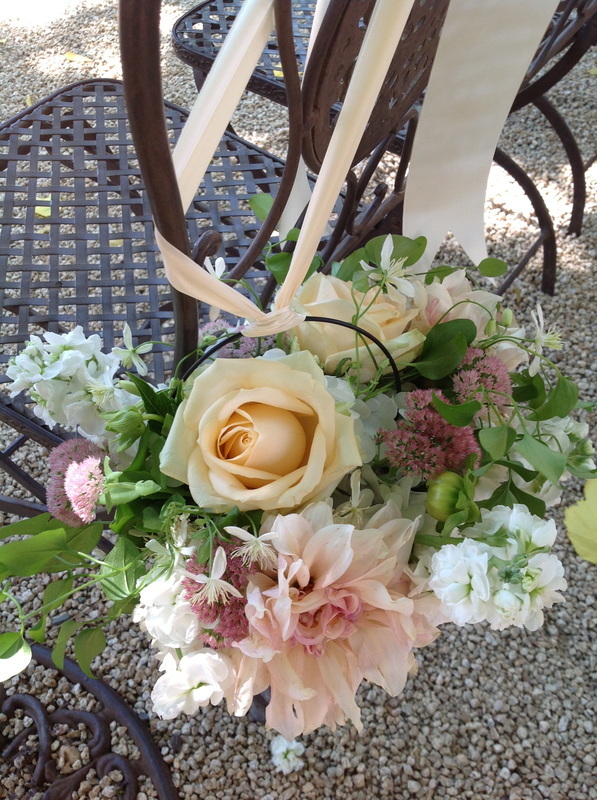 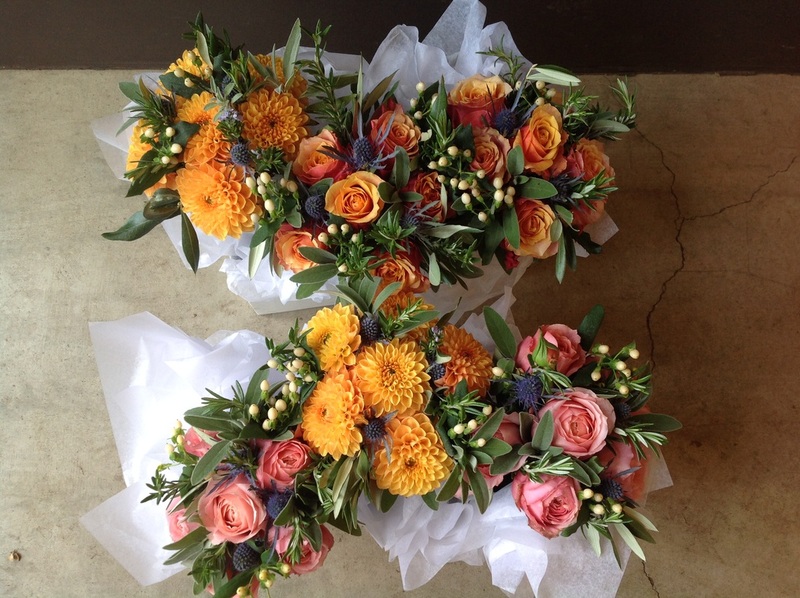 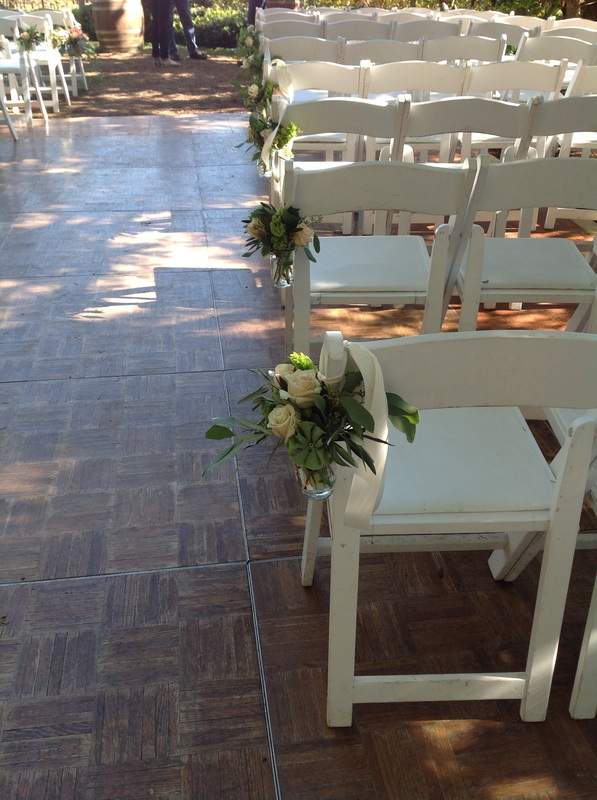 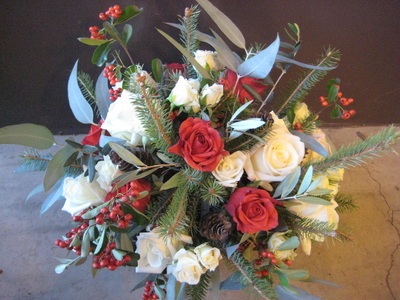 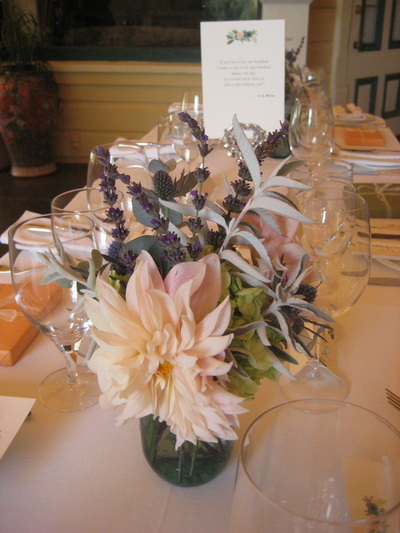 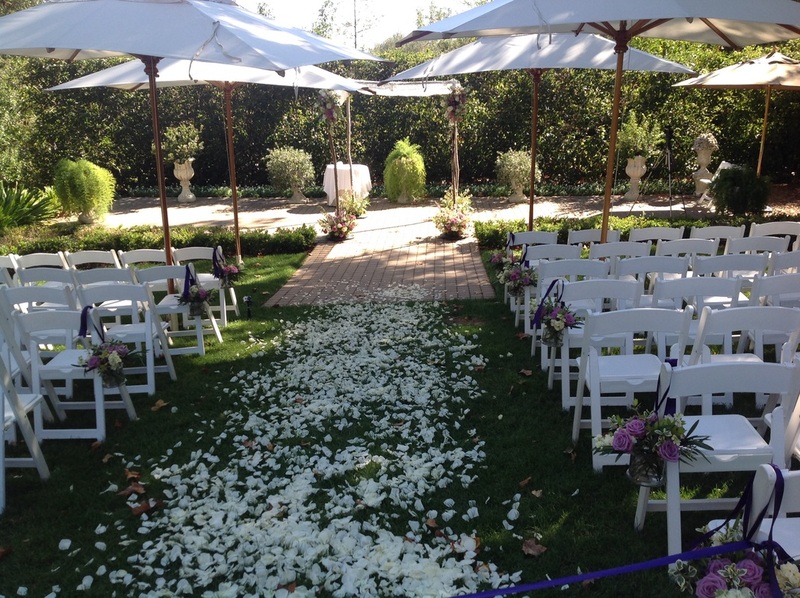 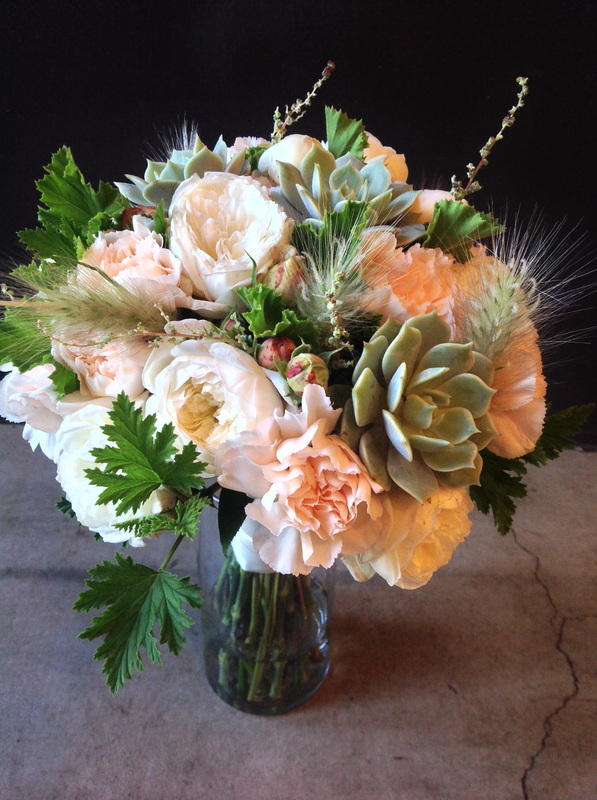 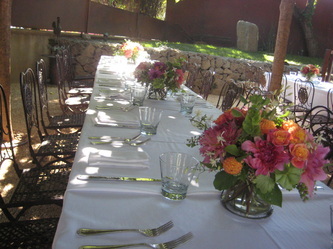 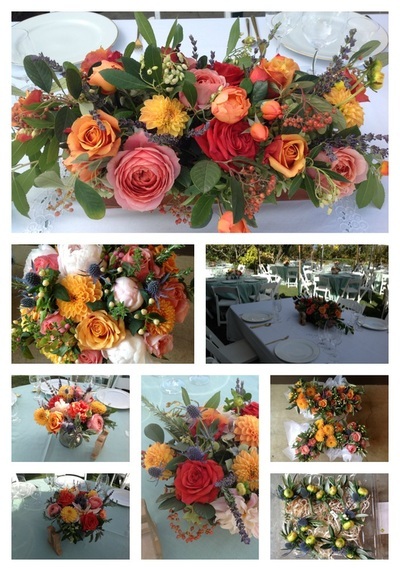 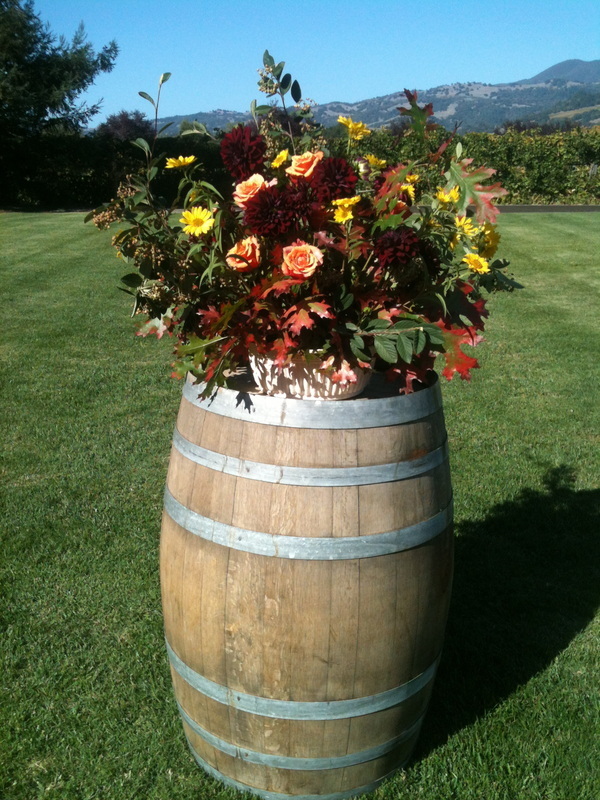 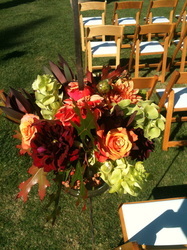 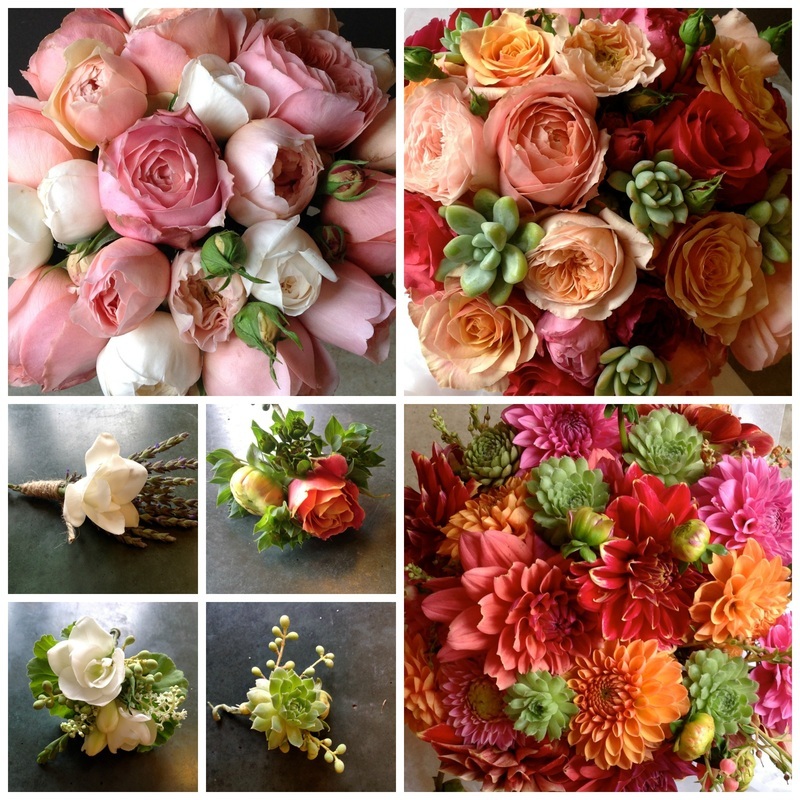 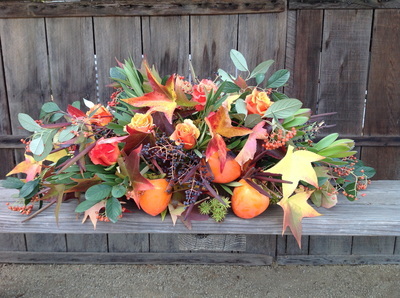 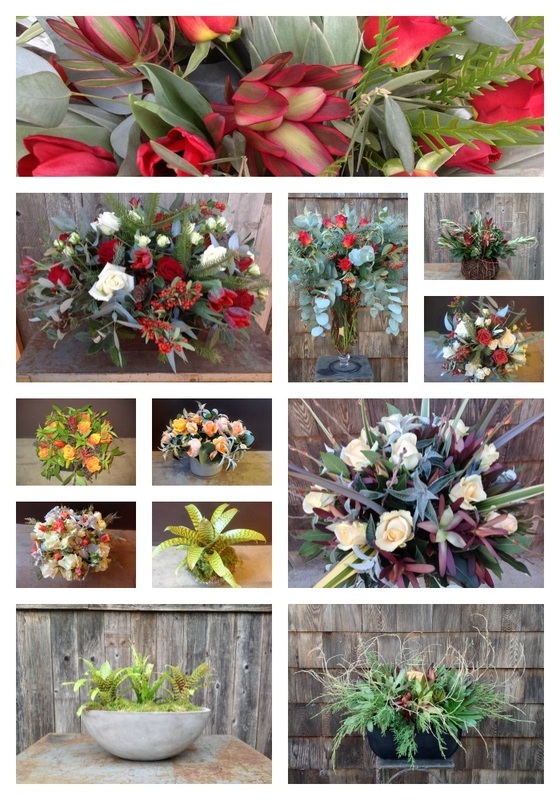 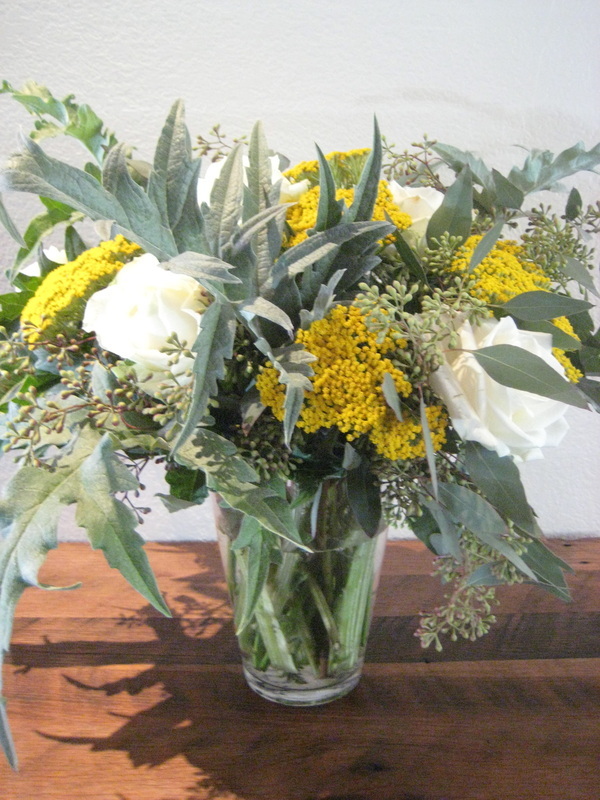 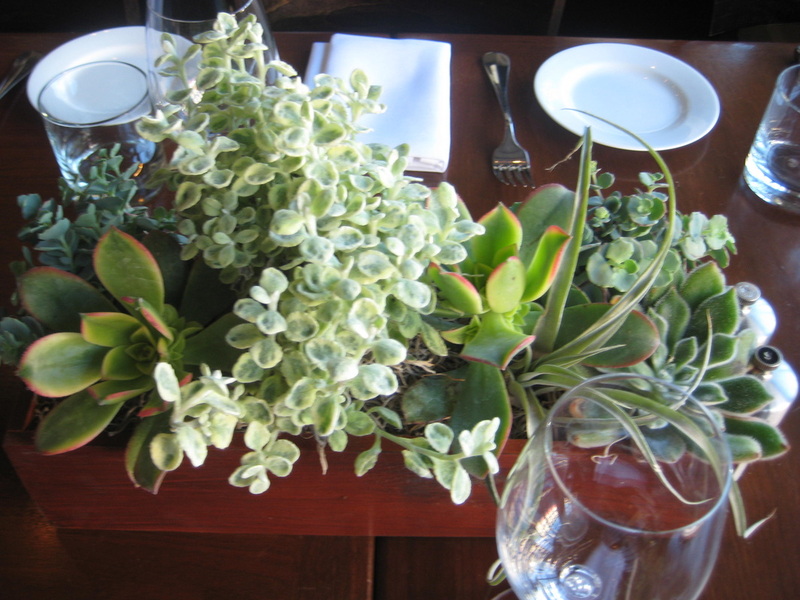 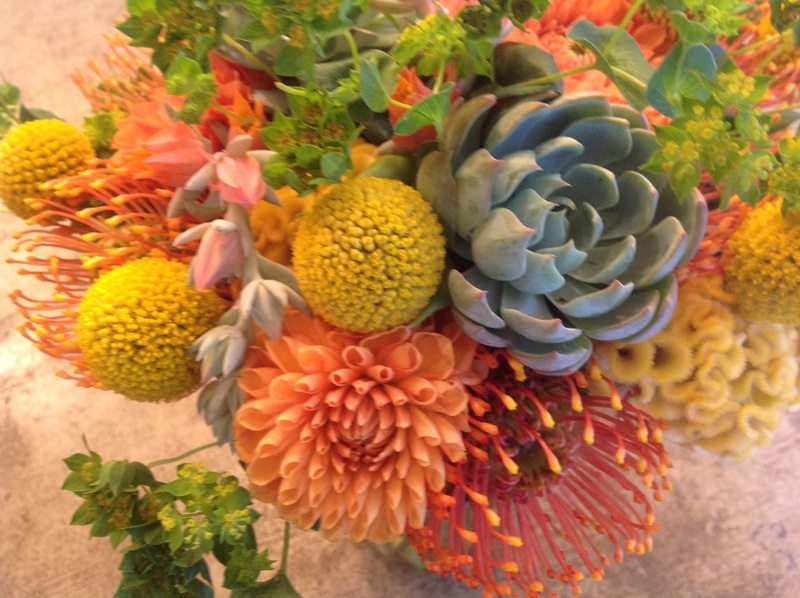 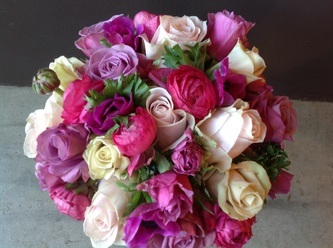 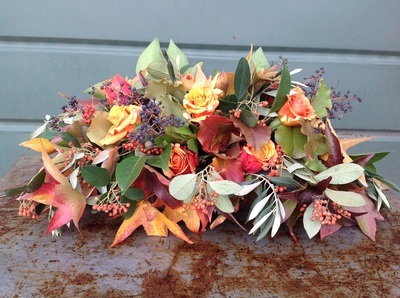 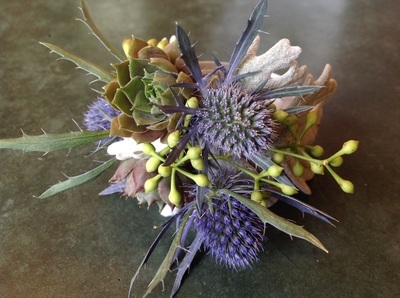 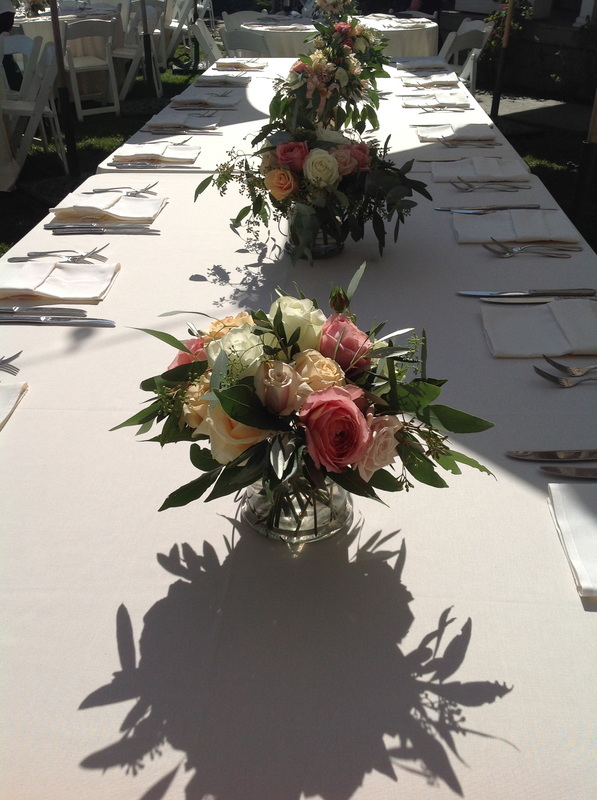 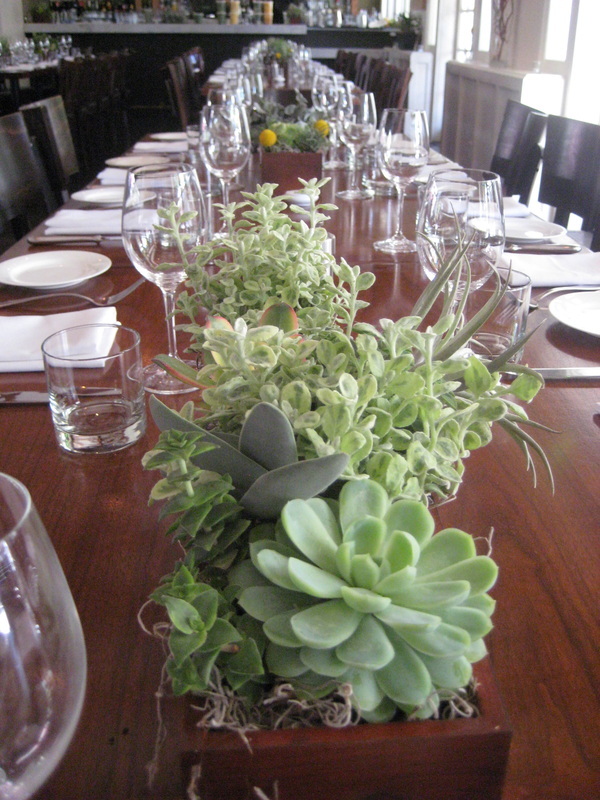 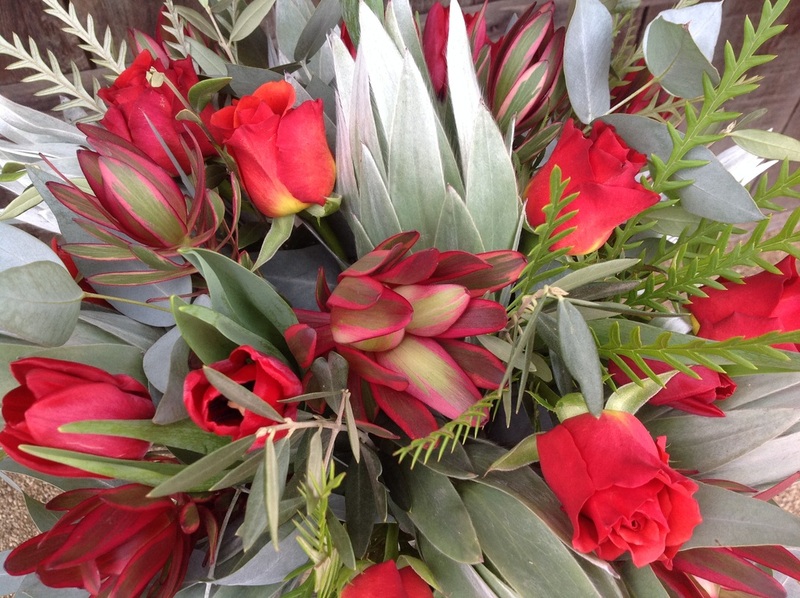 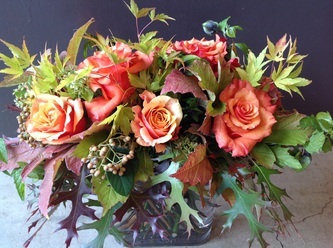 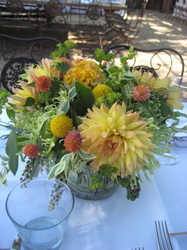 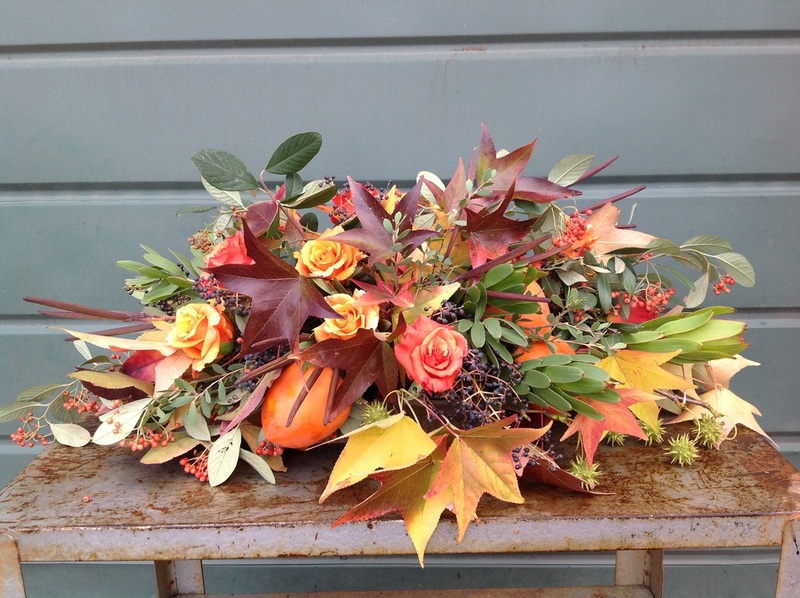 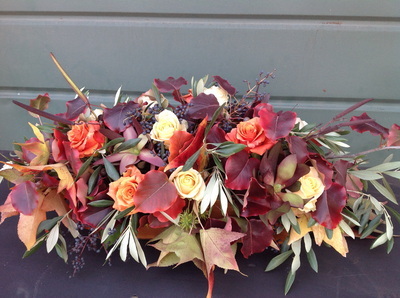 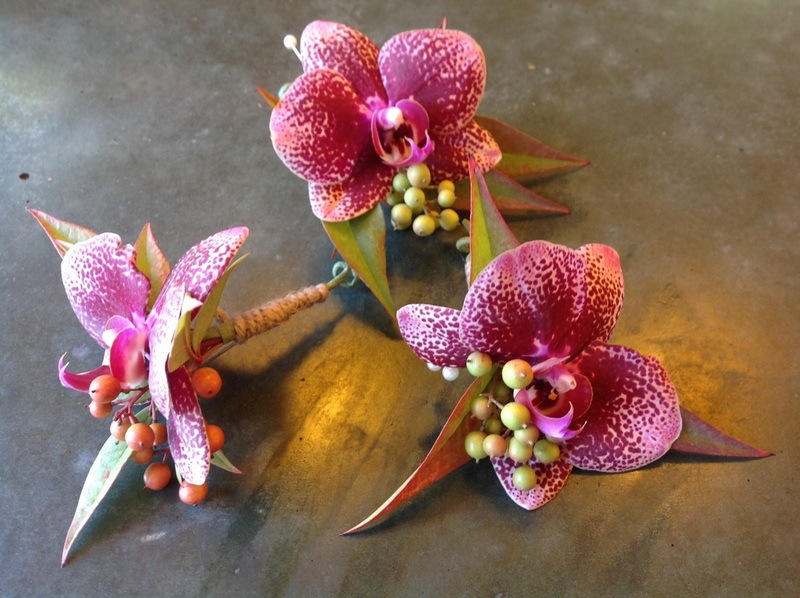 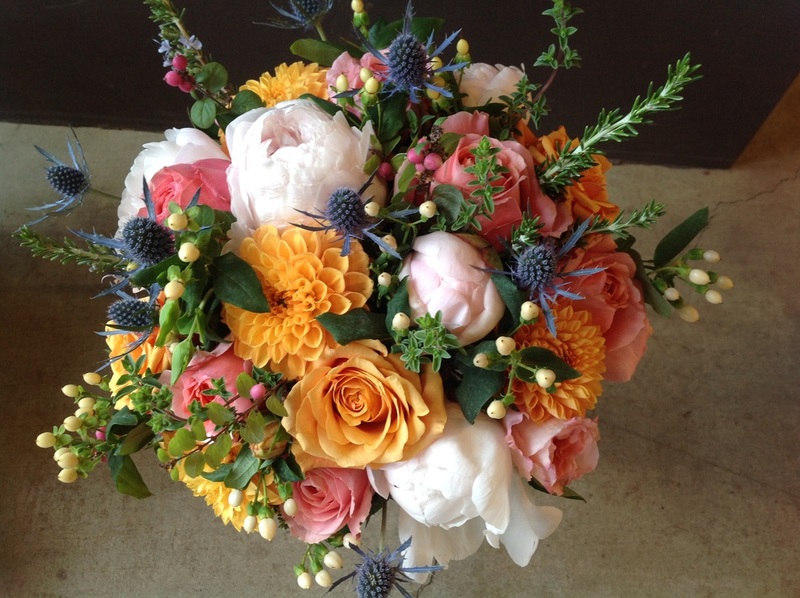 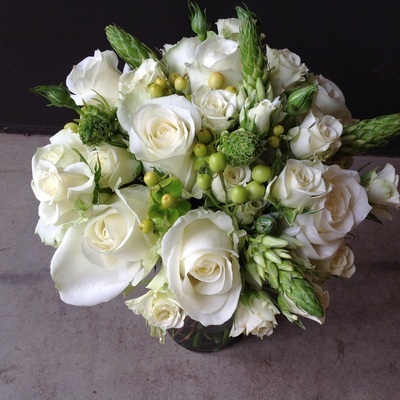 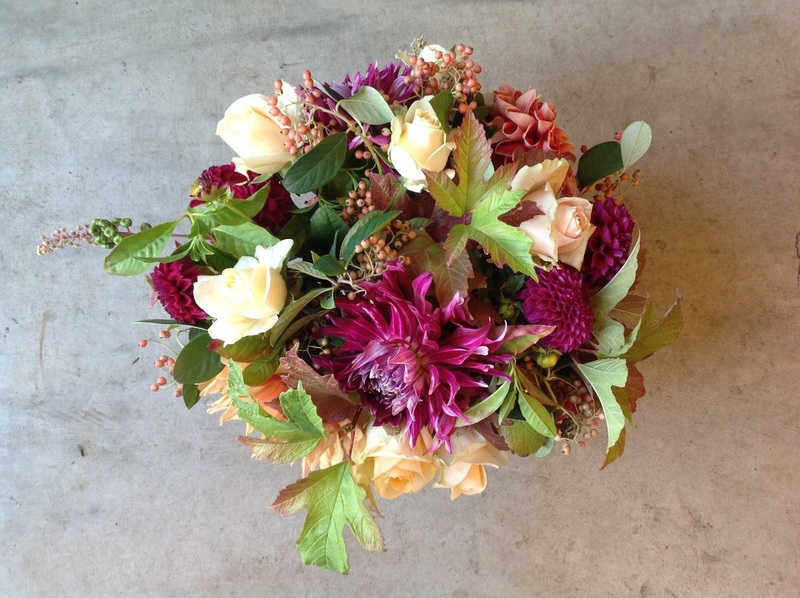 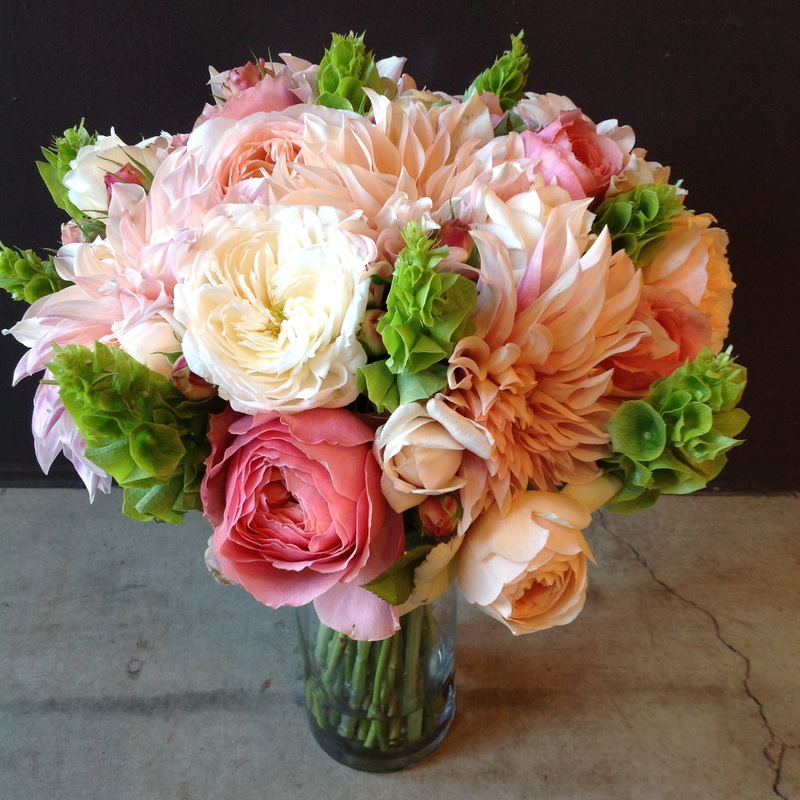 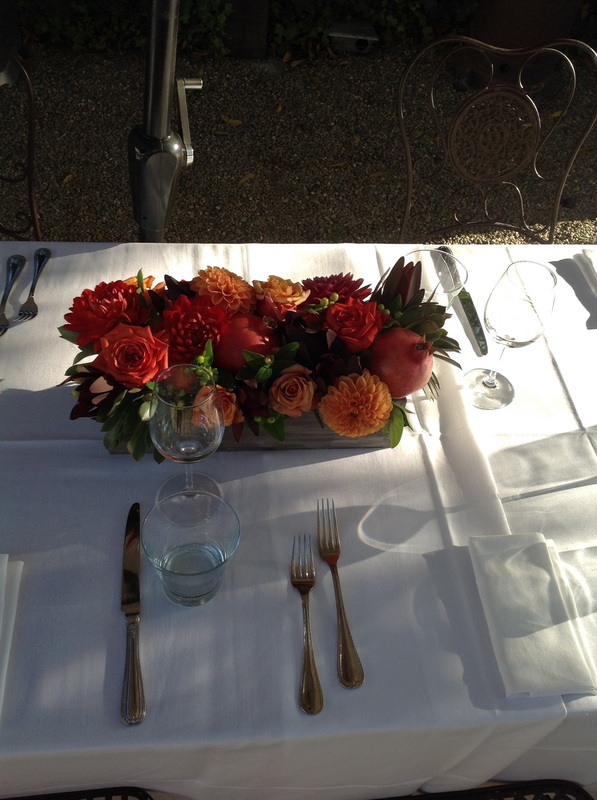 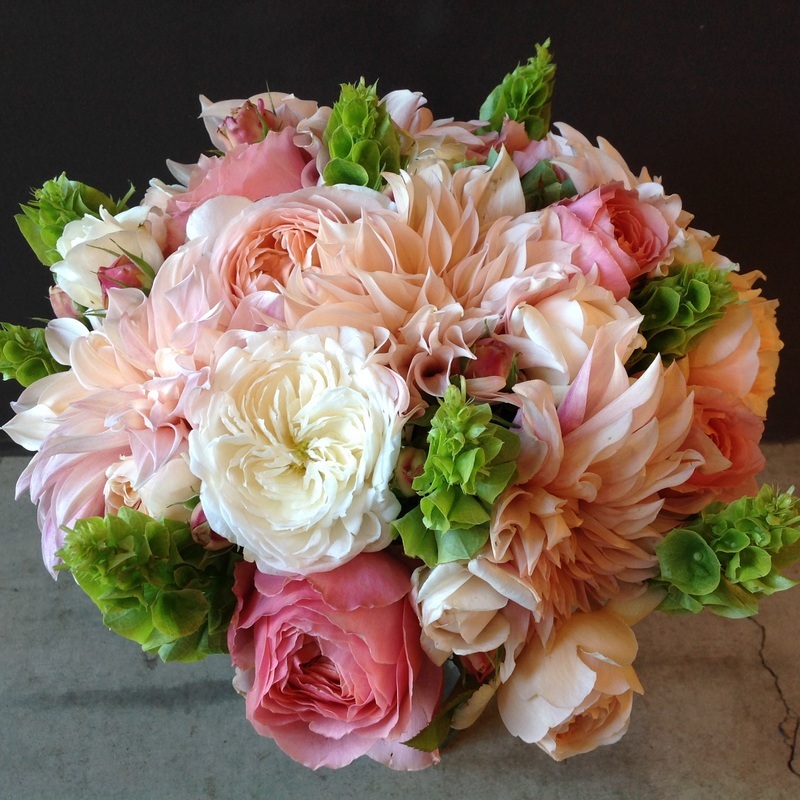 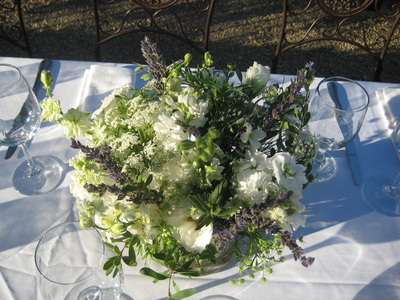 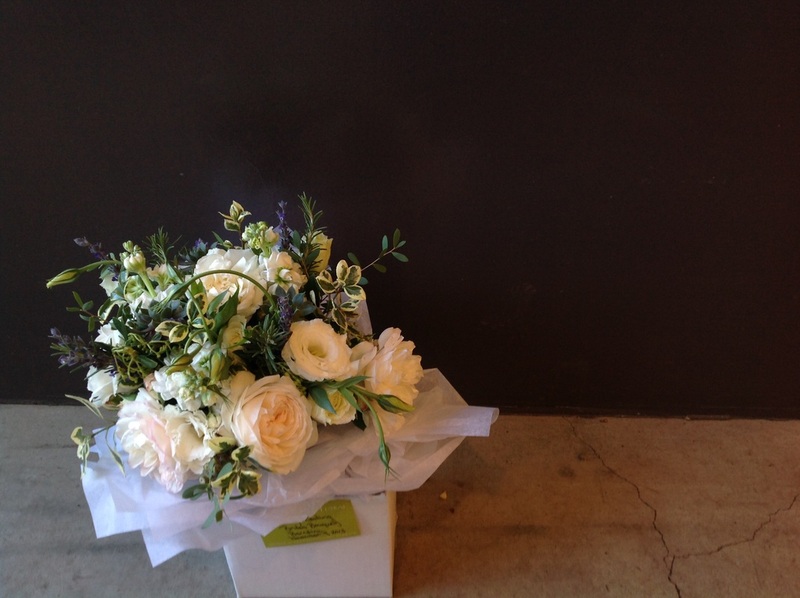 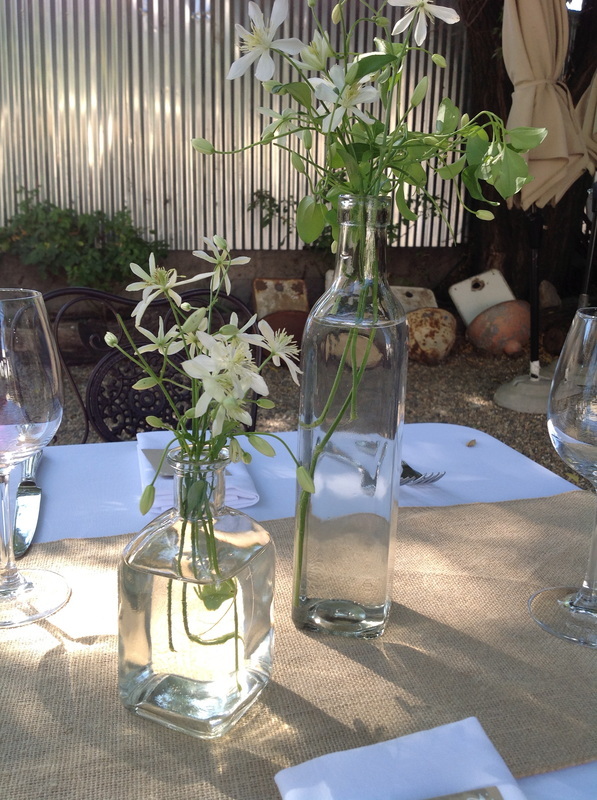 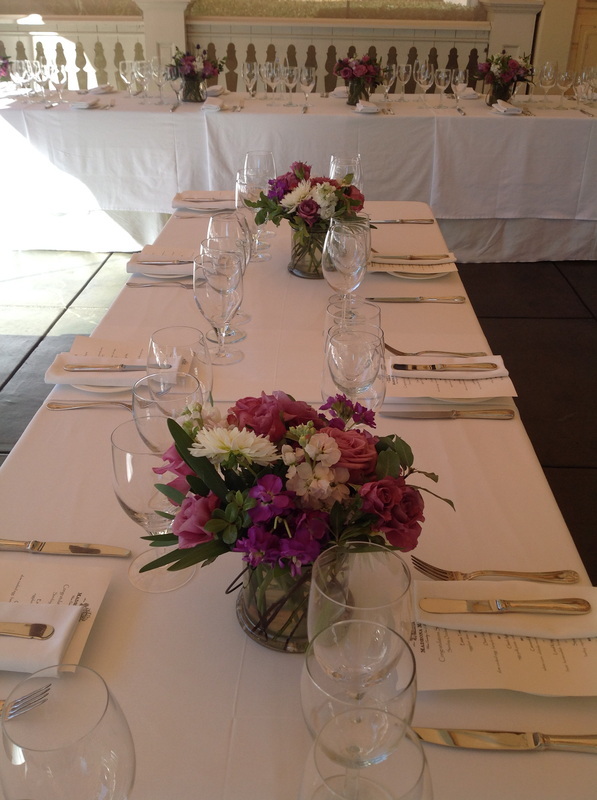 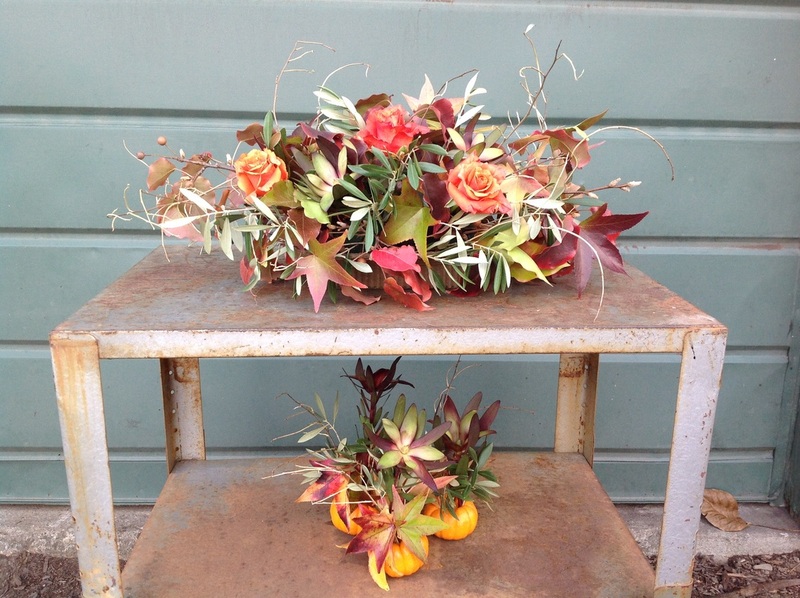 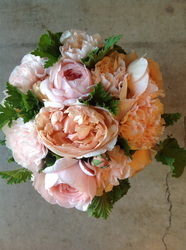 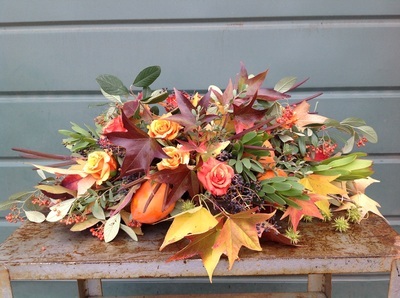 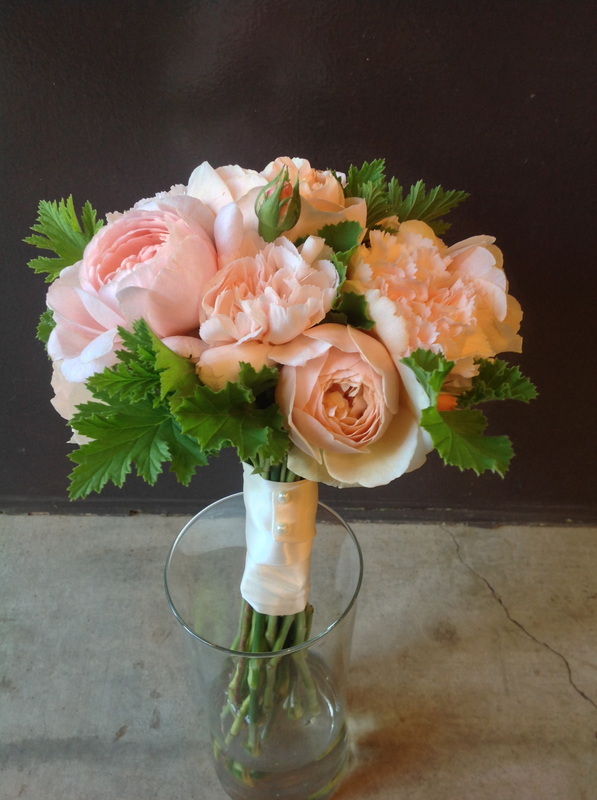 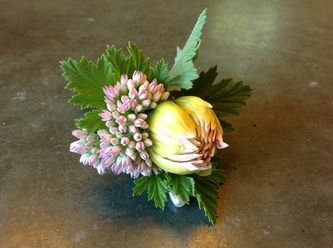 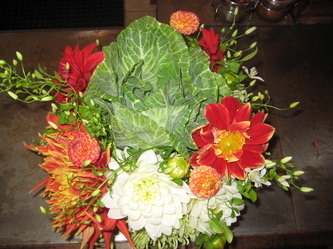 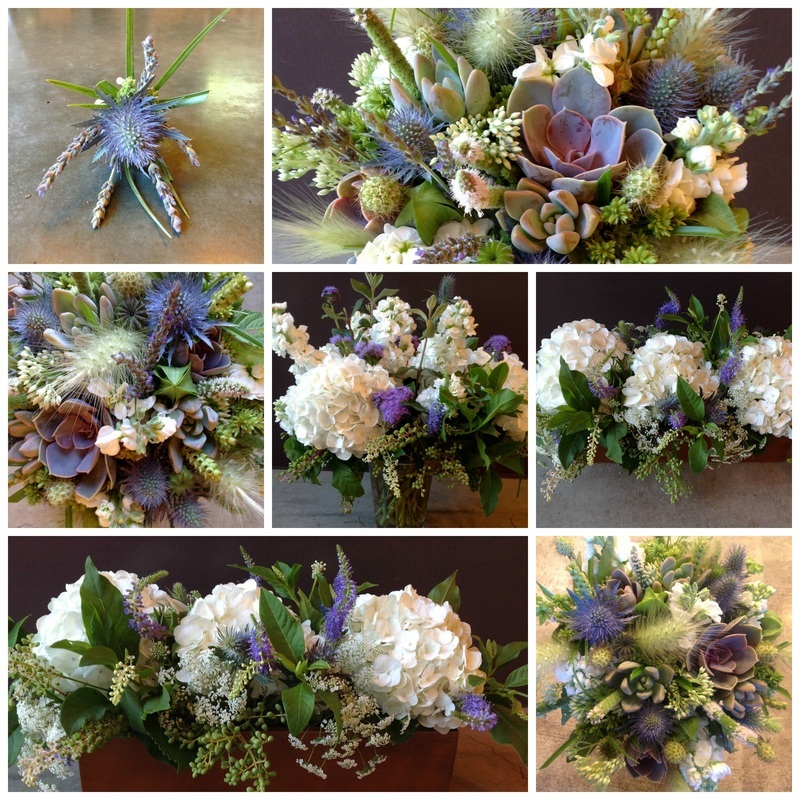 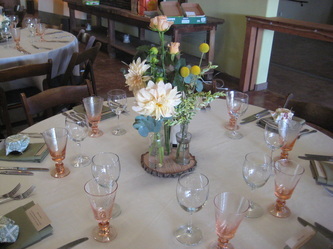 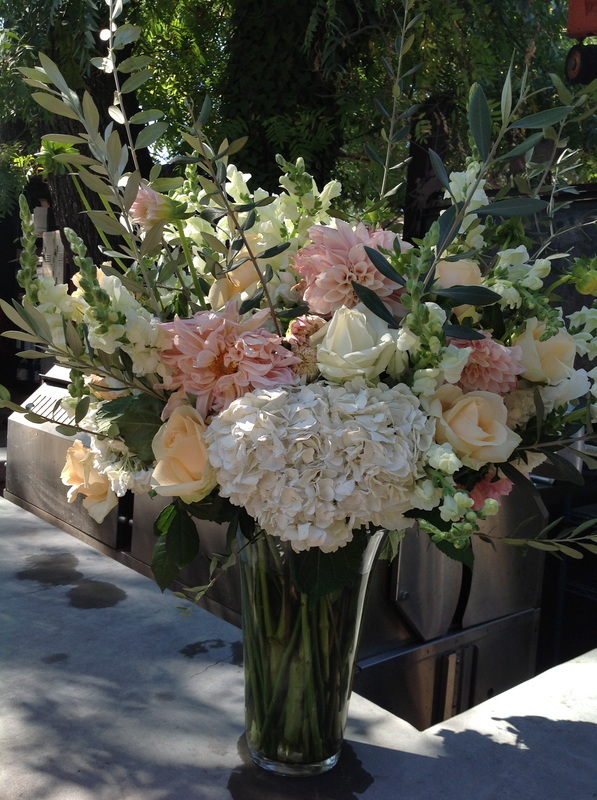 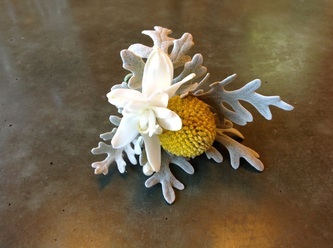 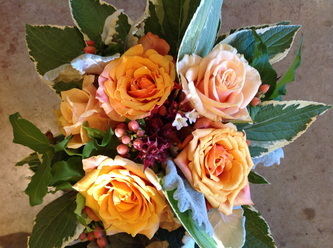 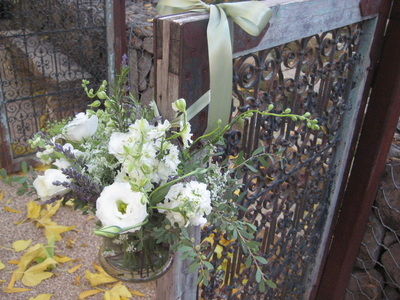 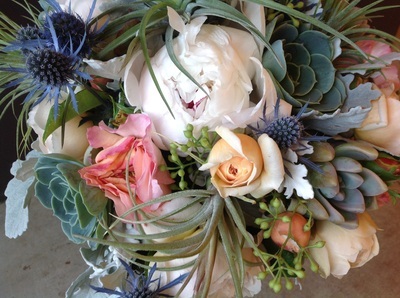 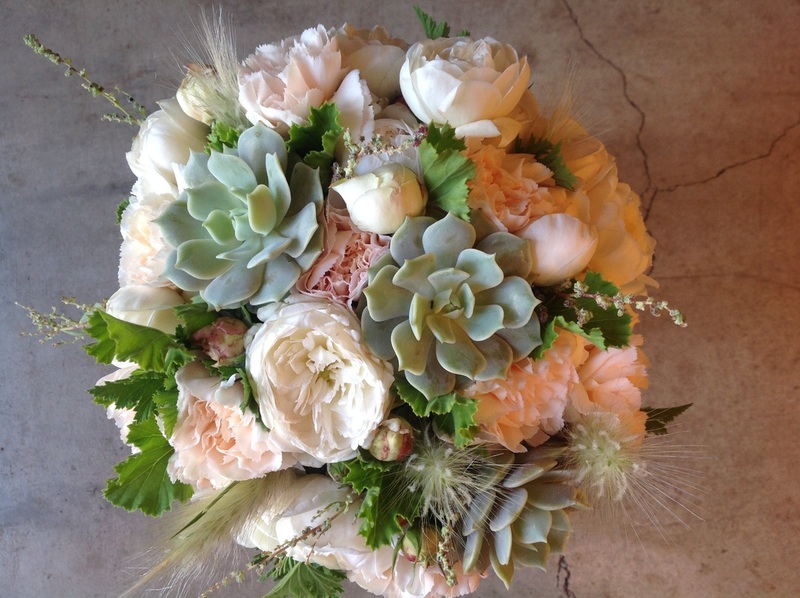 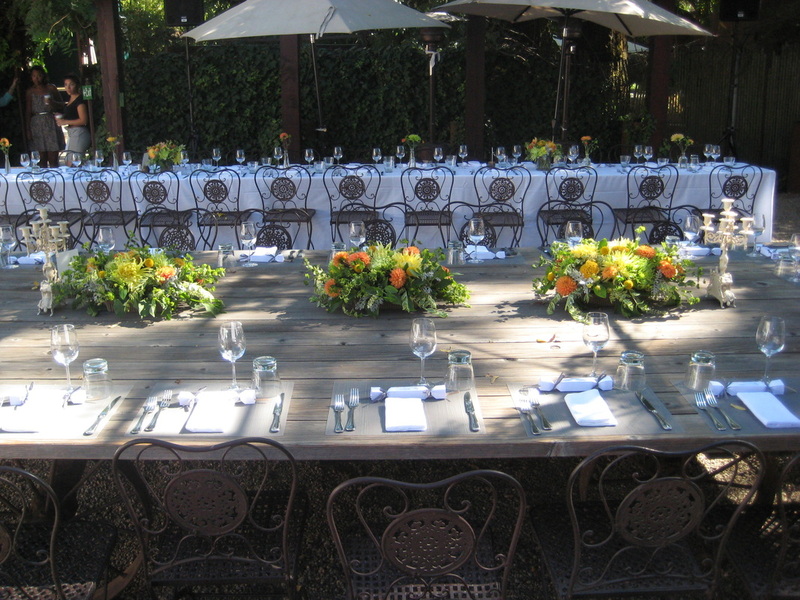 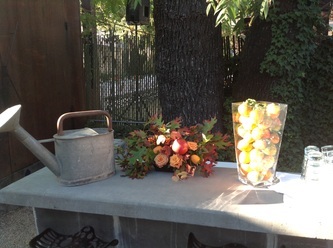 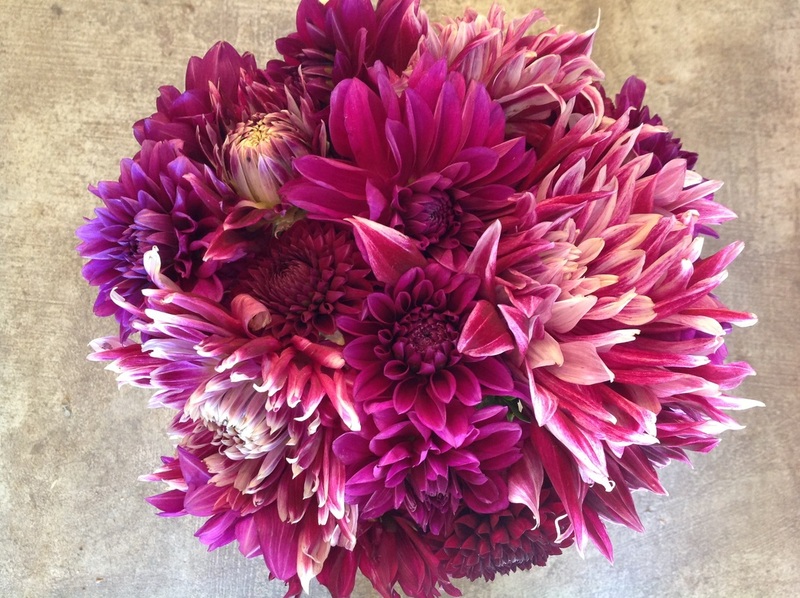 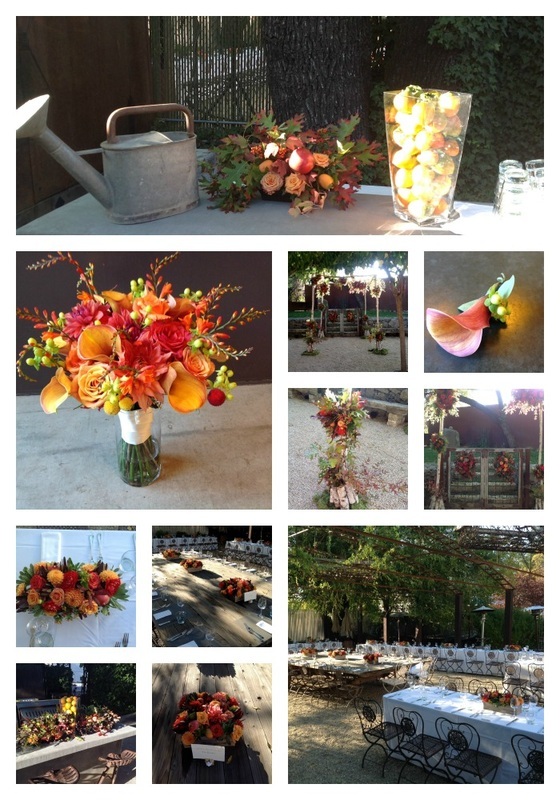 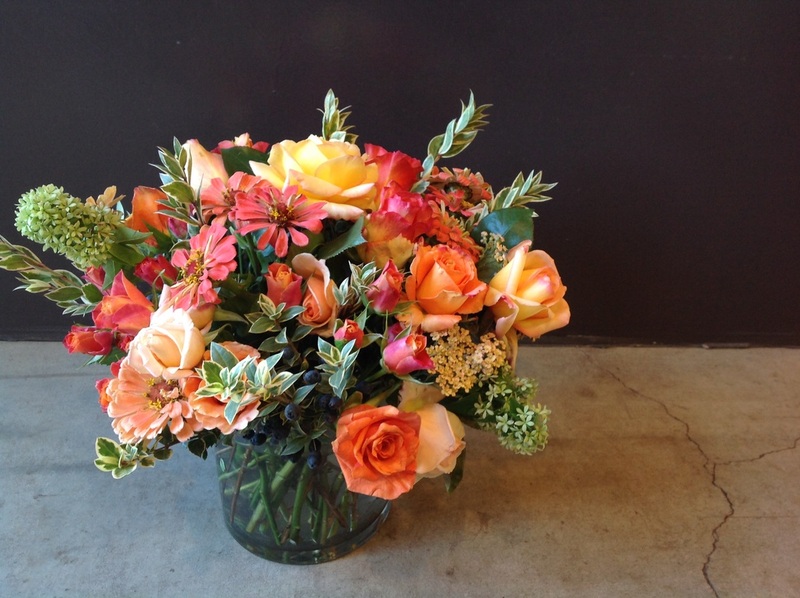 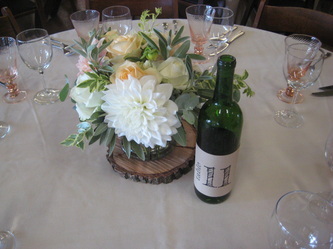 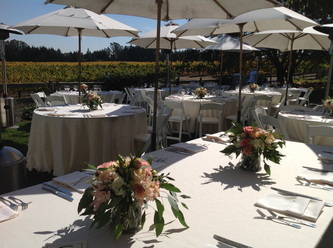 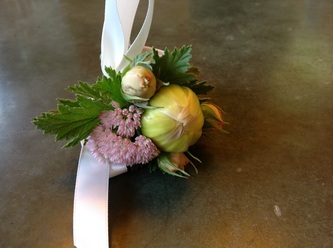 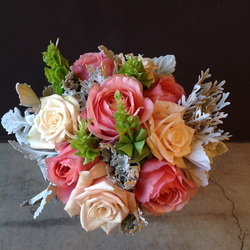 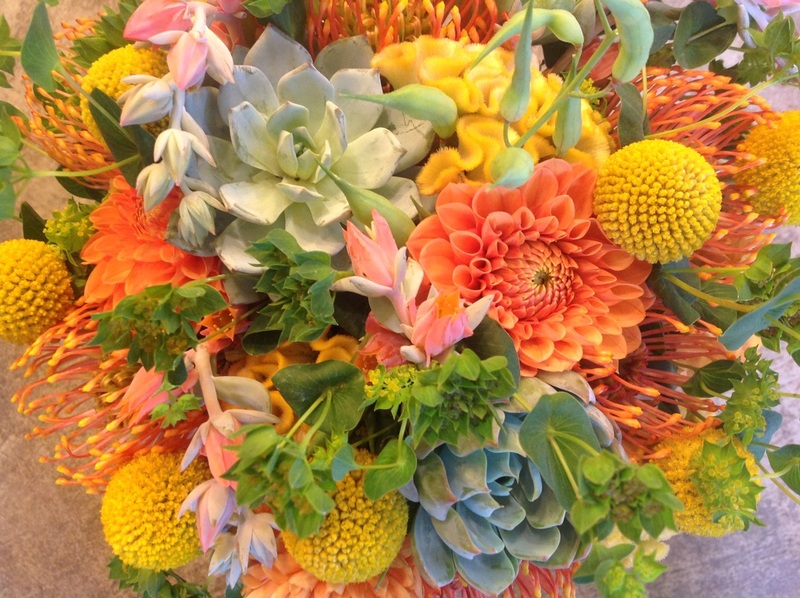 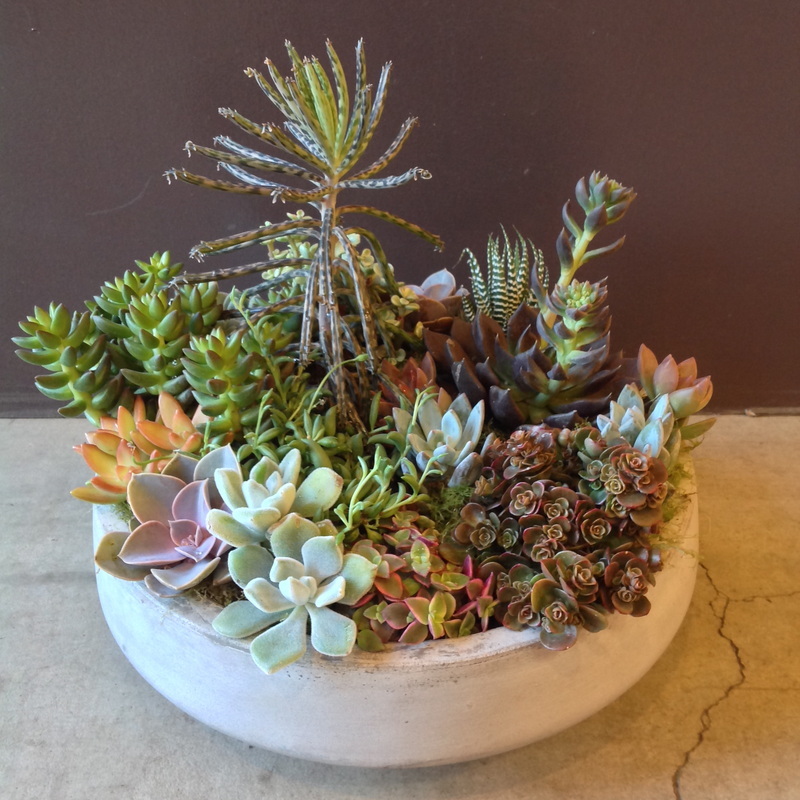 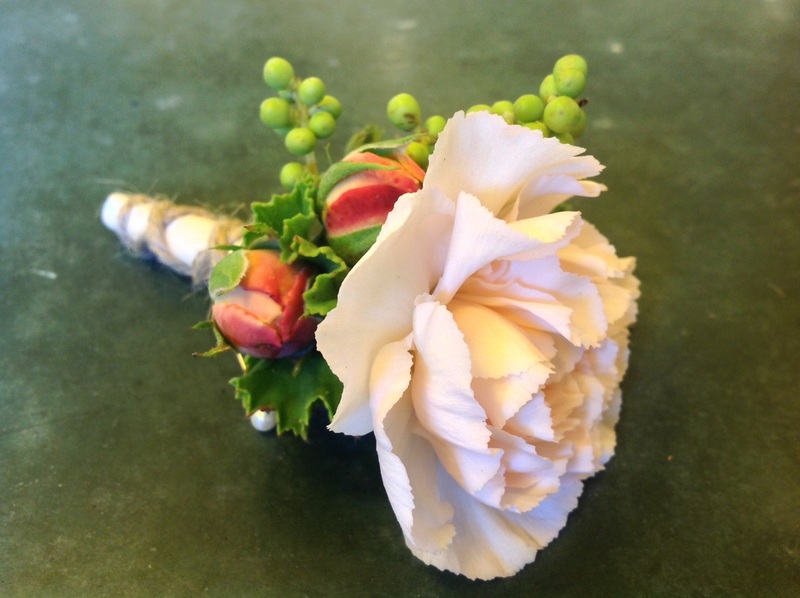 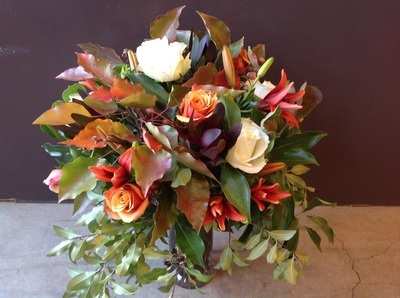 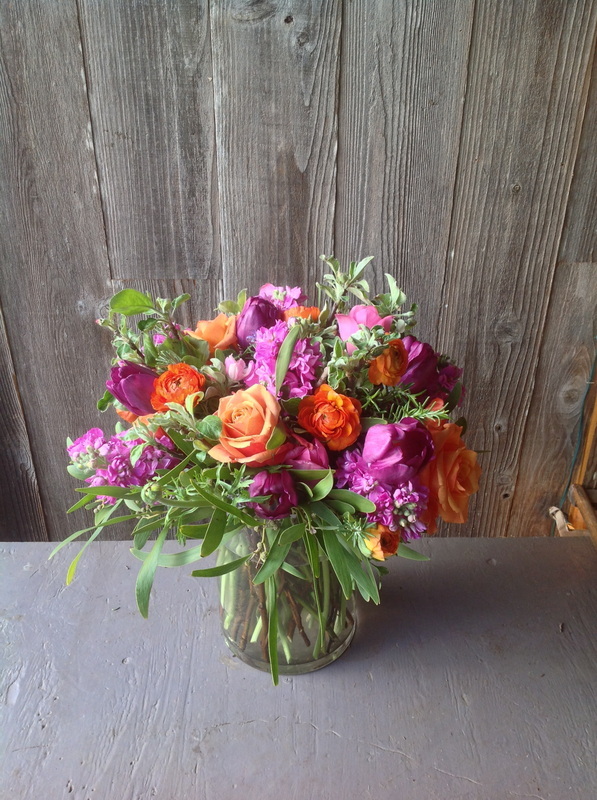 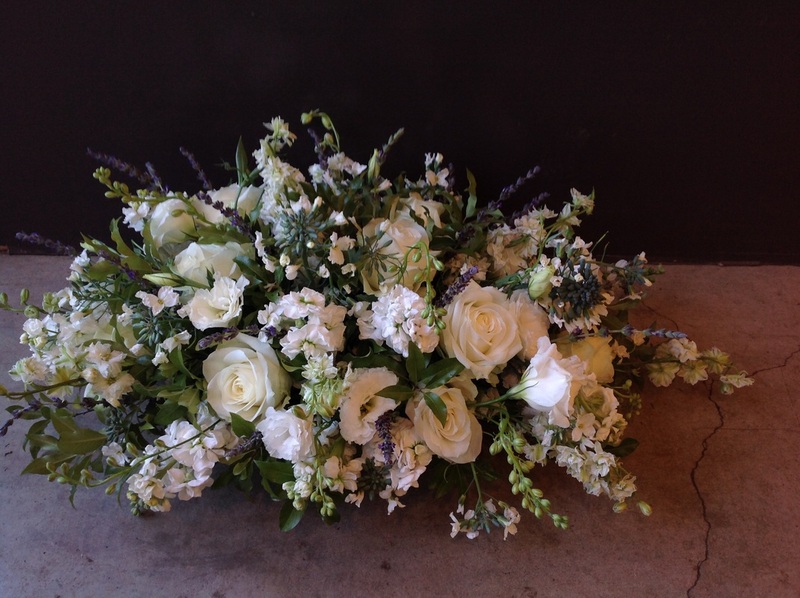 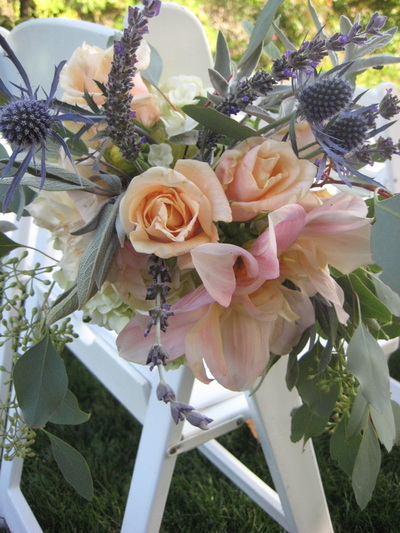 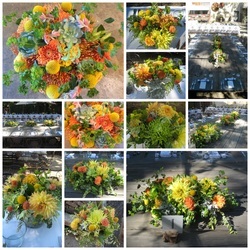 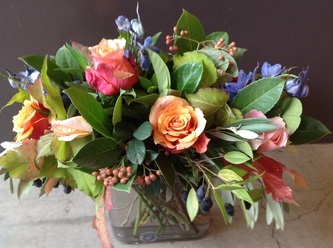 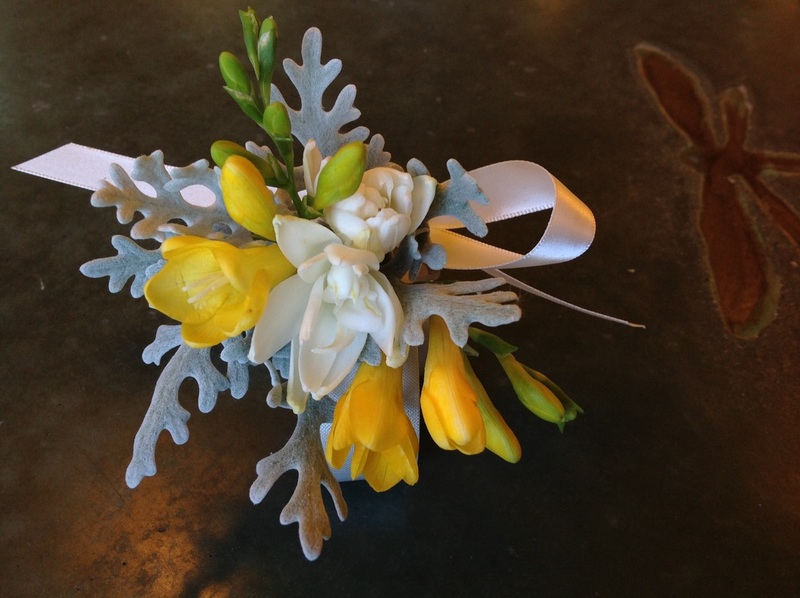 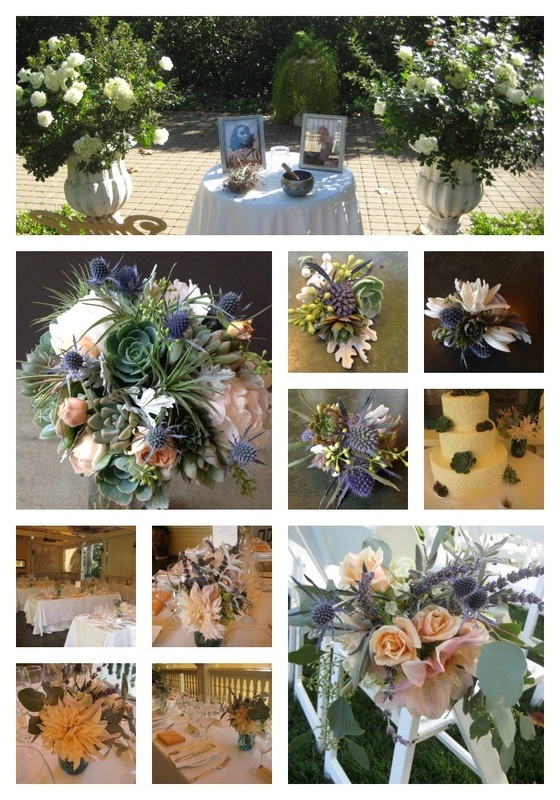 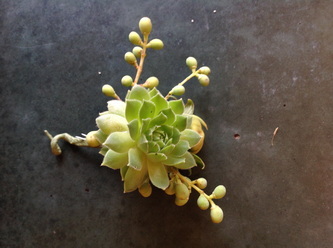 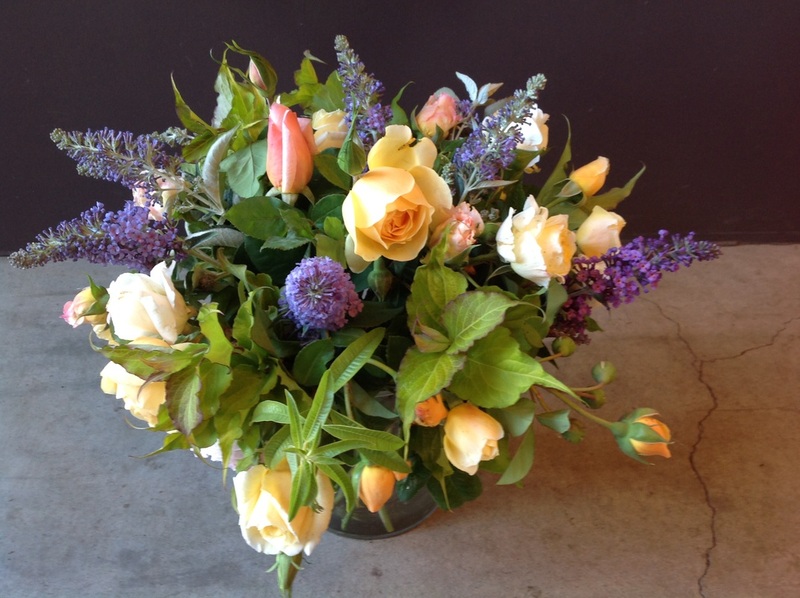 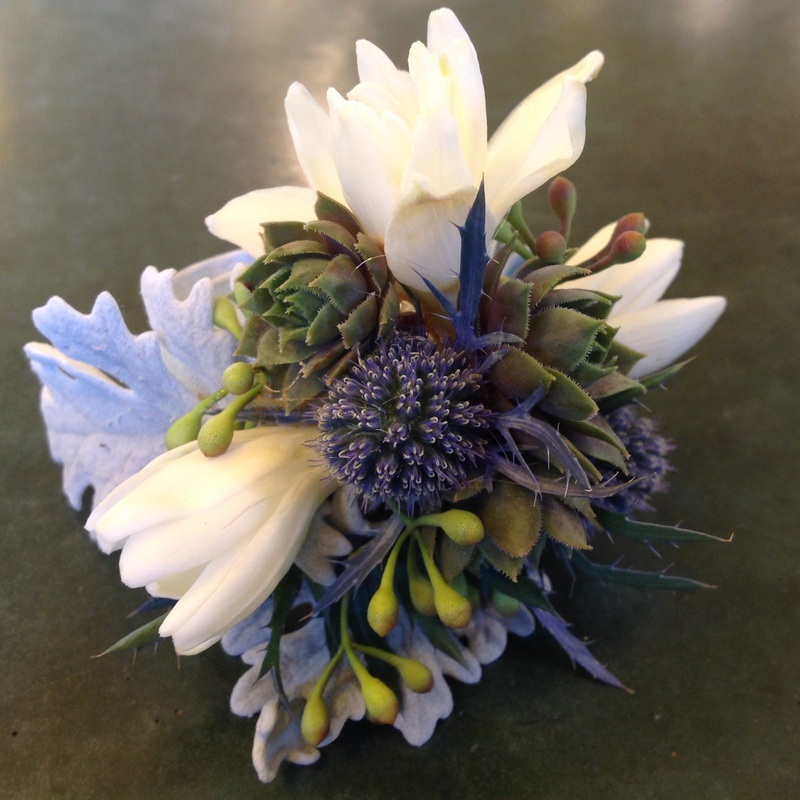 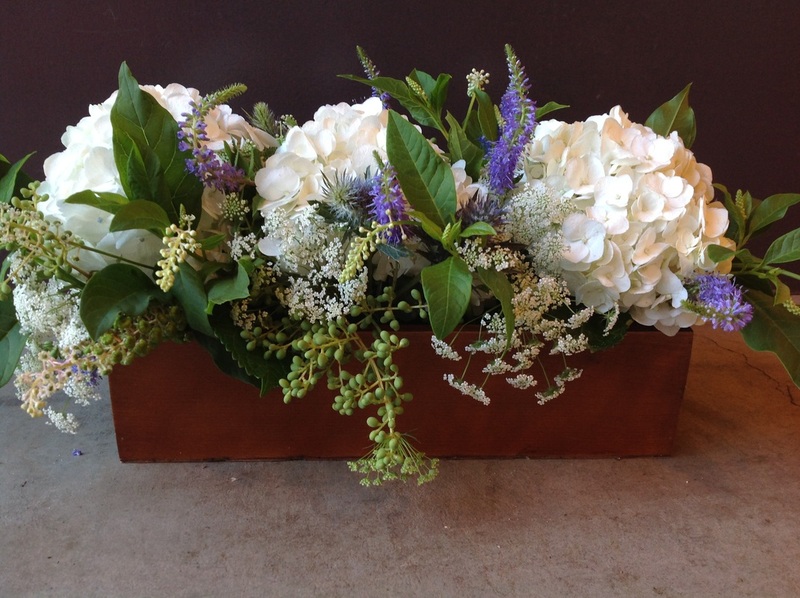 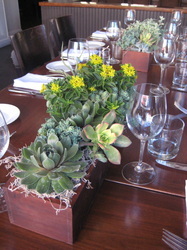 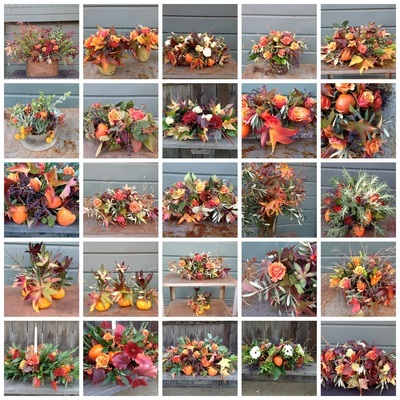 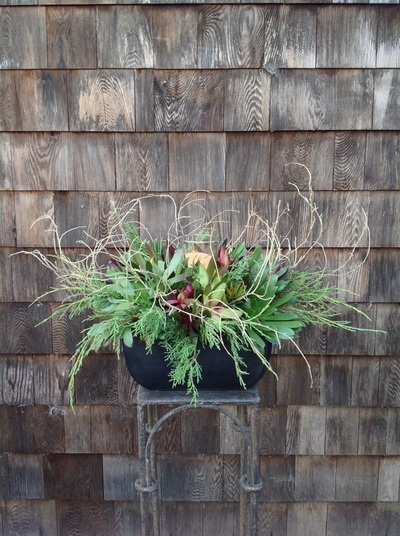 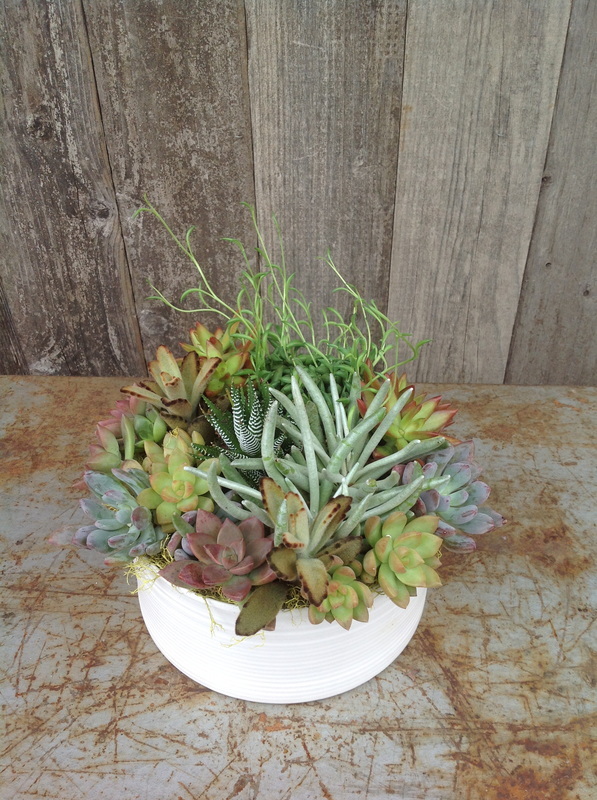 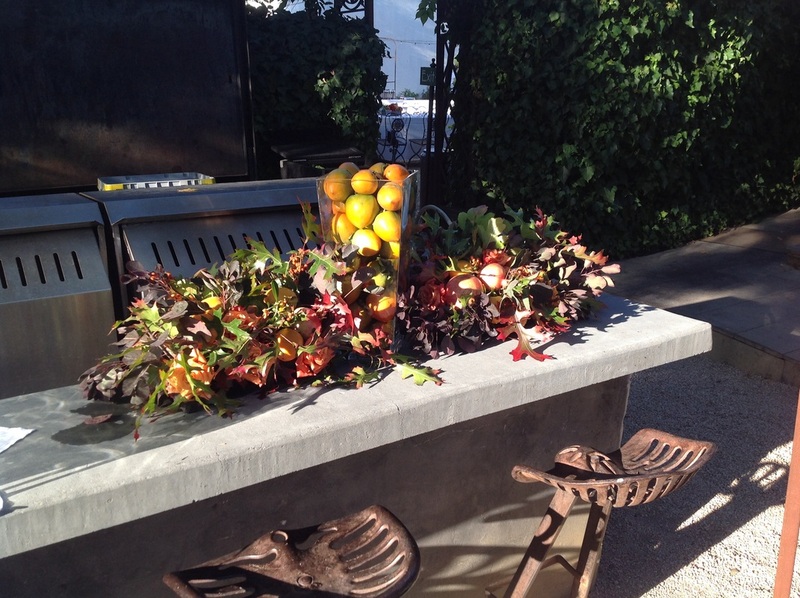 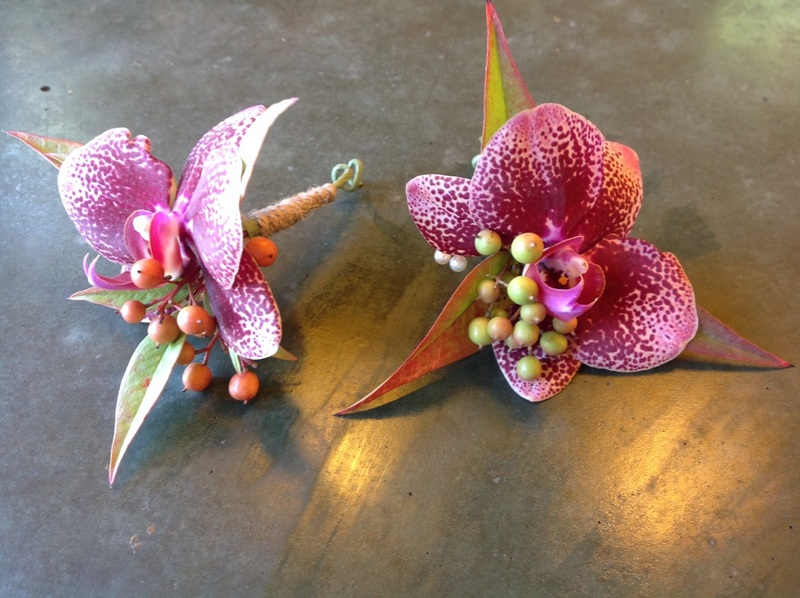 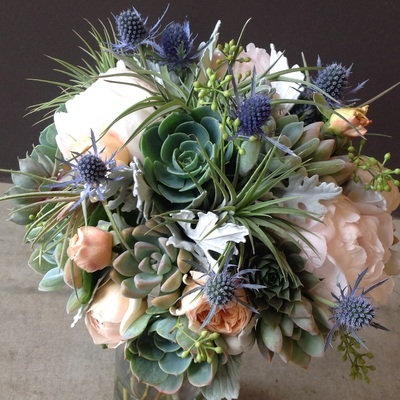 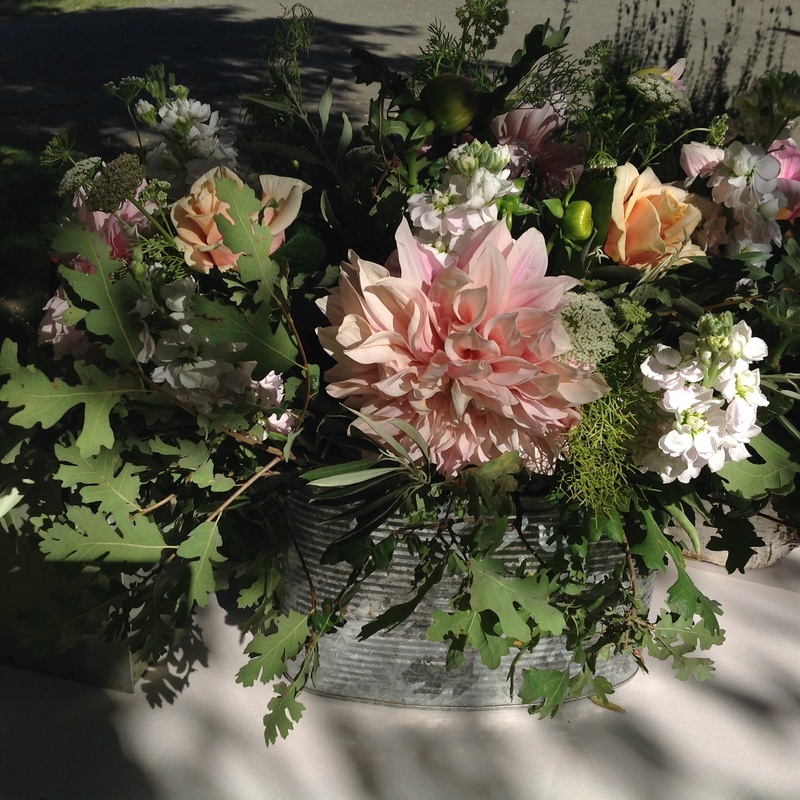 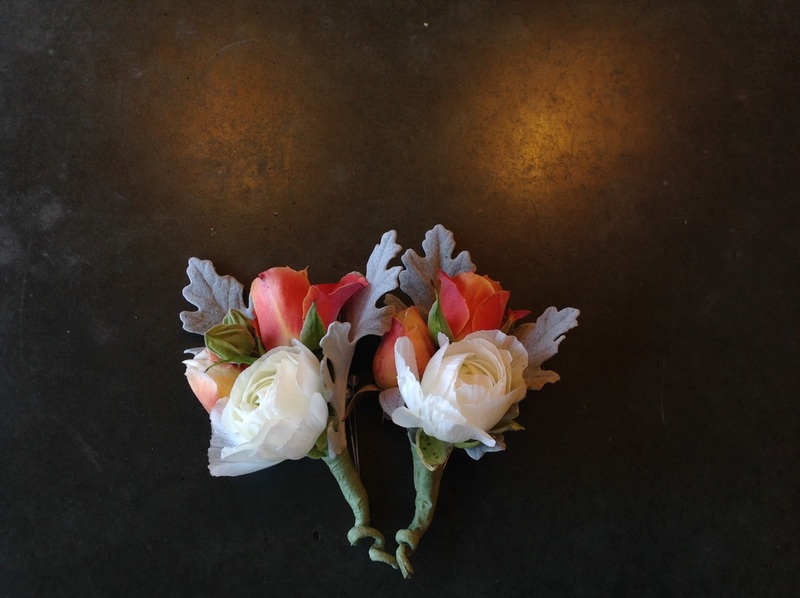 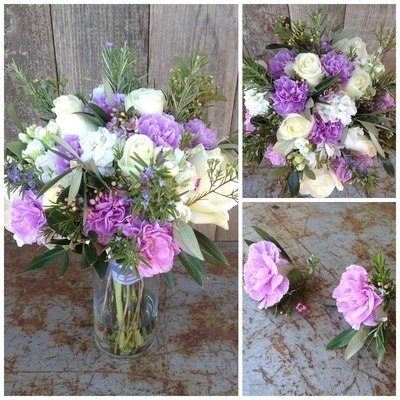 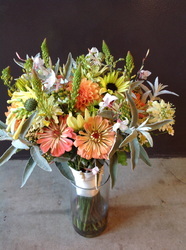 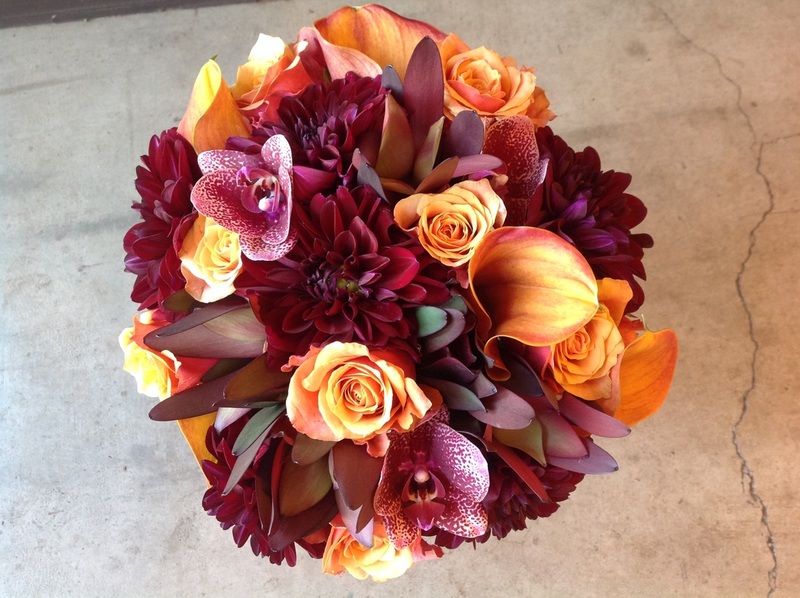 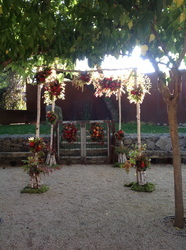 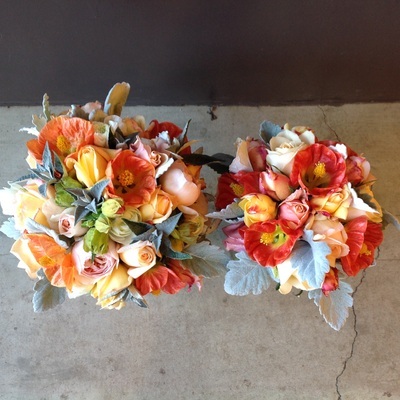 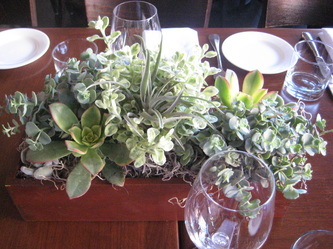 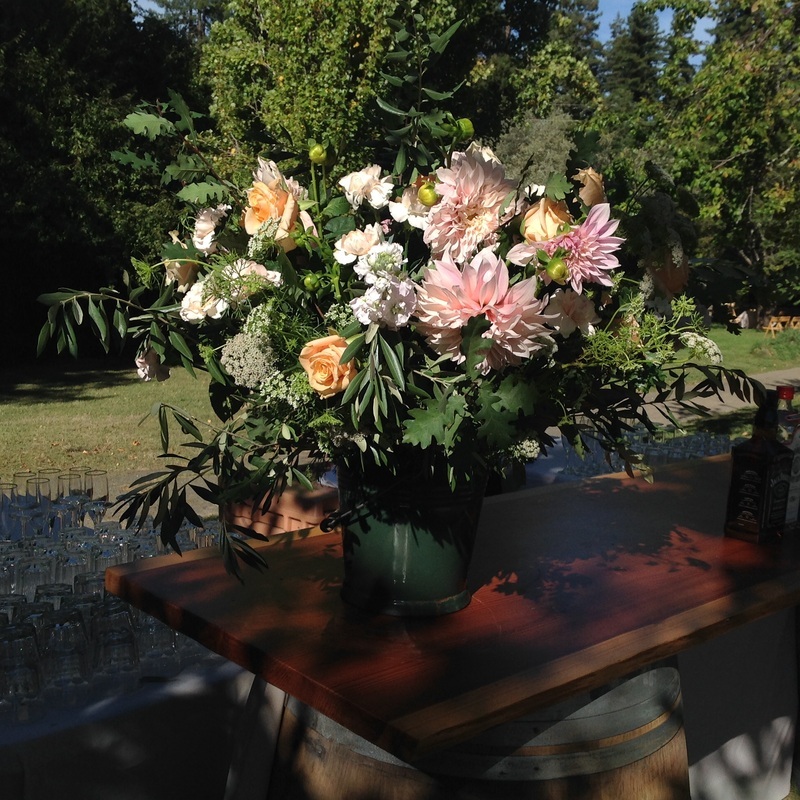 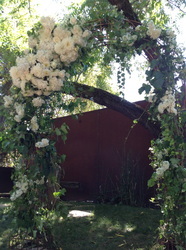 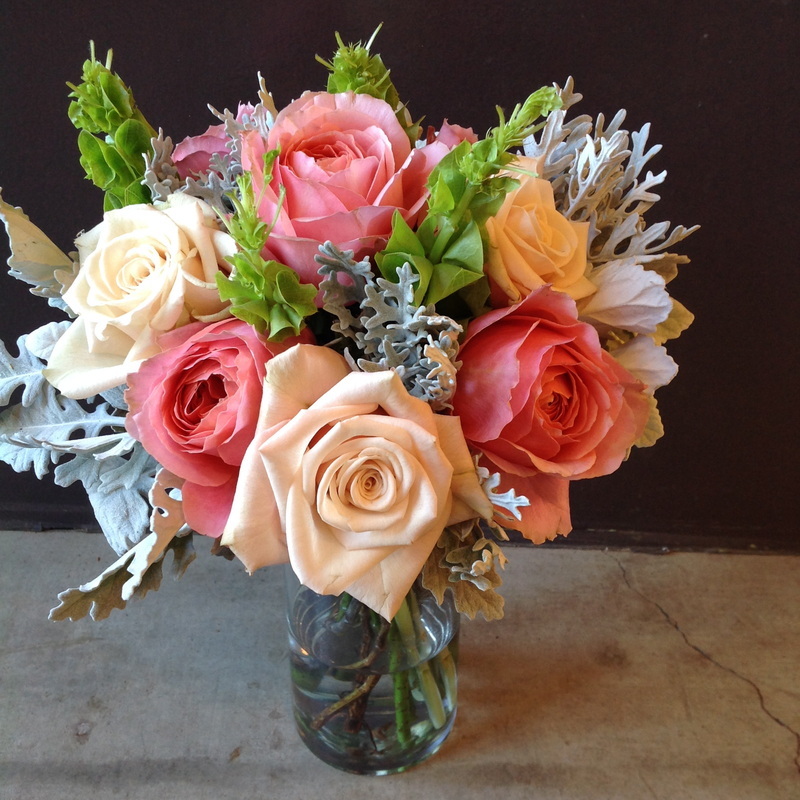 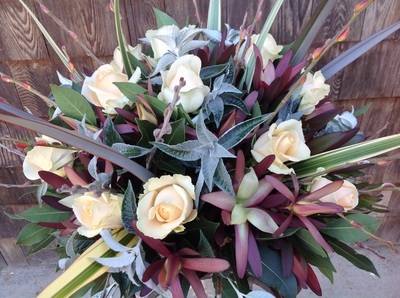 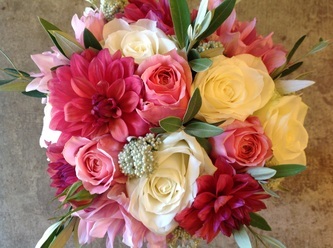 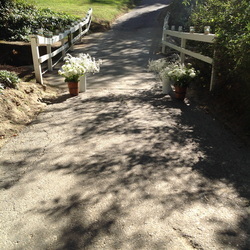 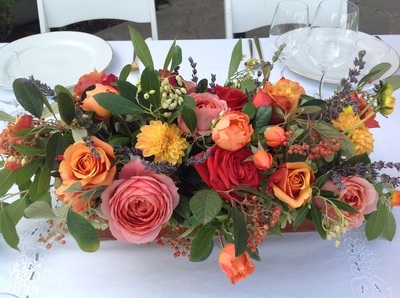 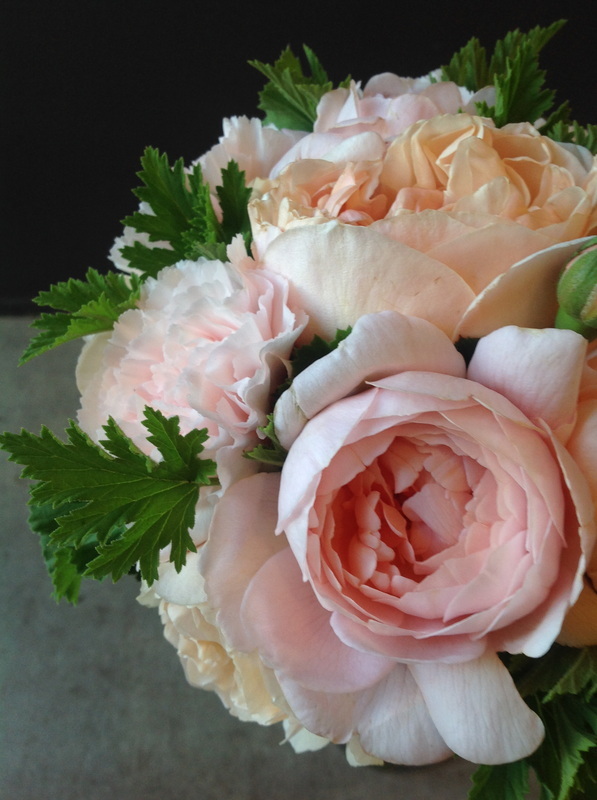 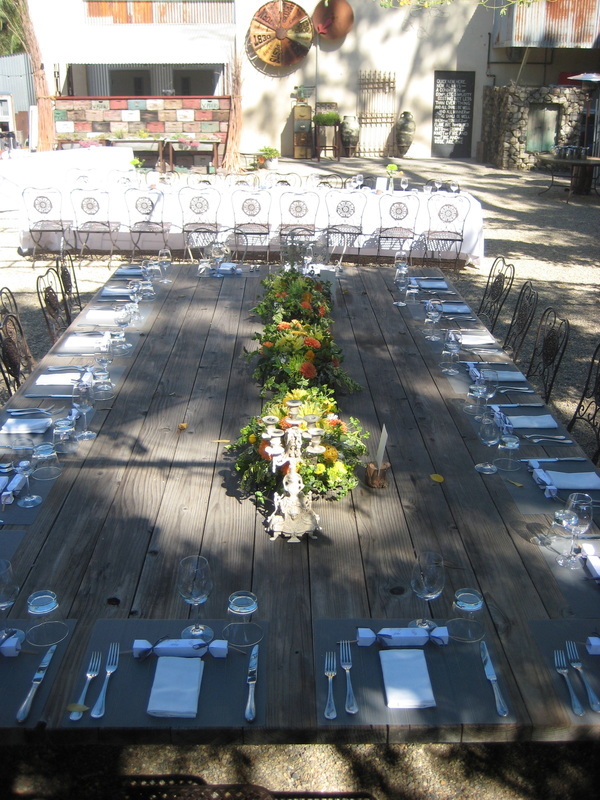 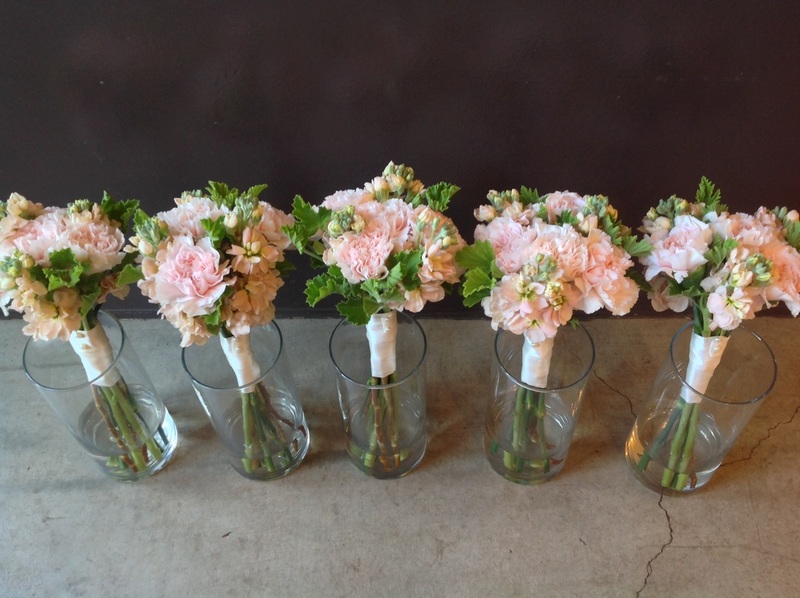 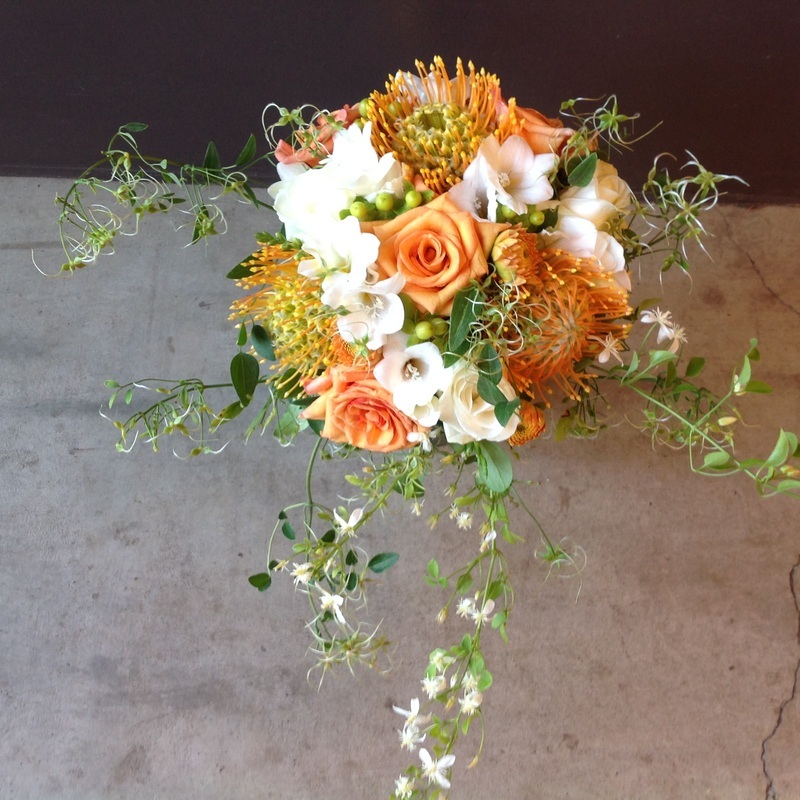 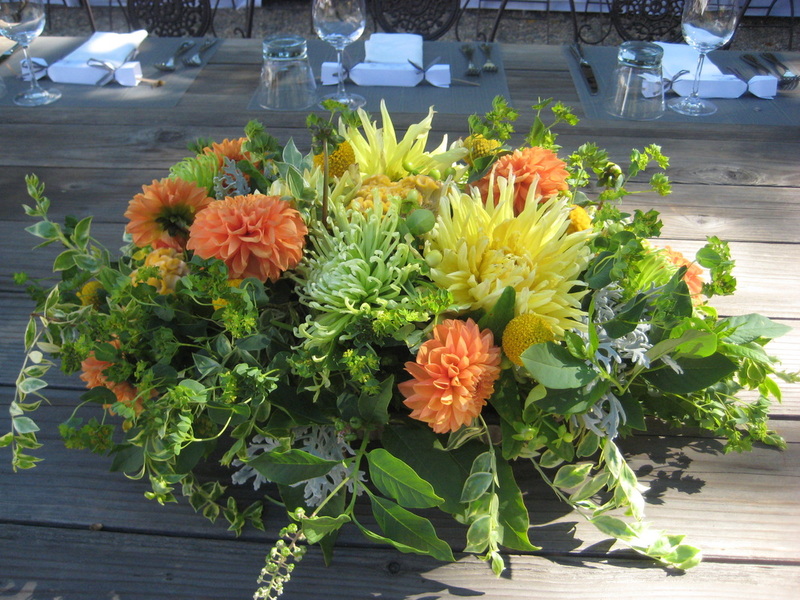 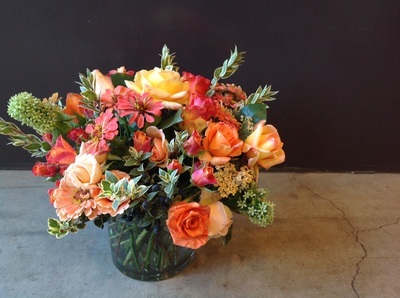 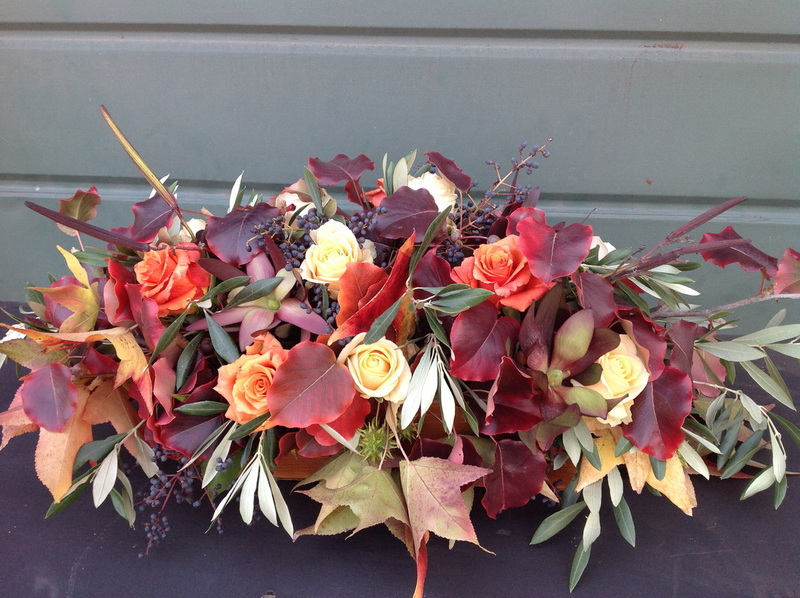 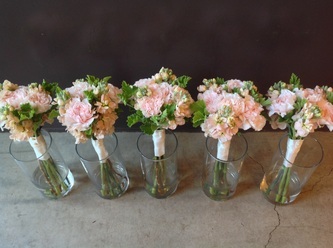 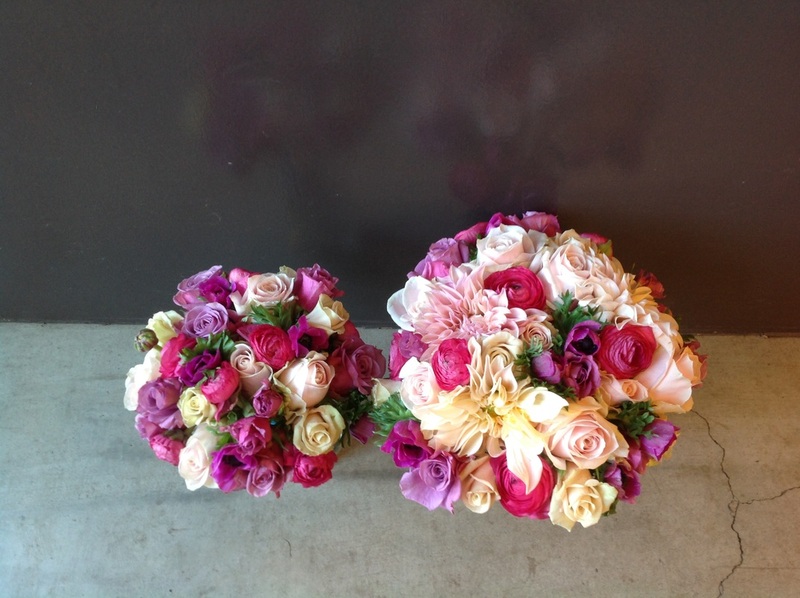 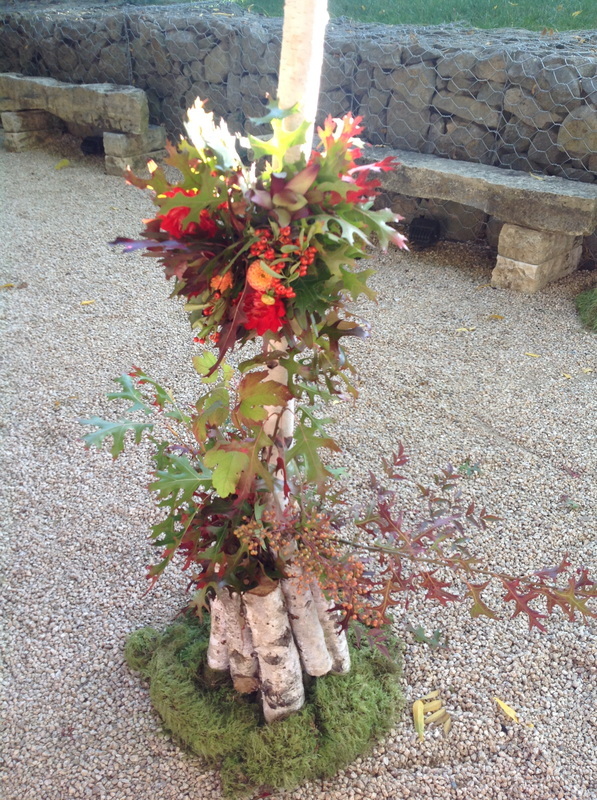 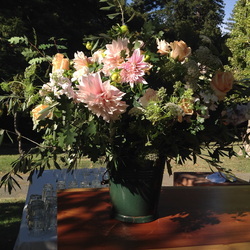 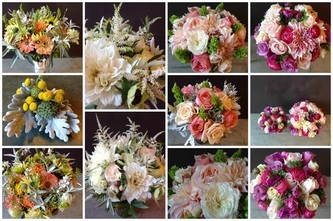 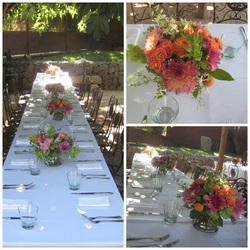 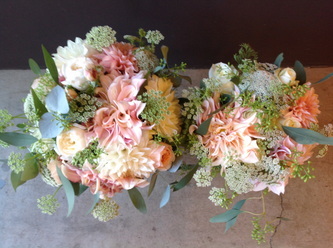 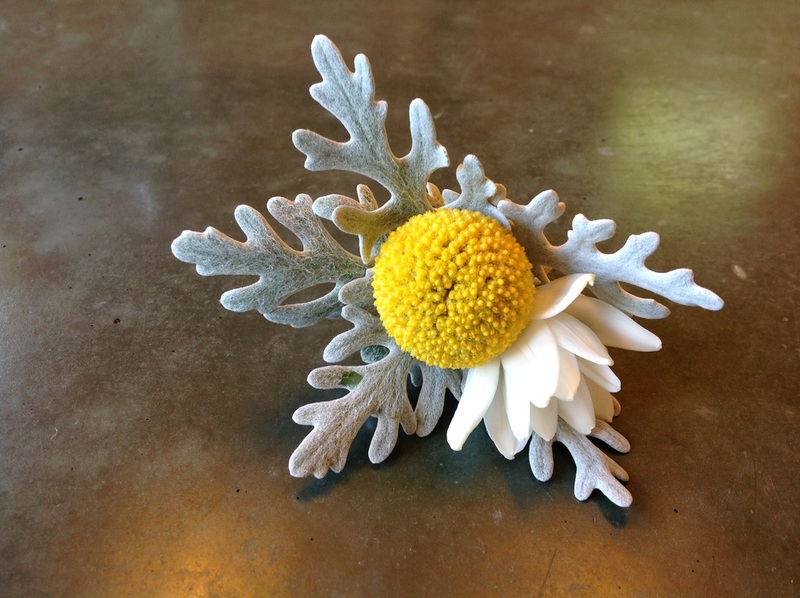 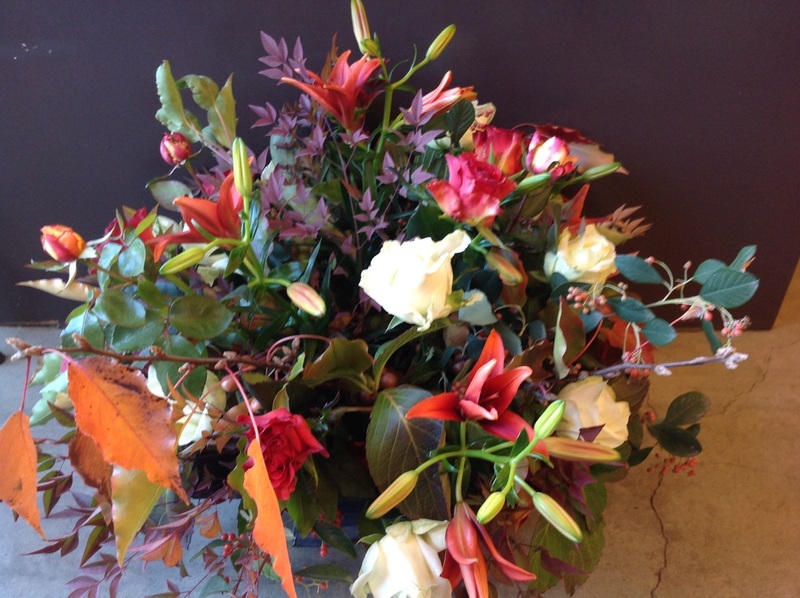 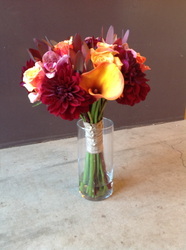 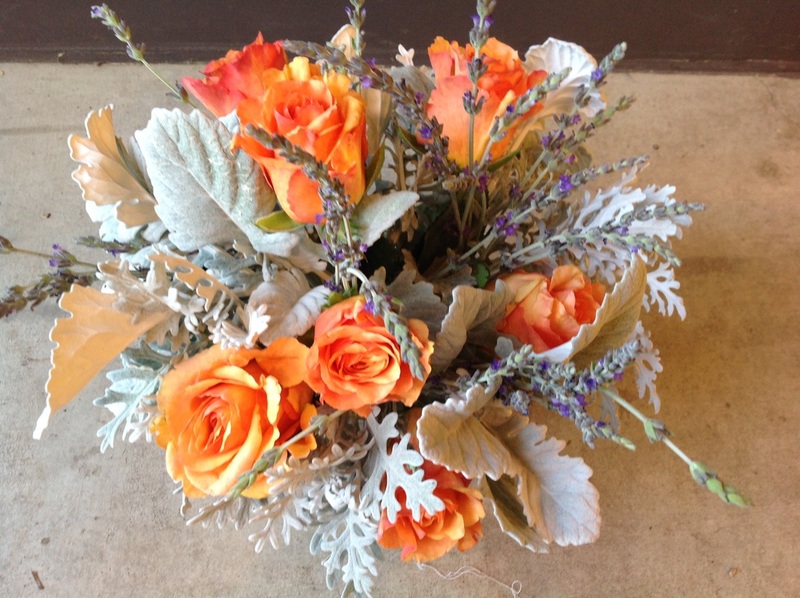 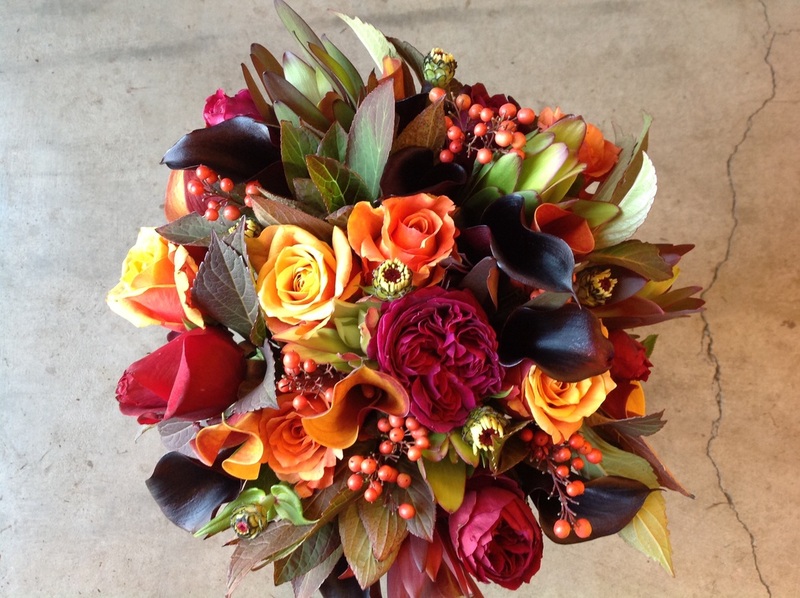 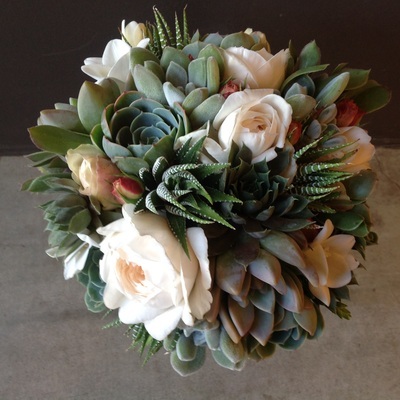 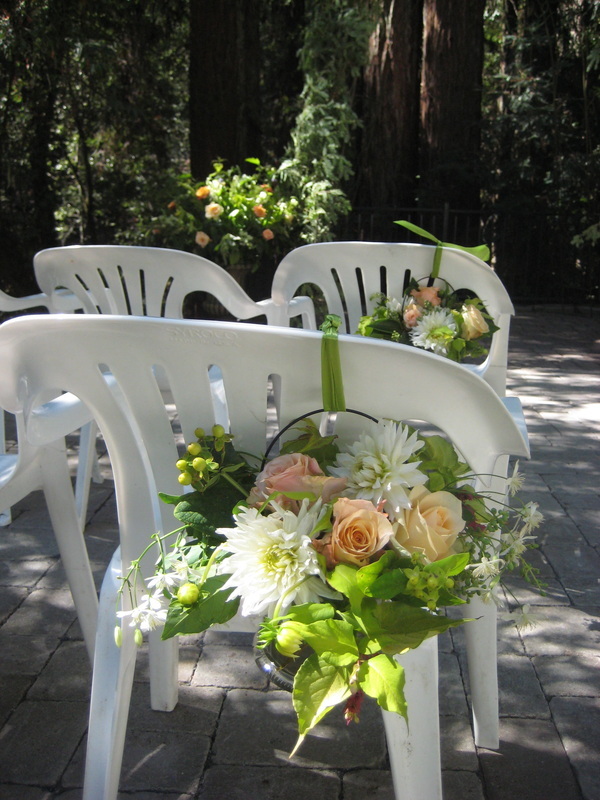 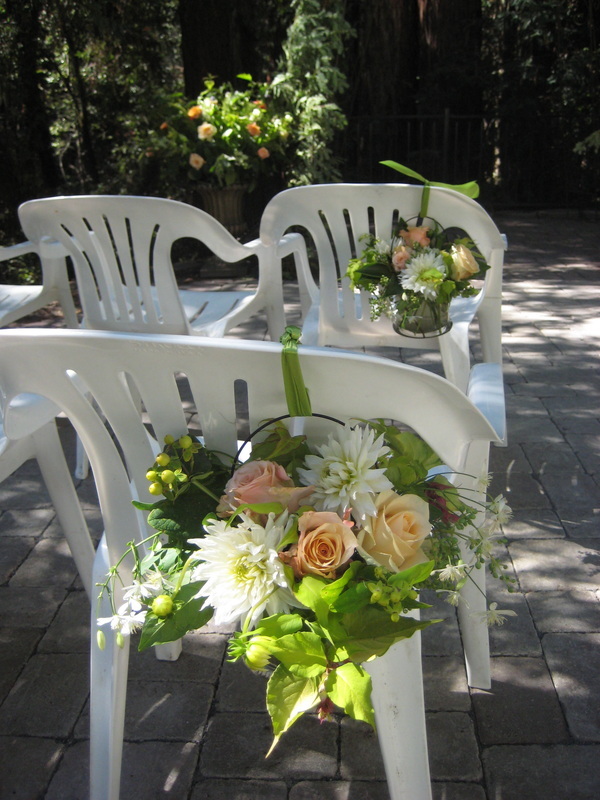 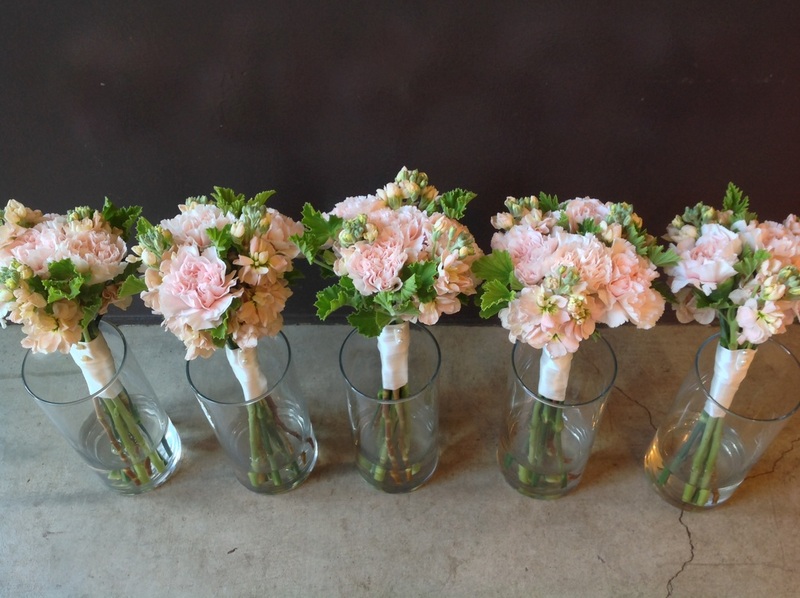 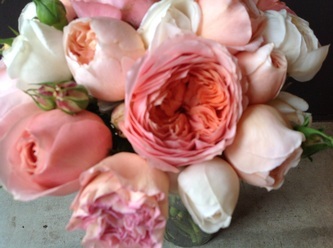 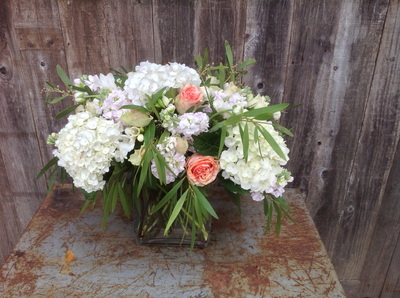 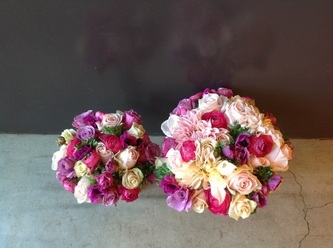 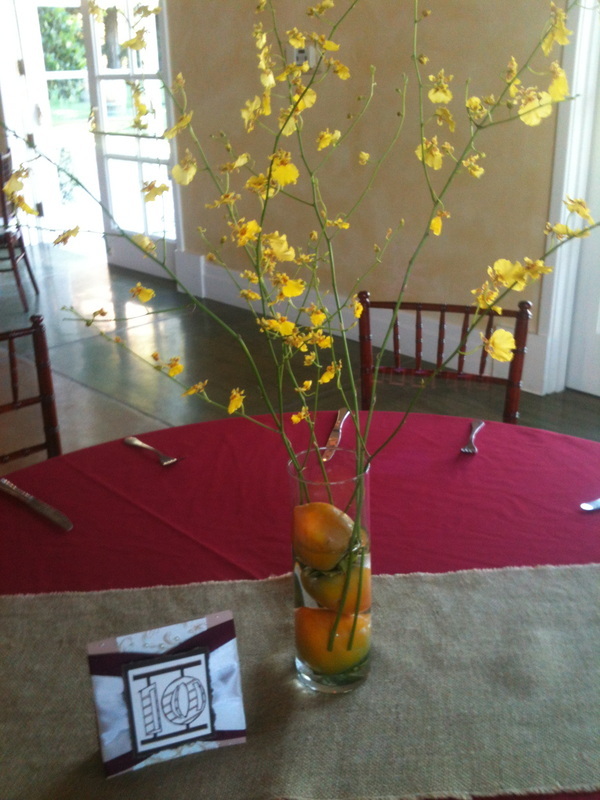 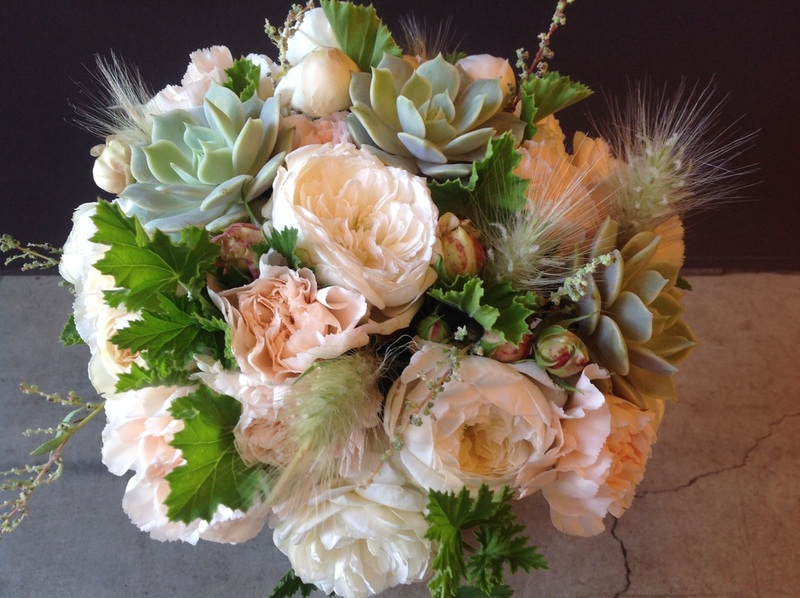 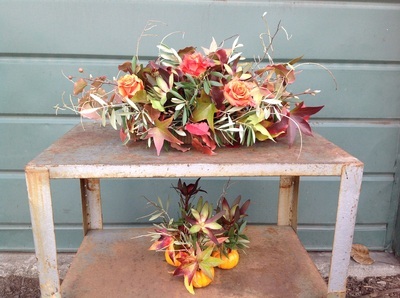 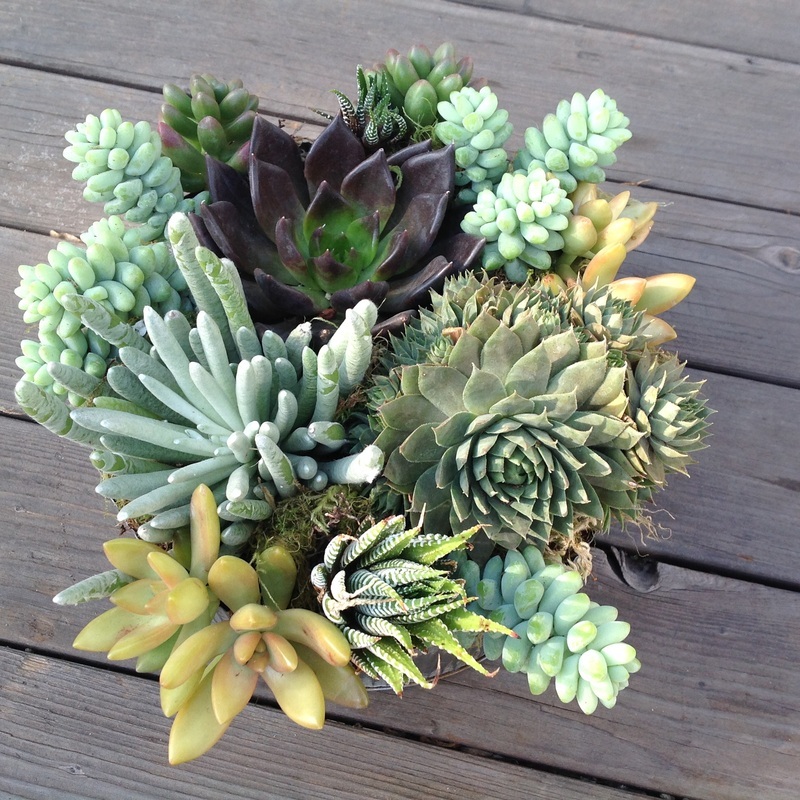 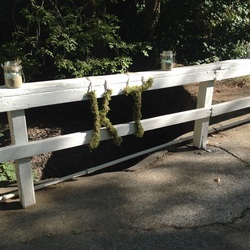 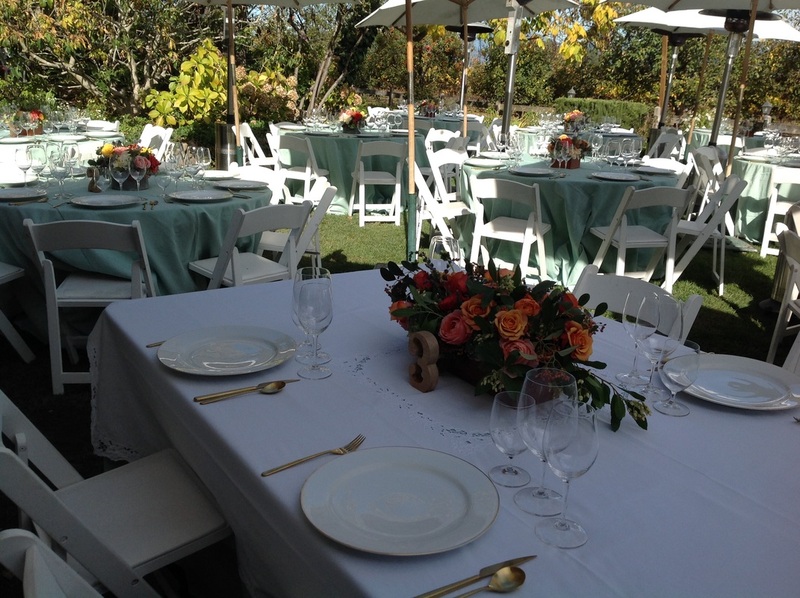 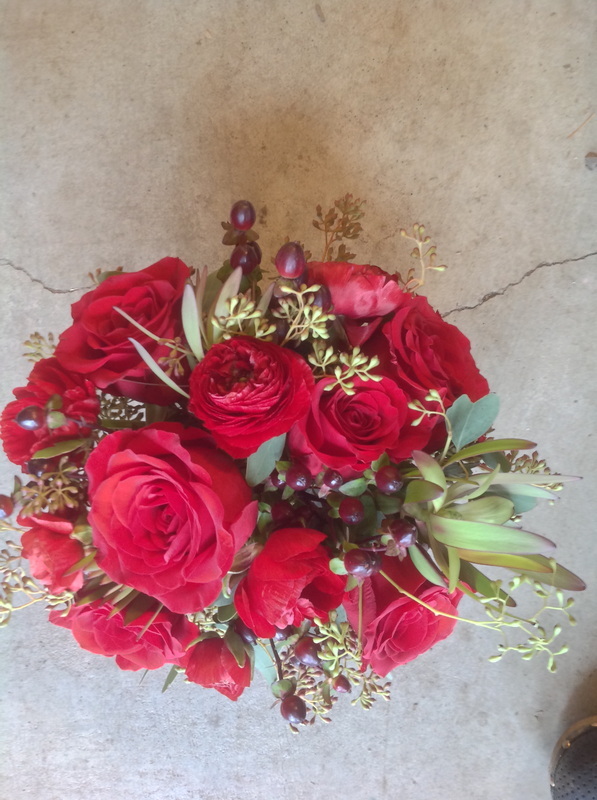 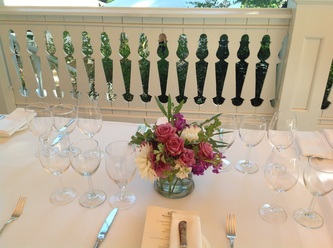 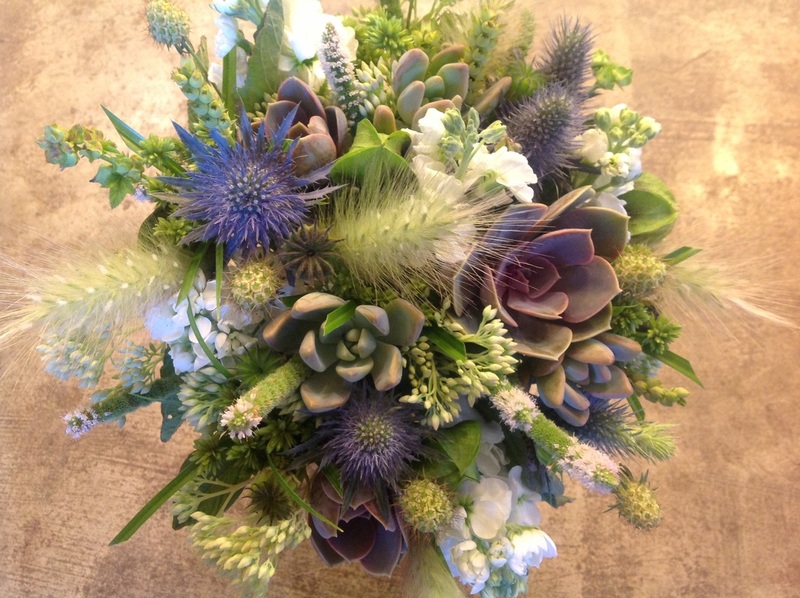 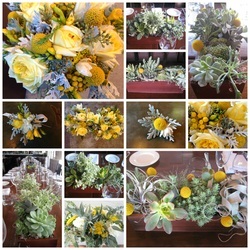 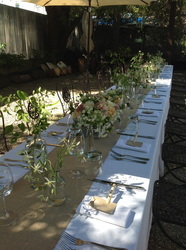 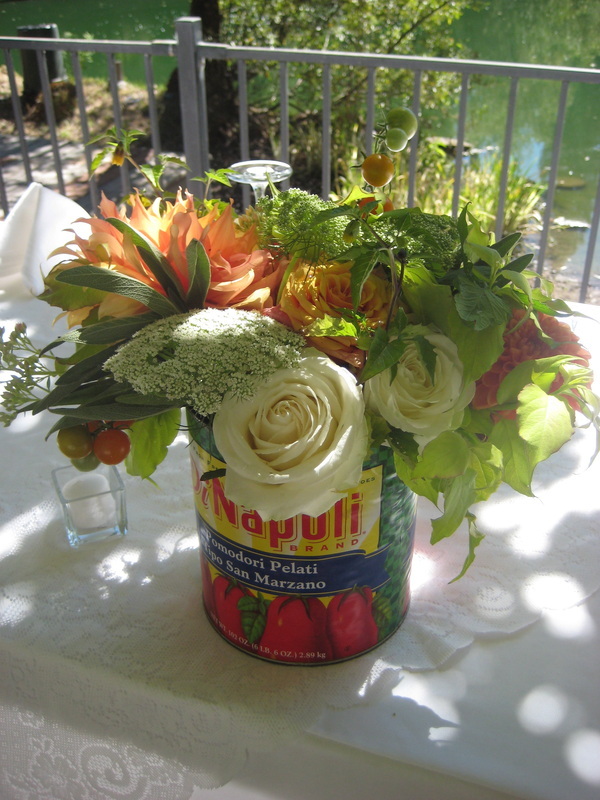 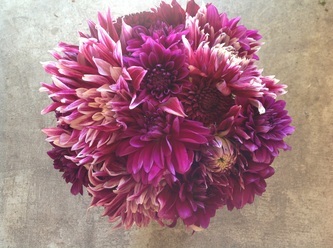 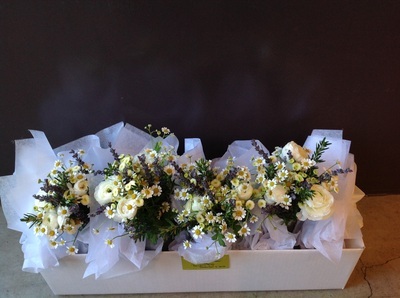 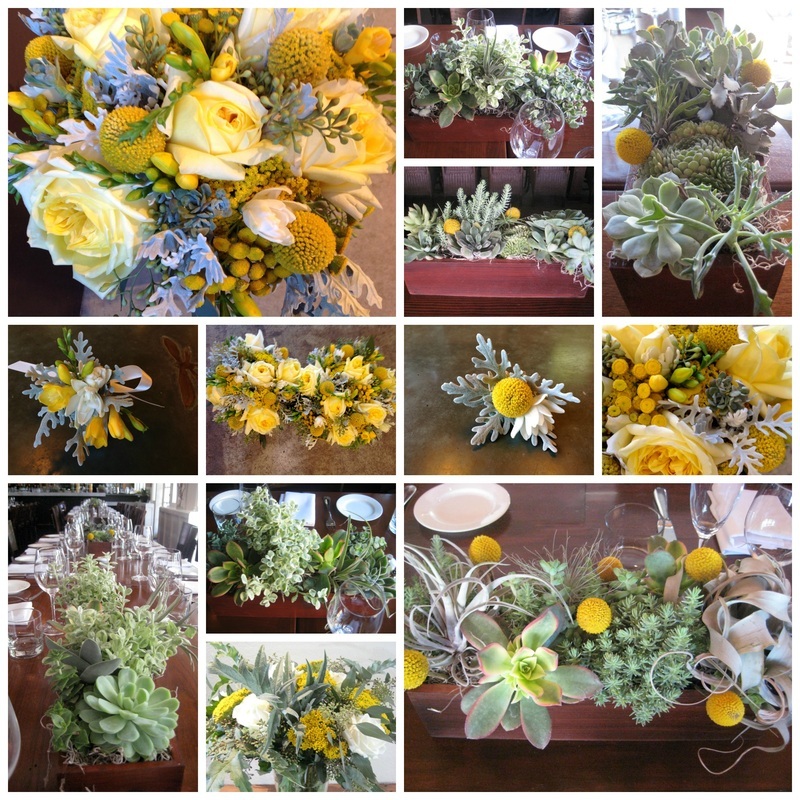 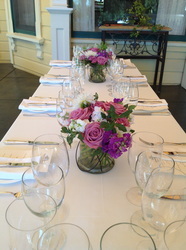 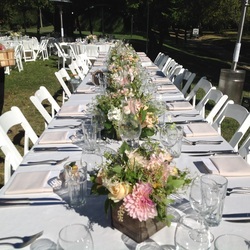 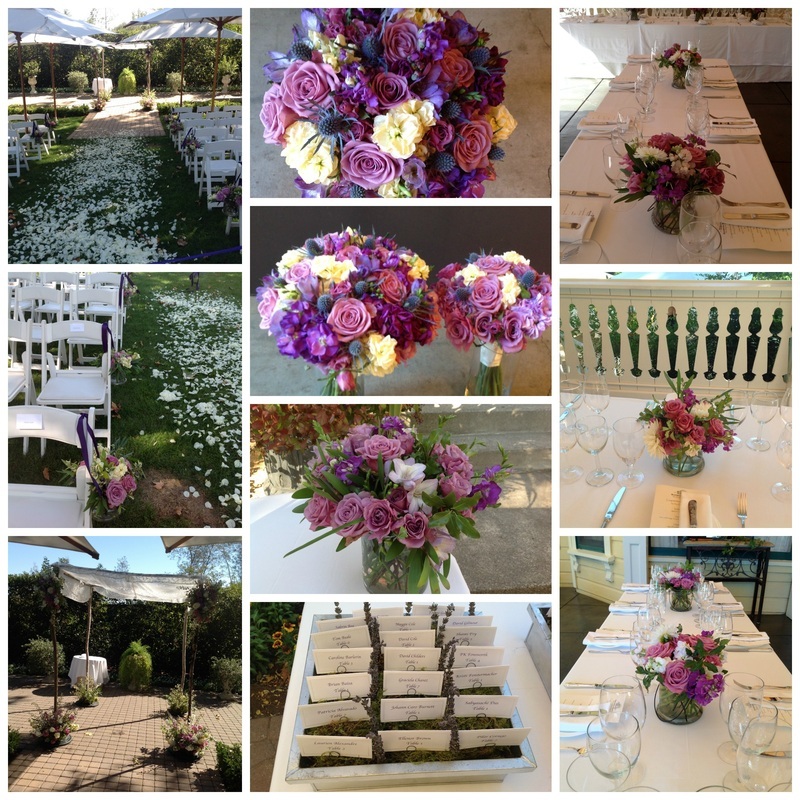 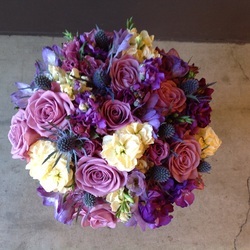 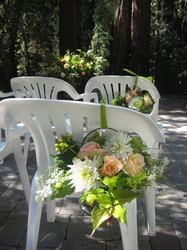 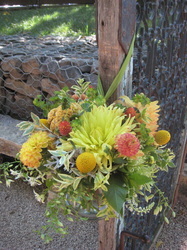 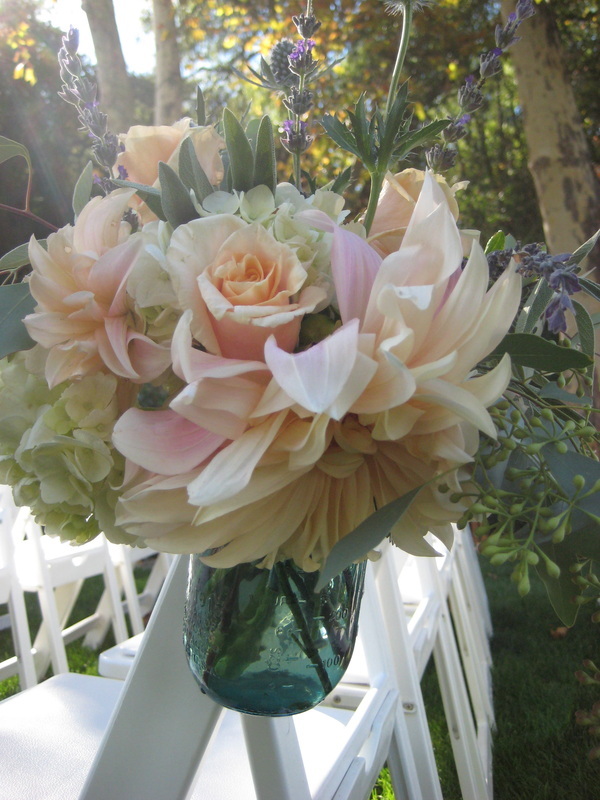 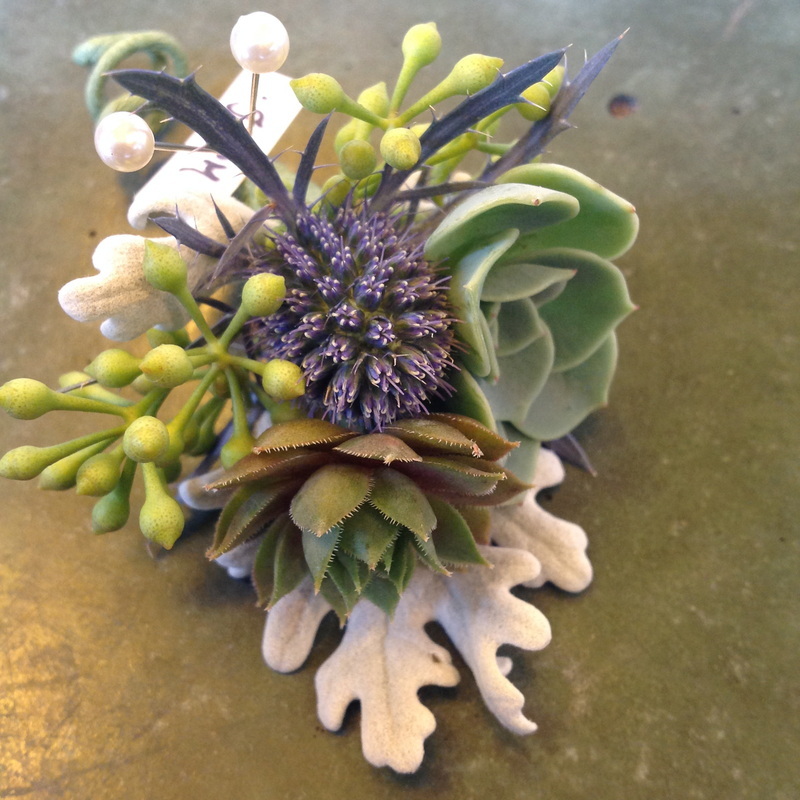 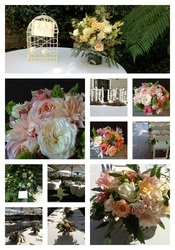 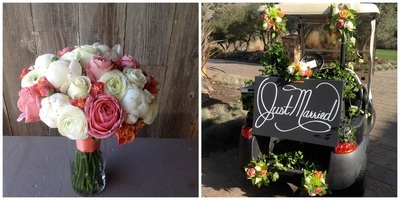 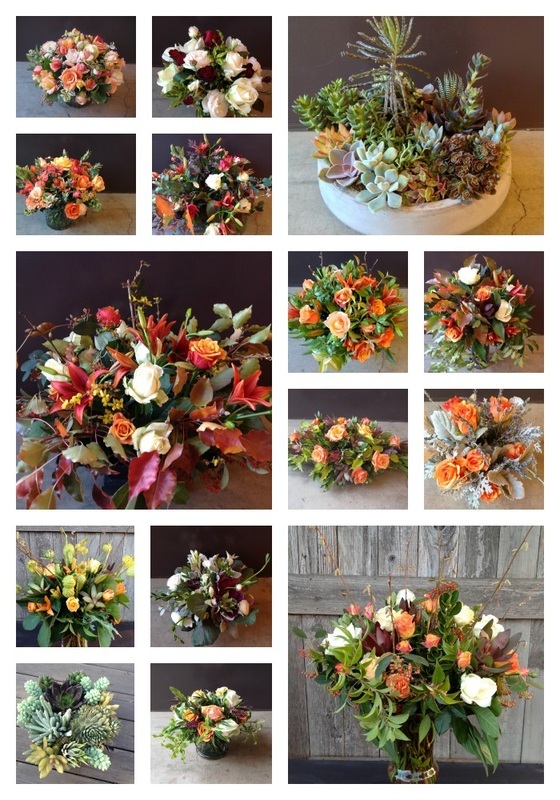 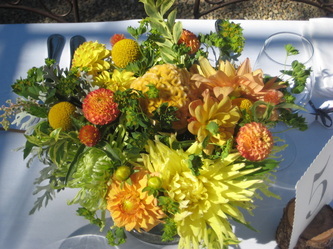 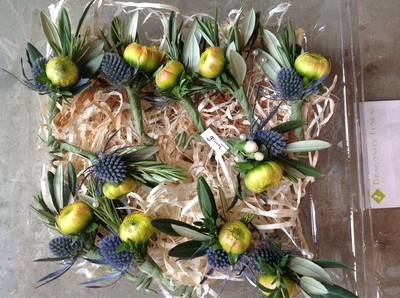 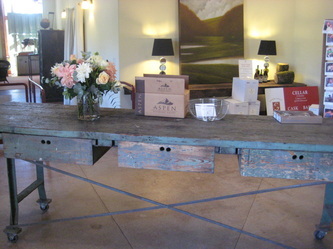 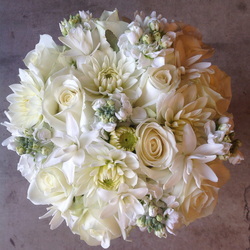 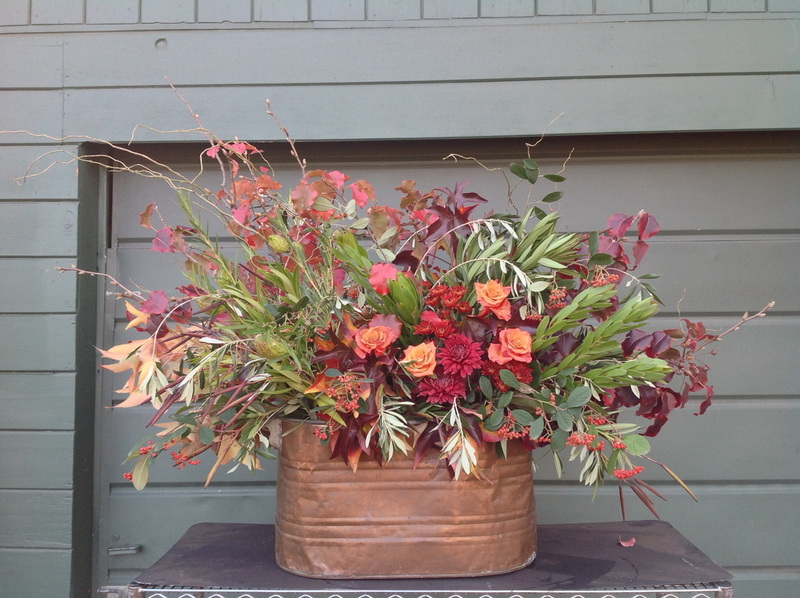 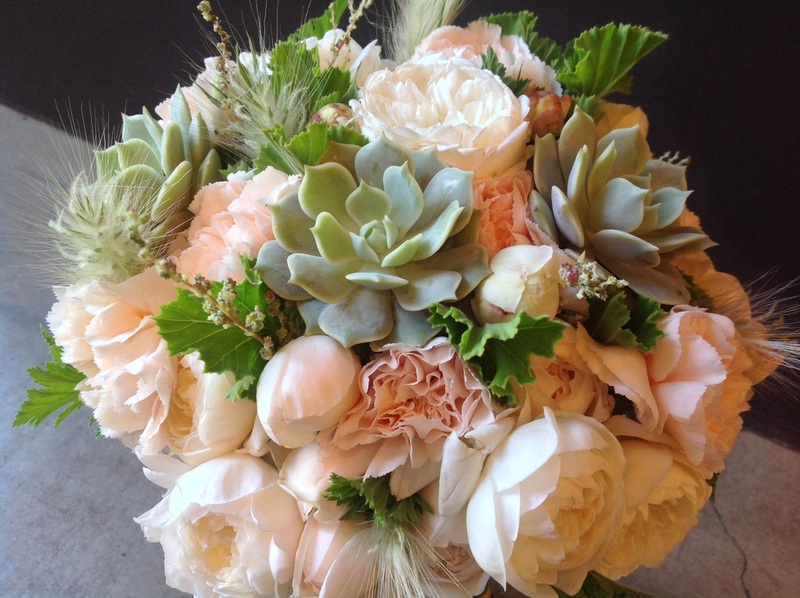 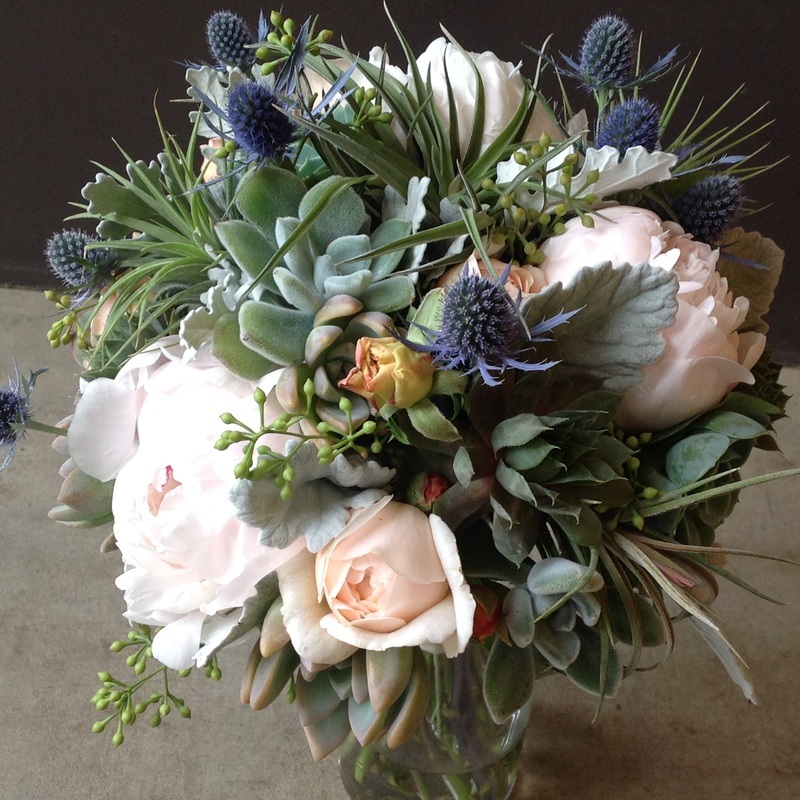 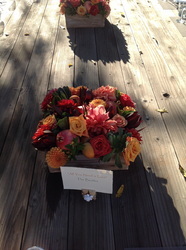 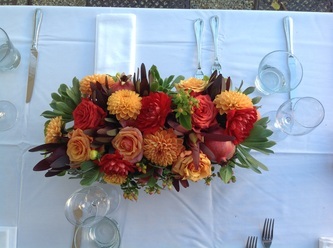 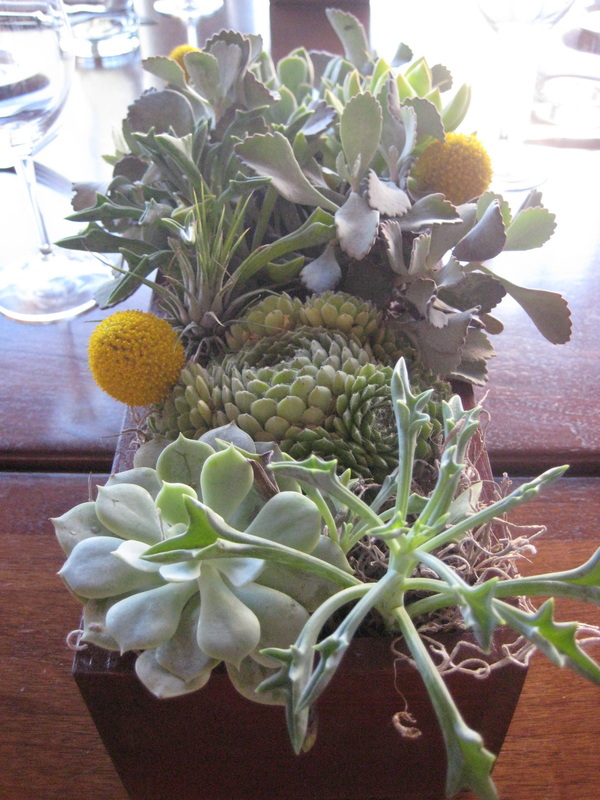 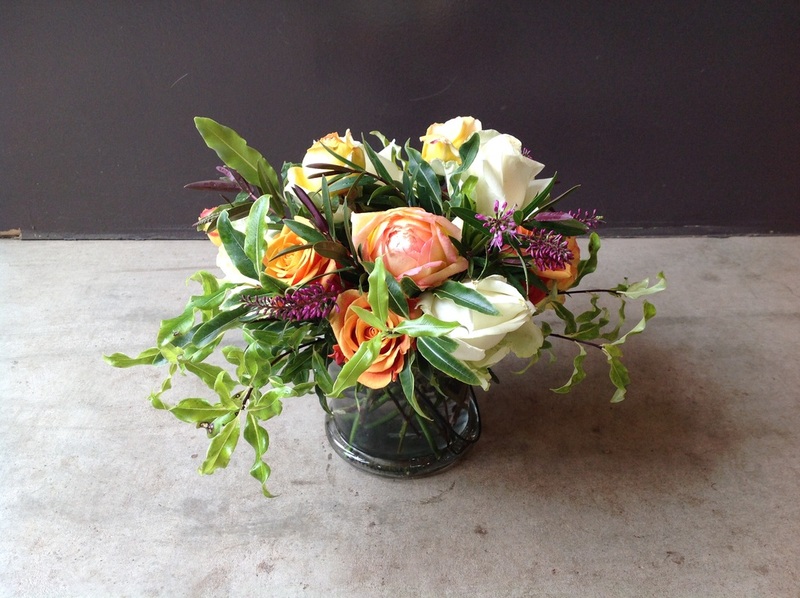 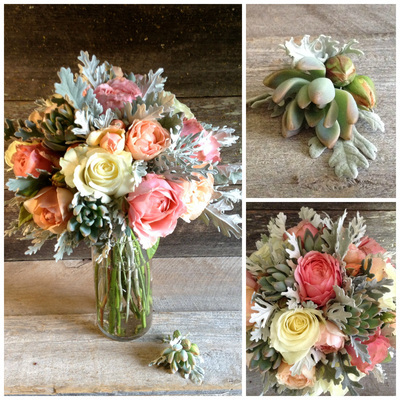 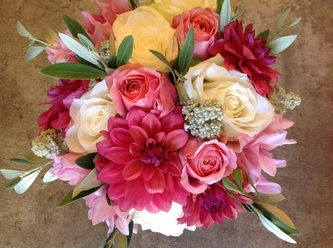 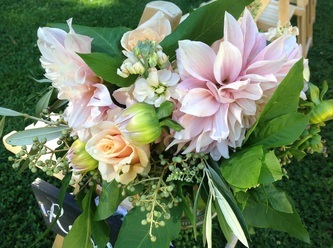 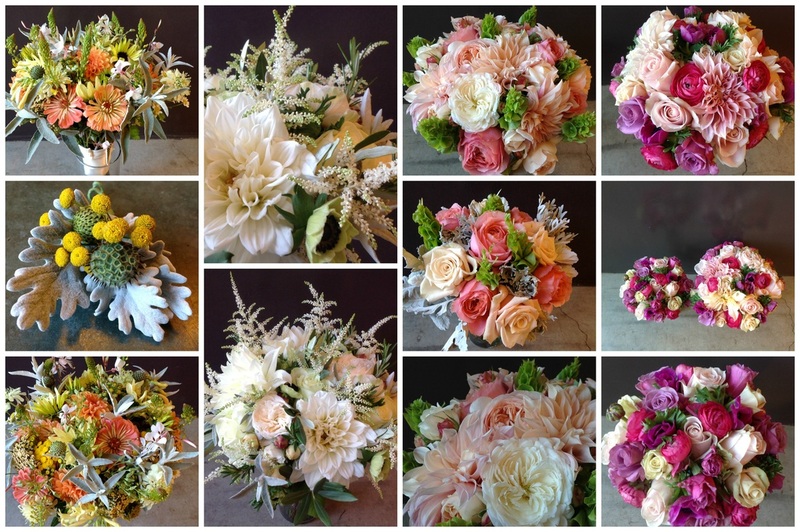 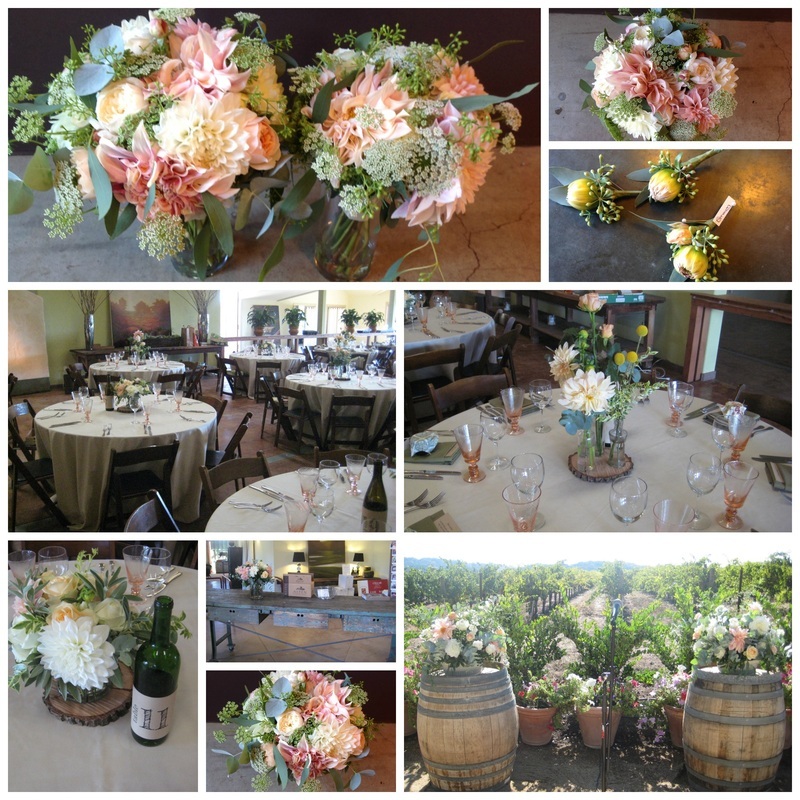 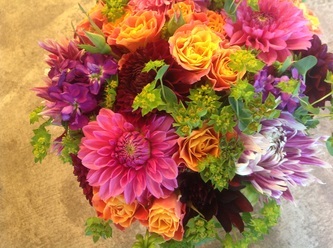 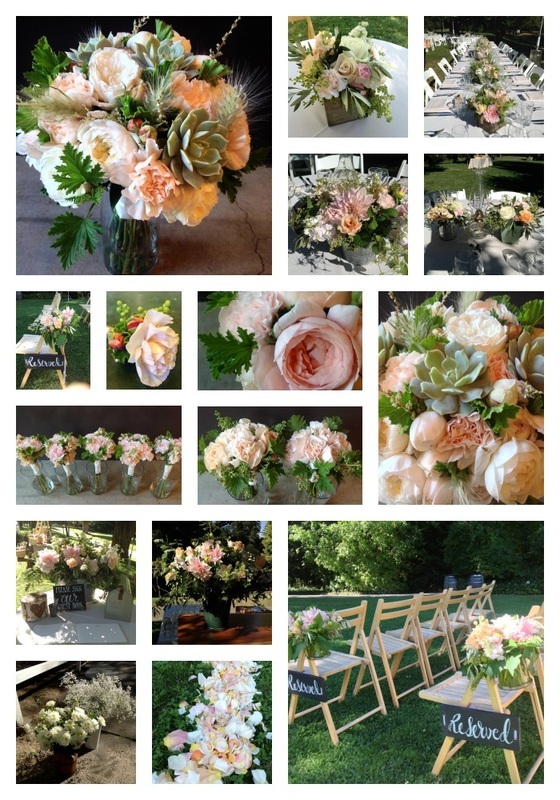 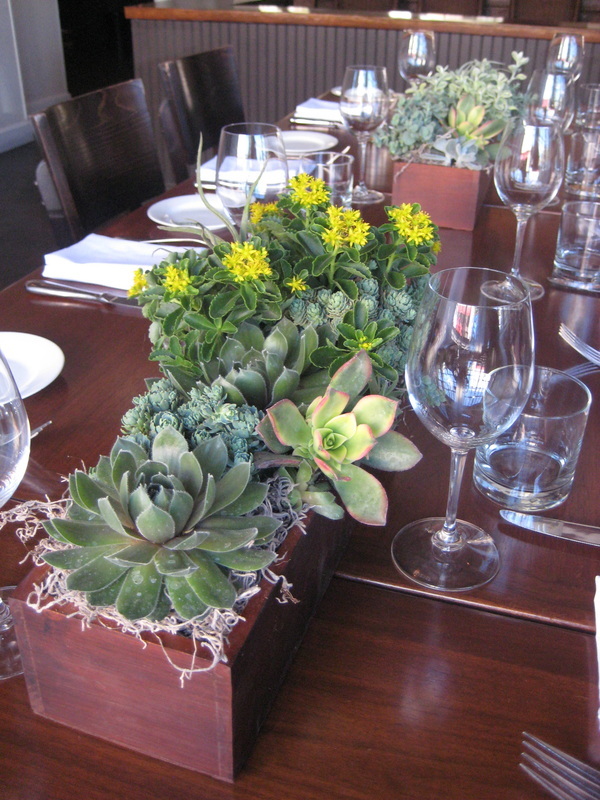 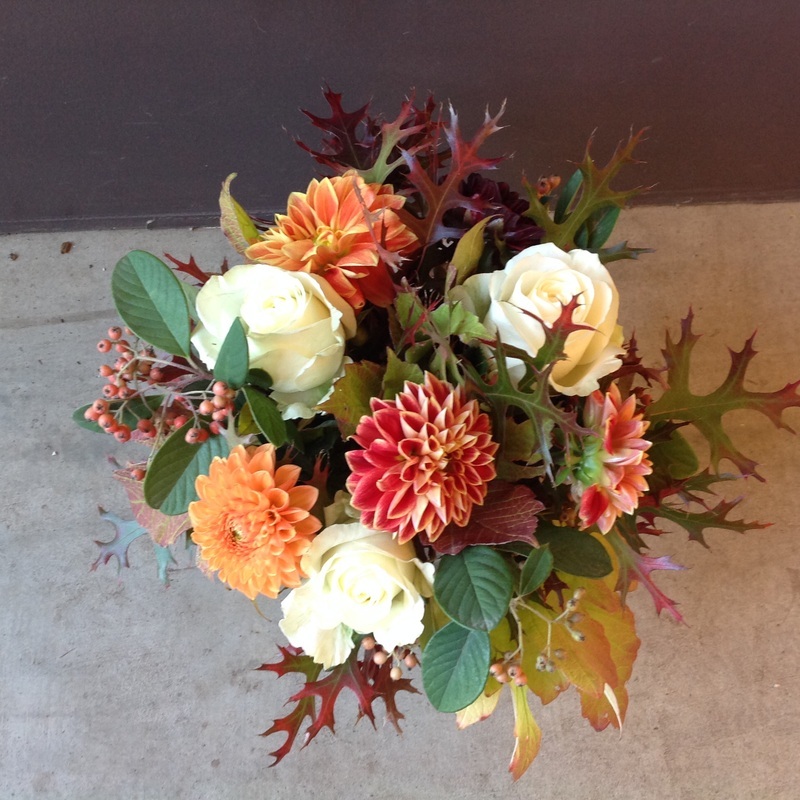 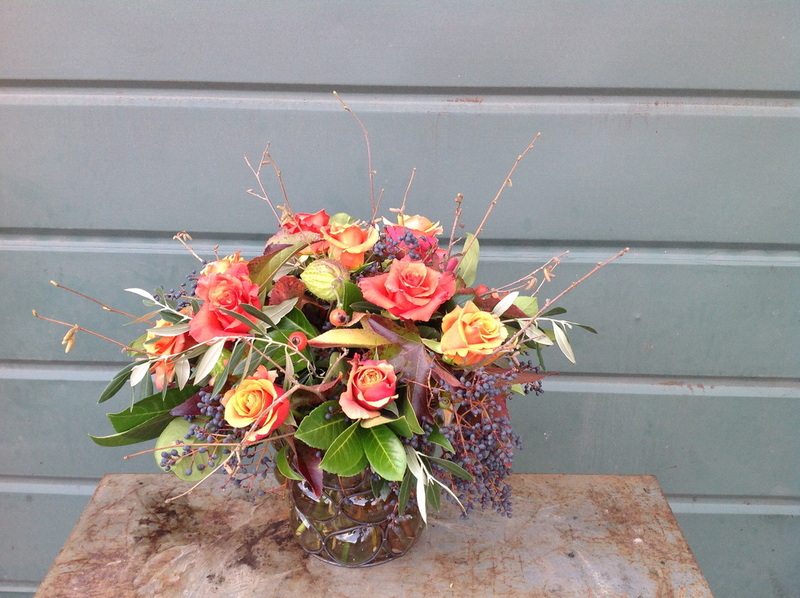 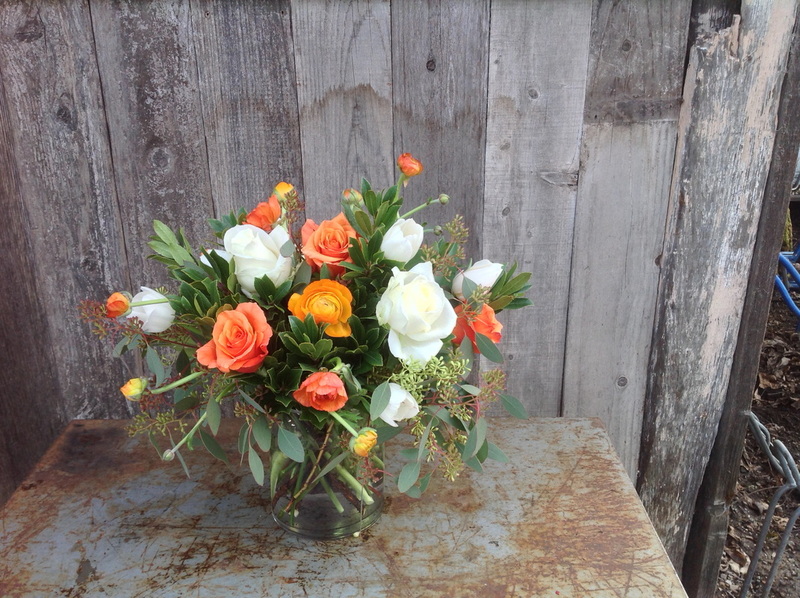 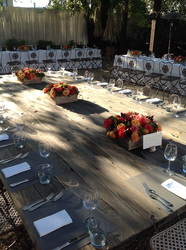 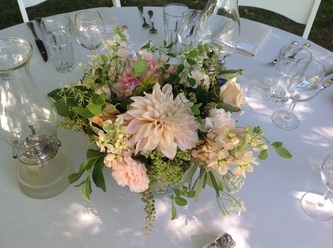 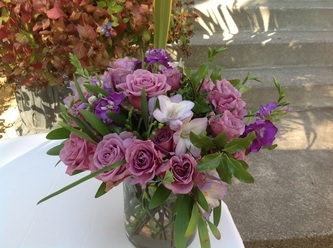 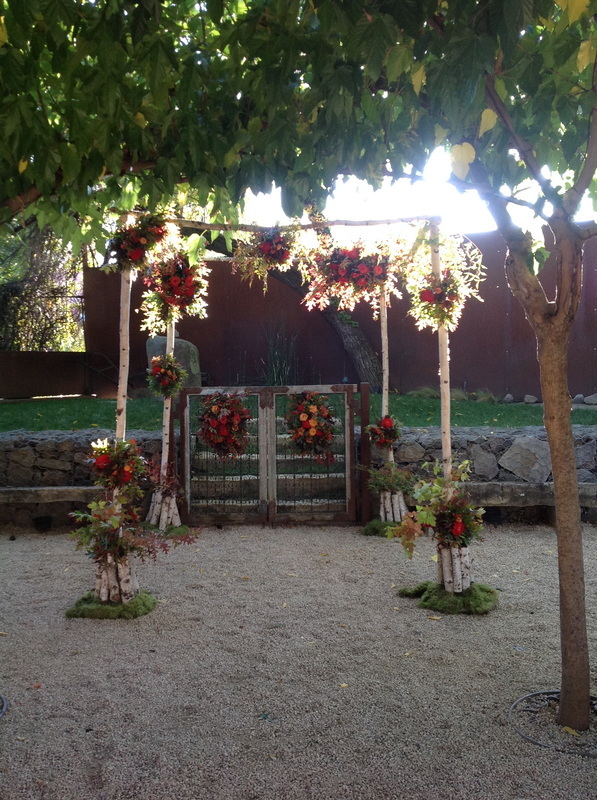 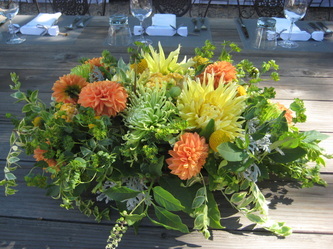 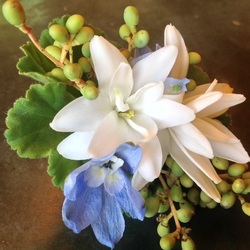 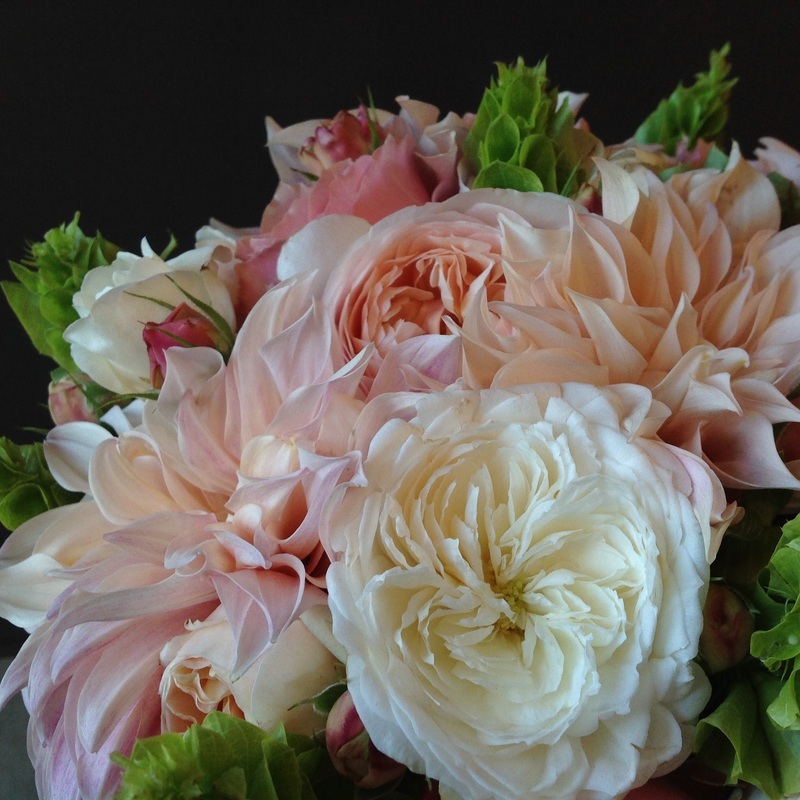 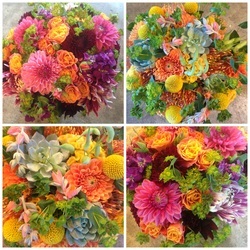 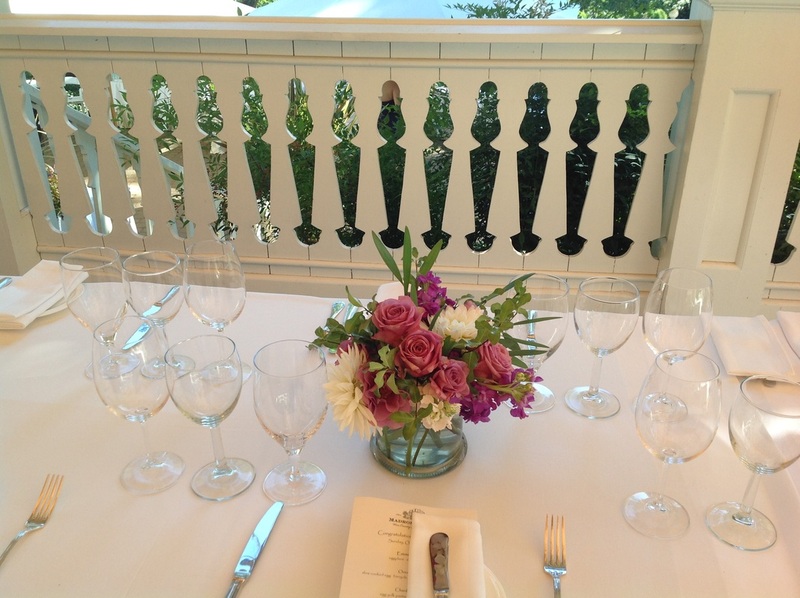 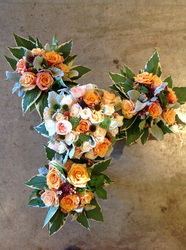 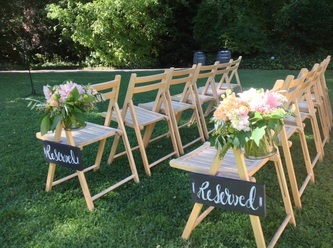 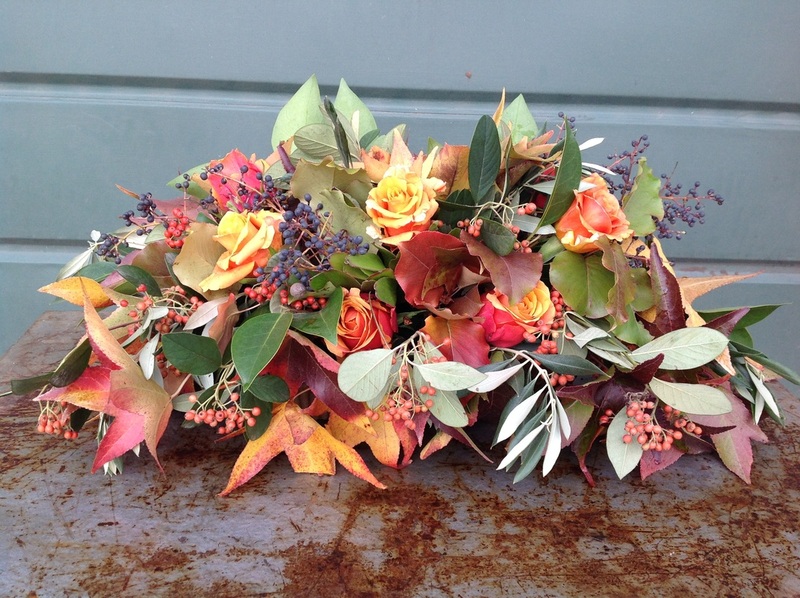 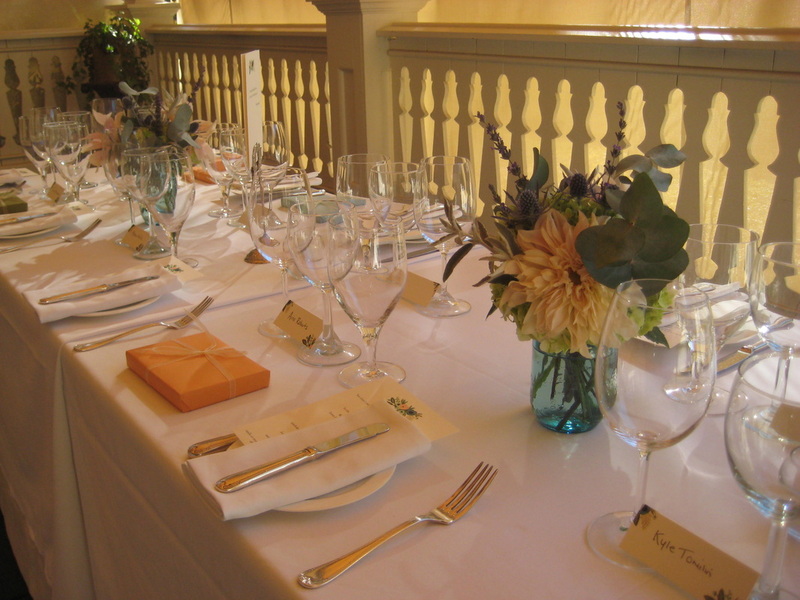 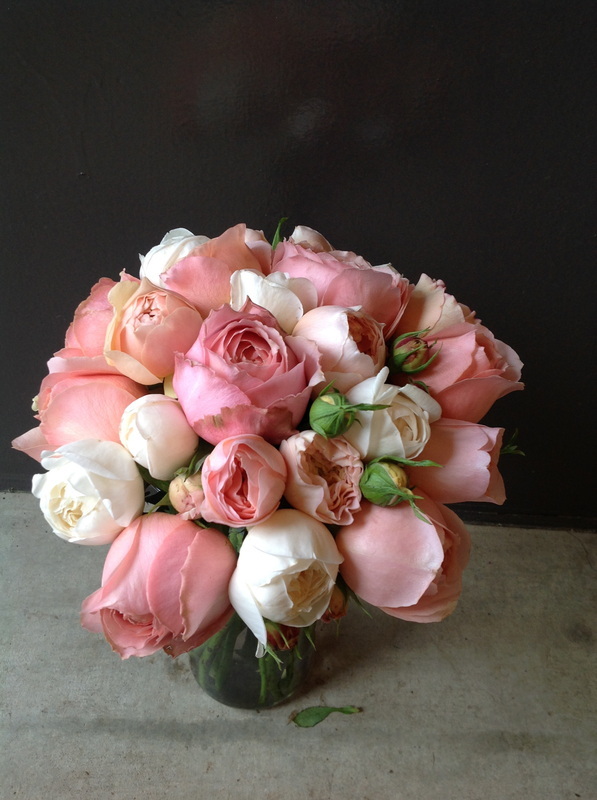 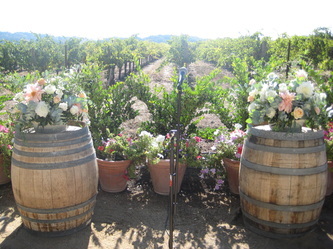 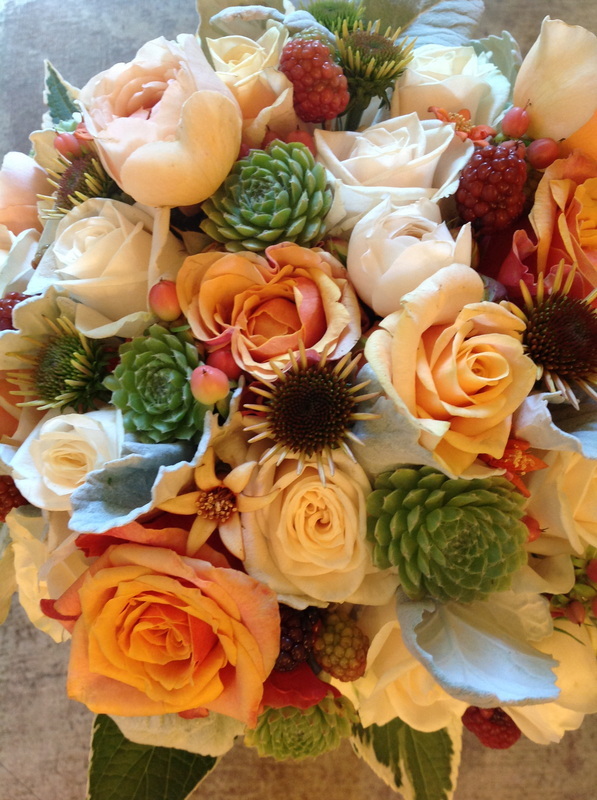 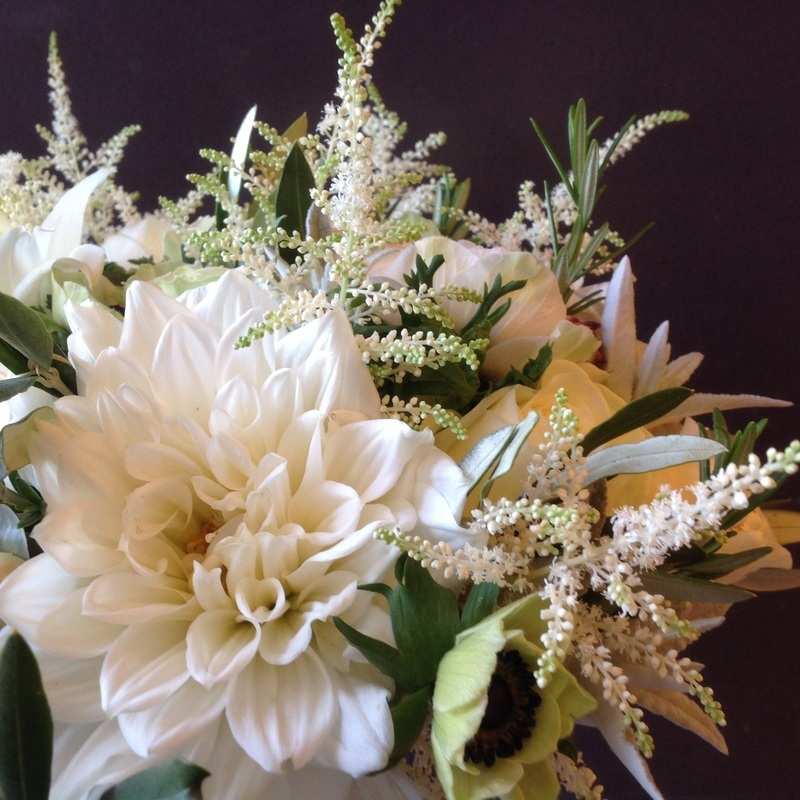 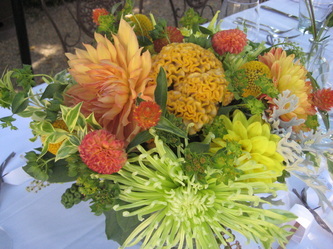 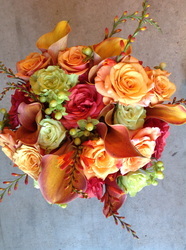 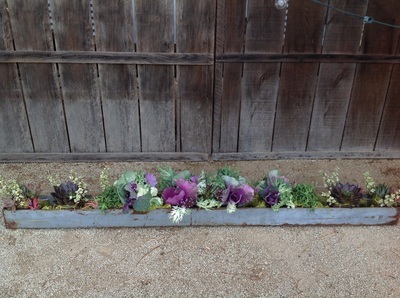 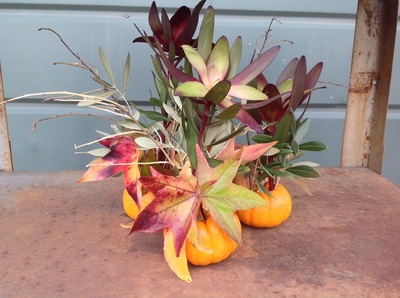 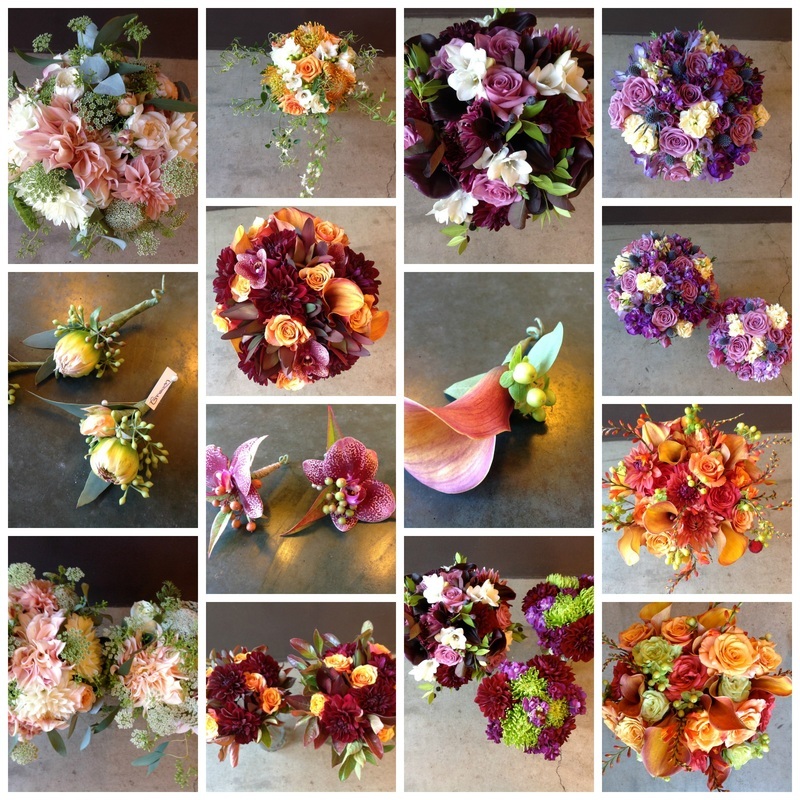 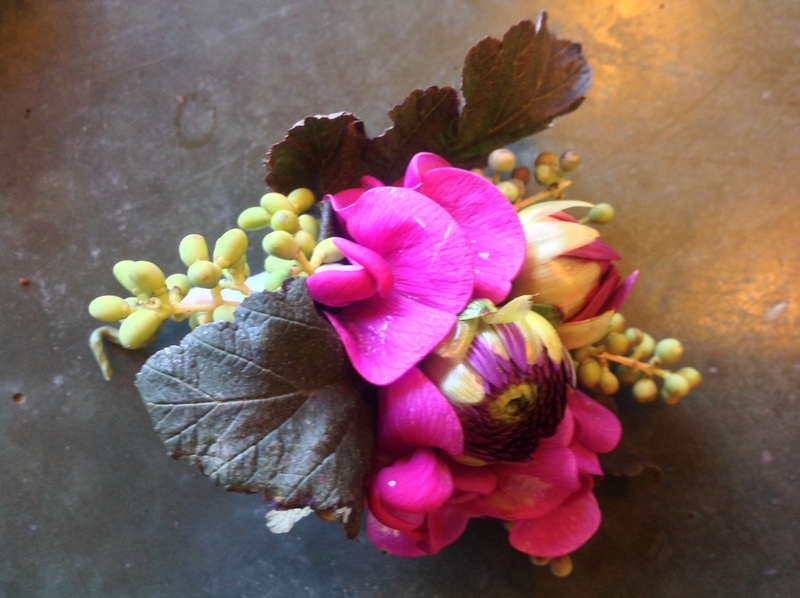 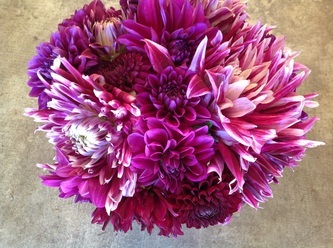 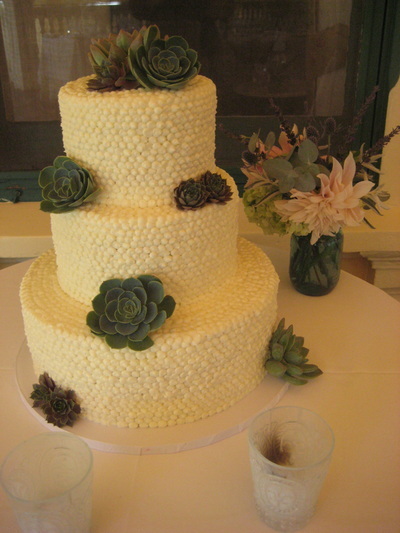 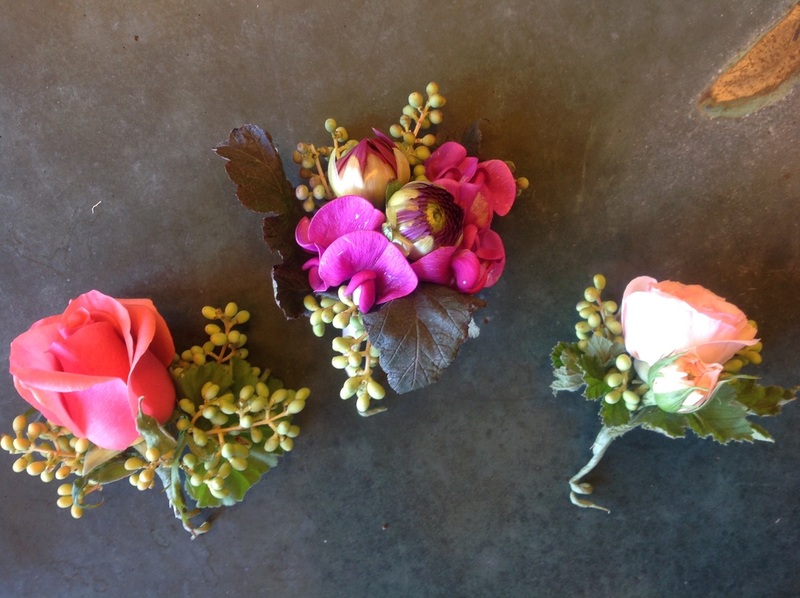 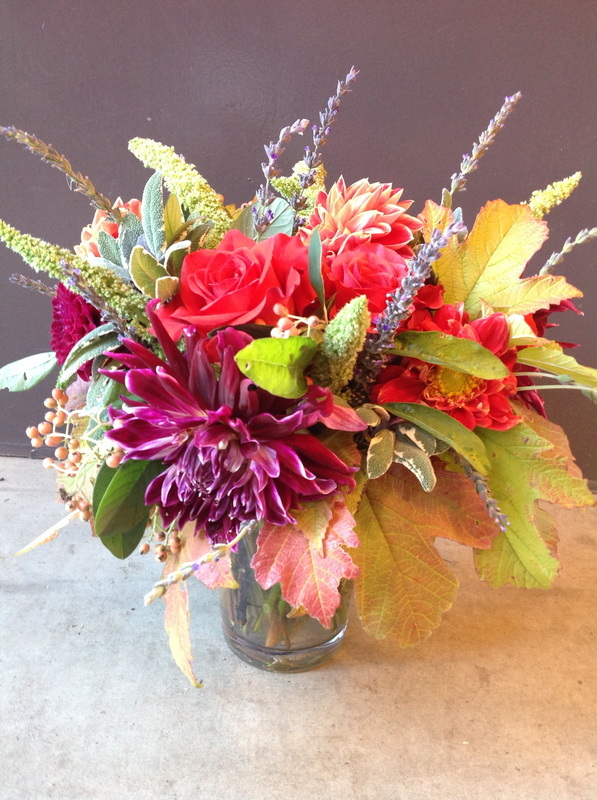 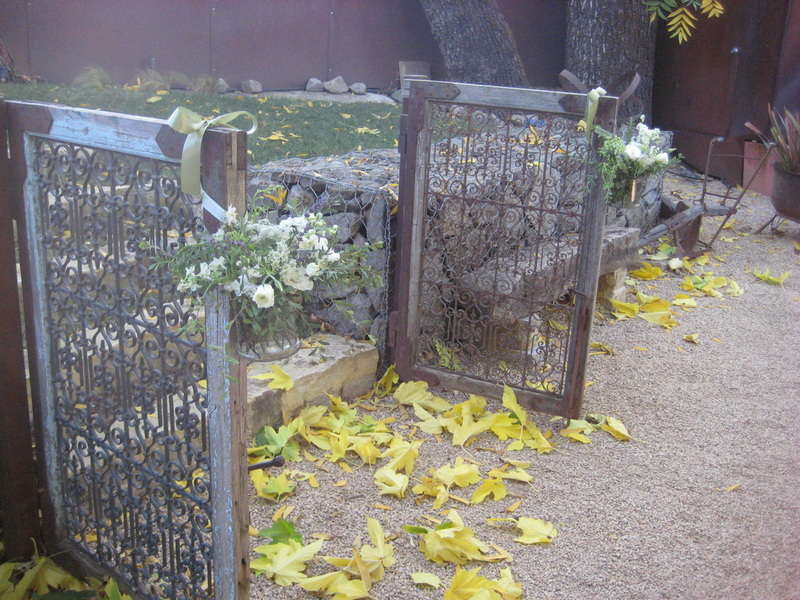 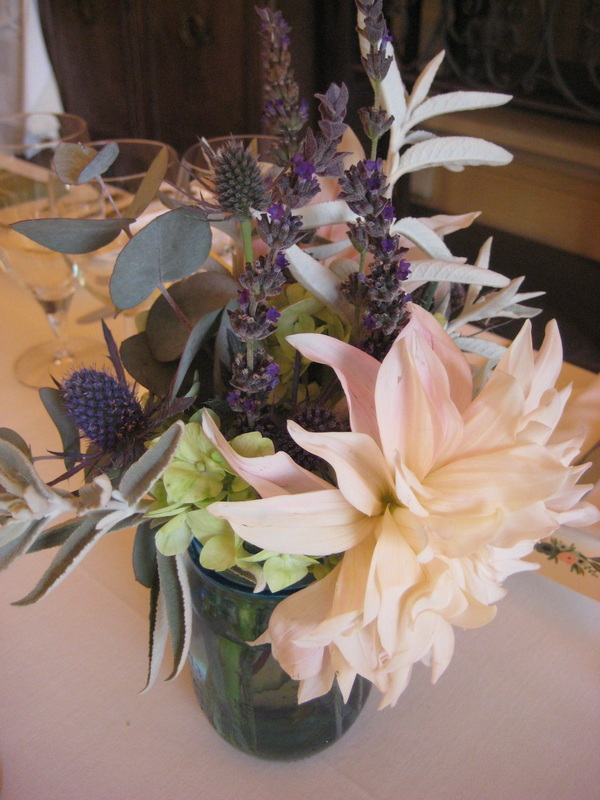 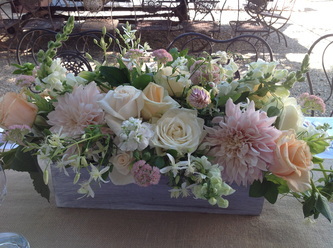 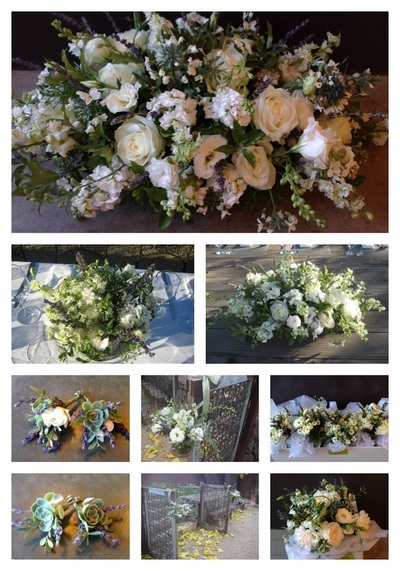 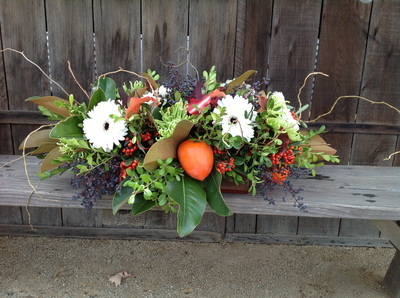 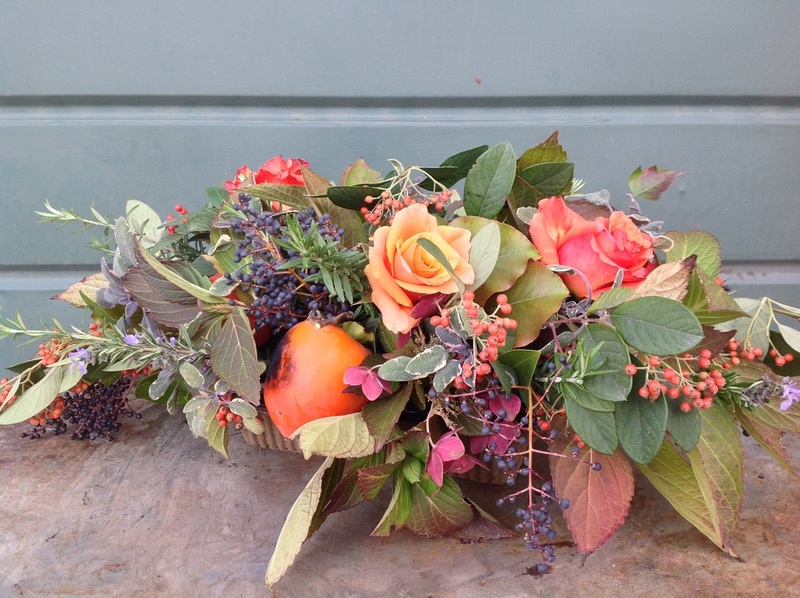 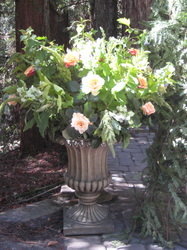 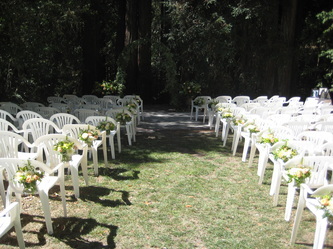 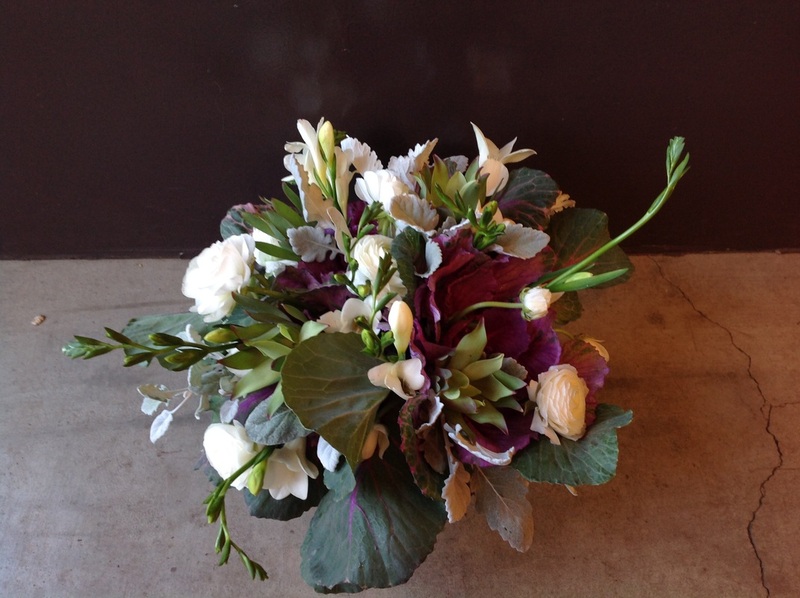 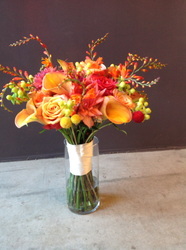 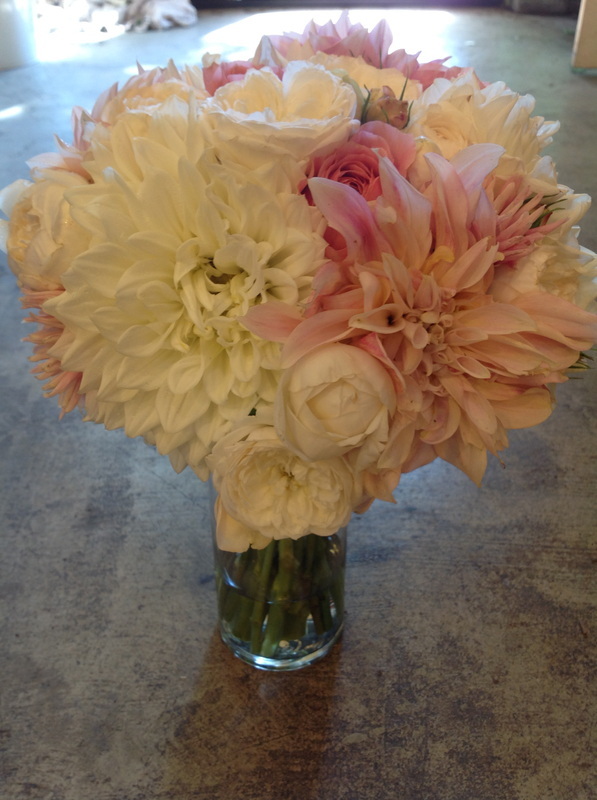 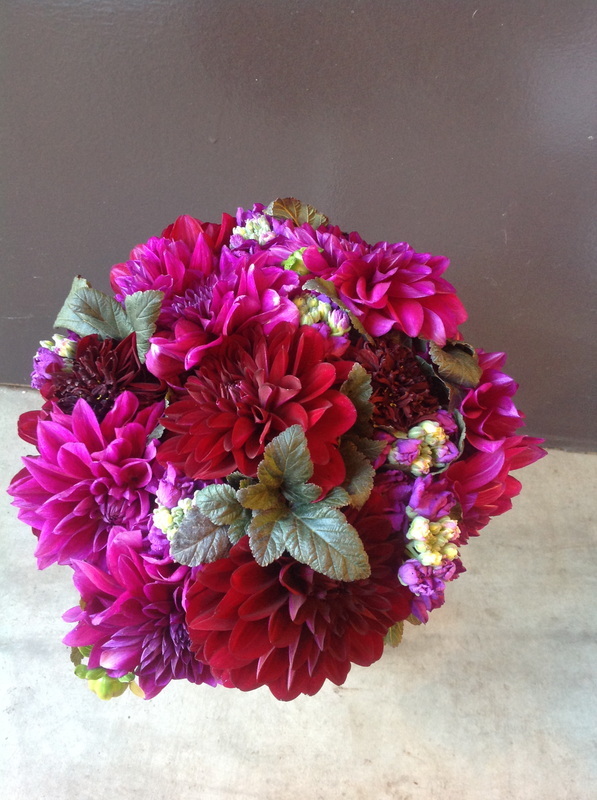 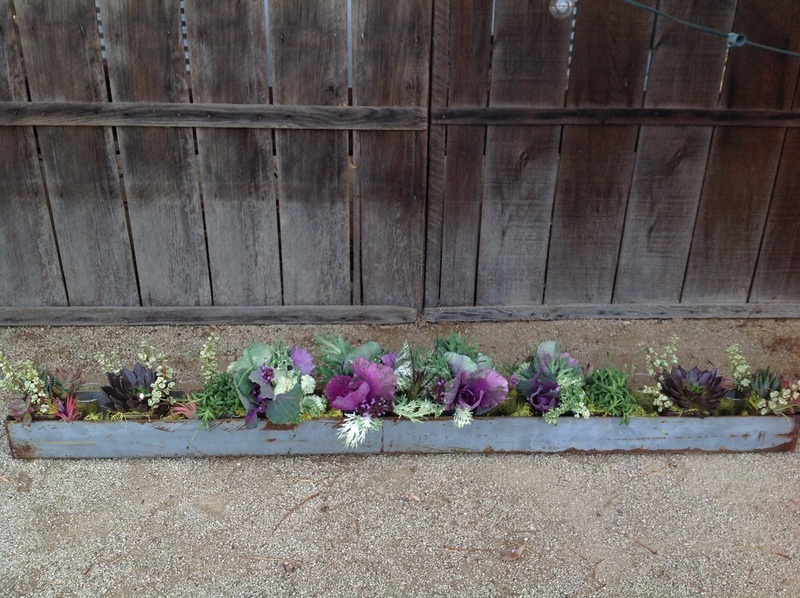 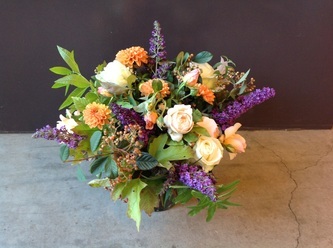 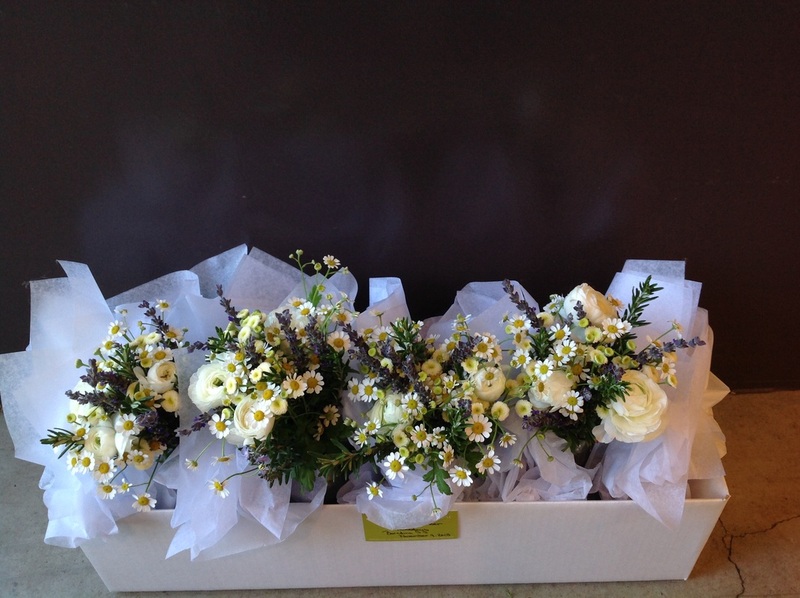 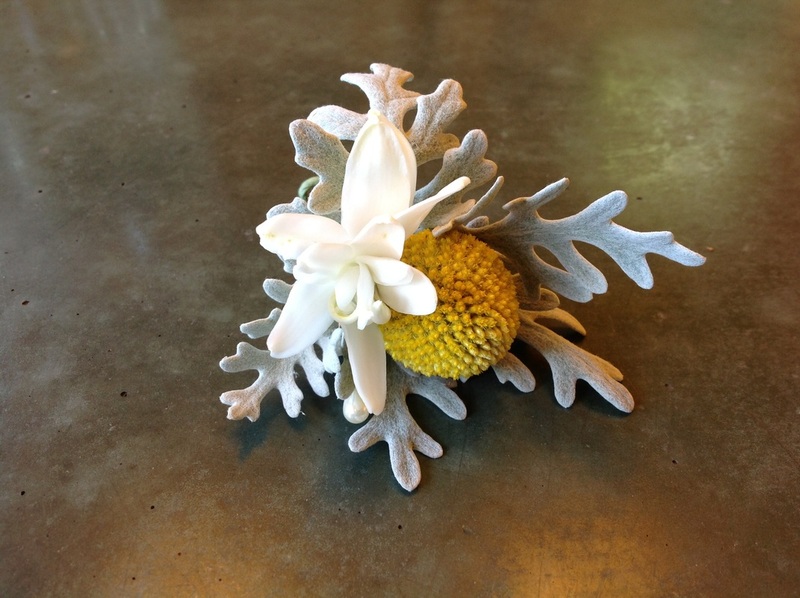 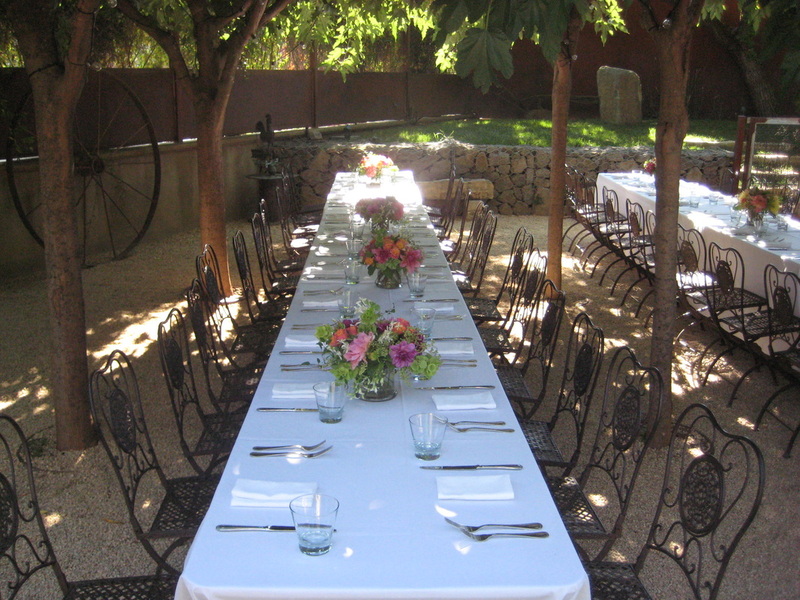 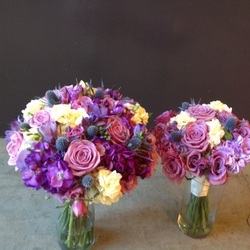 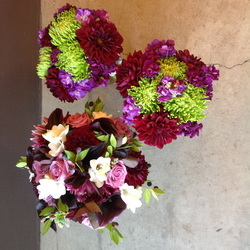 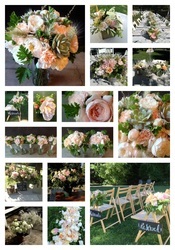 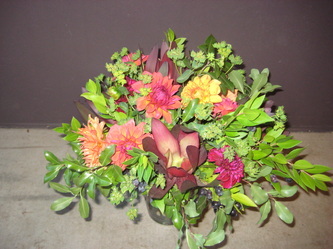 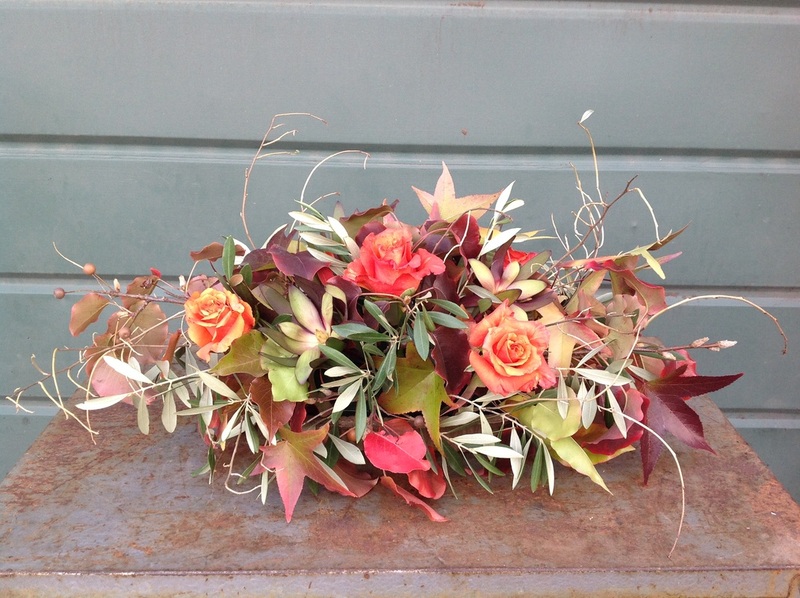 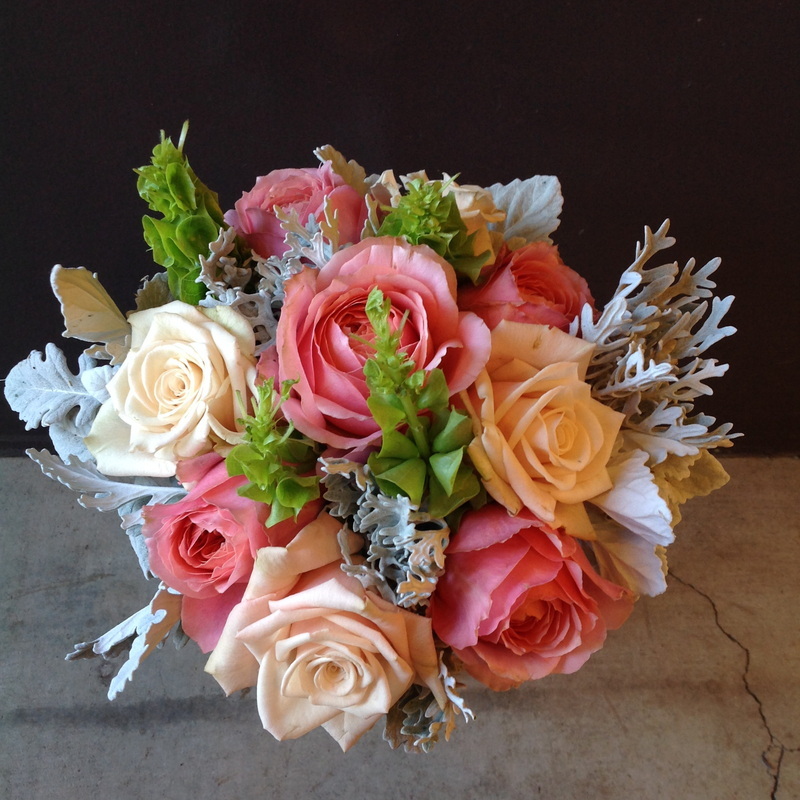 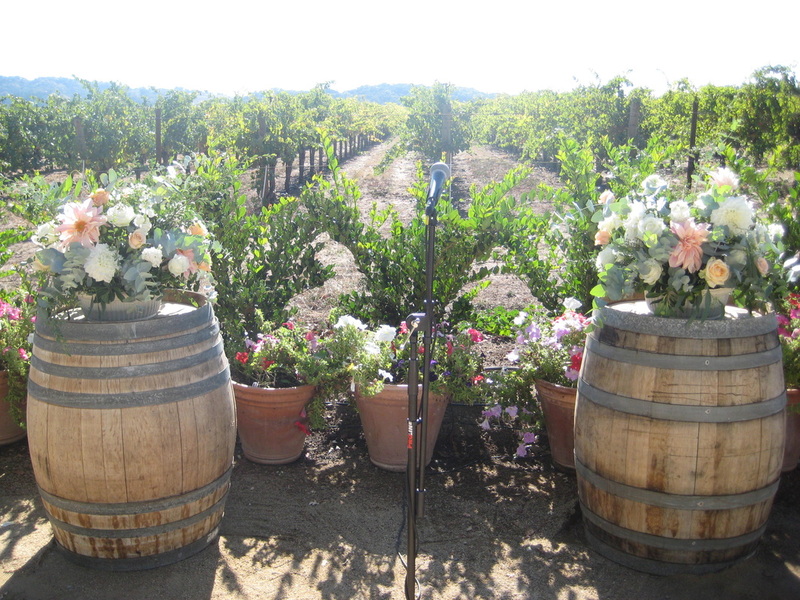 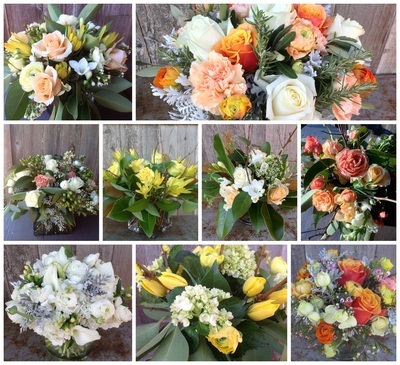 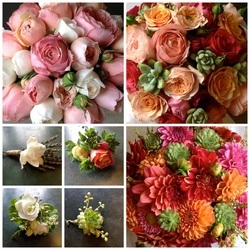 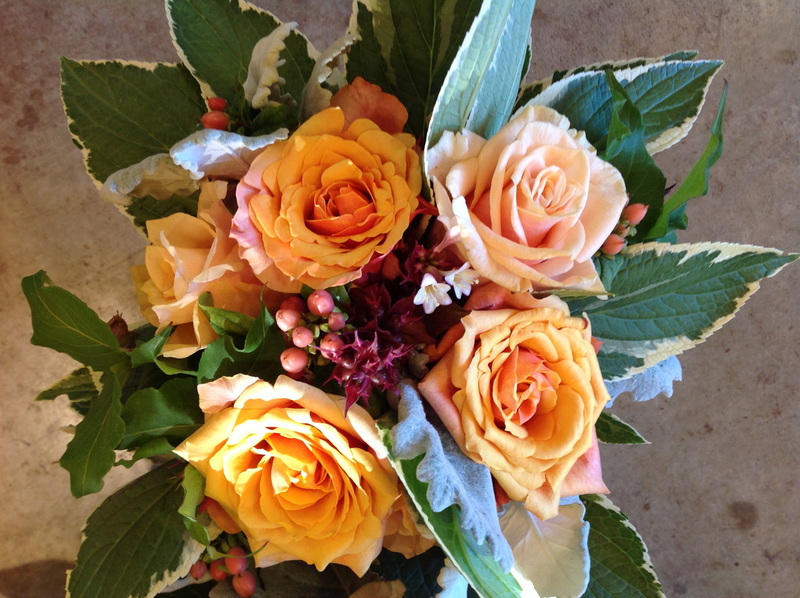 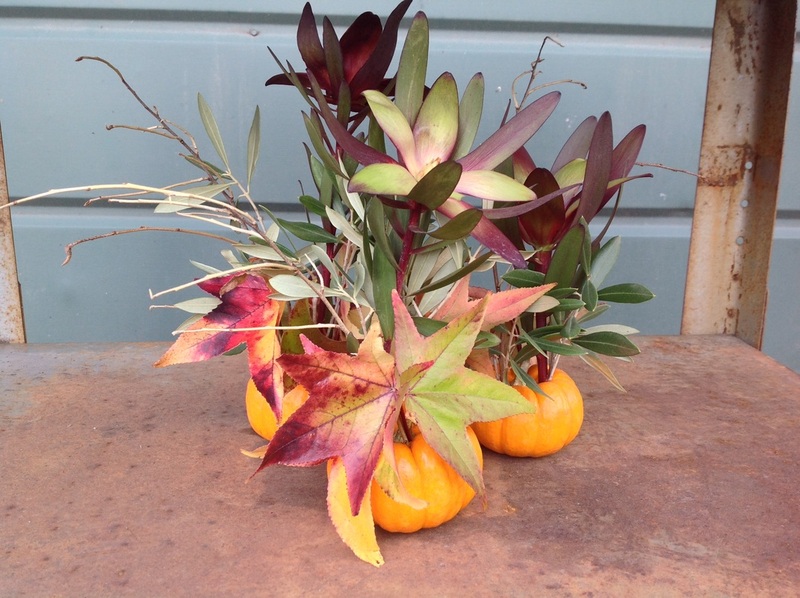 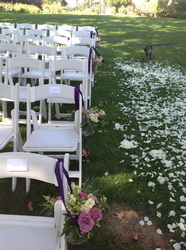 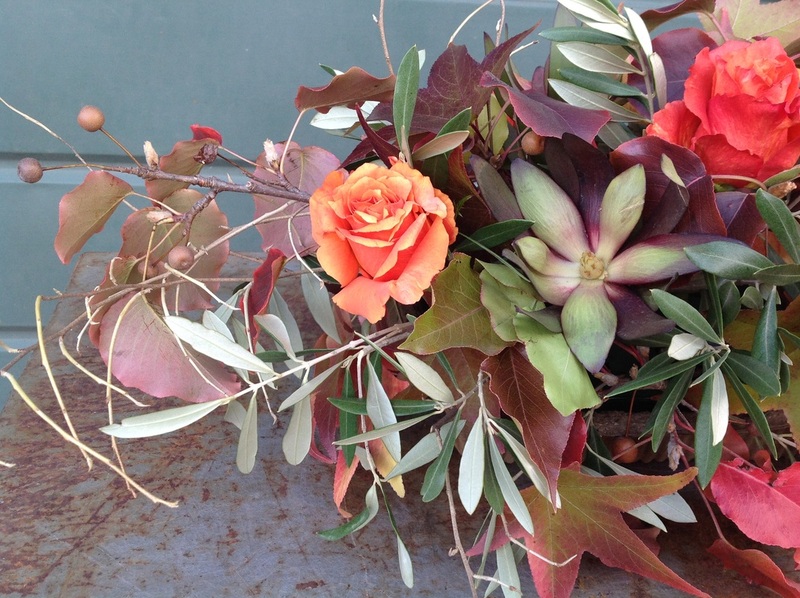 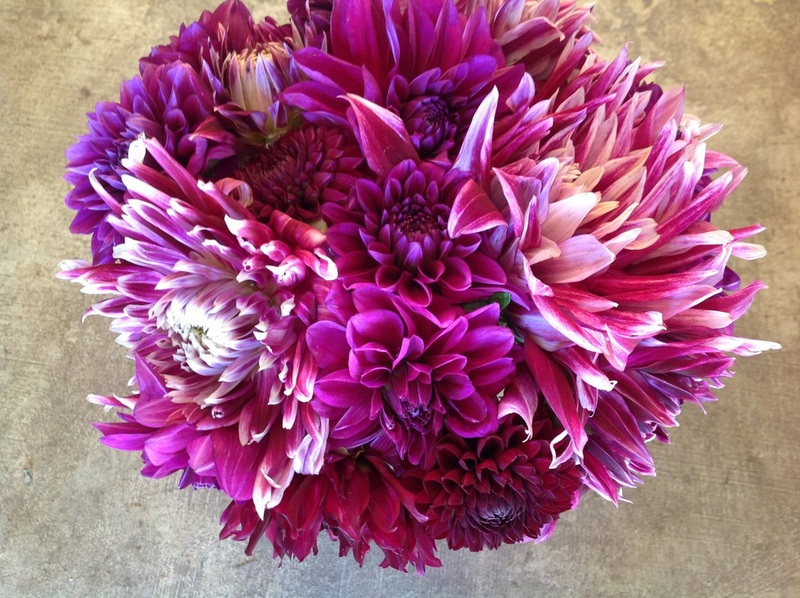 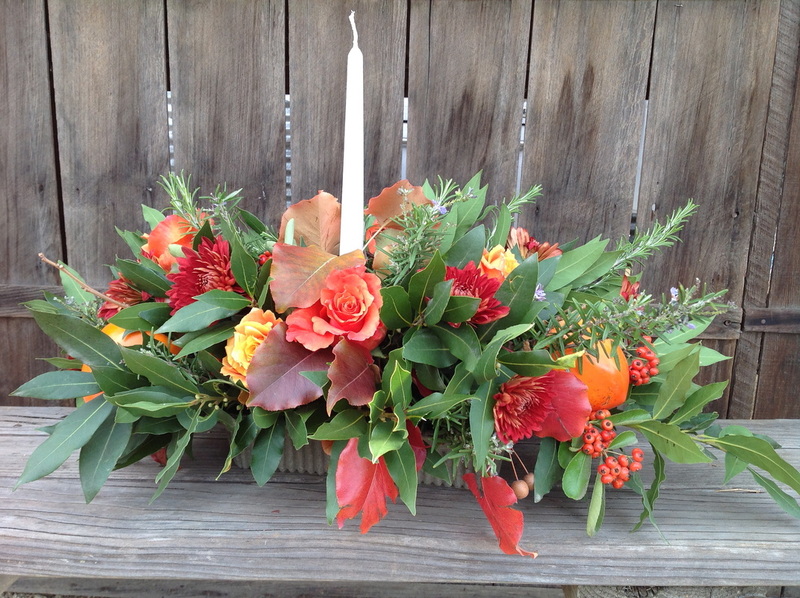 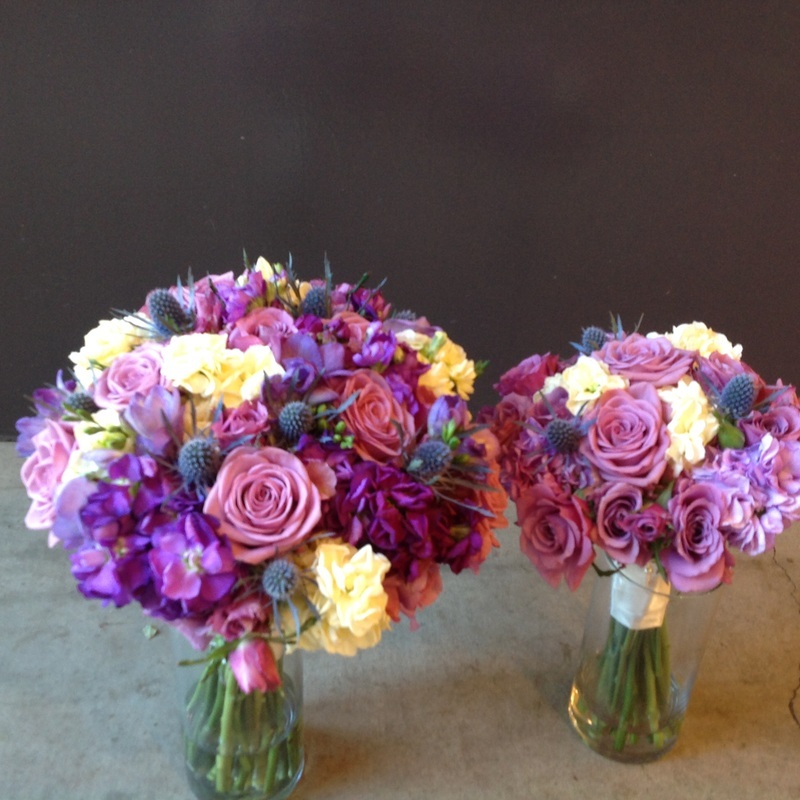 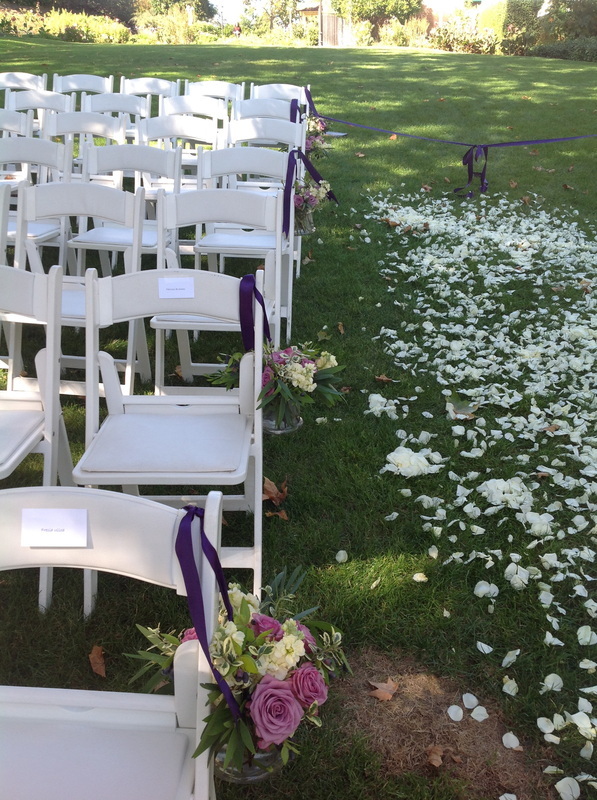 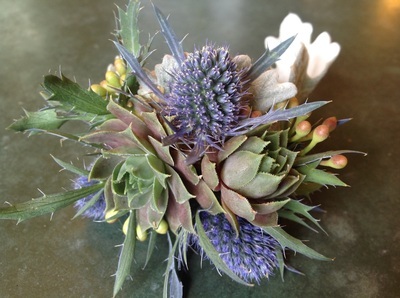 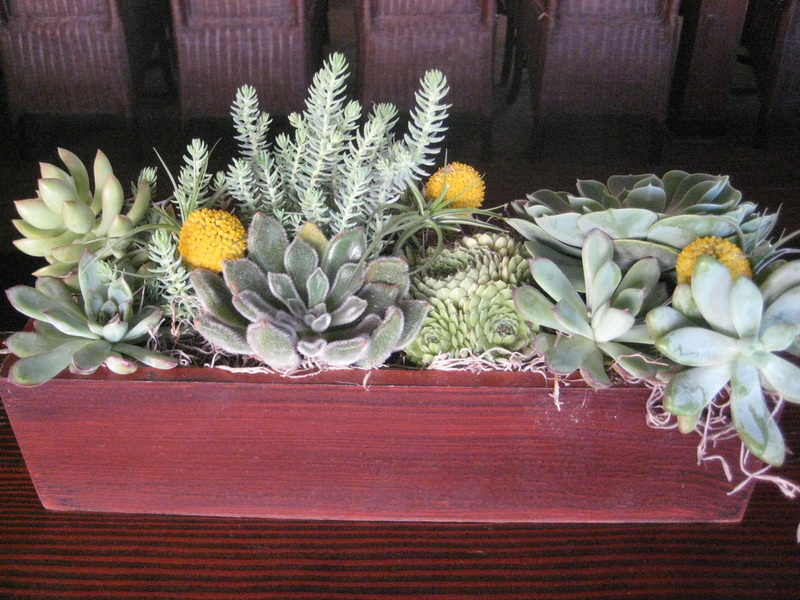 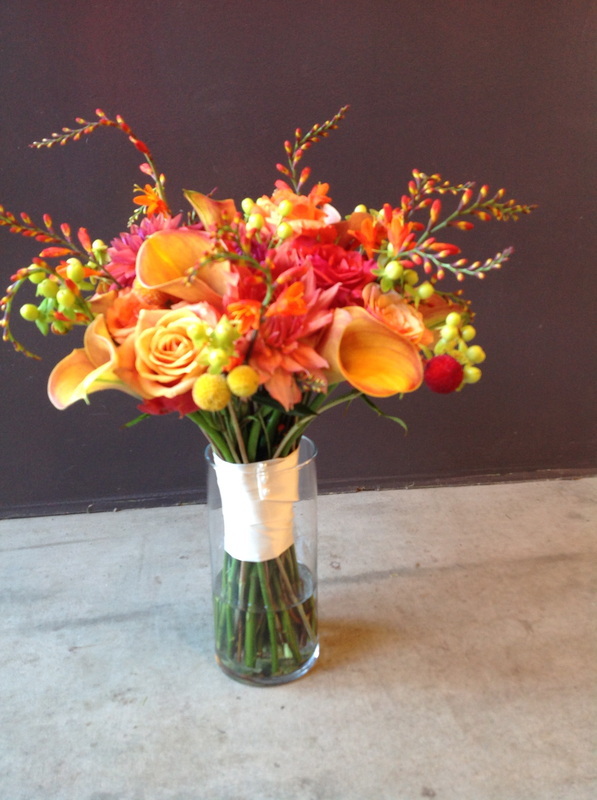 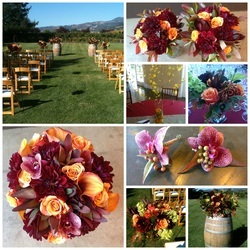 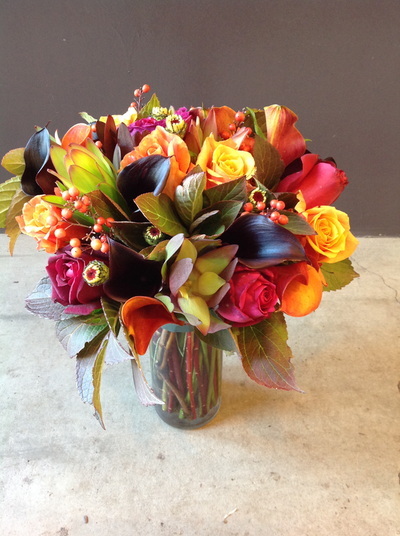 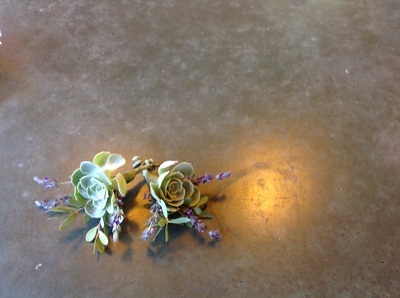 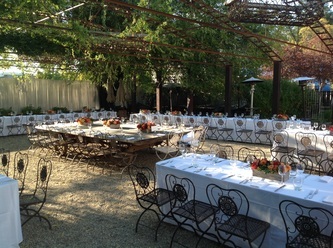 Searching for a marvelous, talented and genuinely creative wedding florist in California? 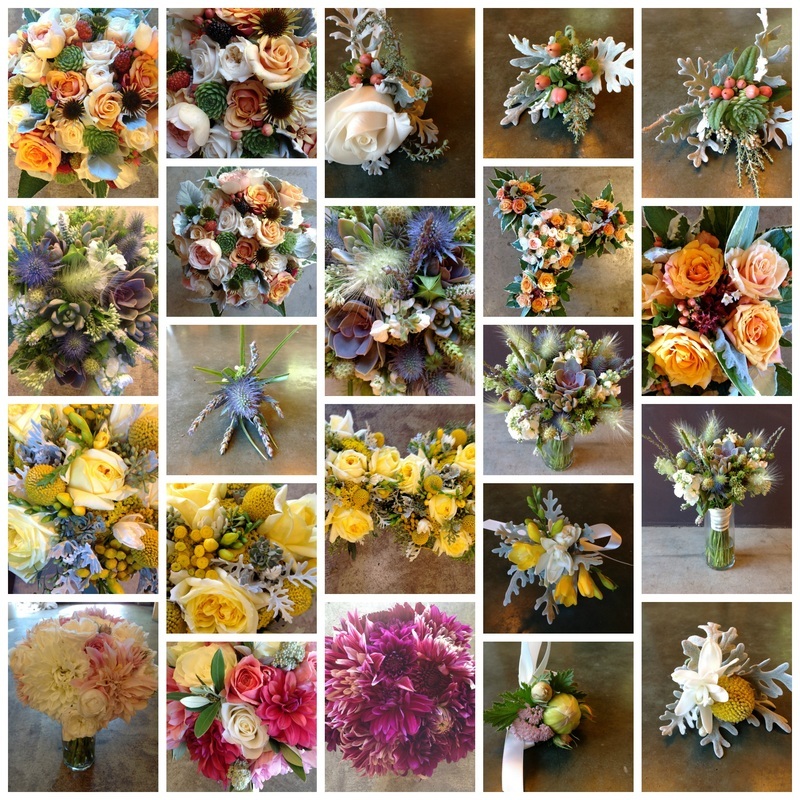 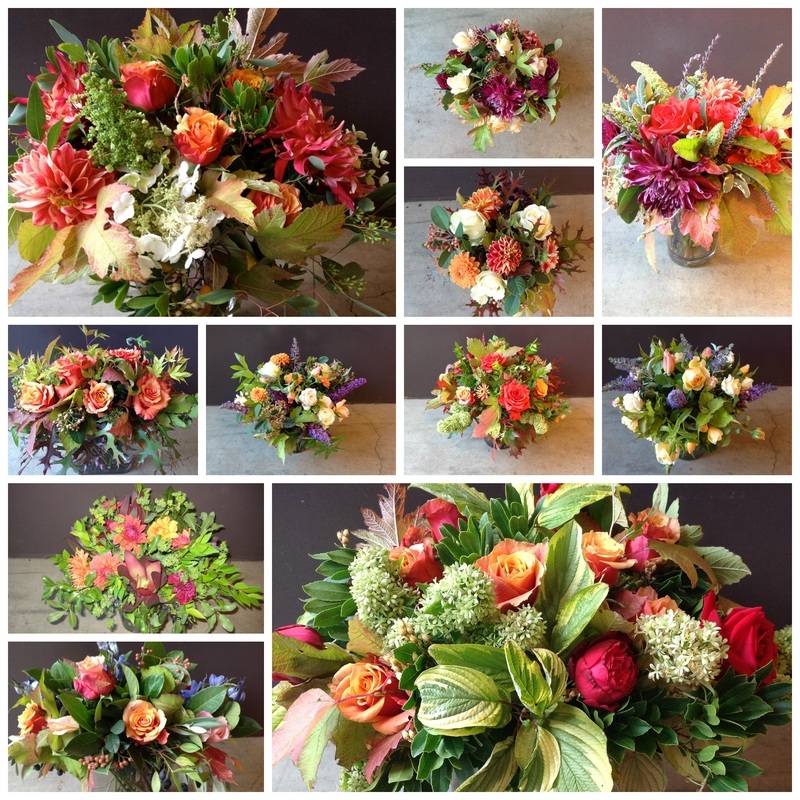 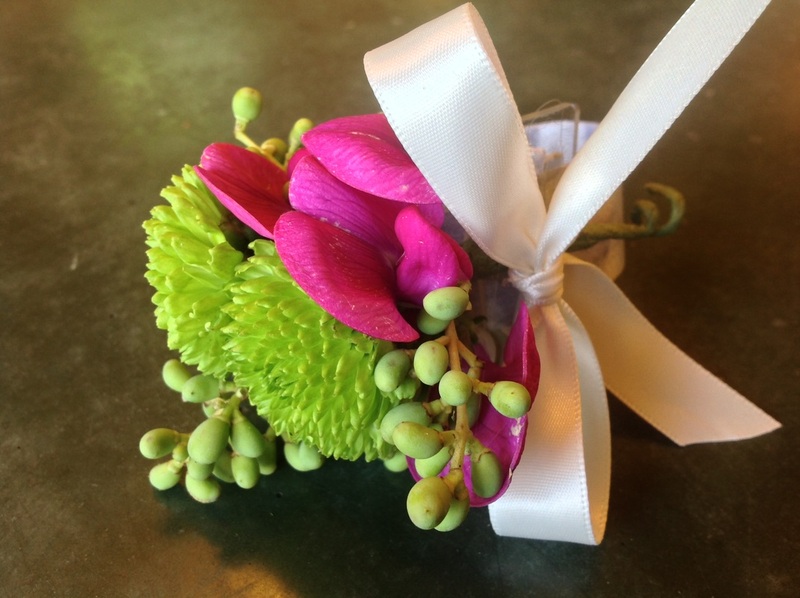 Contact Dragonfly Floral and have us create stunning bouquets, centerpieces, boutonnieres and arrangements for your special day!